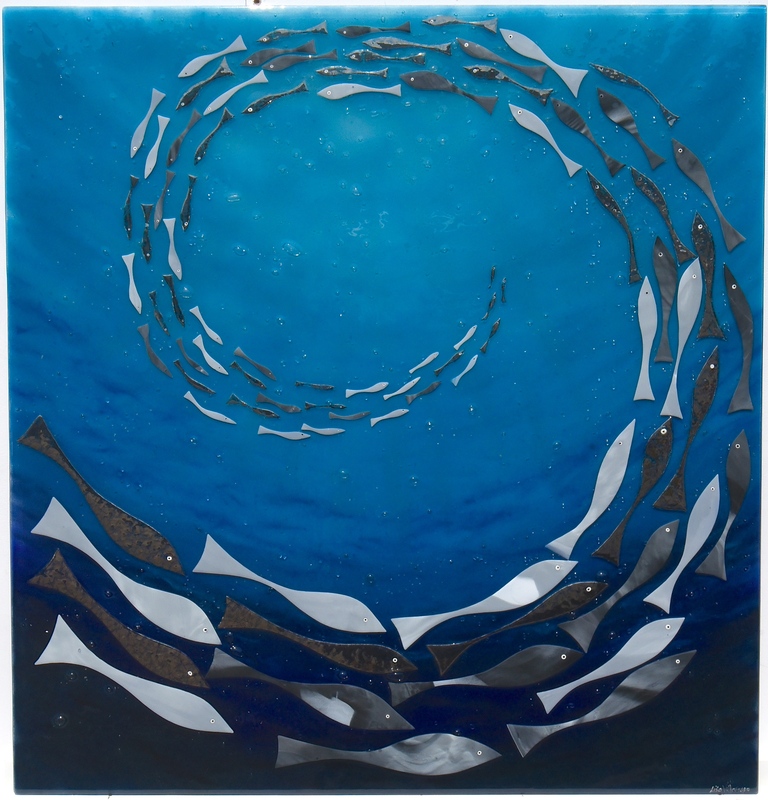 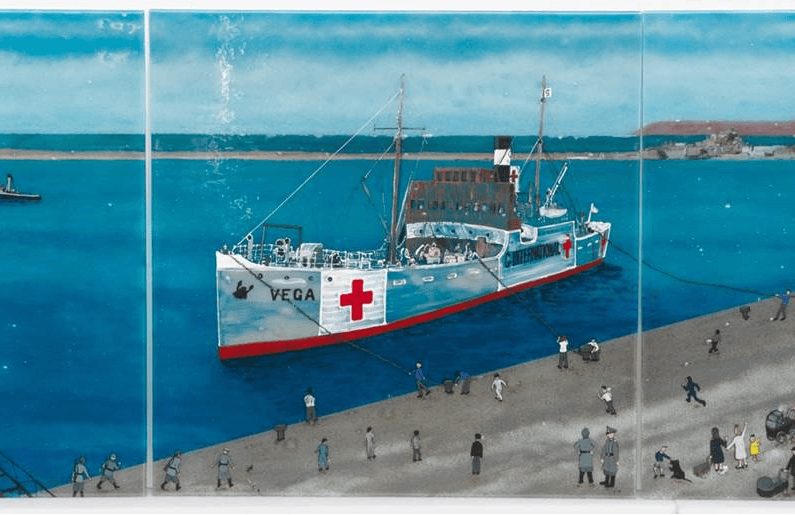 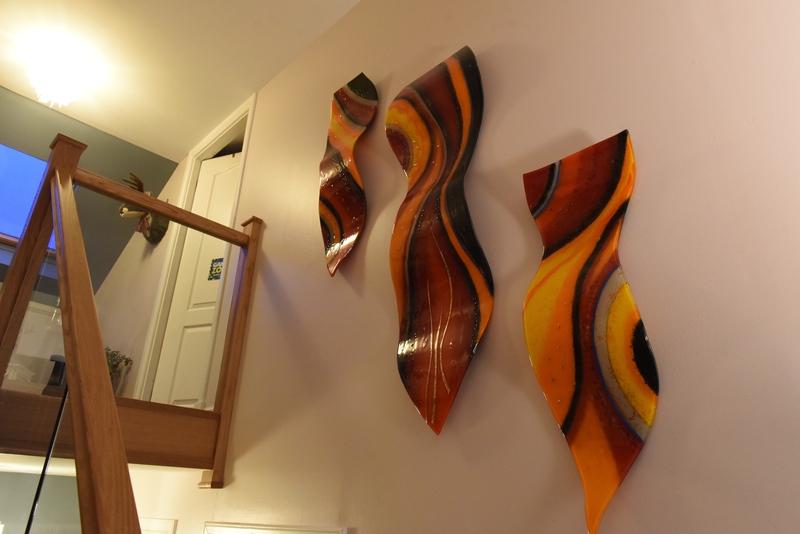 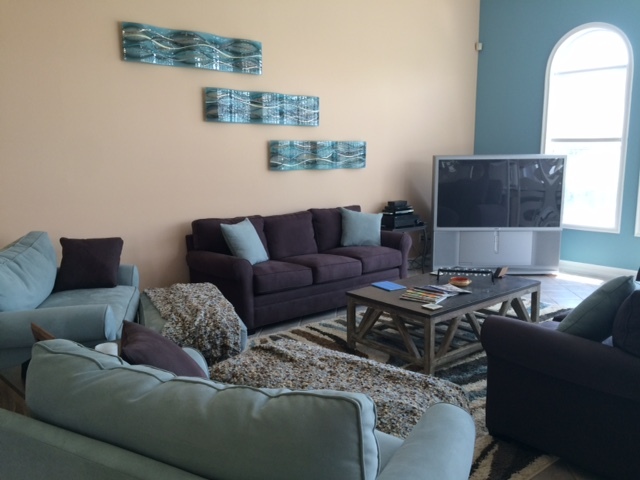 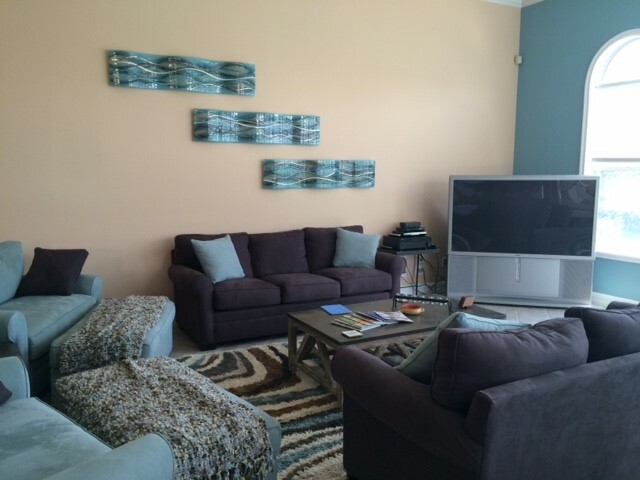 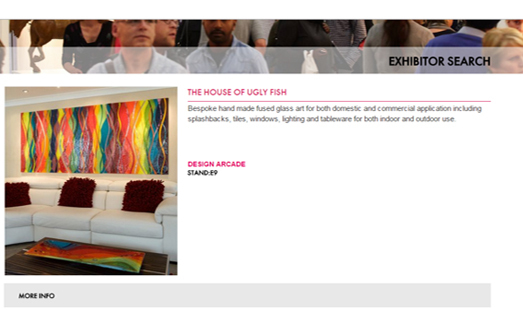 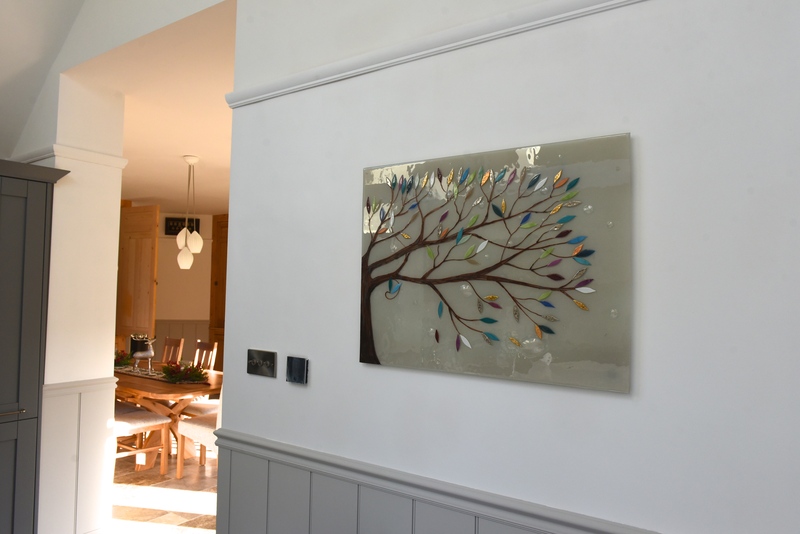 Here at The House of Ugly Fish, a lot of the time it’s the case that our customers and clients end up commissioning not just one piece of fused glass art, but many. 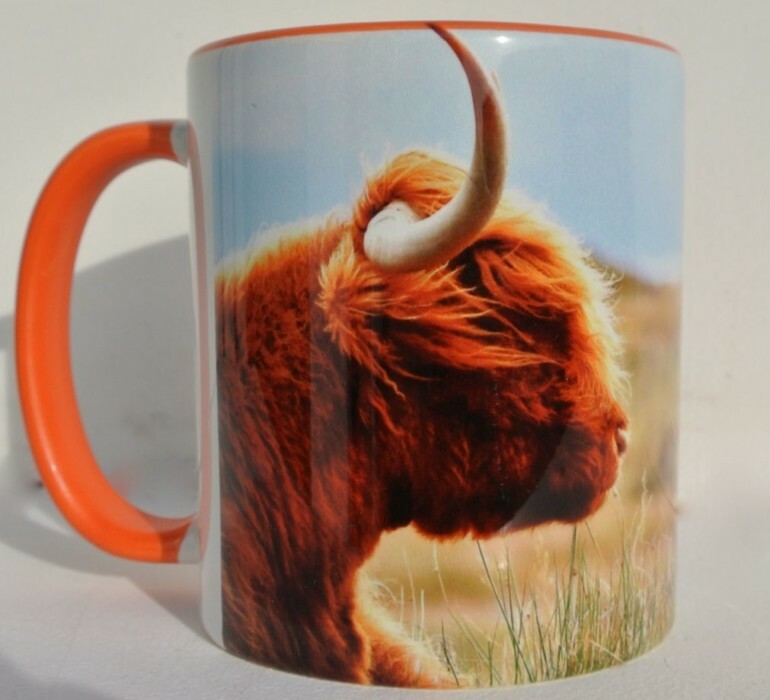 We’re not complaining, though! 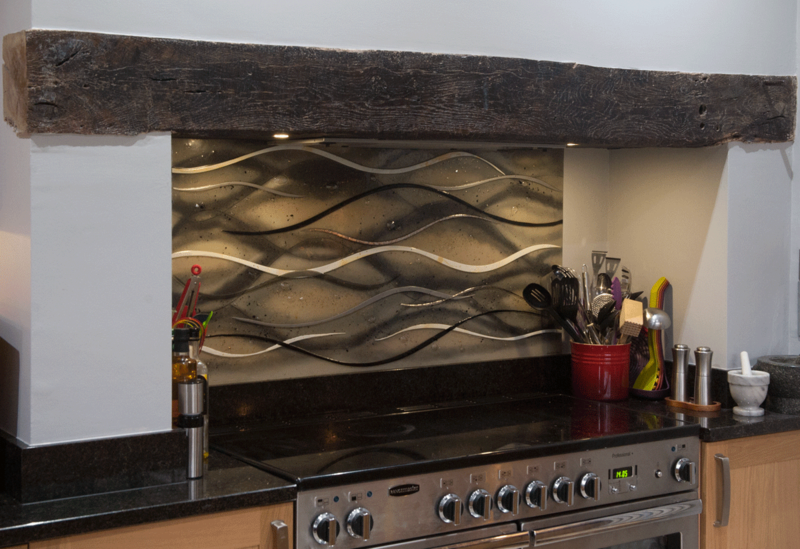 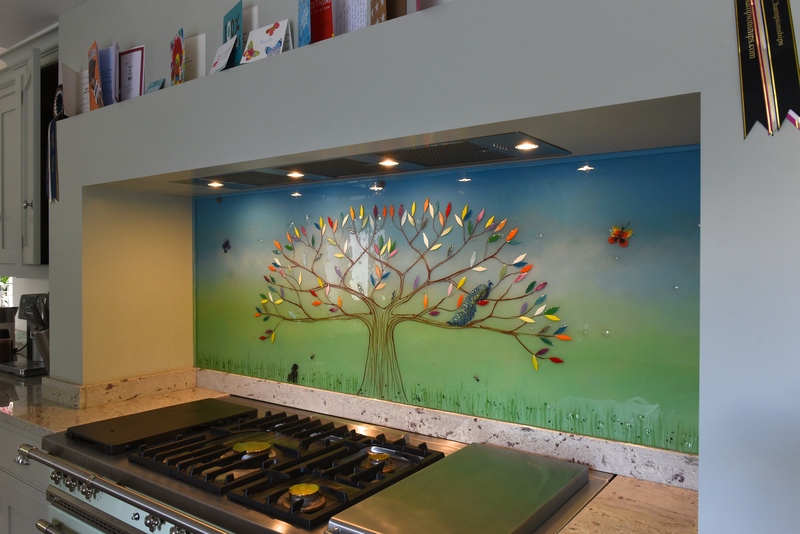 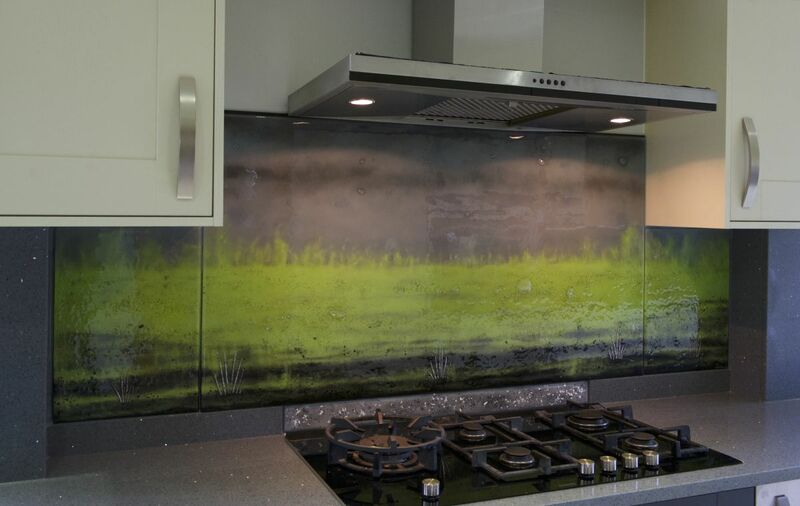 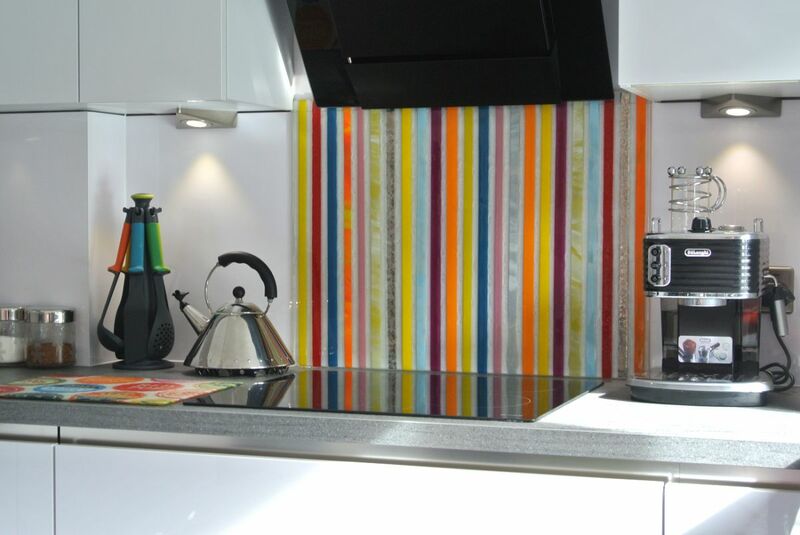 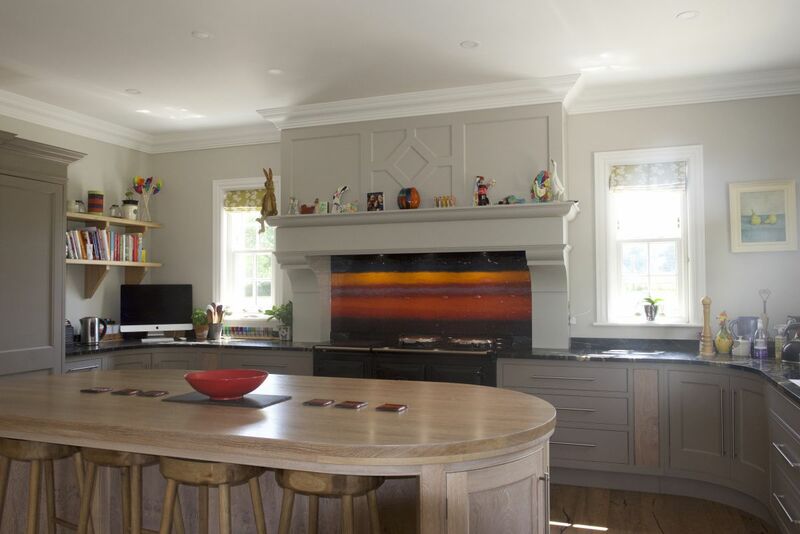 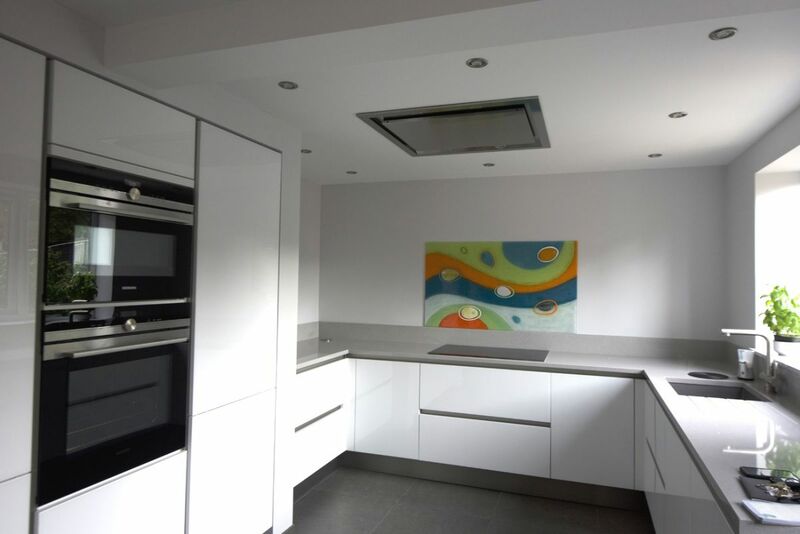 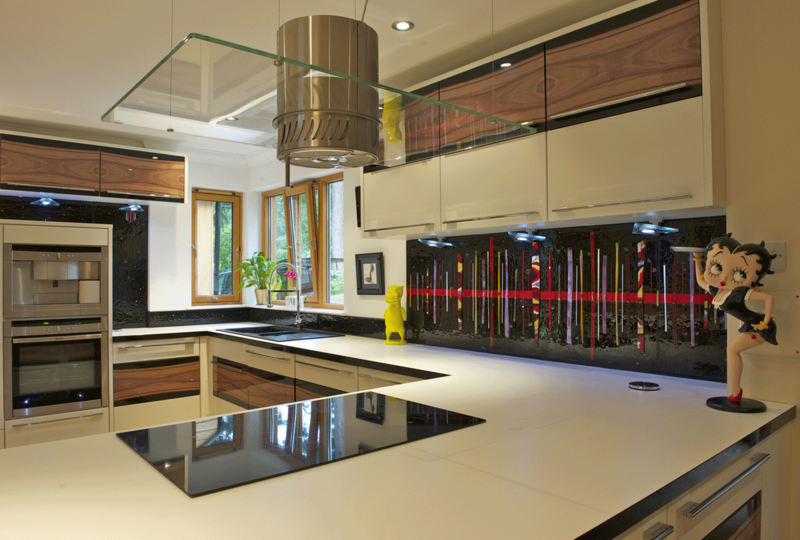 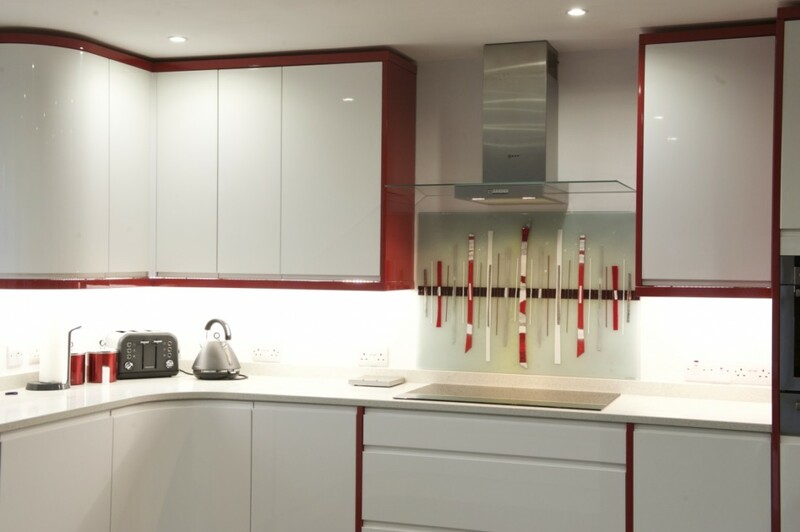 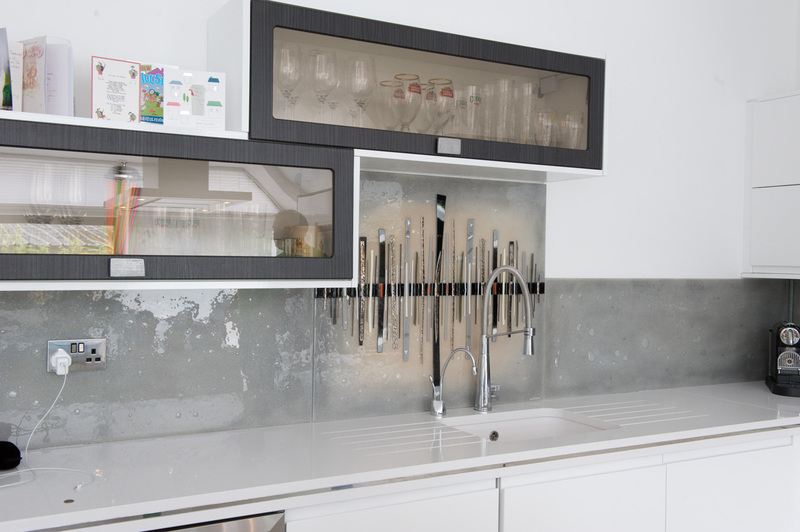 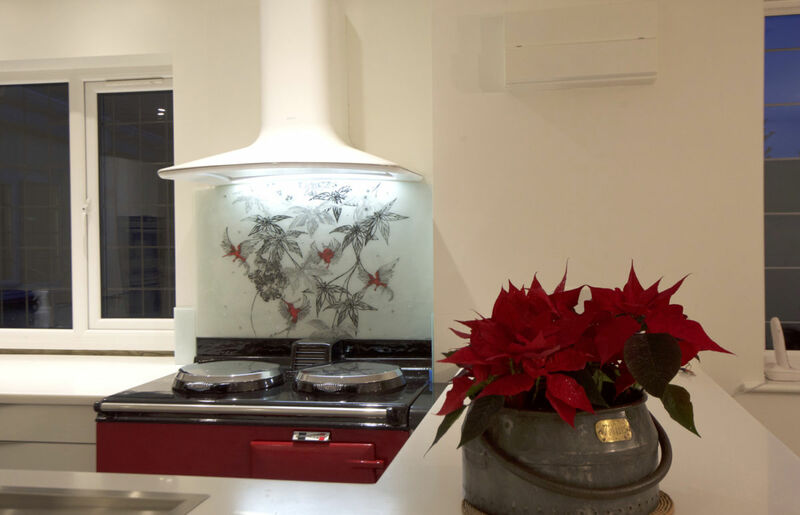 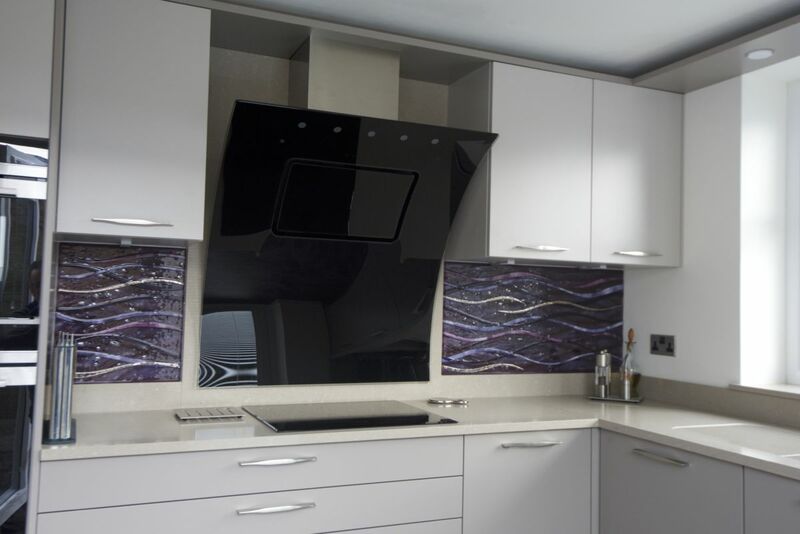 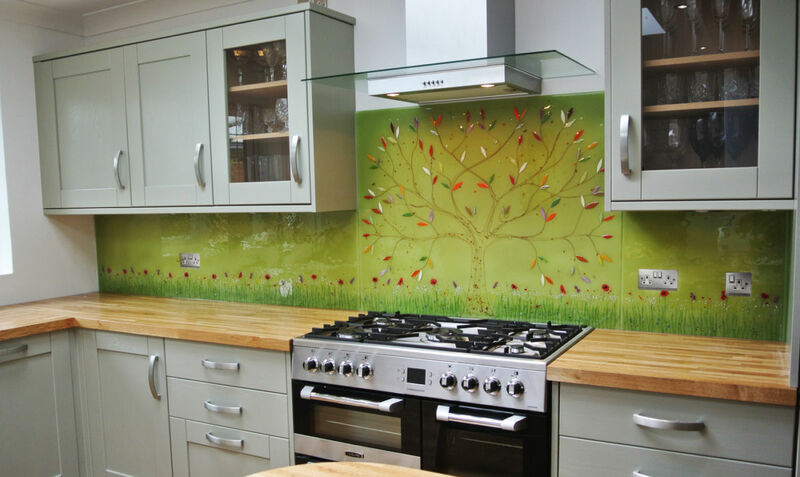 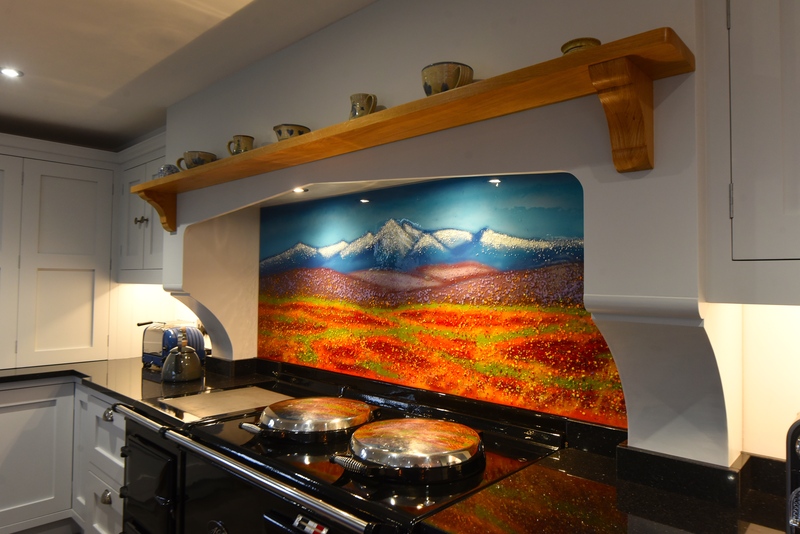 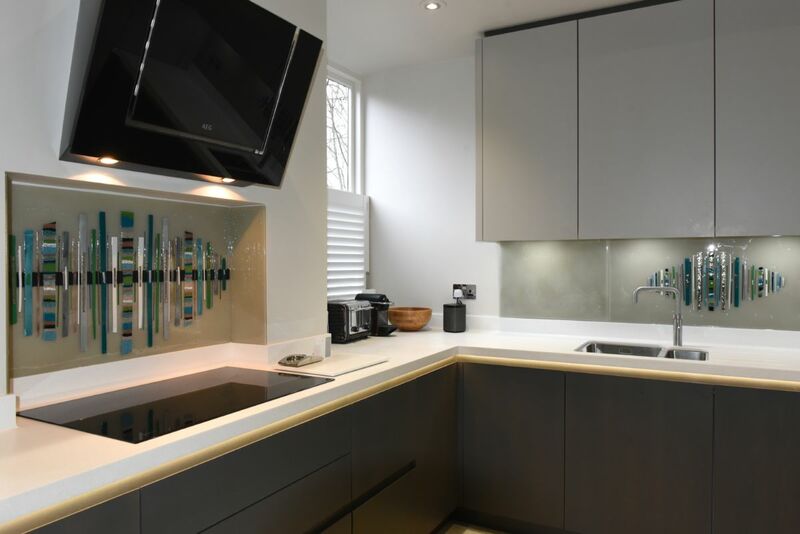 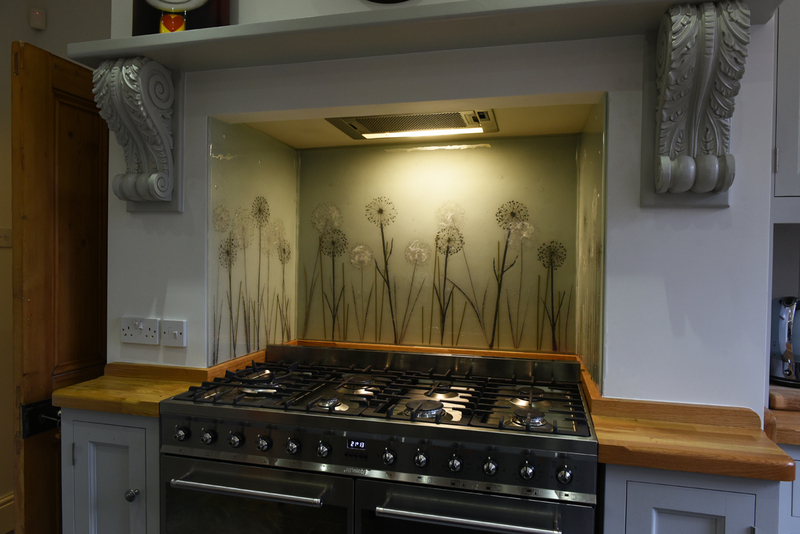 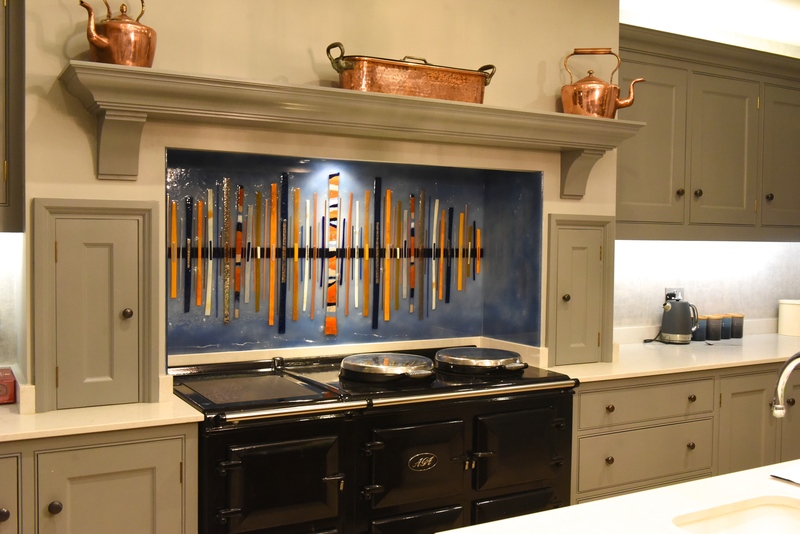 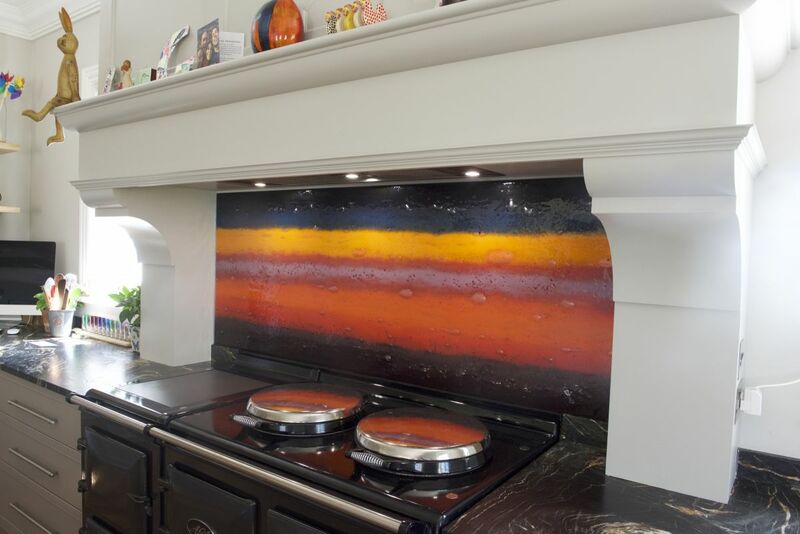 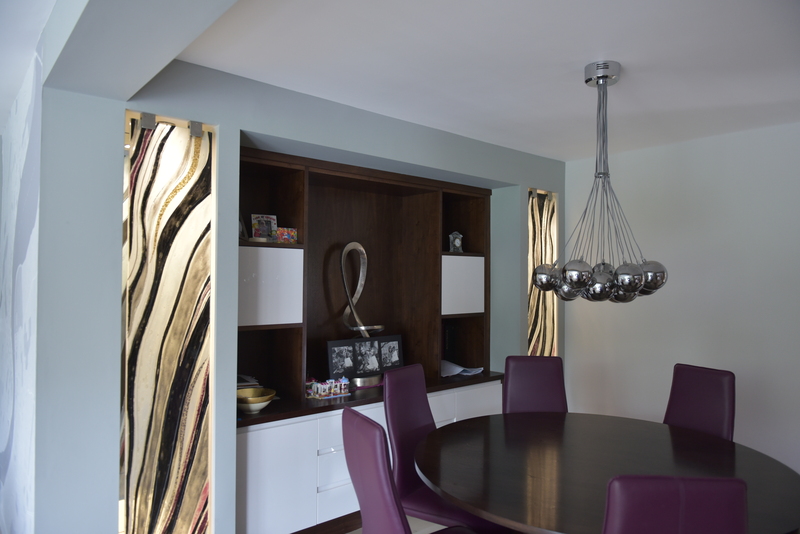 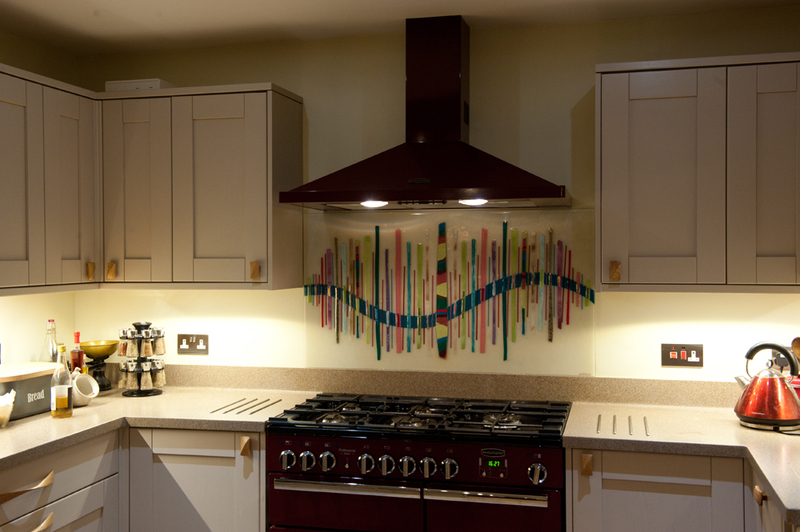 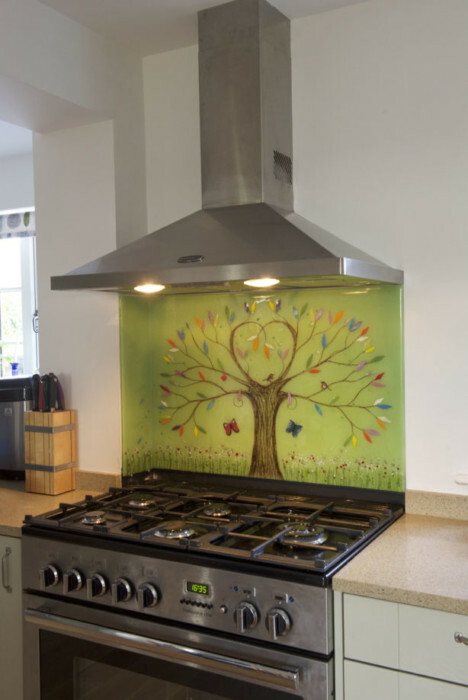 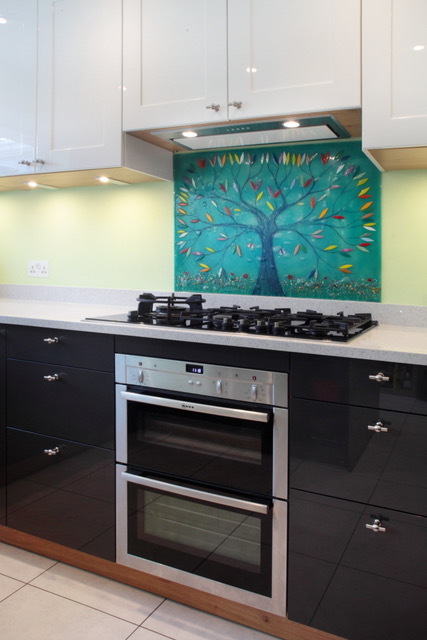 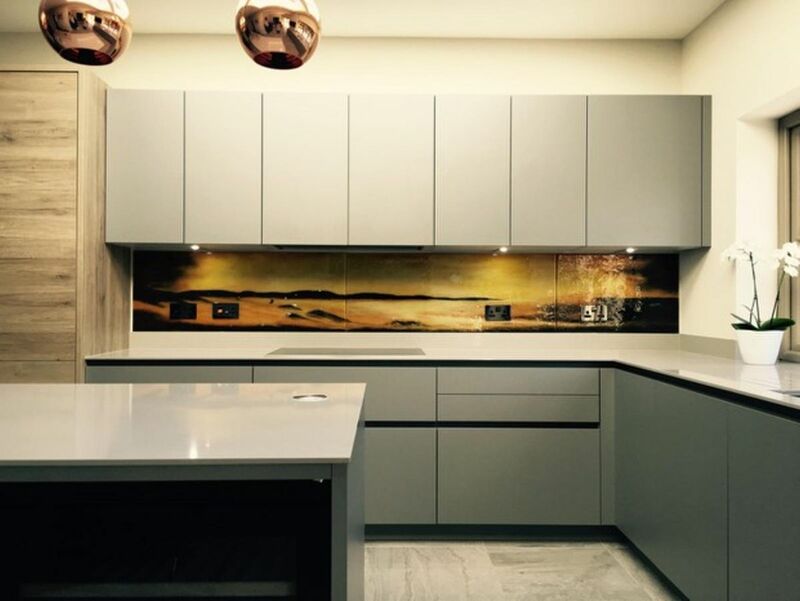 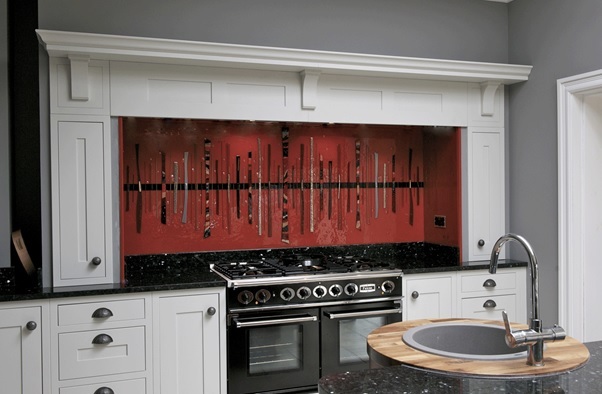 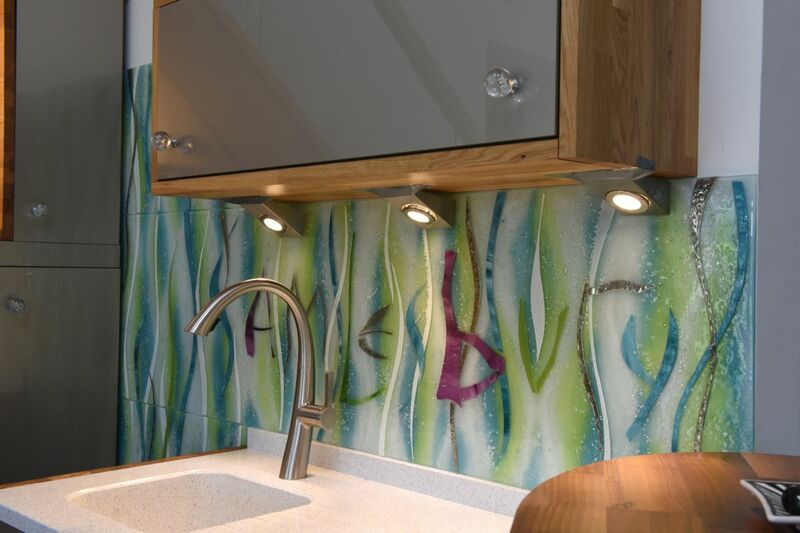 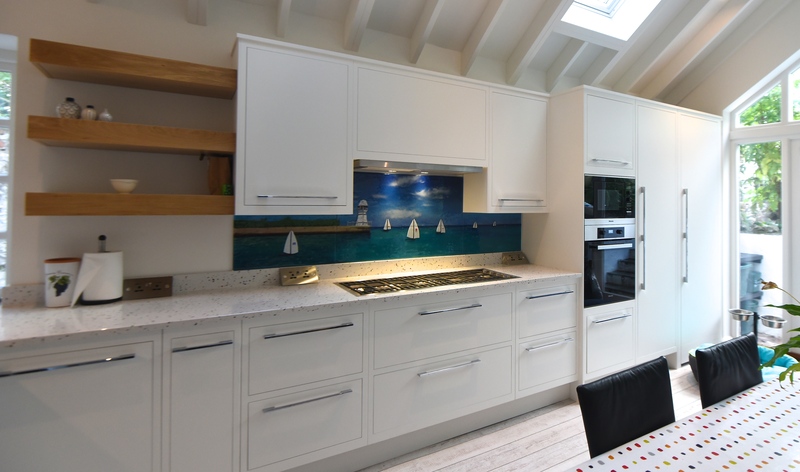 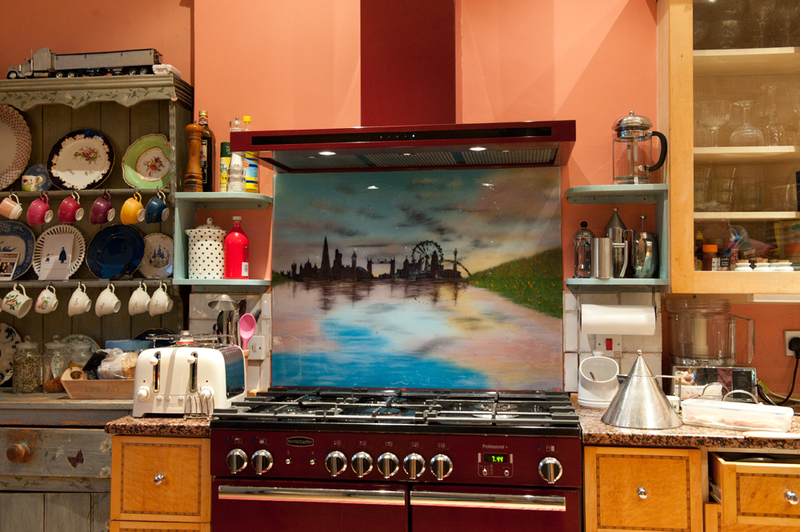 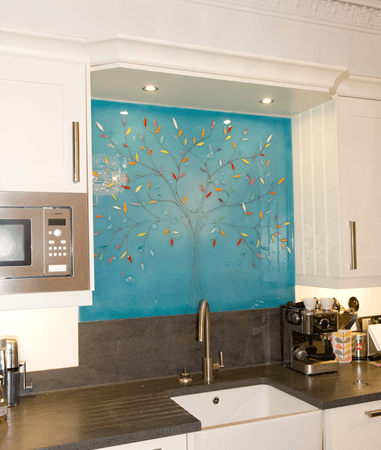 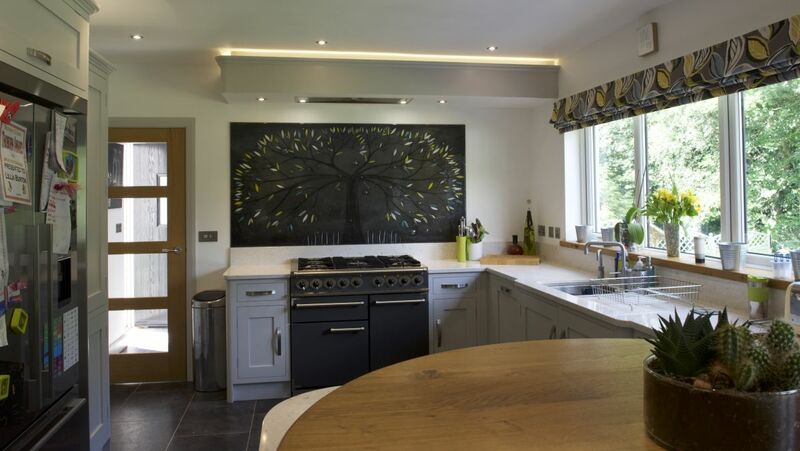 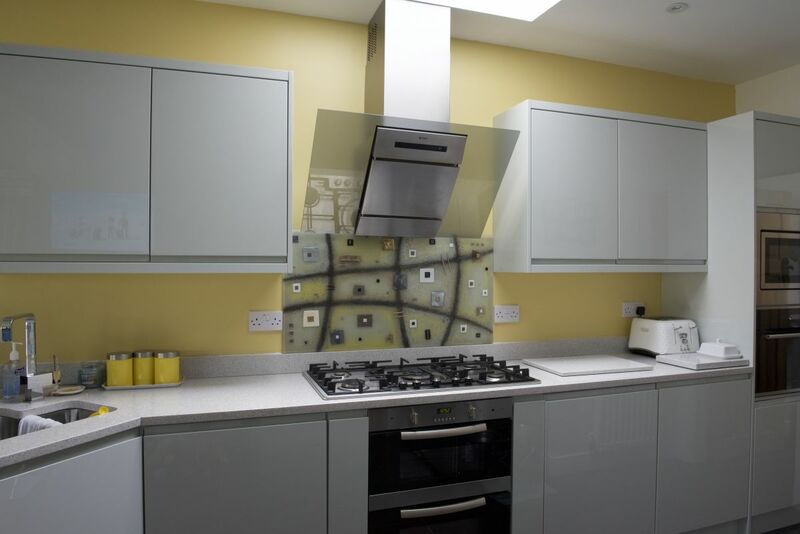 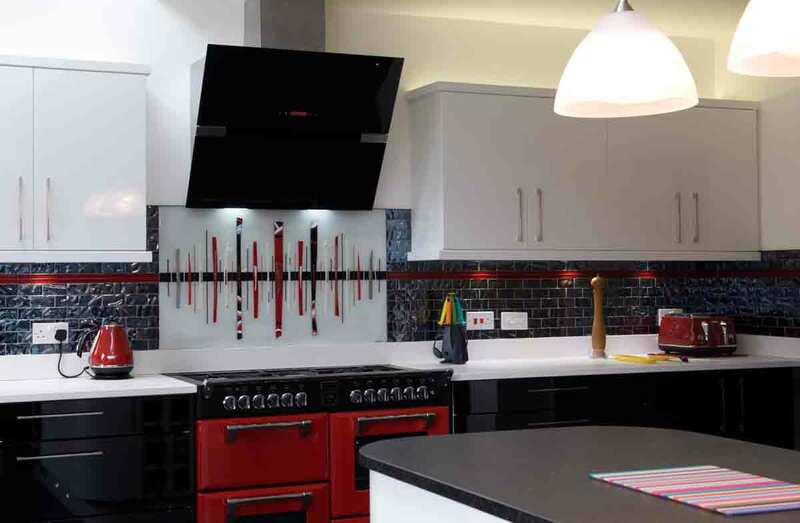 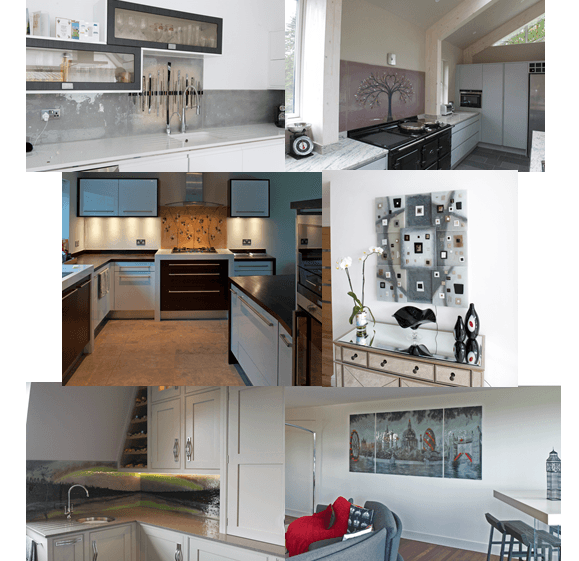 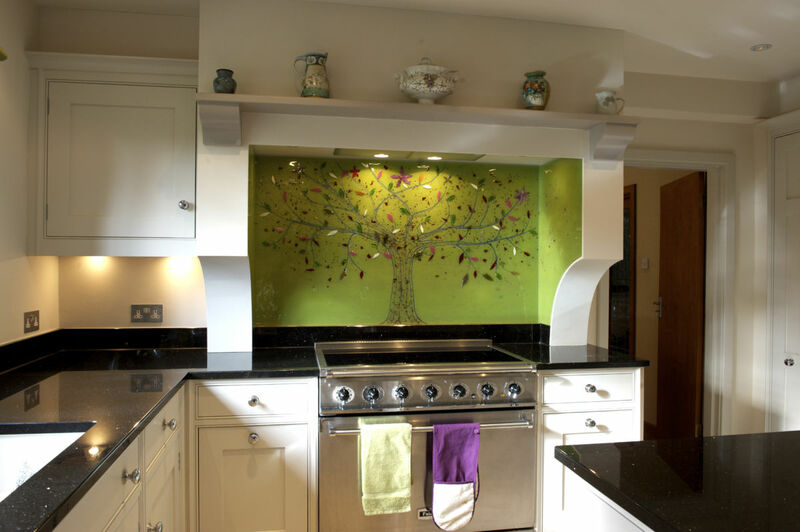 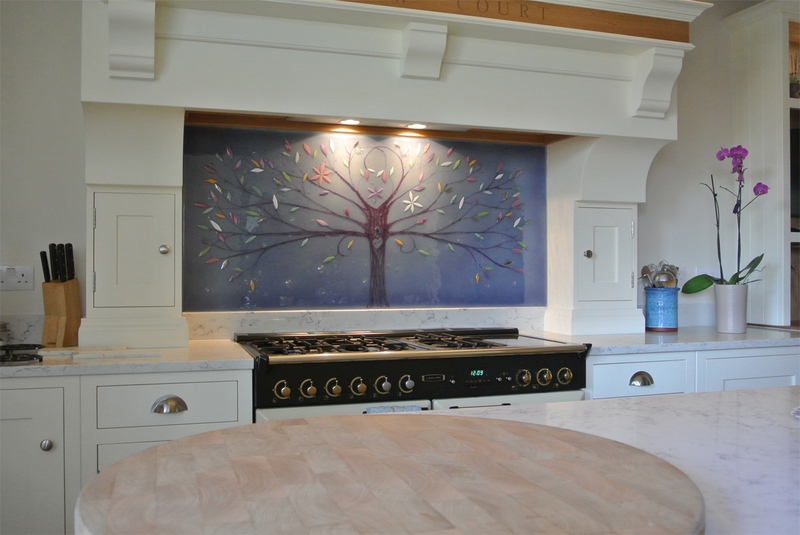 We love getting to stretch our creative muscles in more than one room, and getting to create a theme across multiple spaces can be a great way to tie décor together with kitchen splashbacks, glass wall art panels, accessories and more. 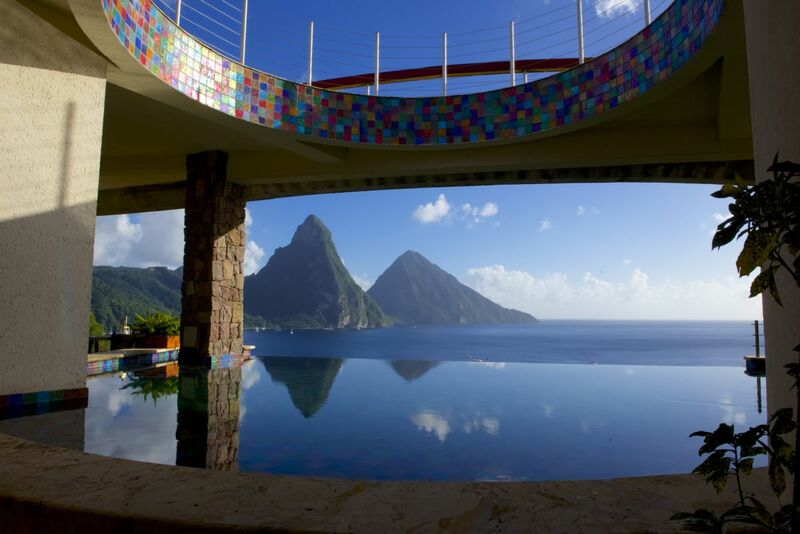 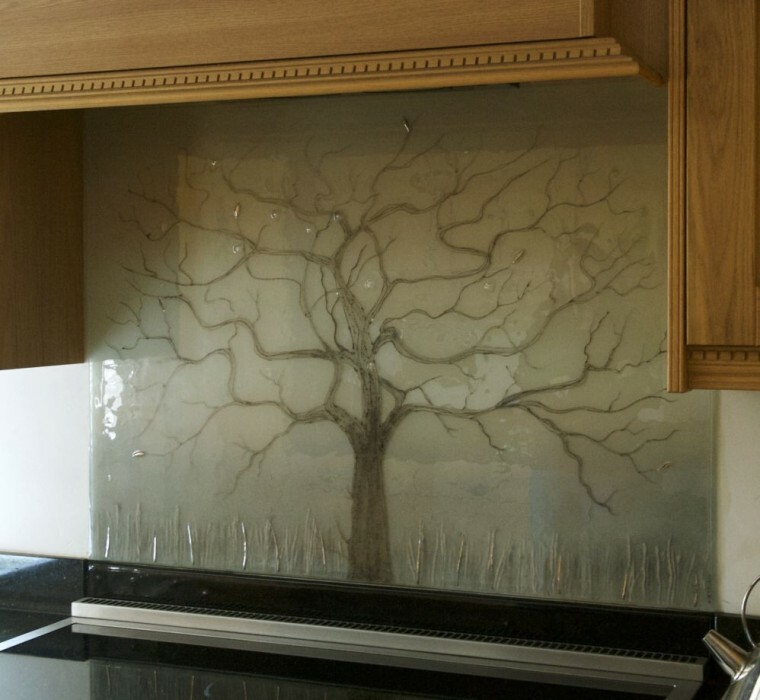 It has to be said that there’s always clear winners when it comes to the places people put their glass. 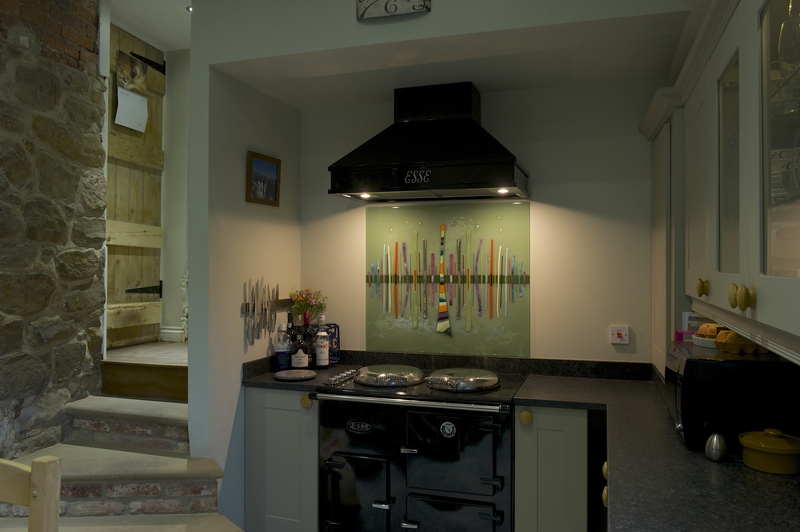 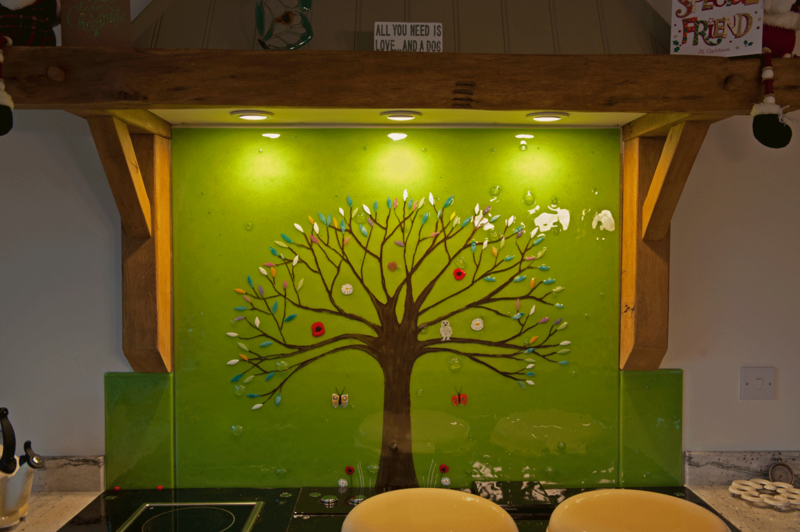 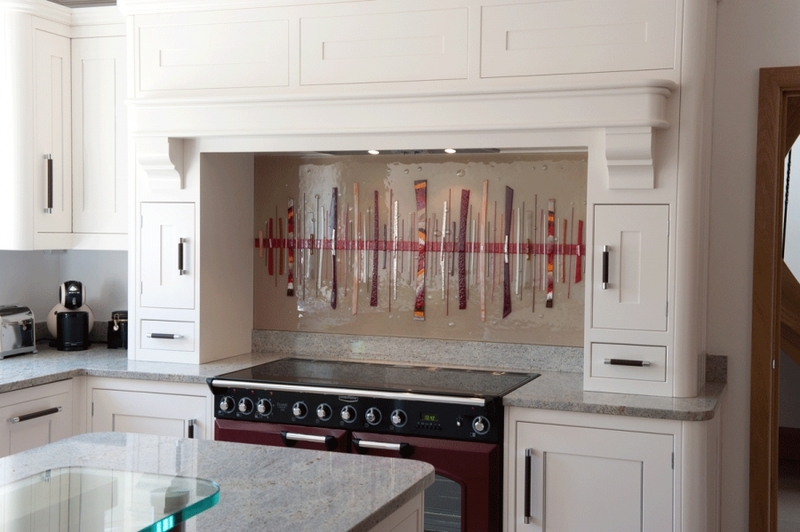 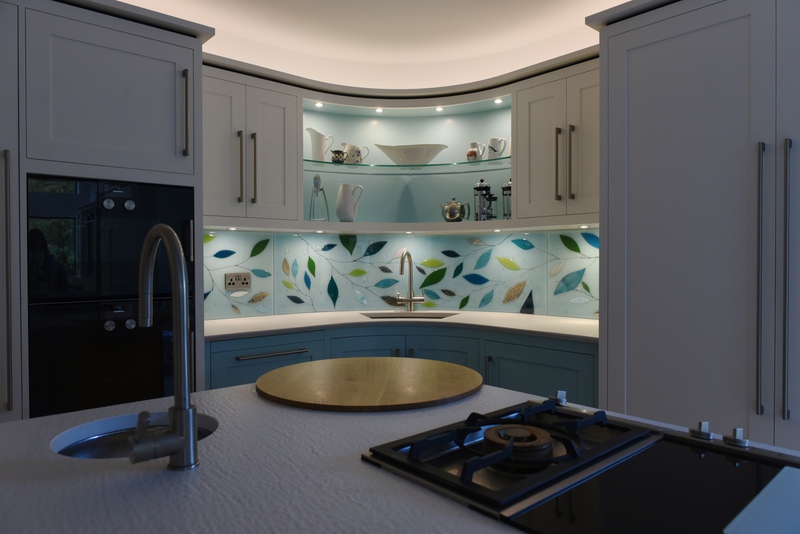 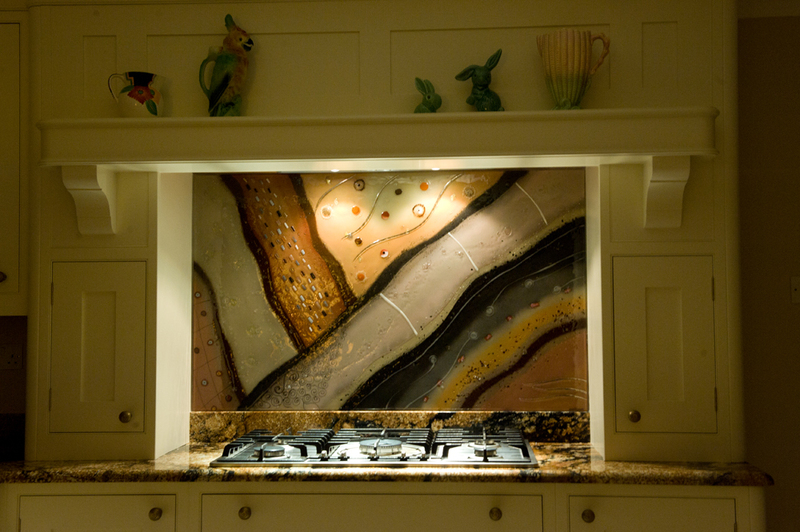 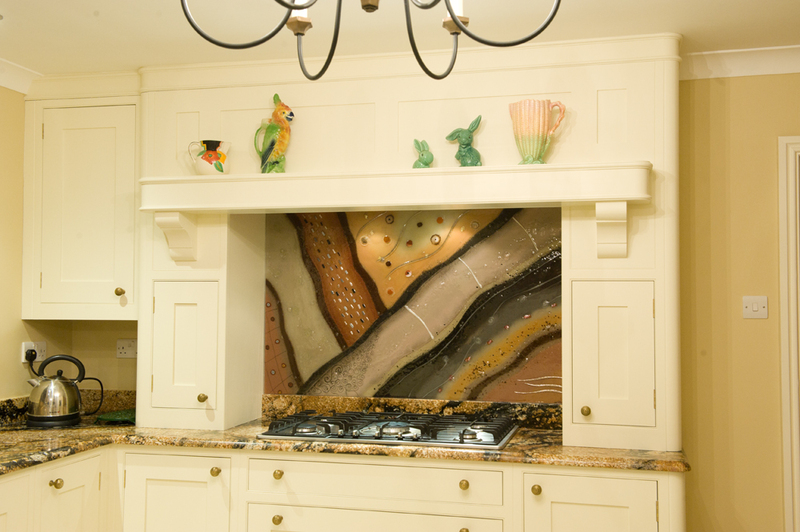 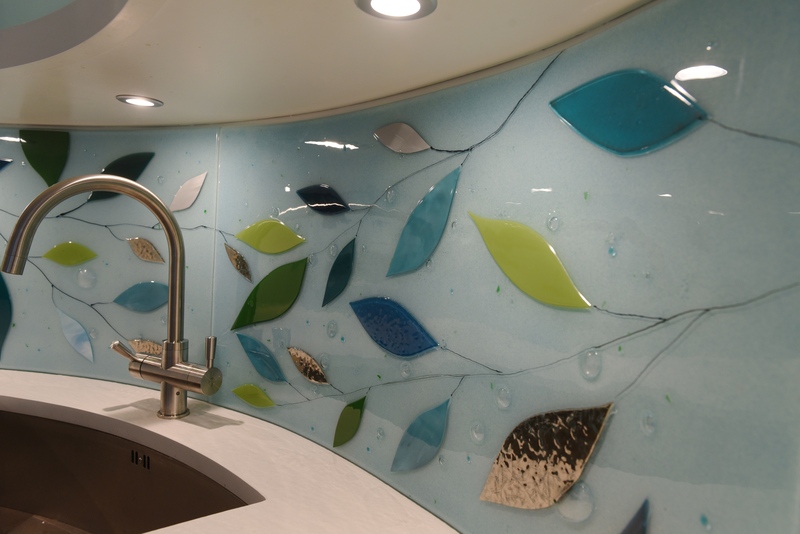 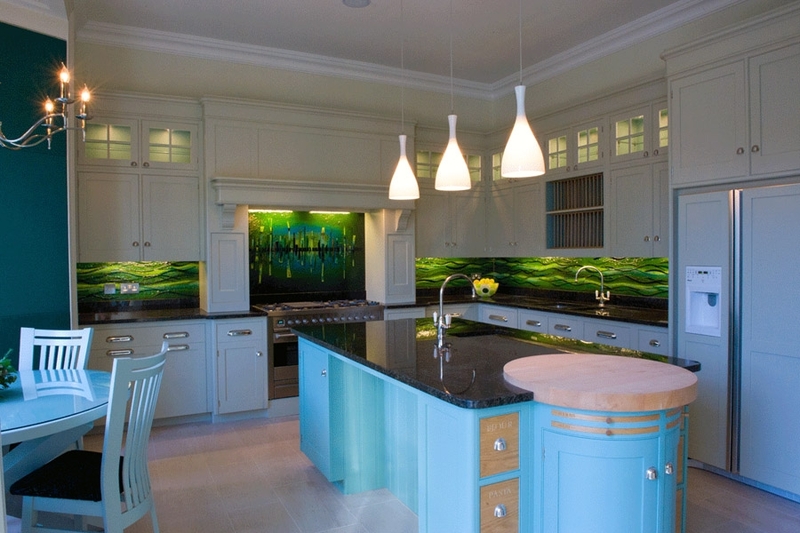 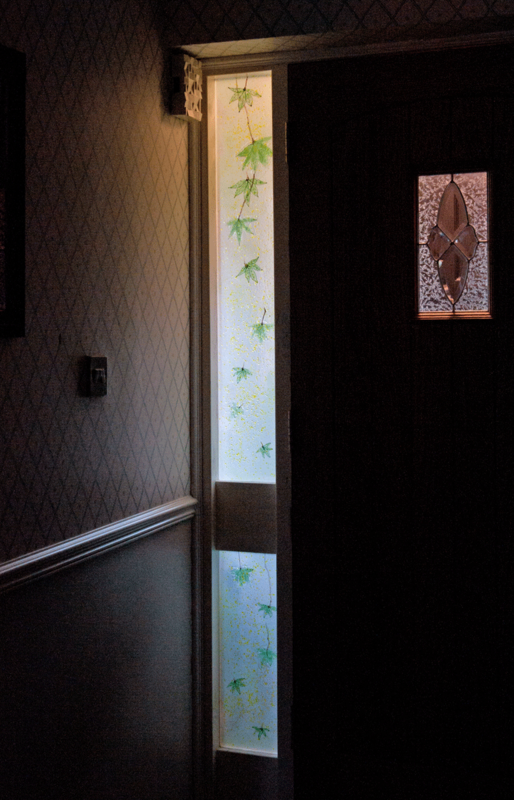 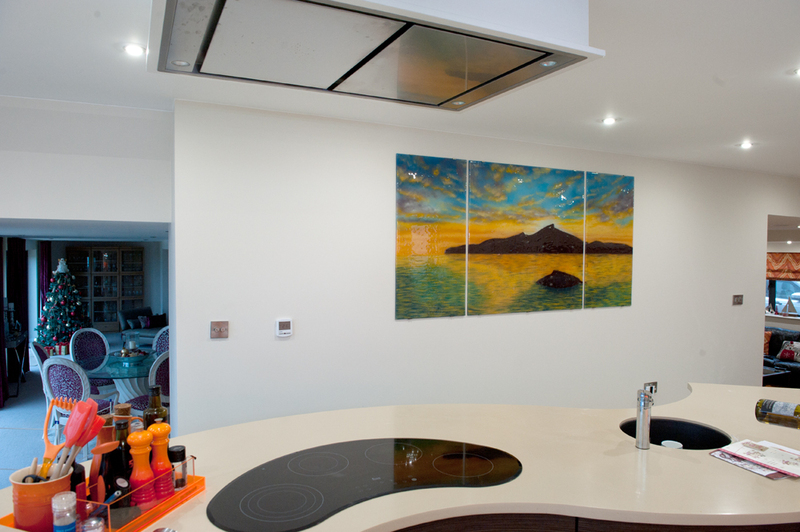 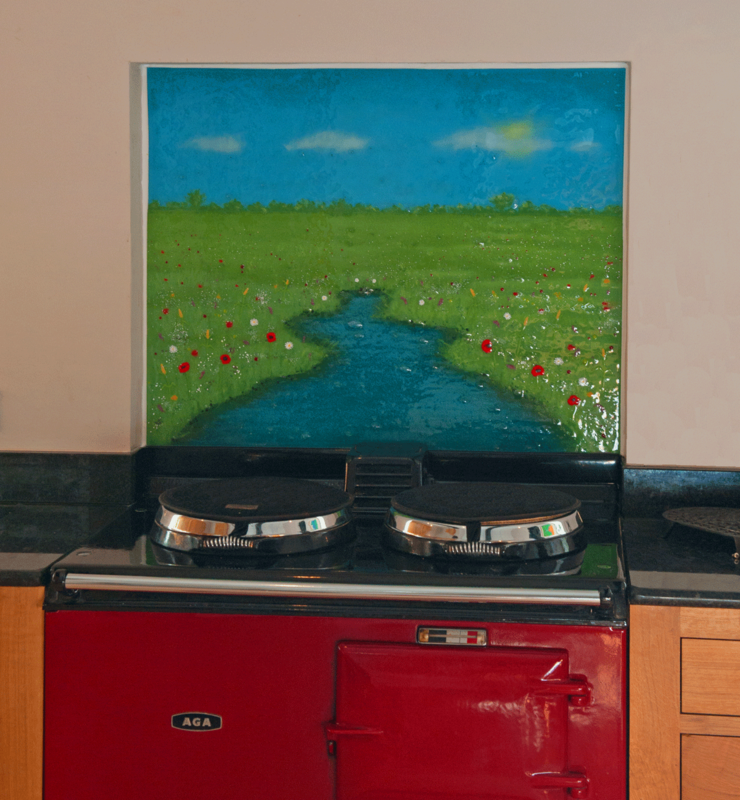 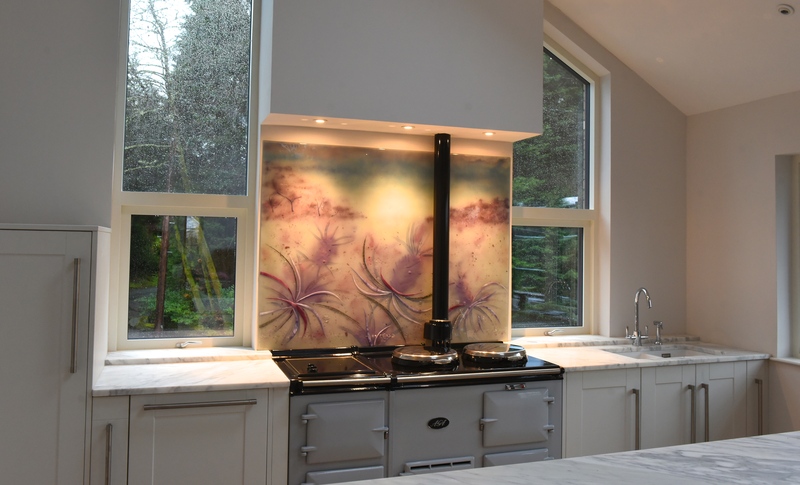 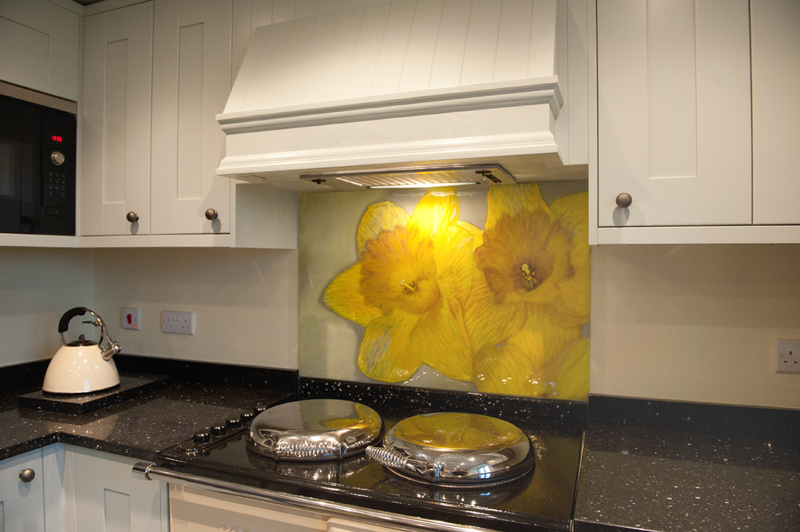 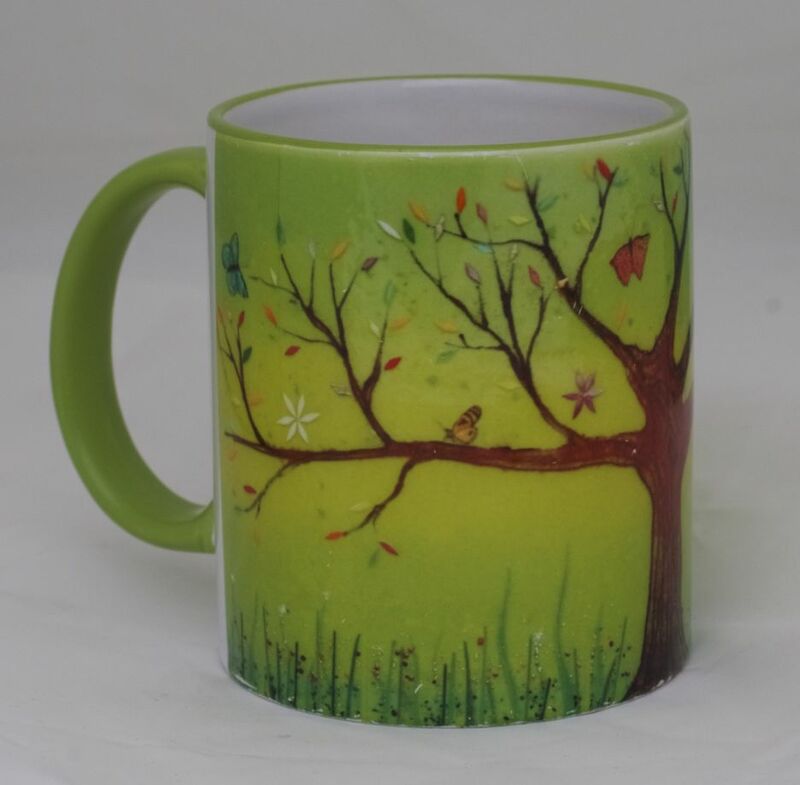 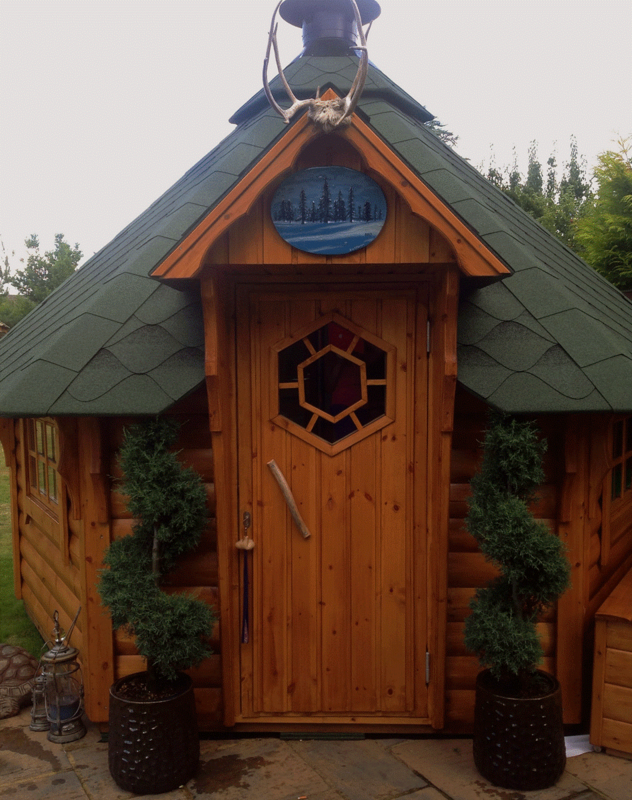 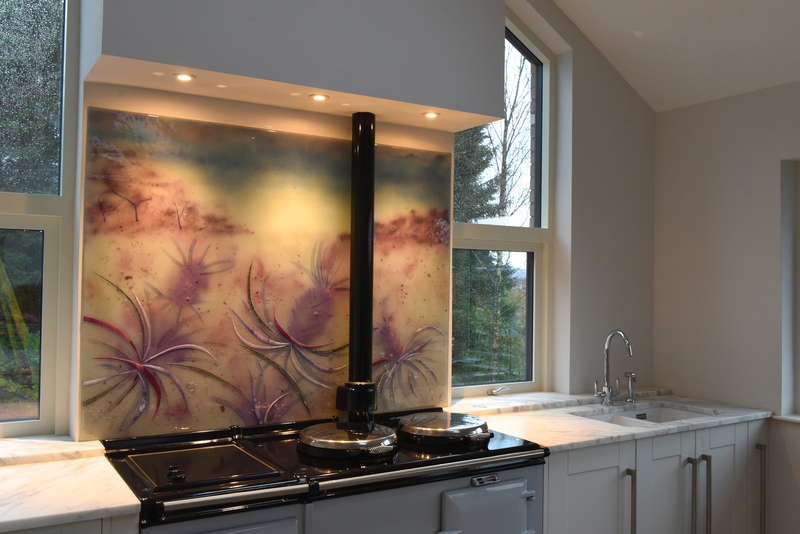 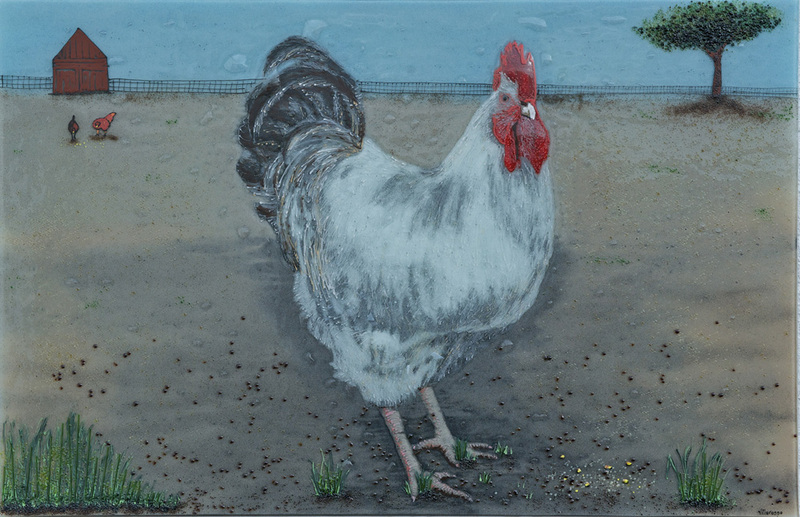 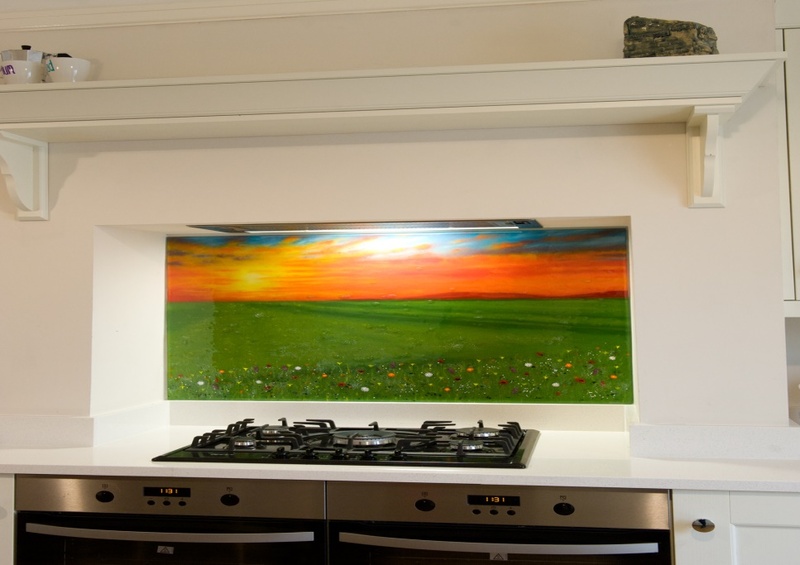 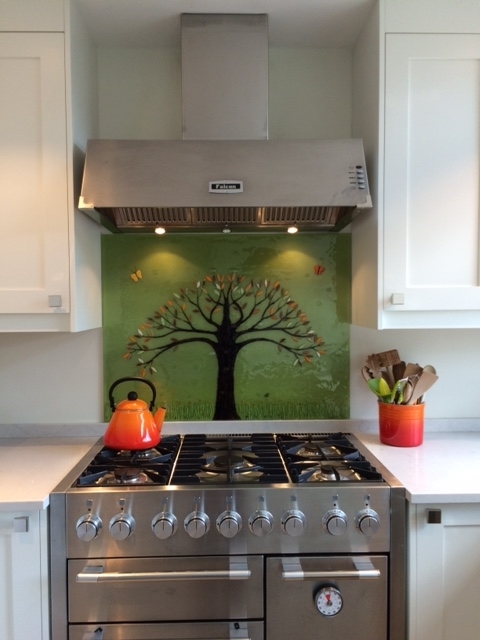 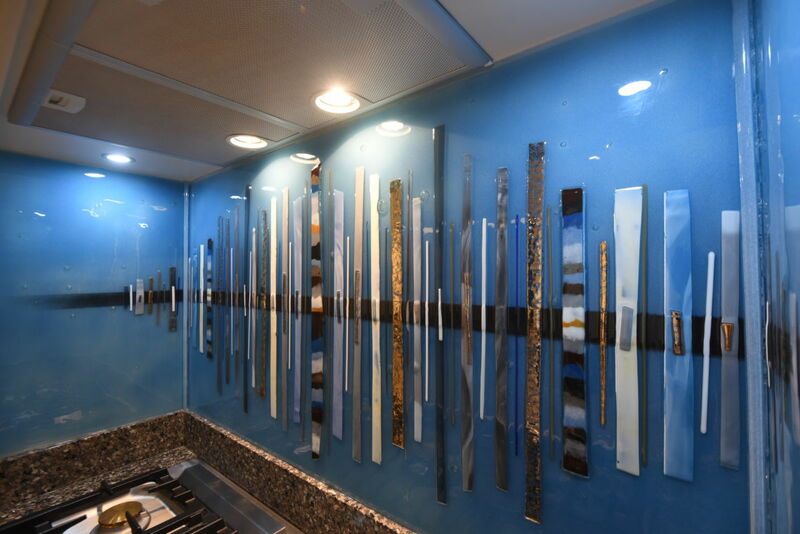 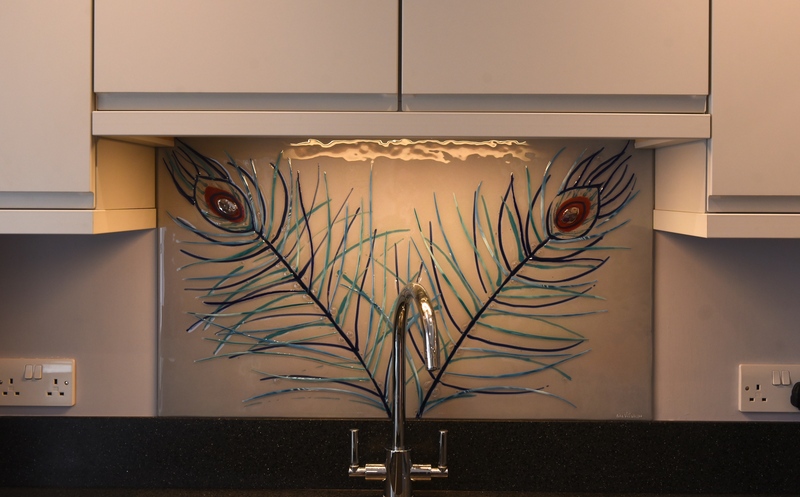 As we work in the business of fused glass art, the two rooms that we find ourselves working with most often are the kitchen and the bathroom. 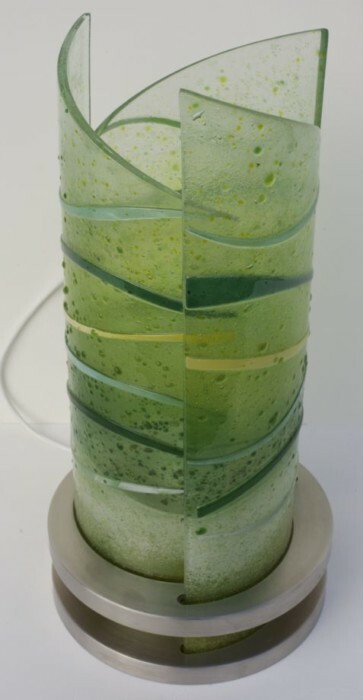 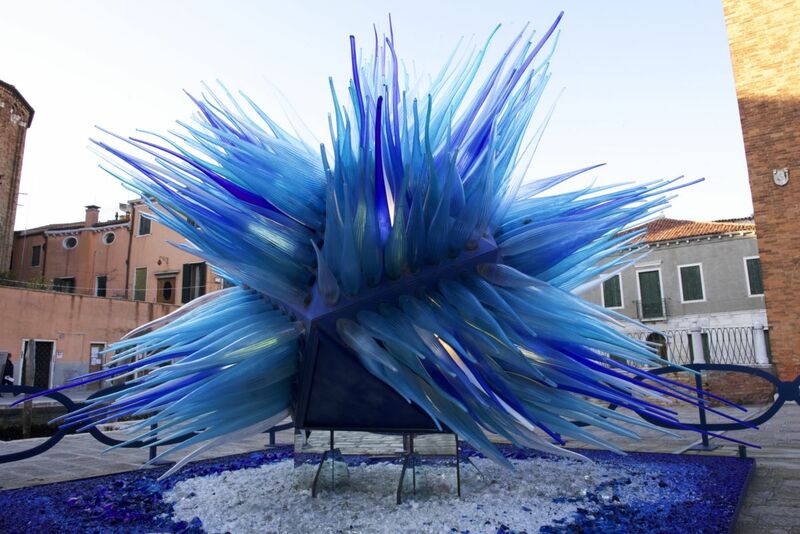 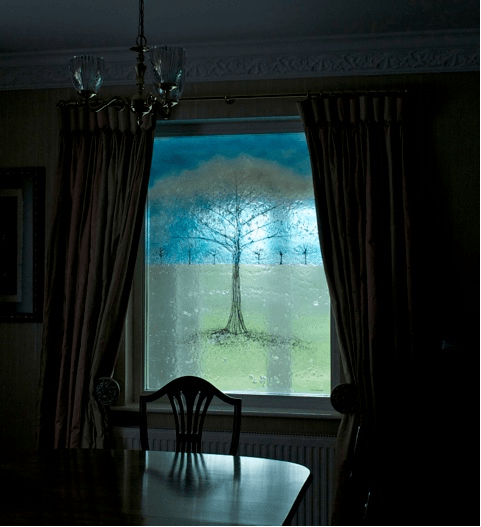 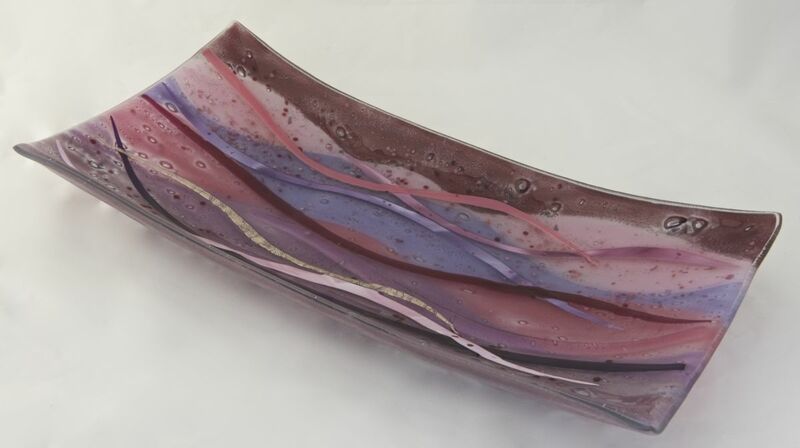 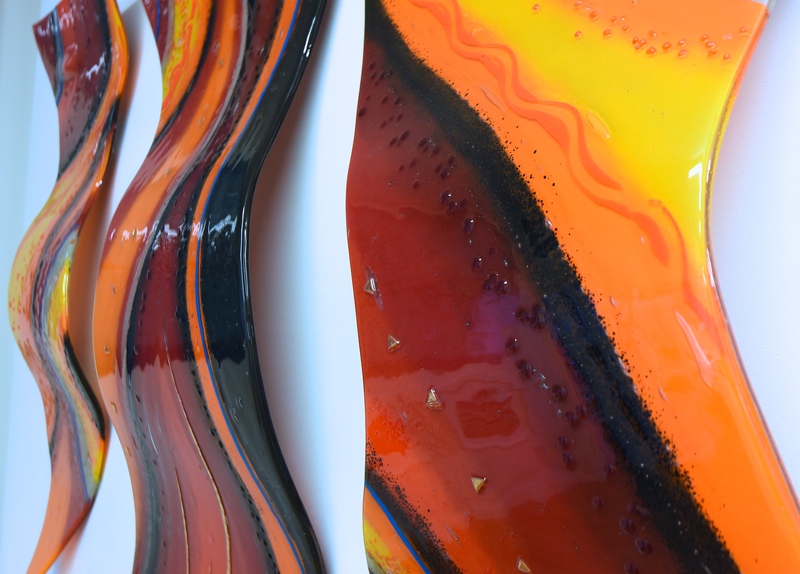 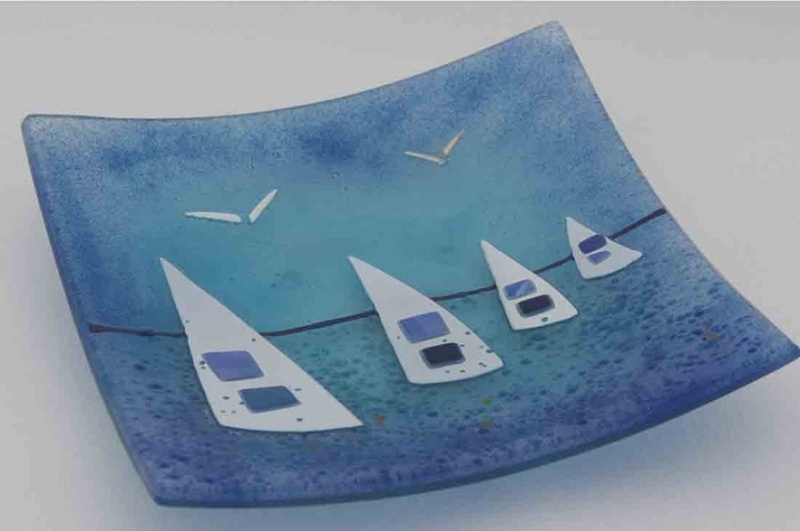 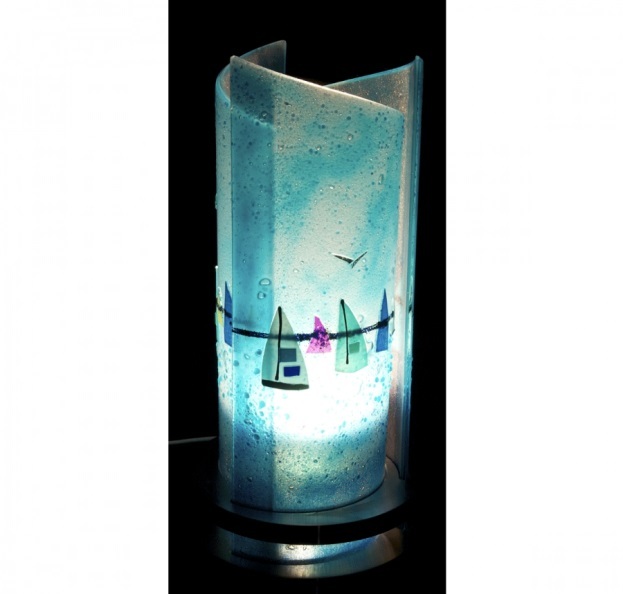 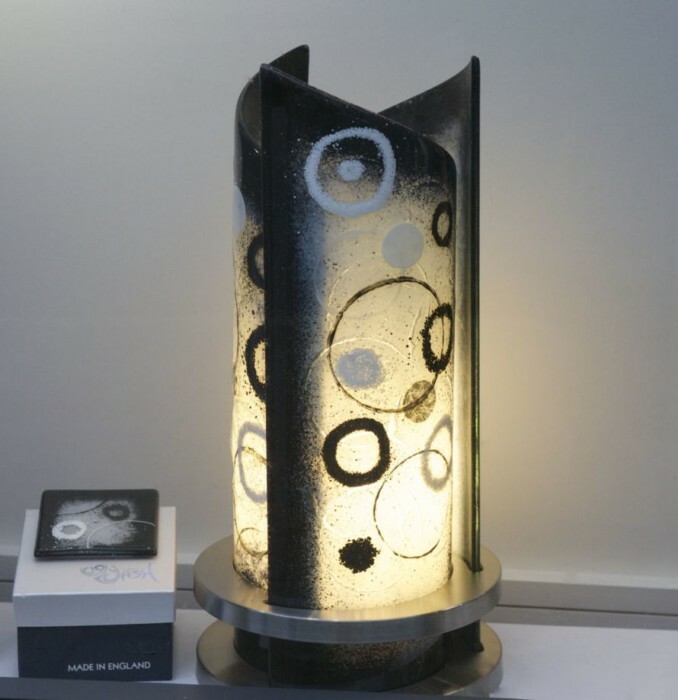 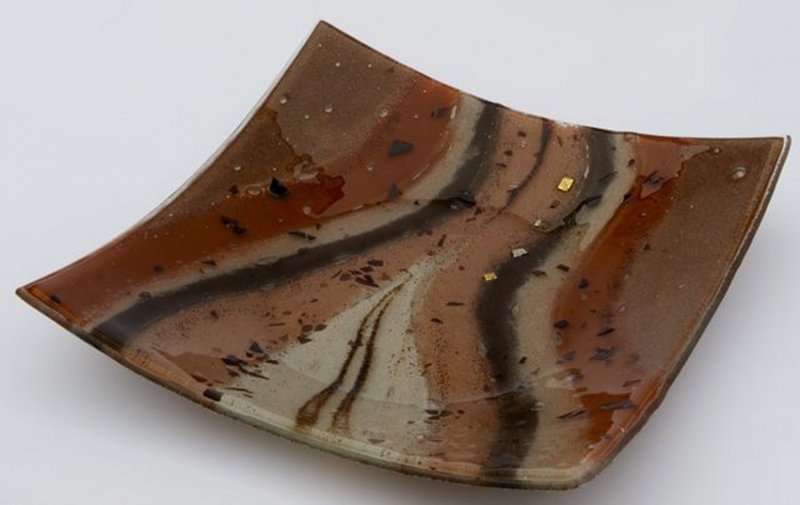 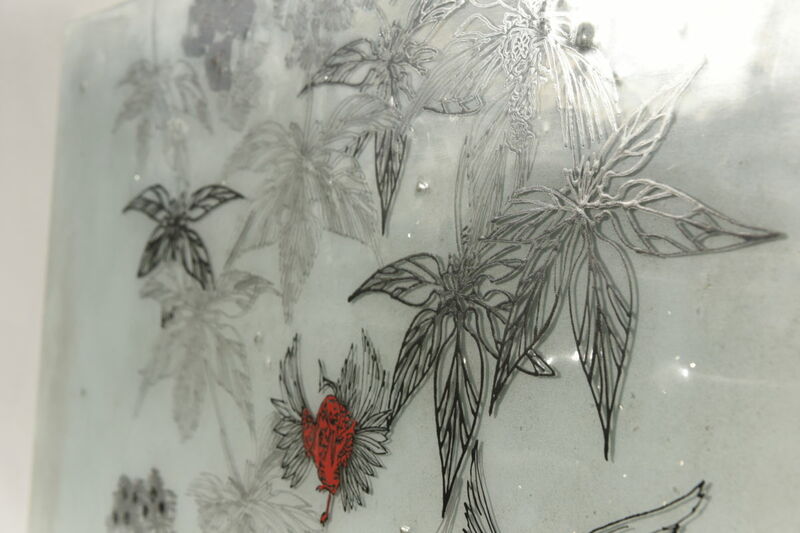 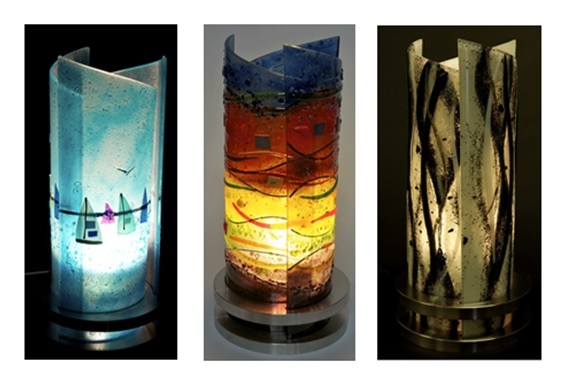 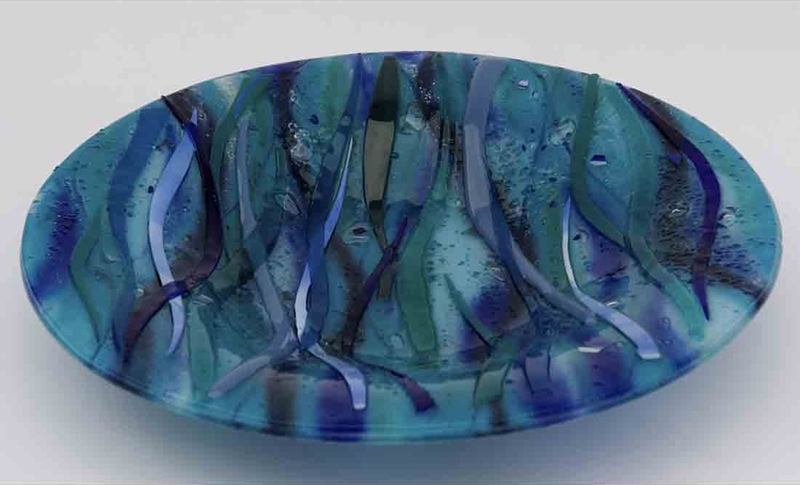 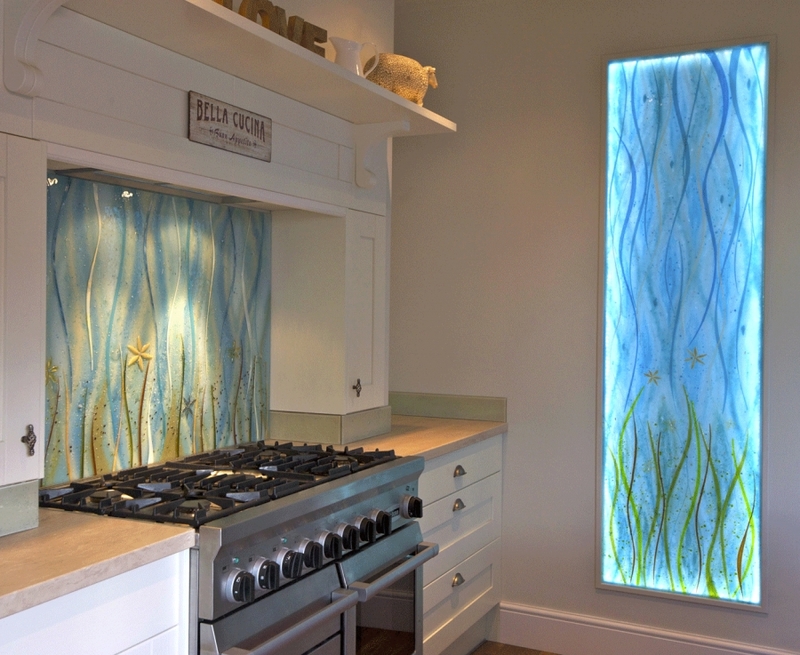 This plays to the strengths of fused glass, of course, as steam and moisture in both of these places won’t have any effect on the glass whatsoever, unlike traditional artwork. 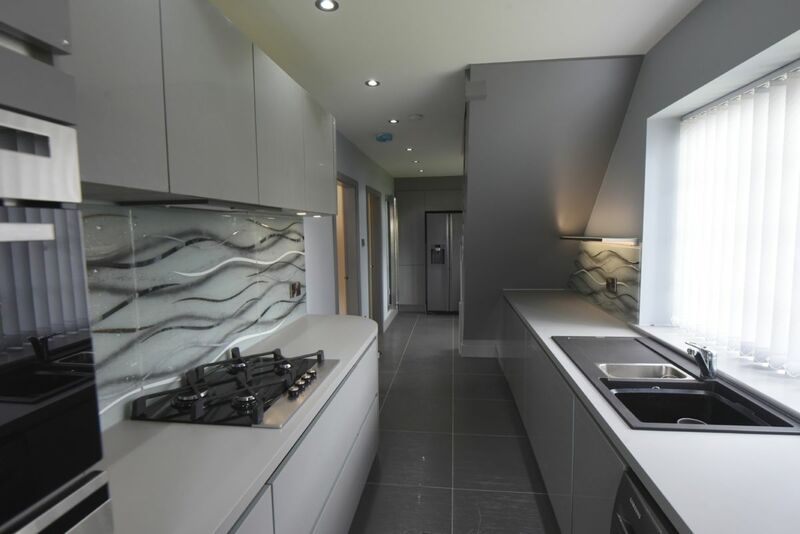 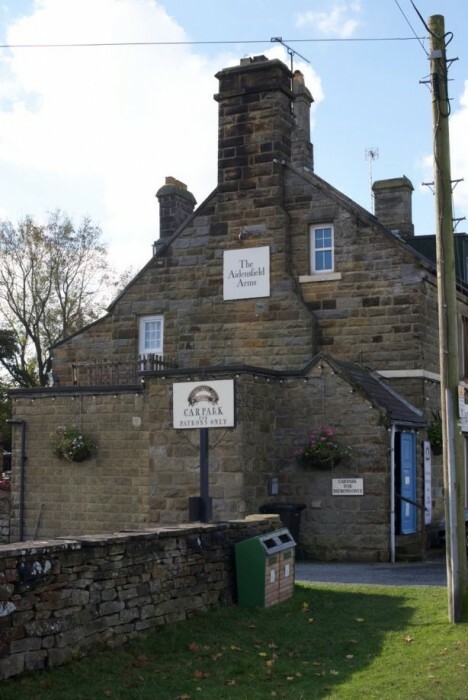 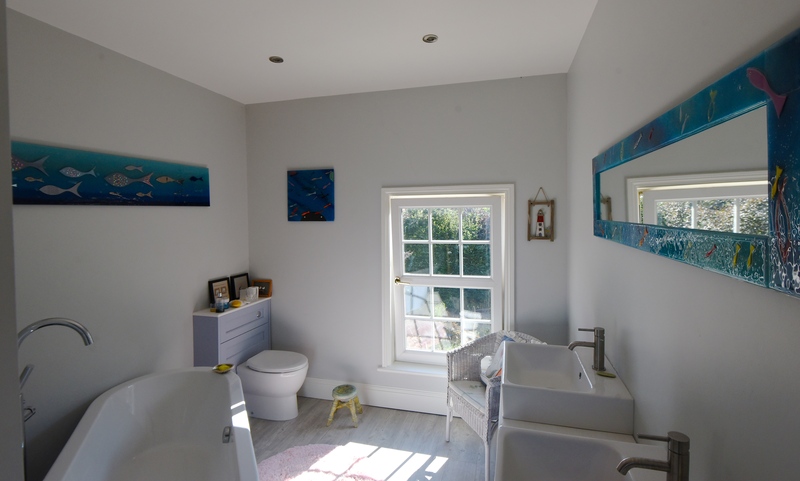 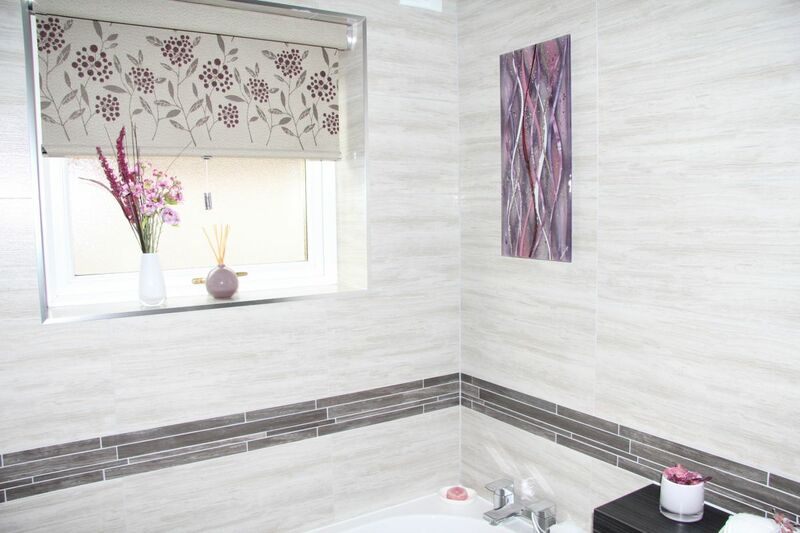 The reasons behind the popularity of those two rooms aren’t just practical, however, and just one look at our portfolio should pull up a wealth of gorgeous bathroom wall panels, kitchen splashbacks and more. 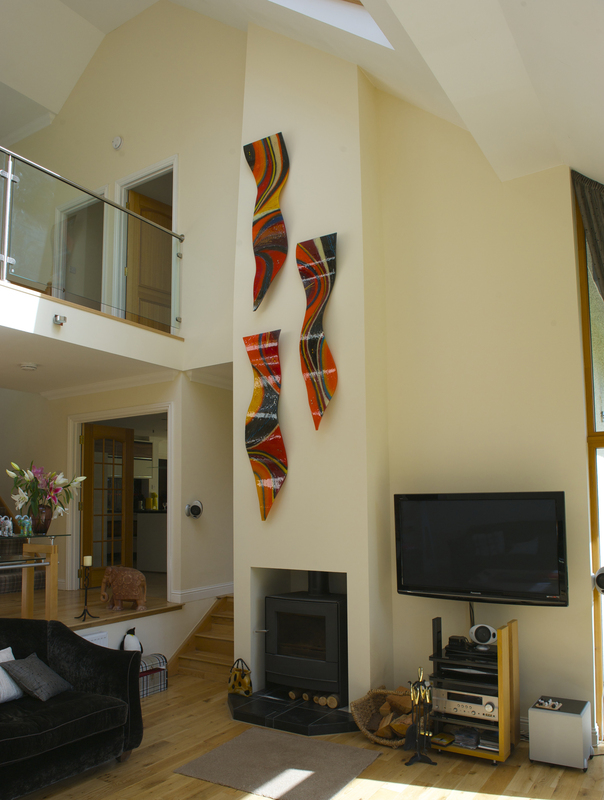 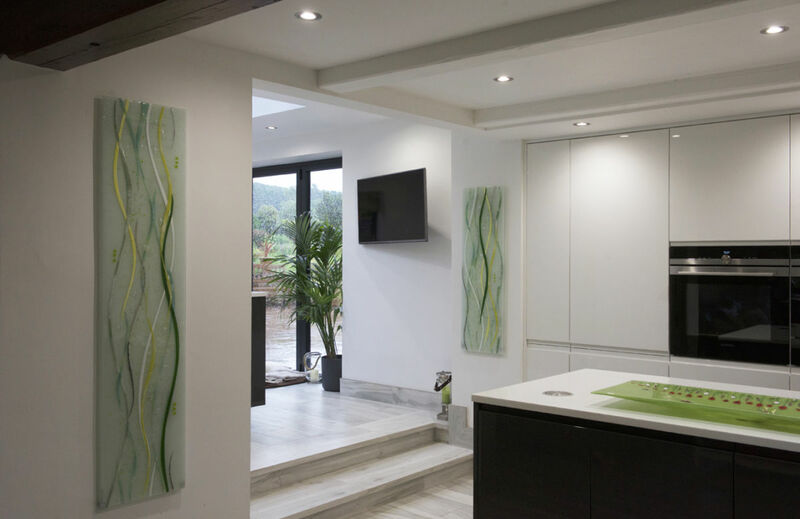 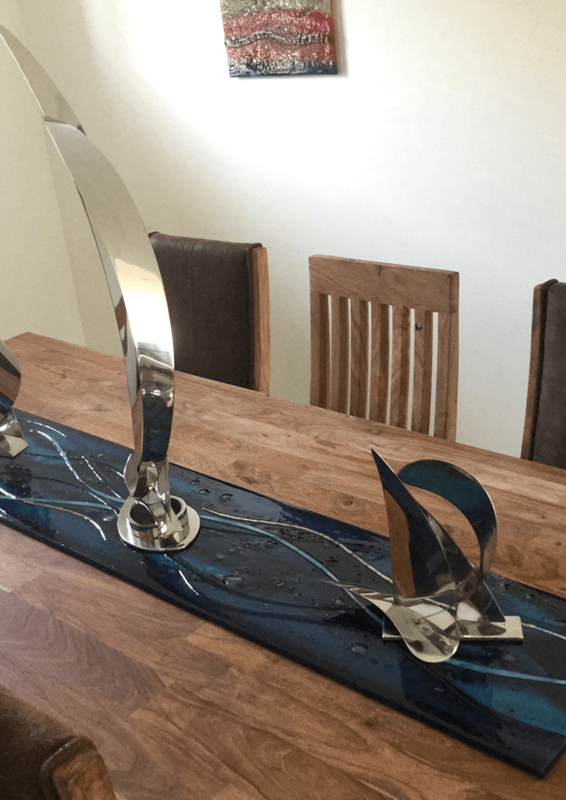 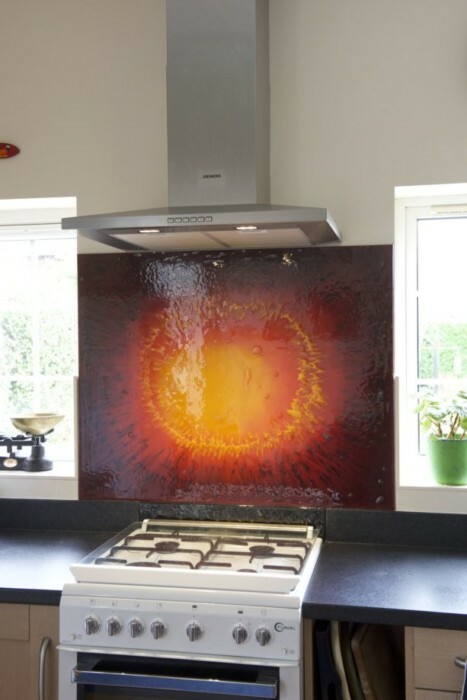 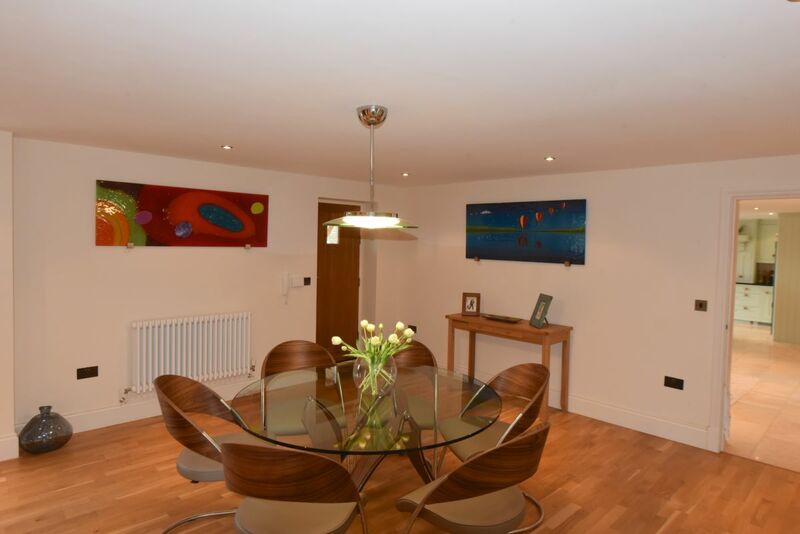 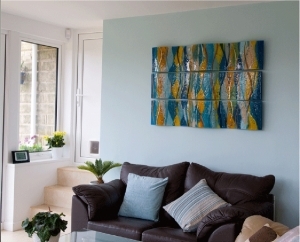 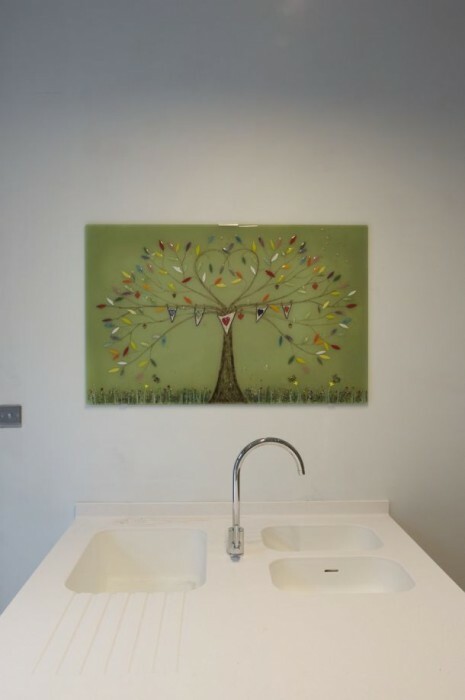 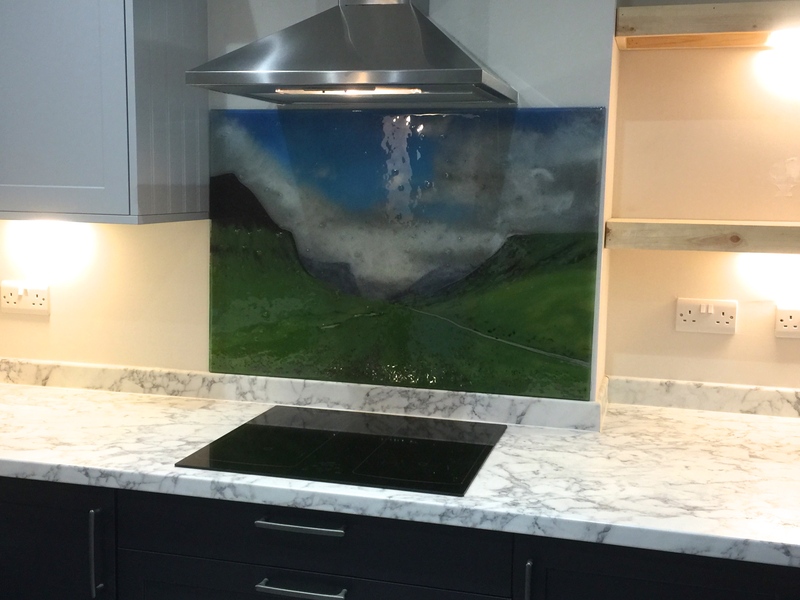 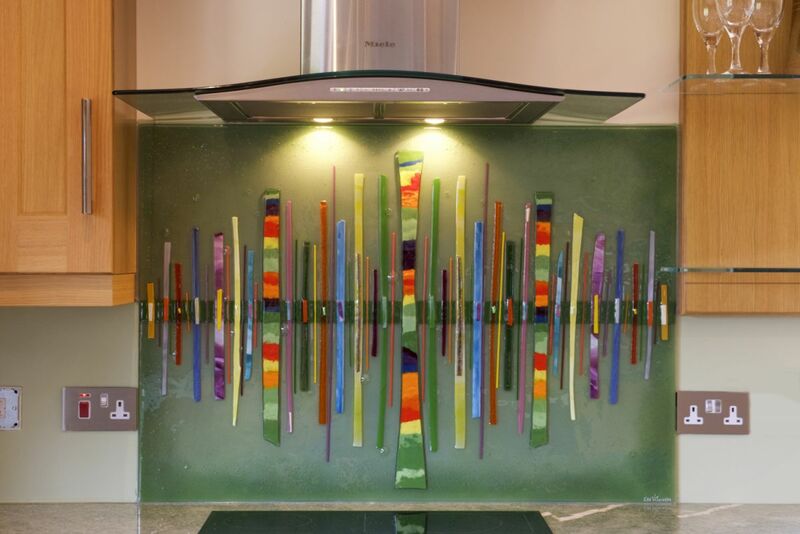 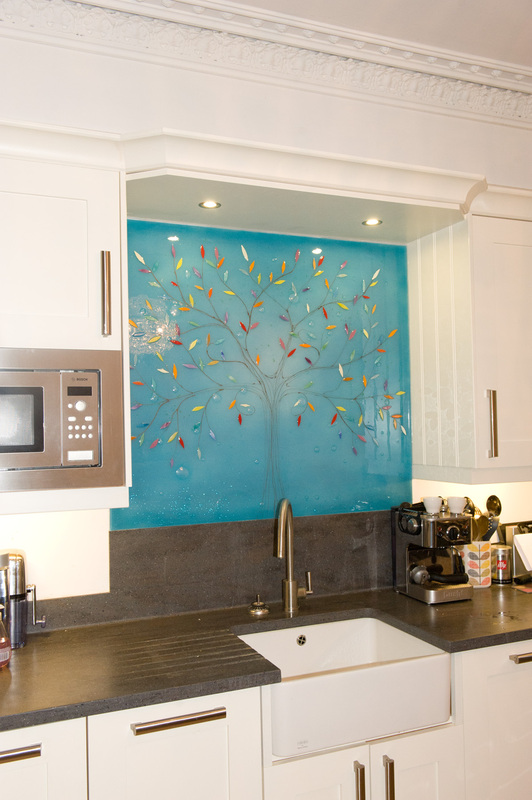 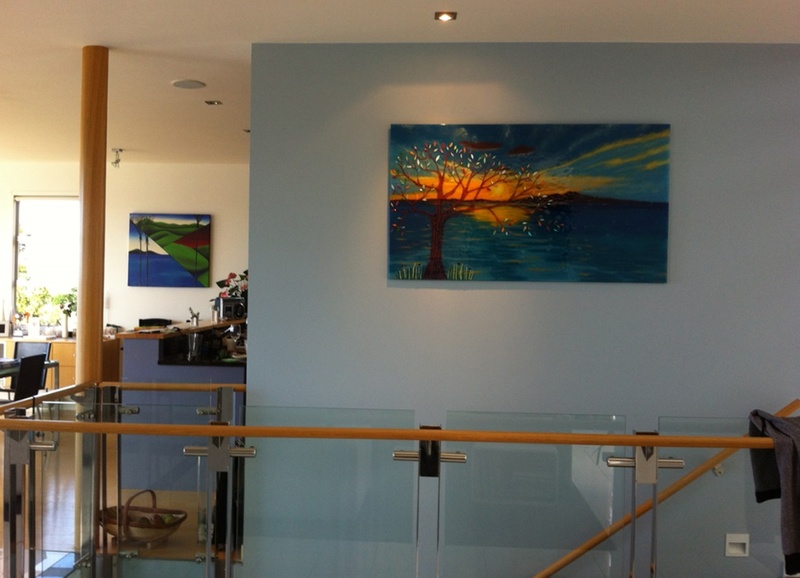 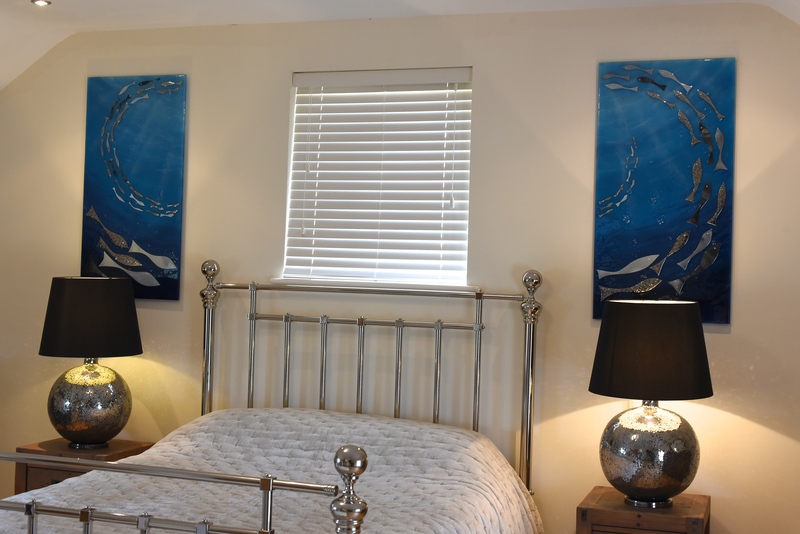 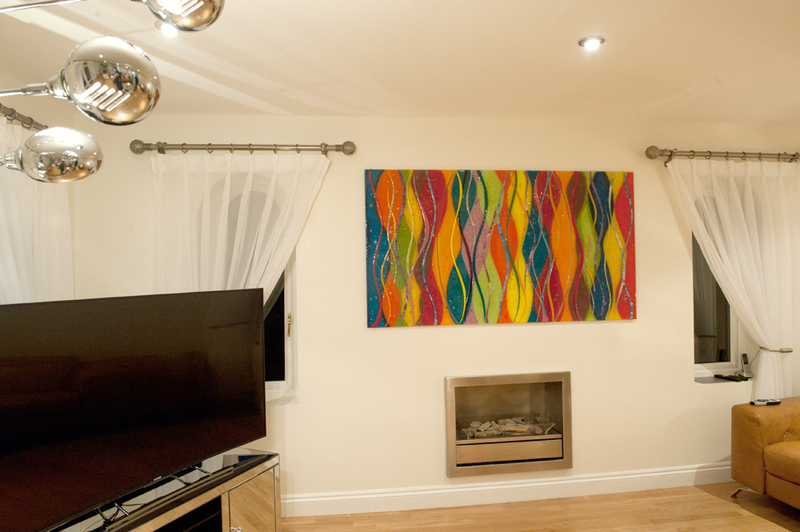 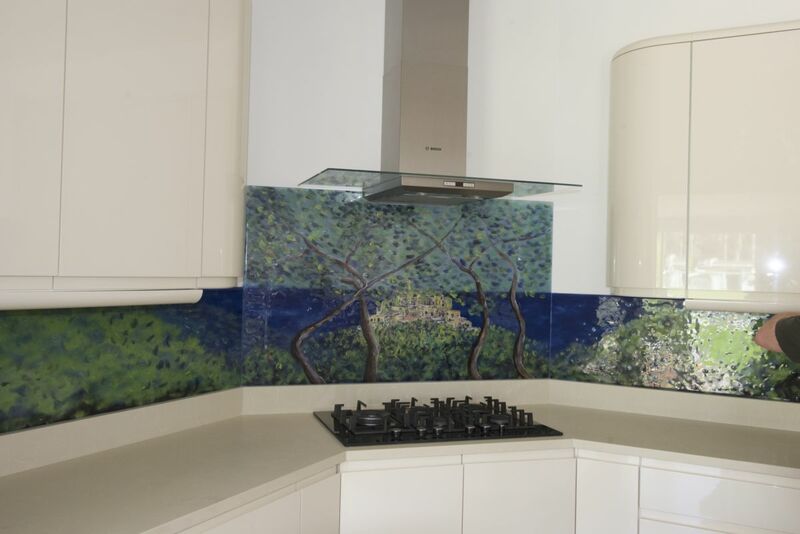 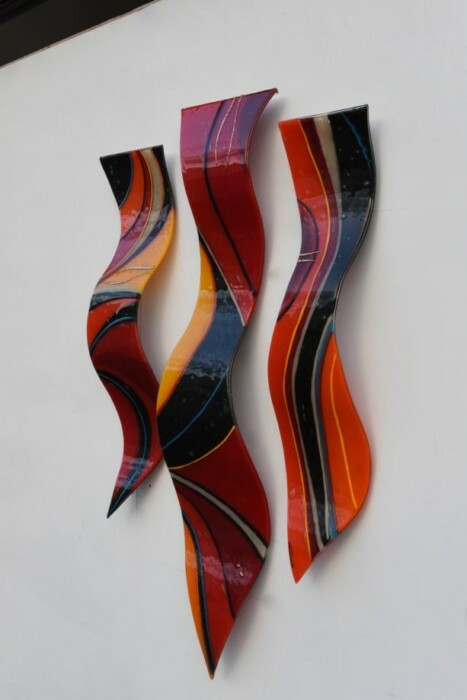 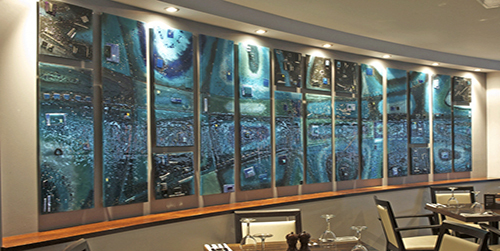 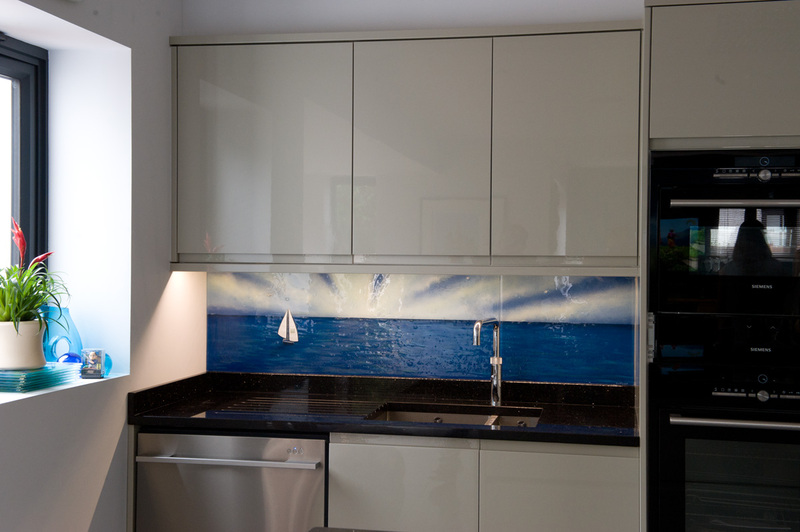 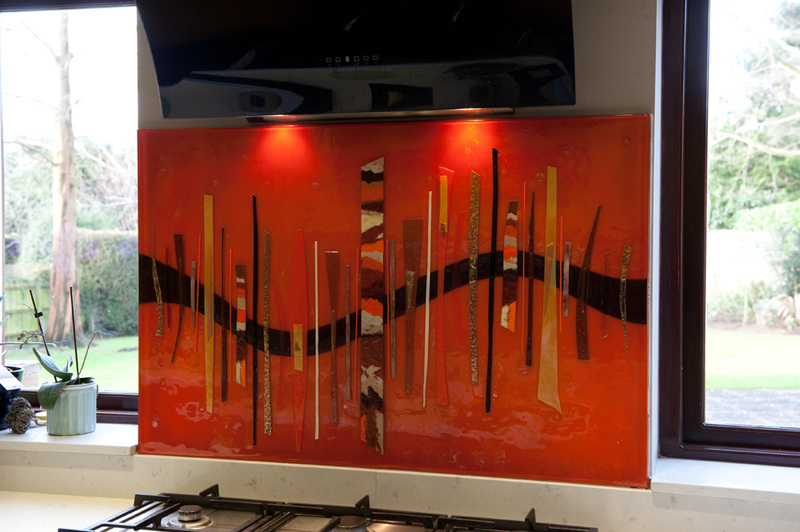 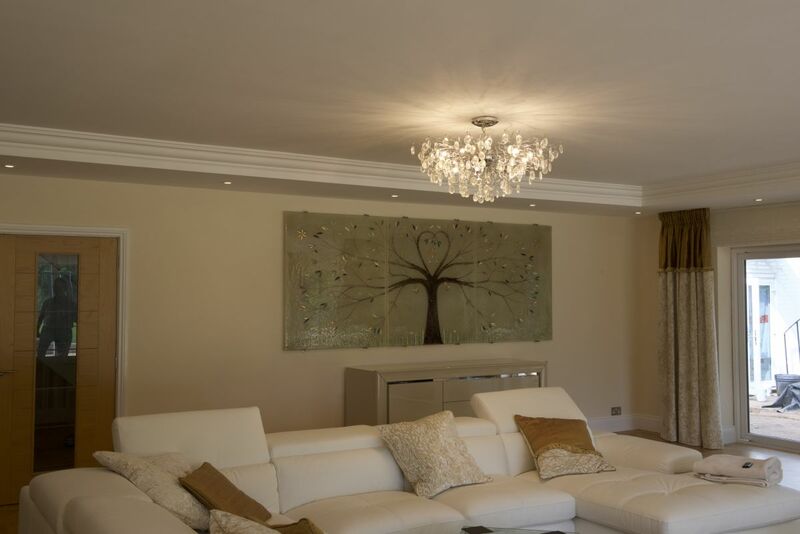 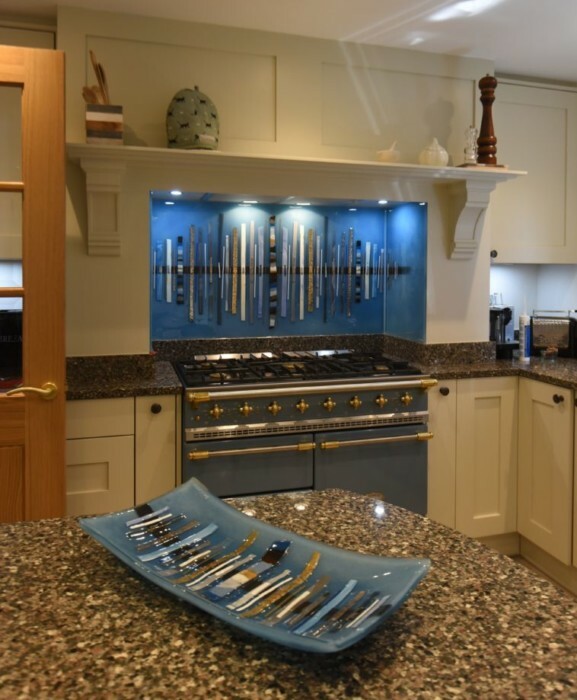 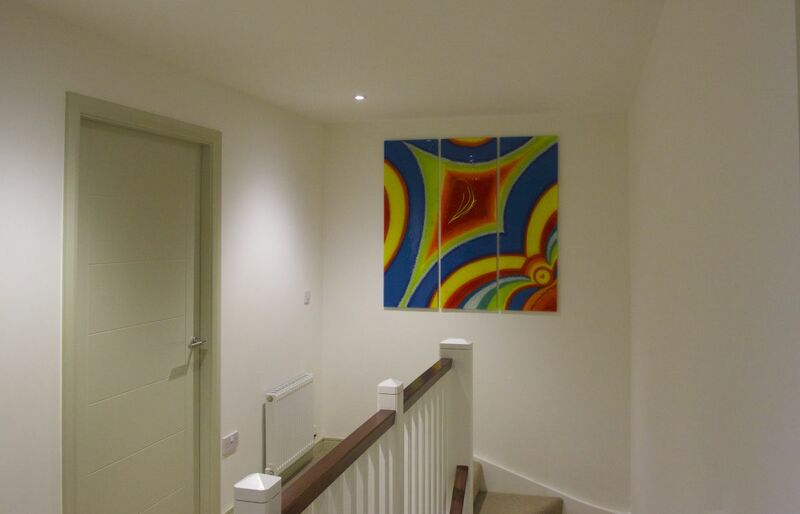 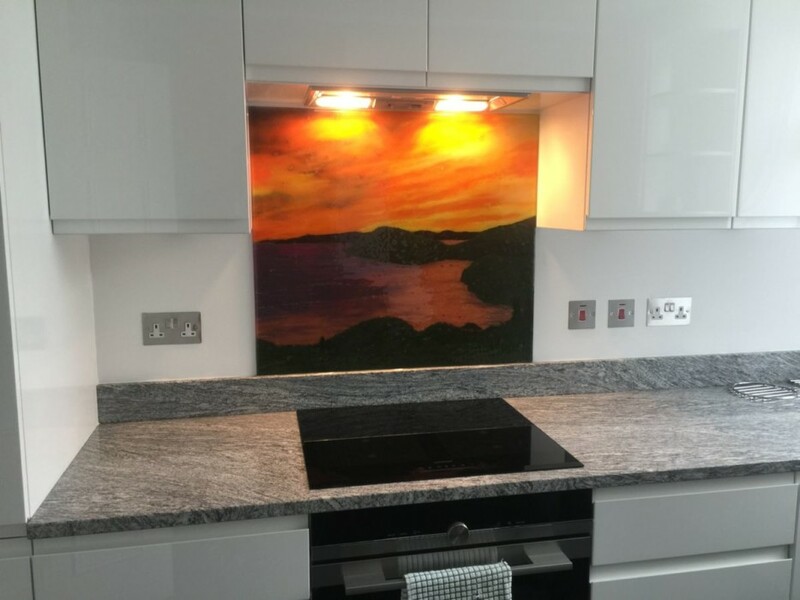 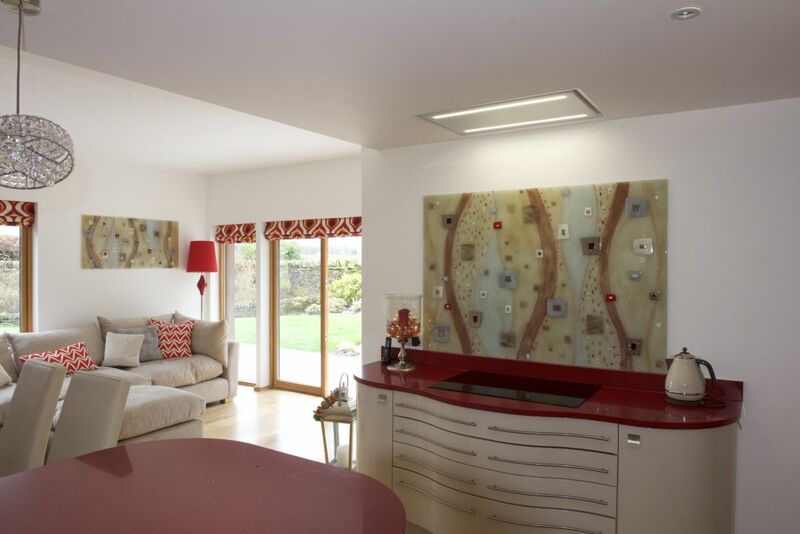 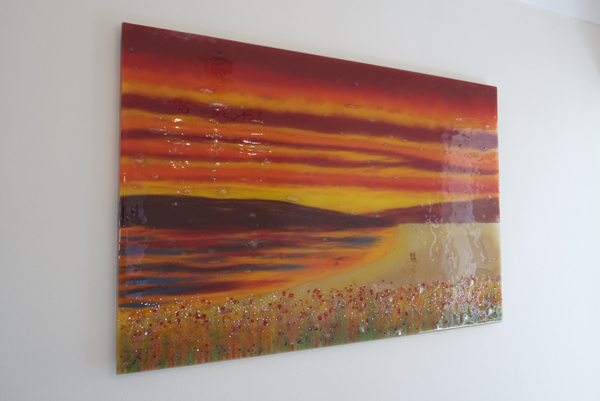 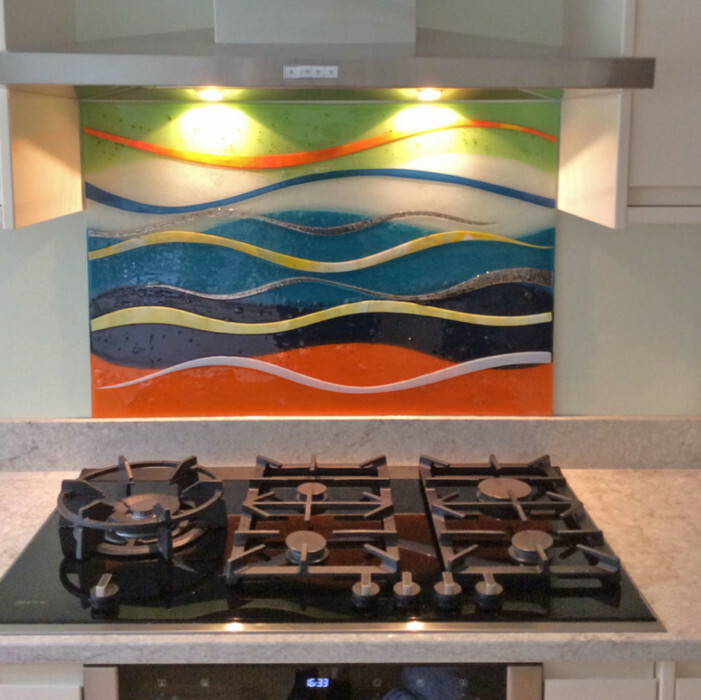 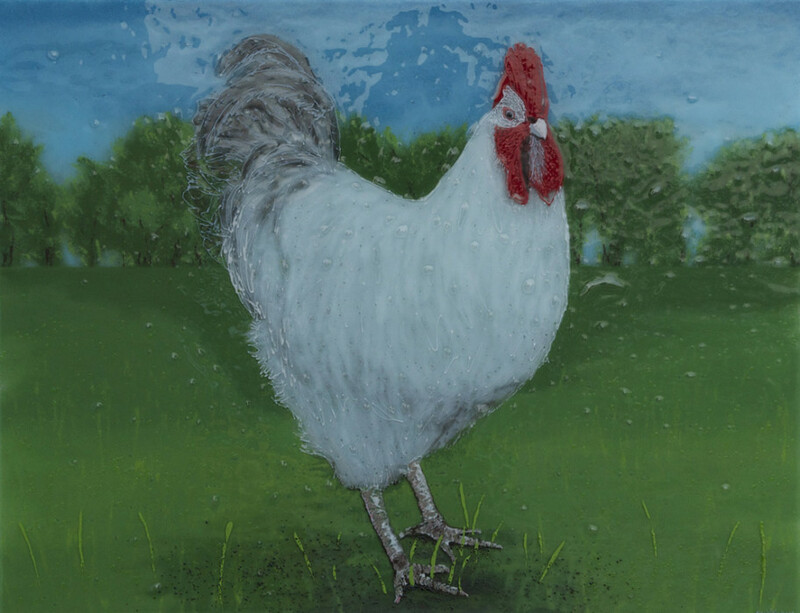 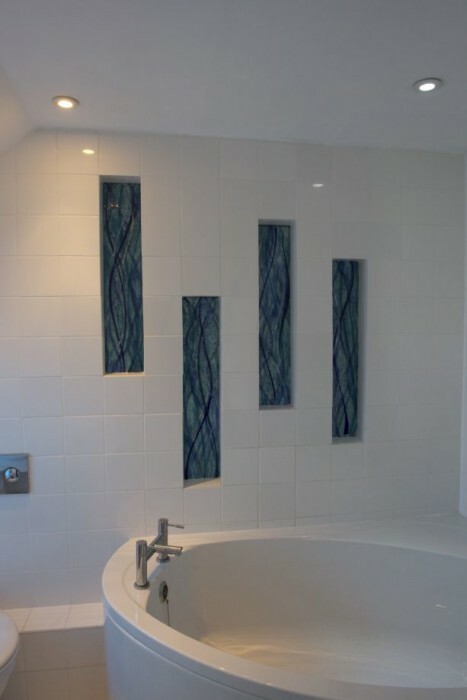 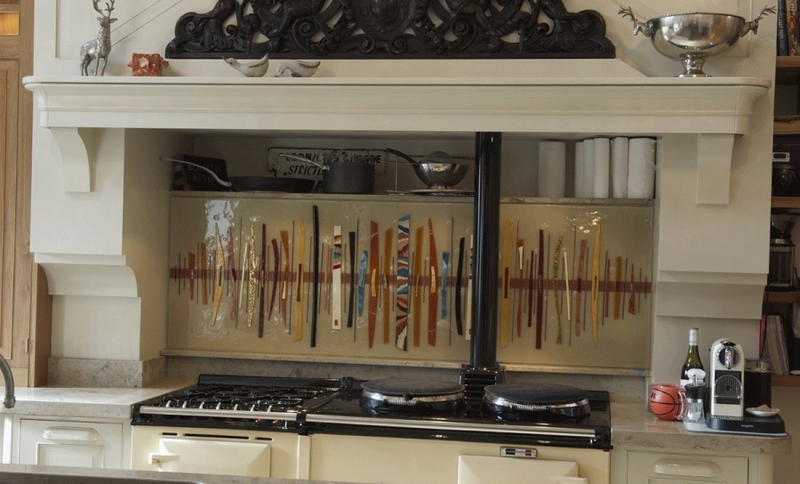 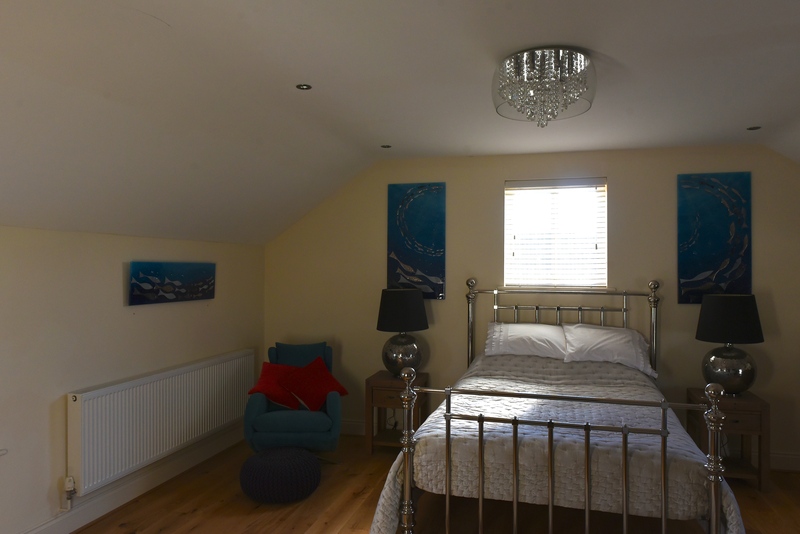 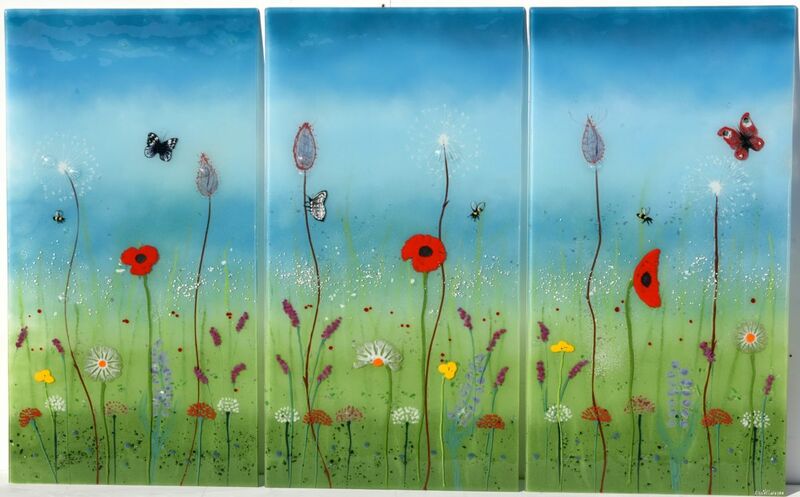 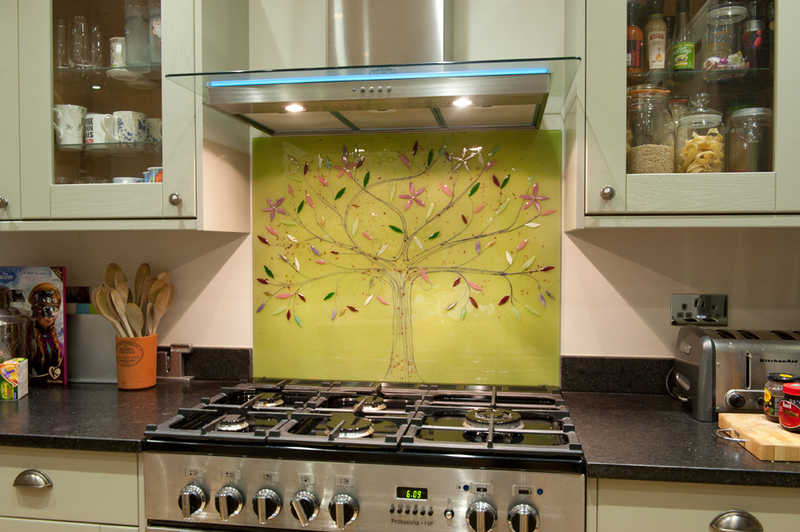 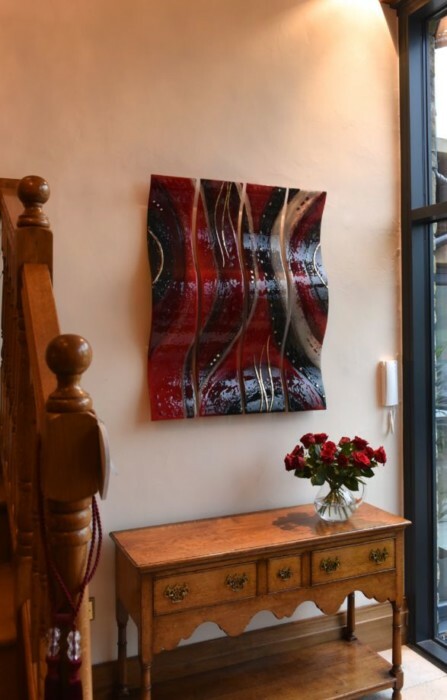 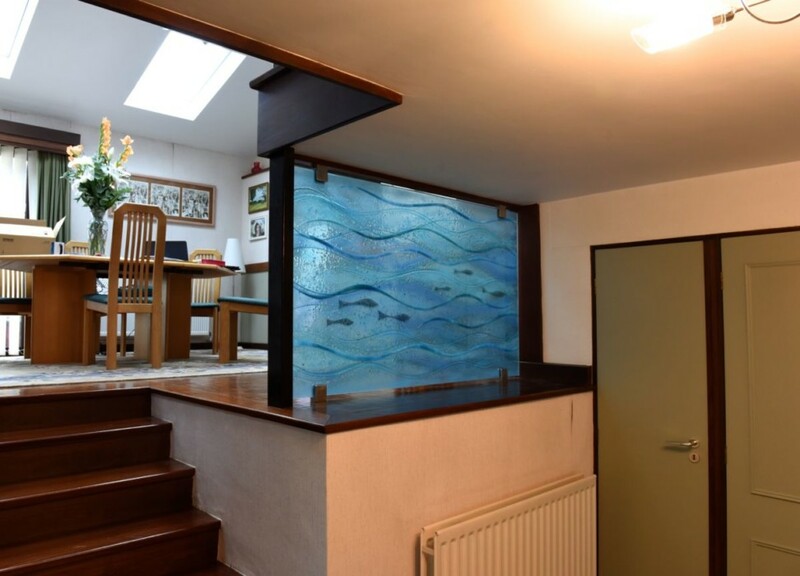 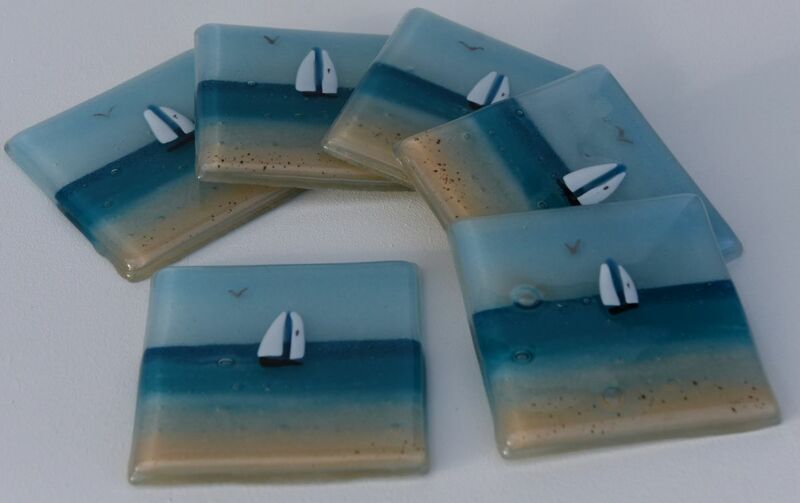 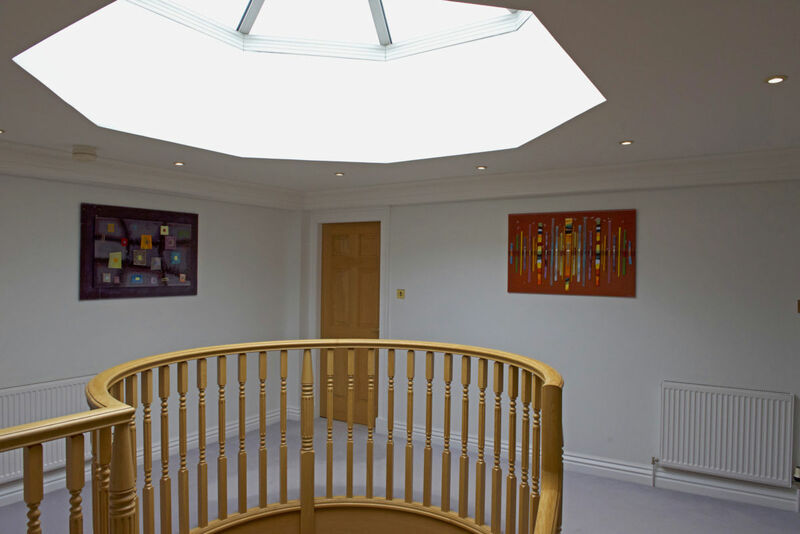 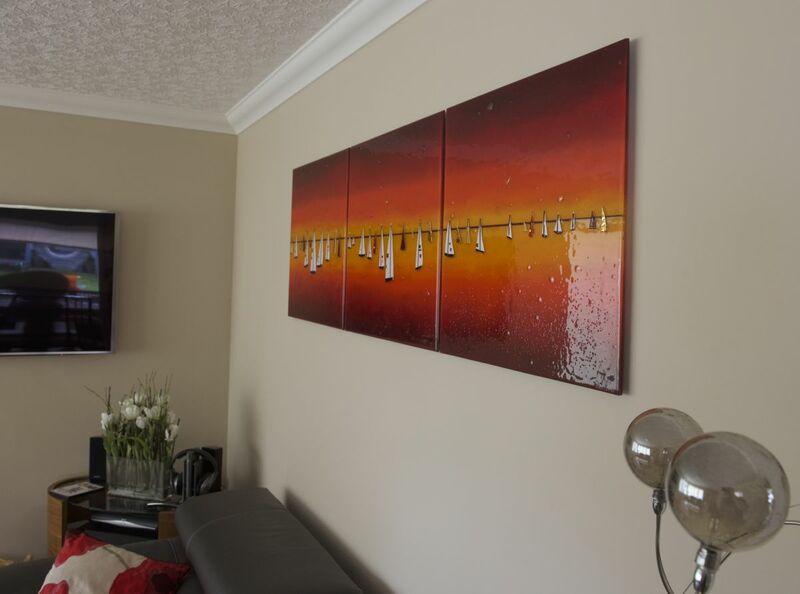 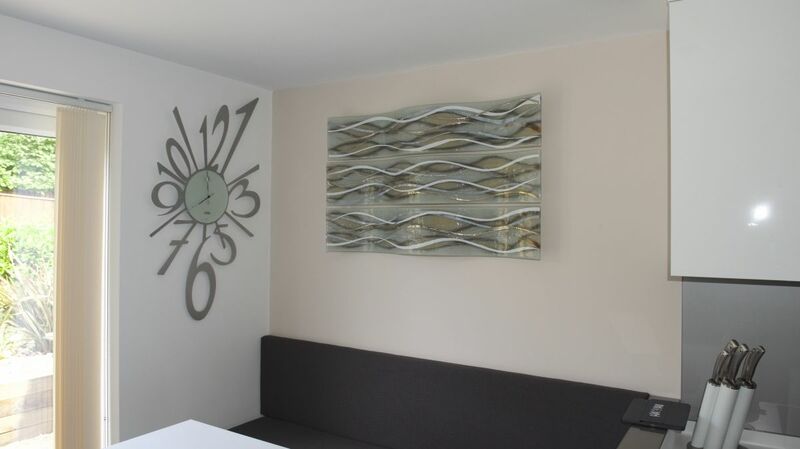 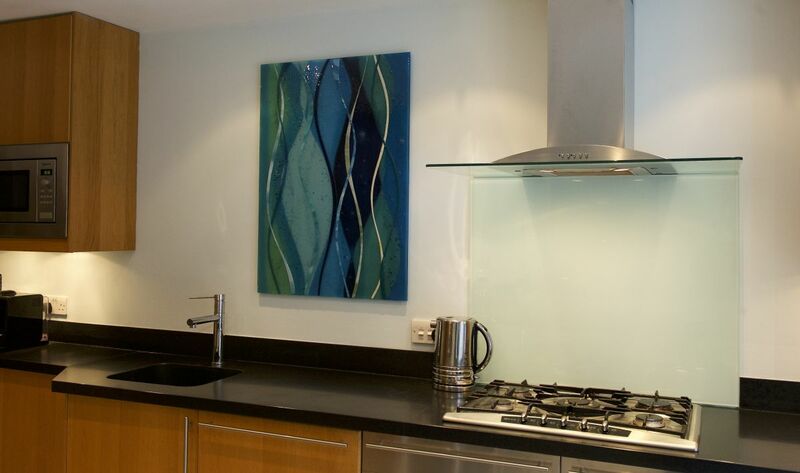 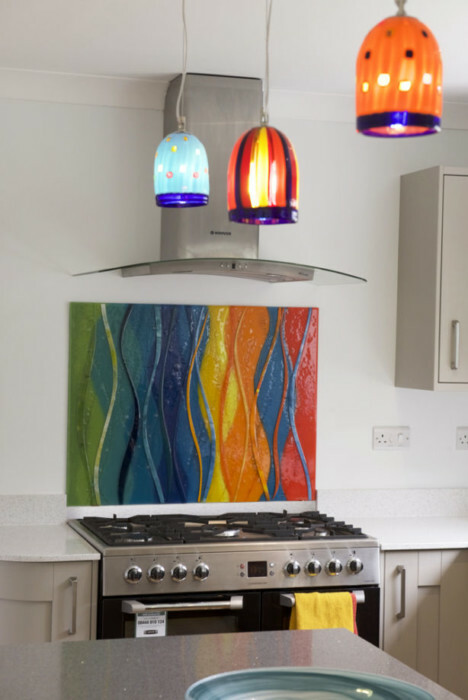 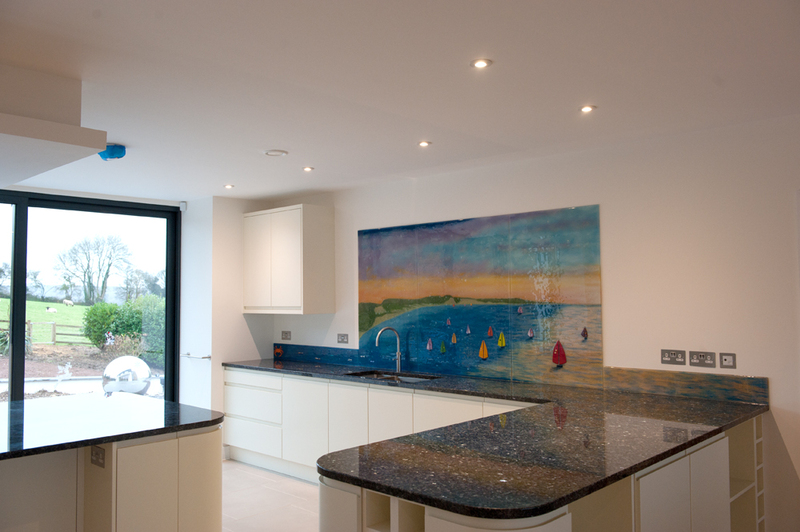 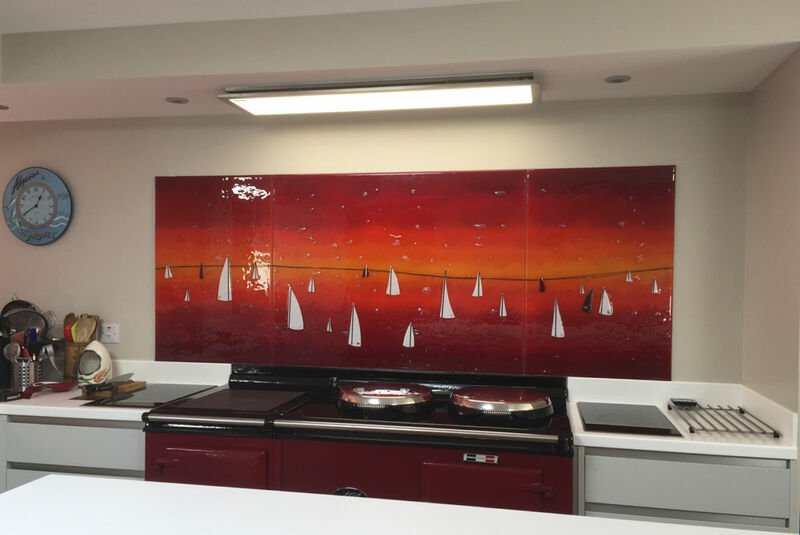 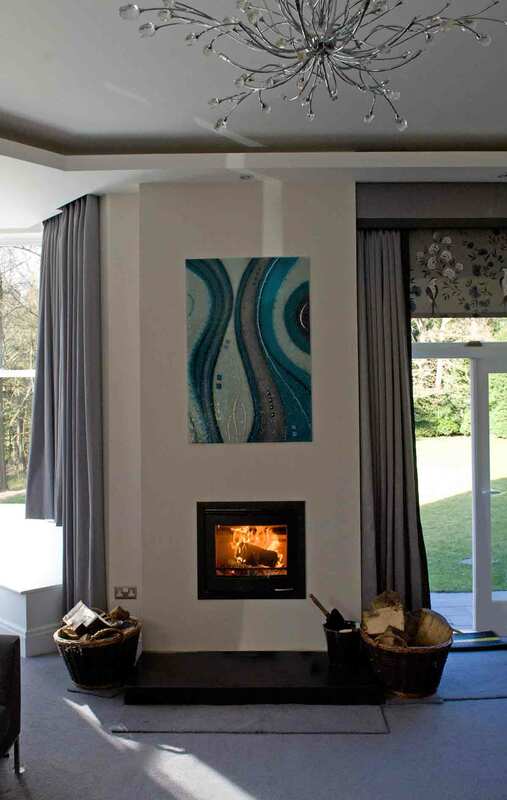 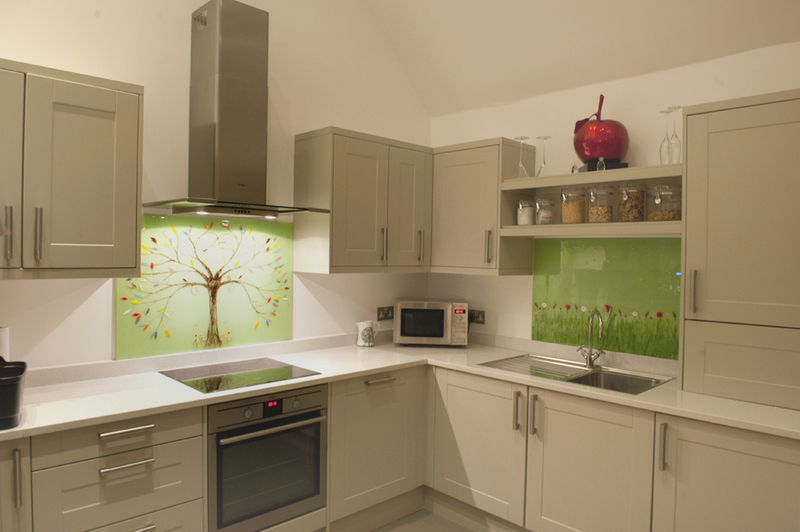 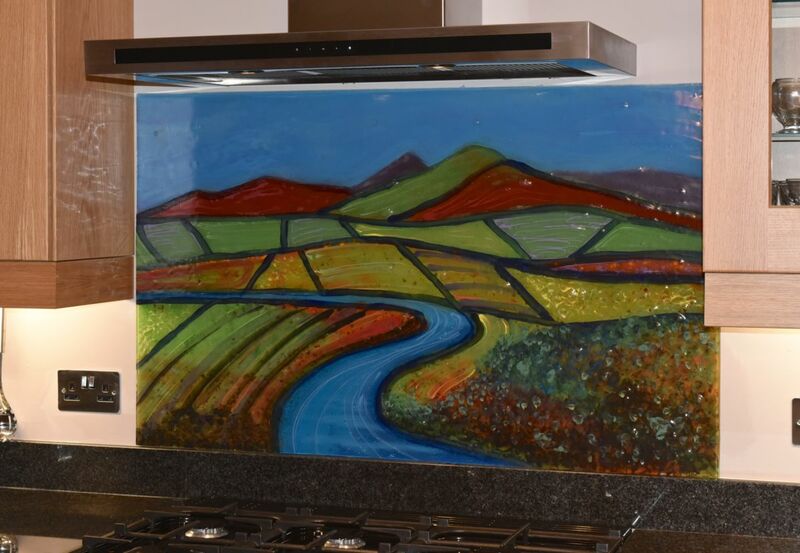 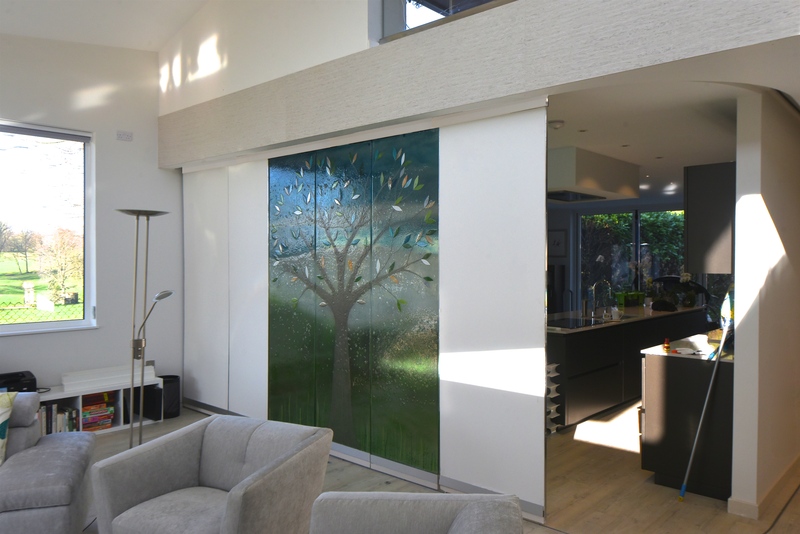 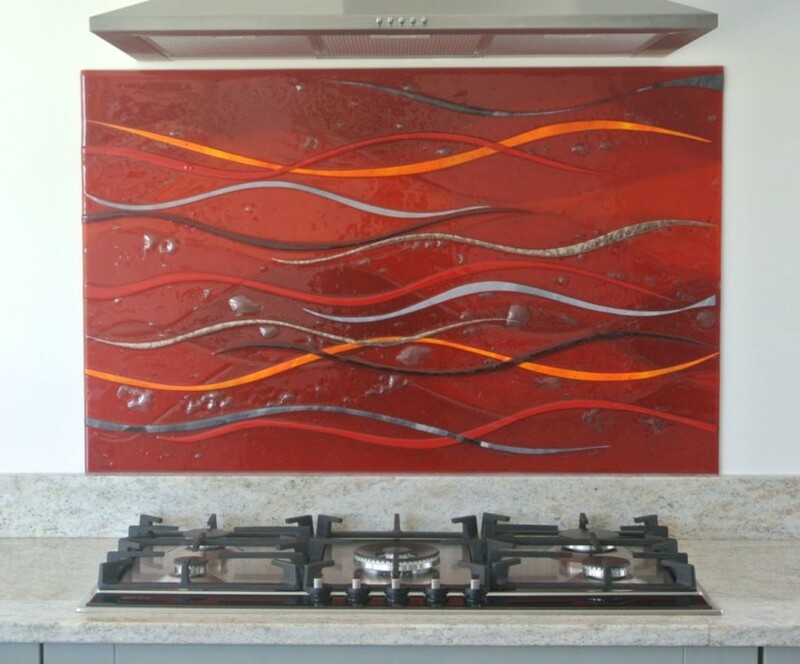 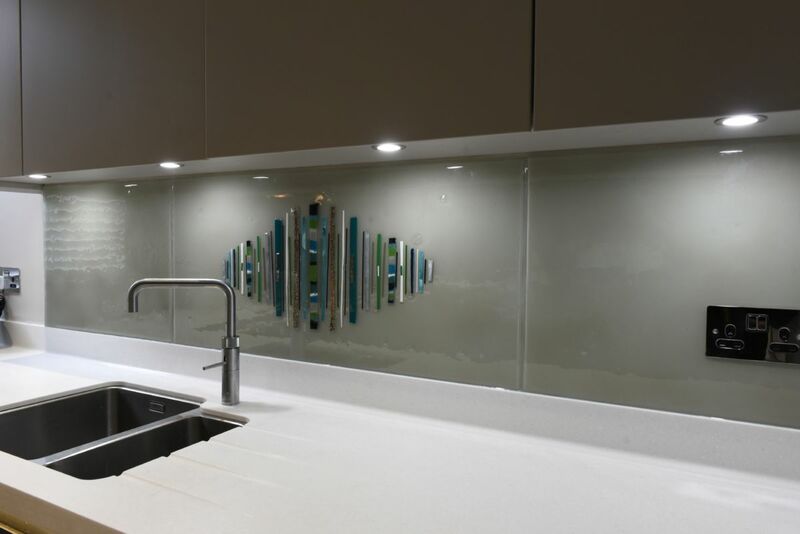 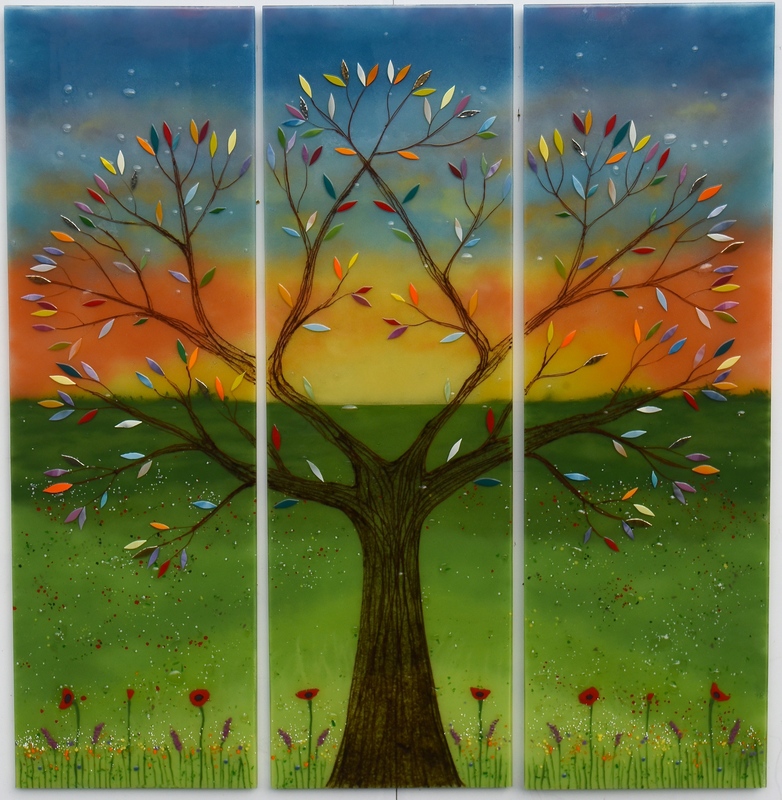 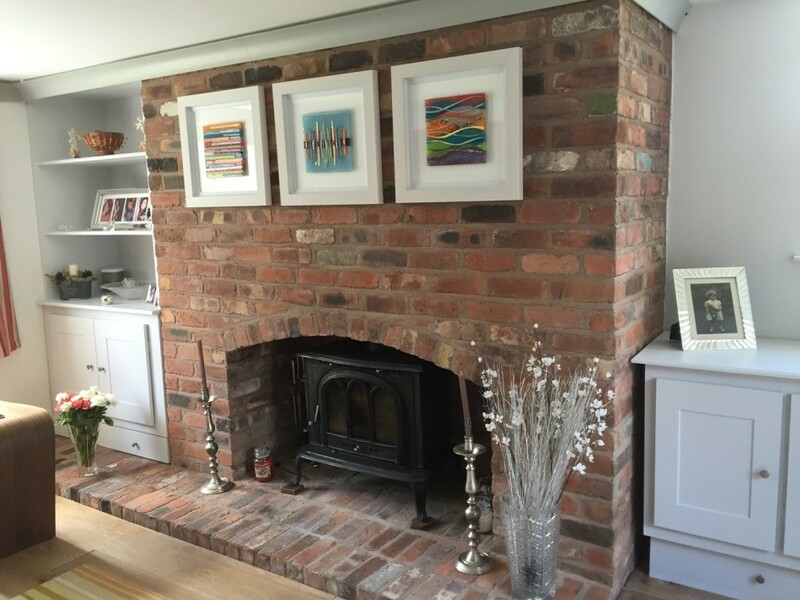 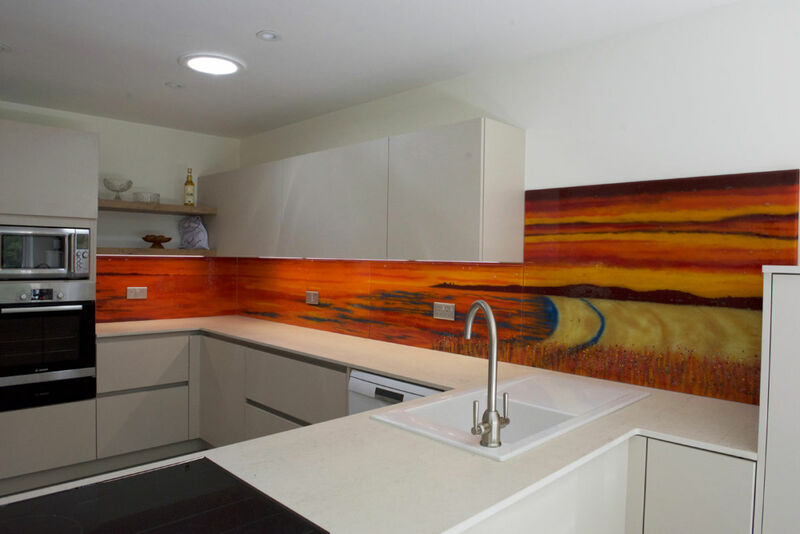 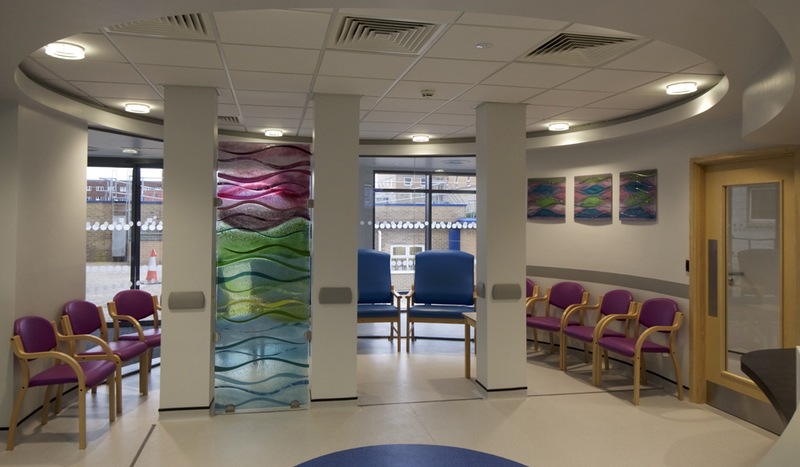 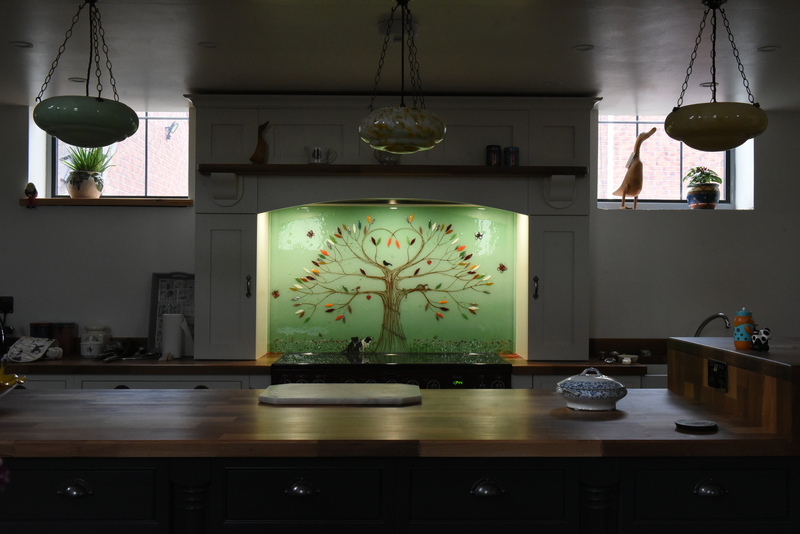 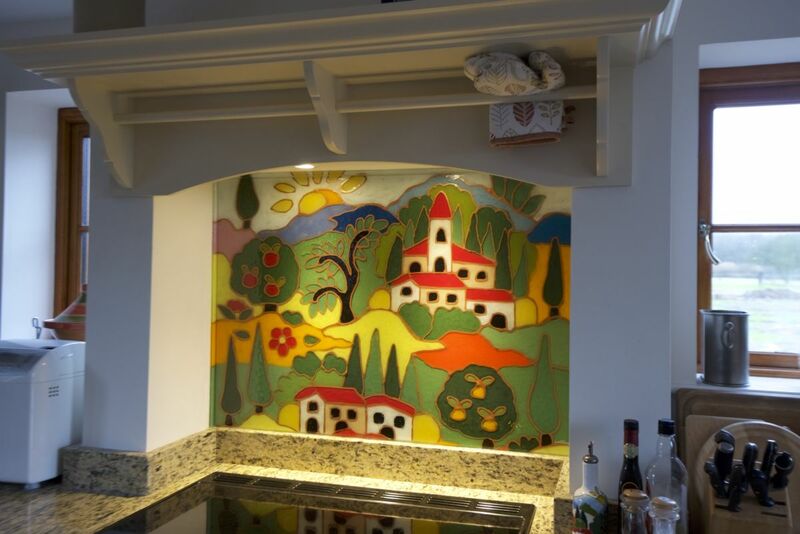 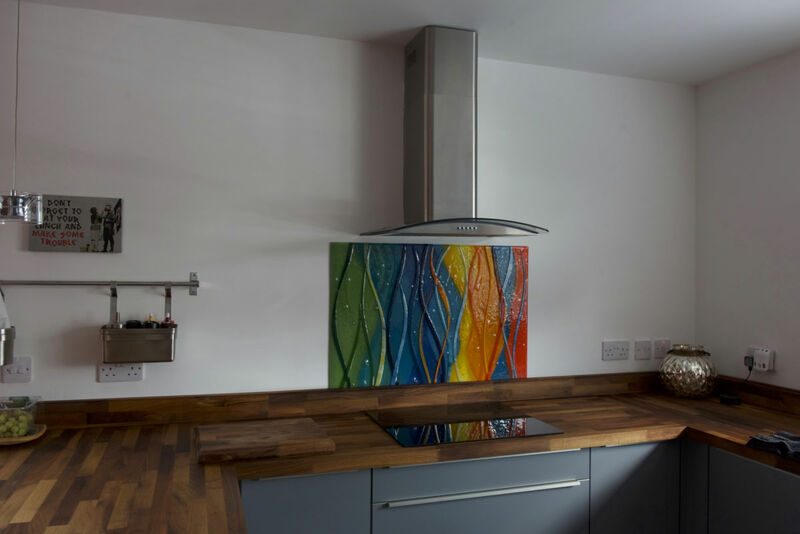 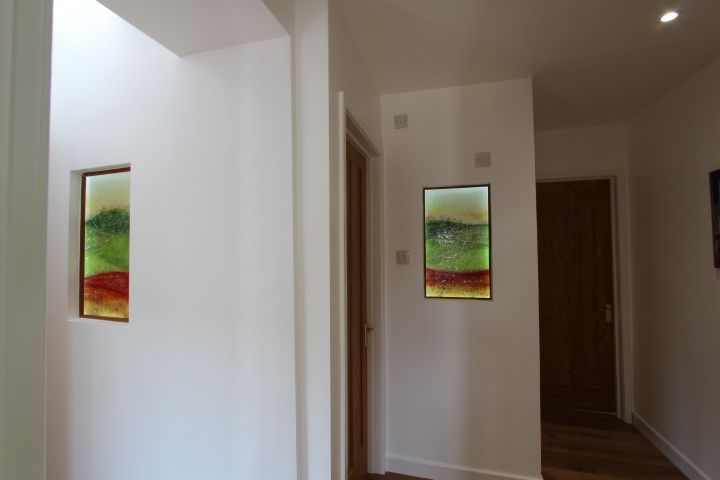 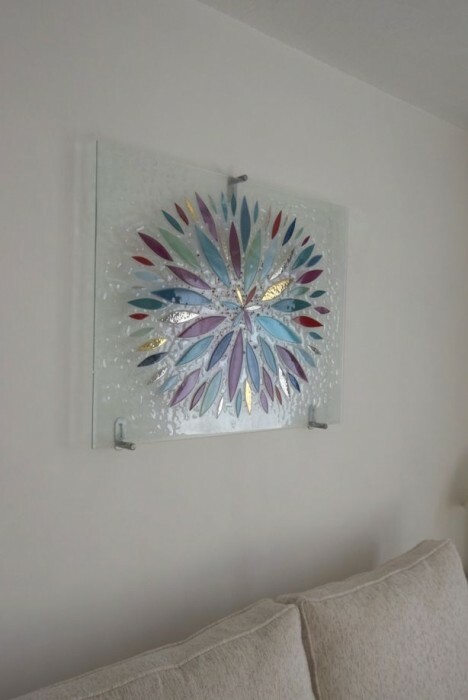 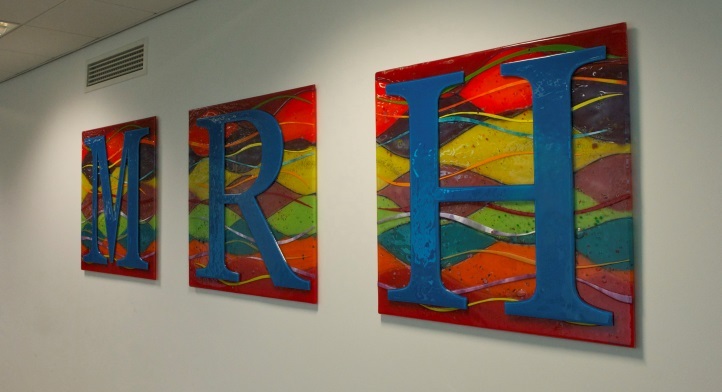 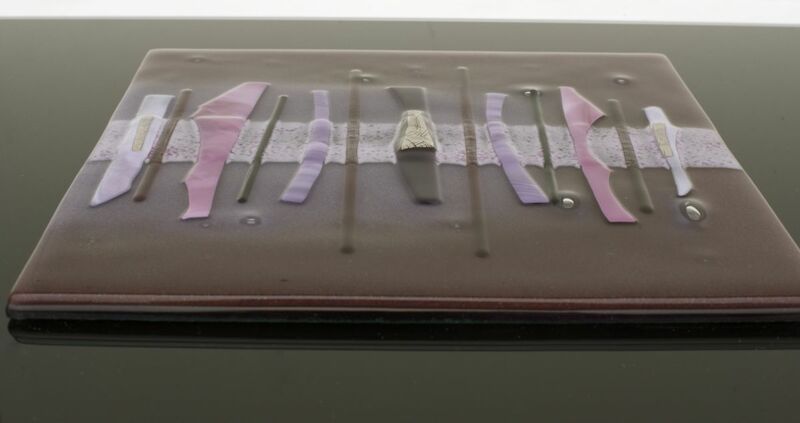 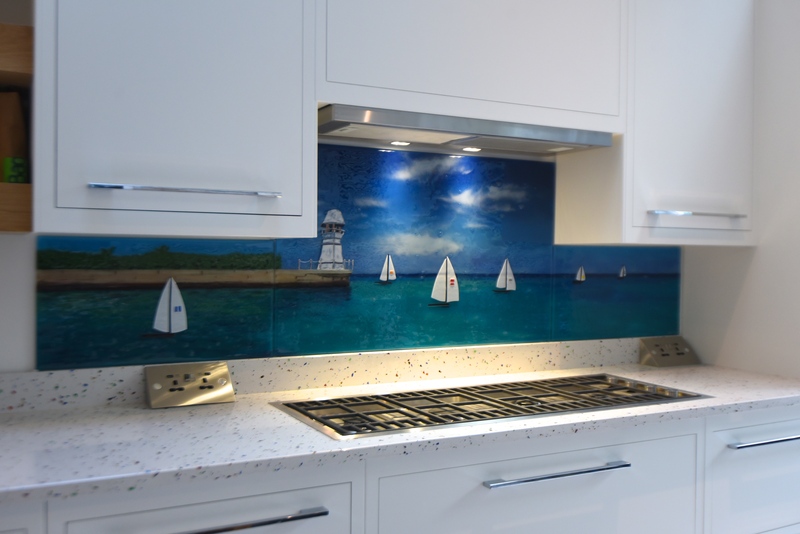 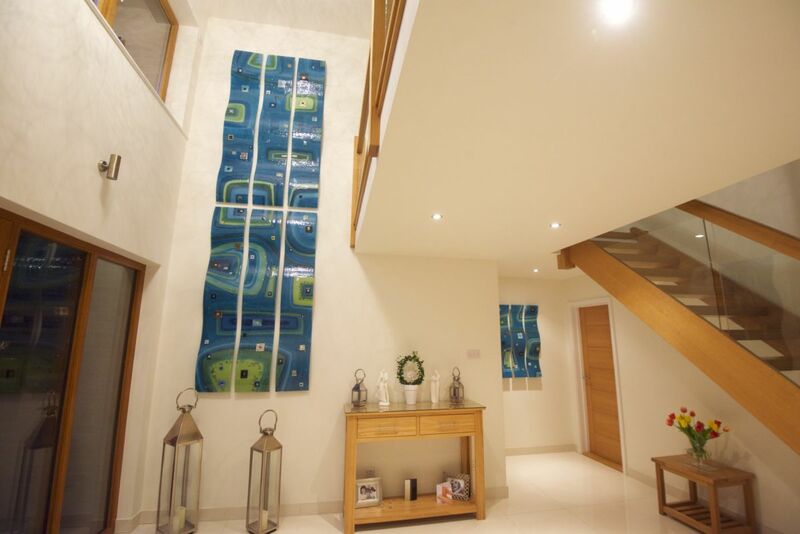 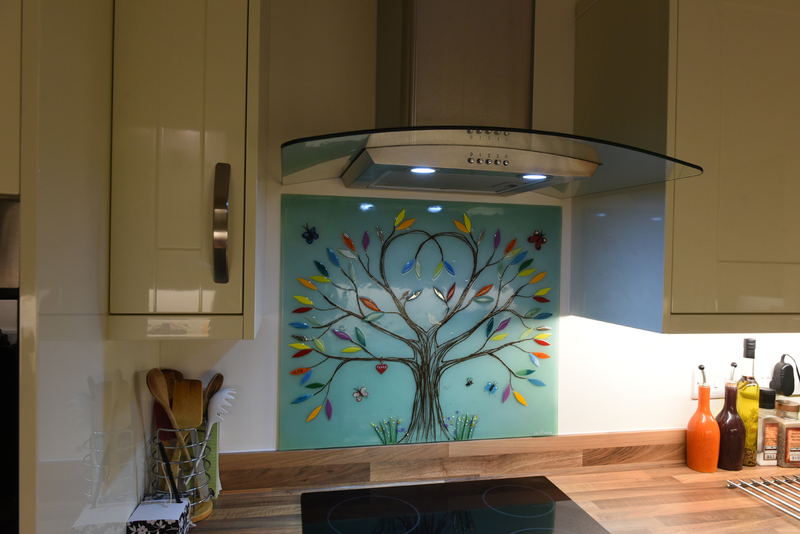 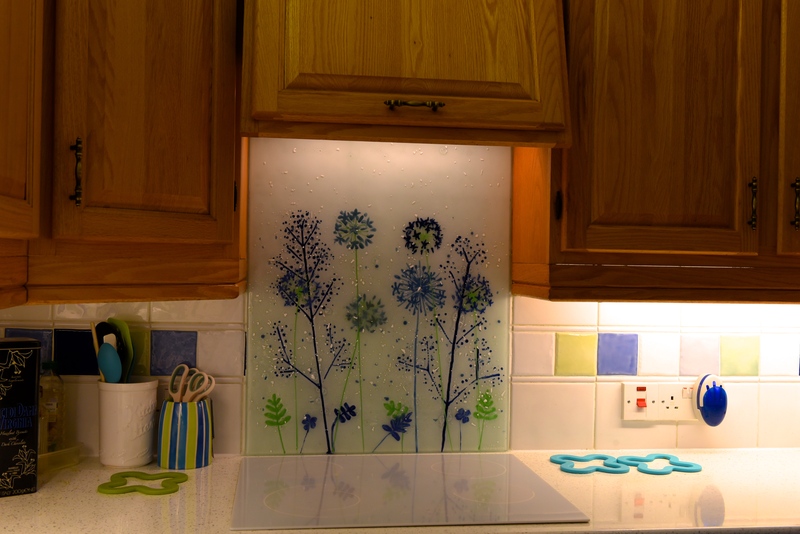 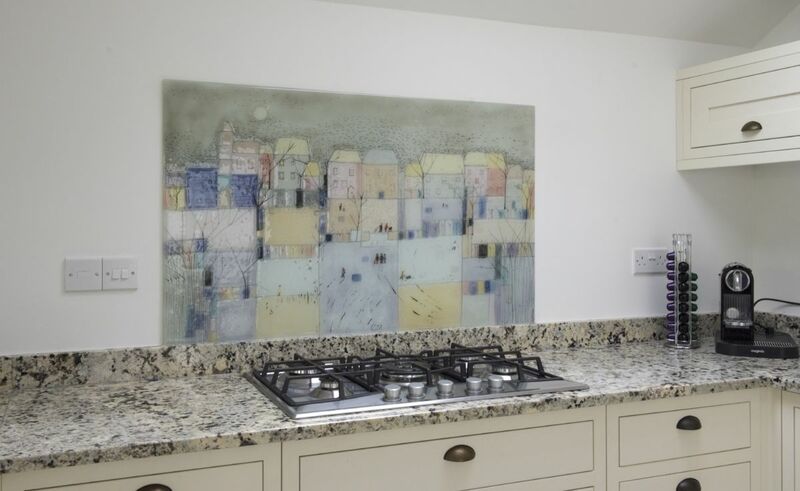 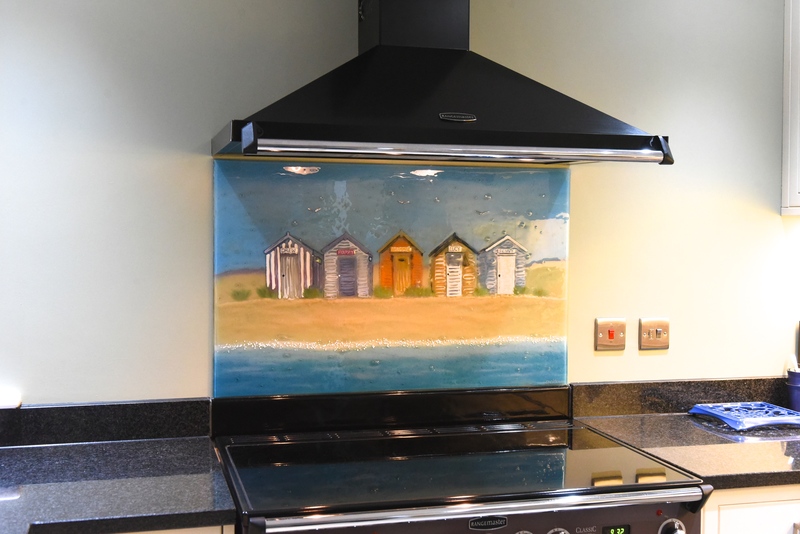 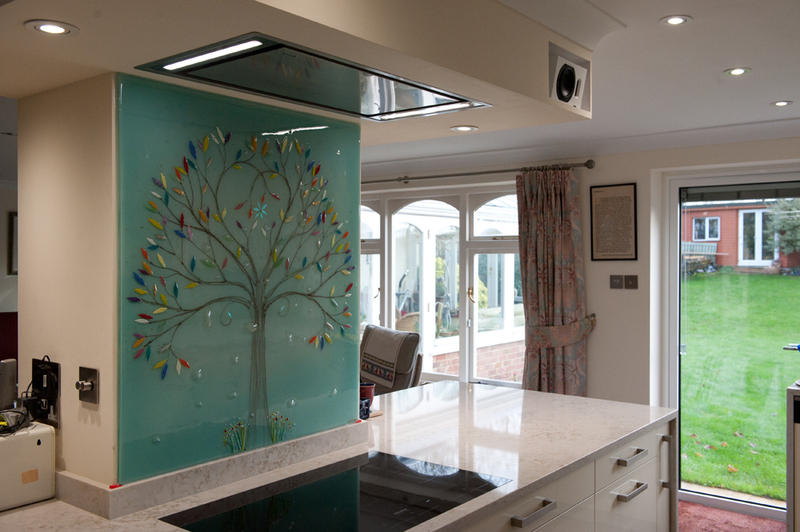 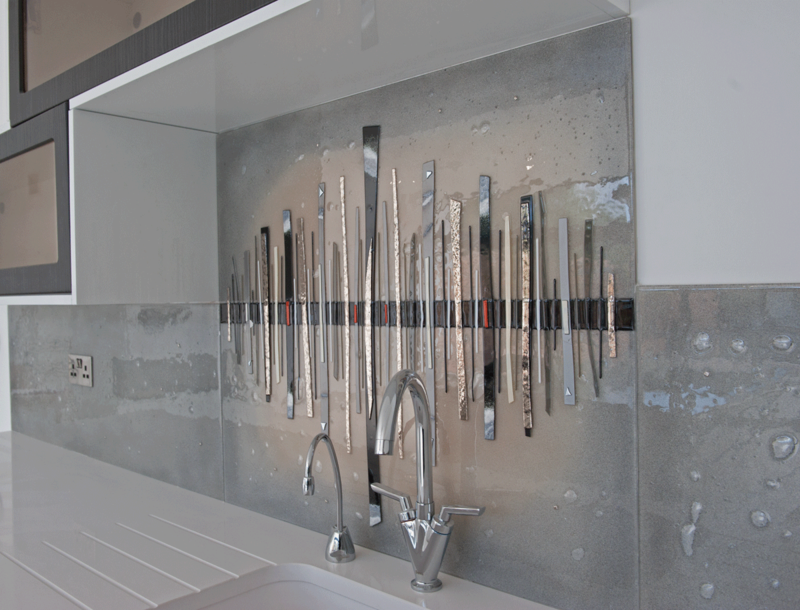 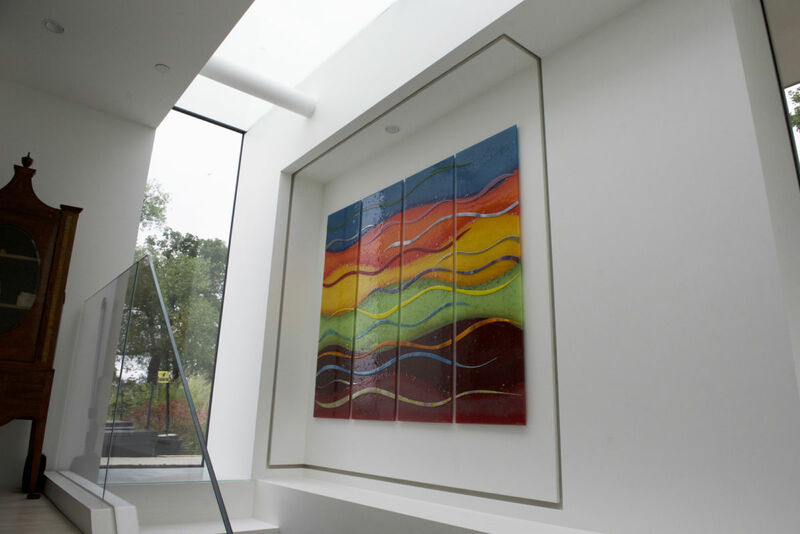 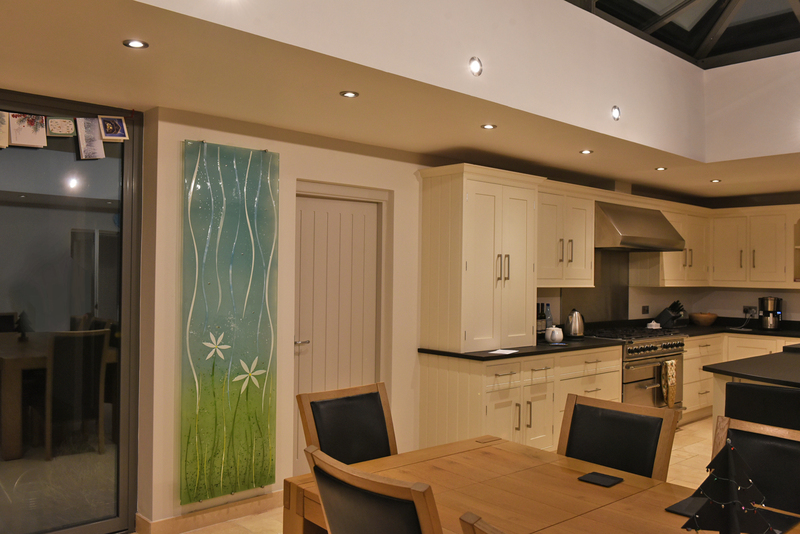 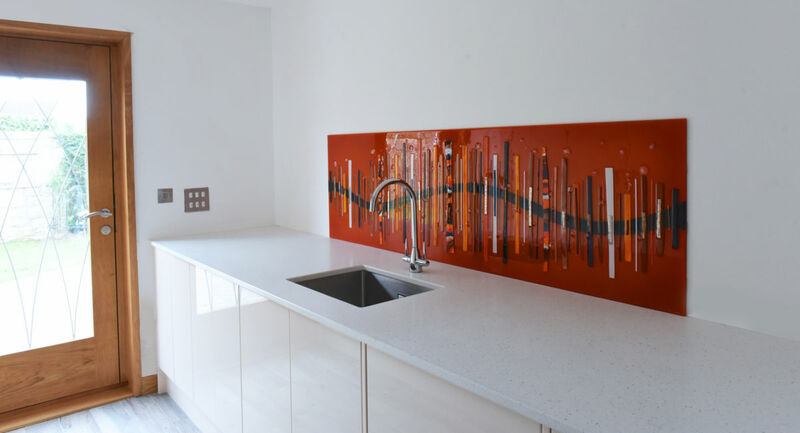 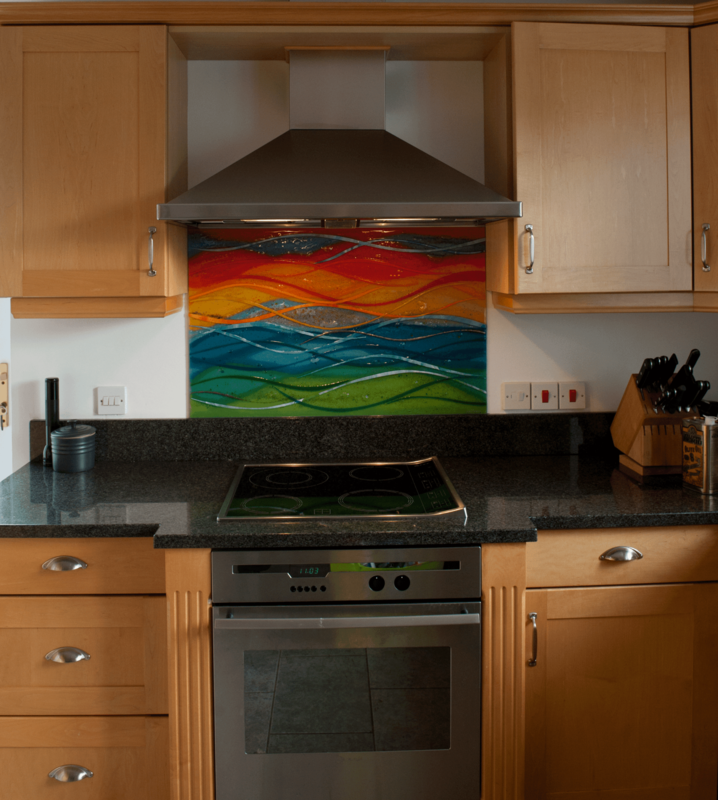 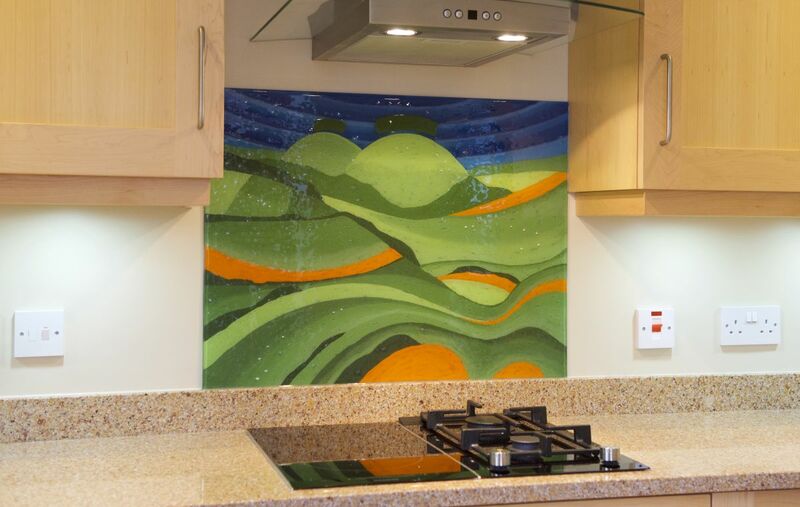 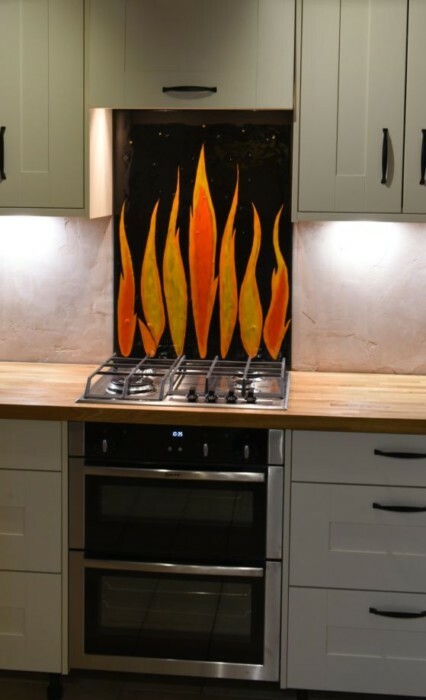 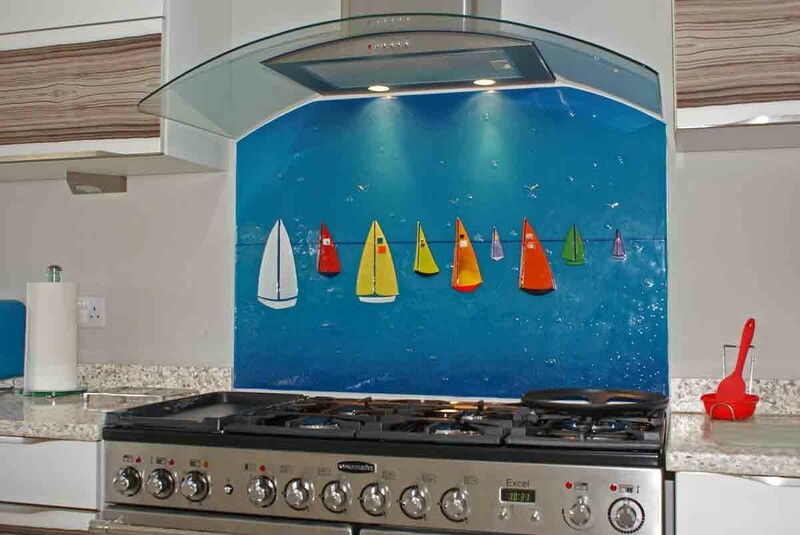 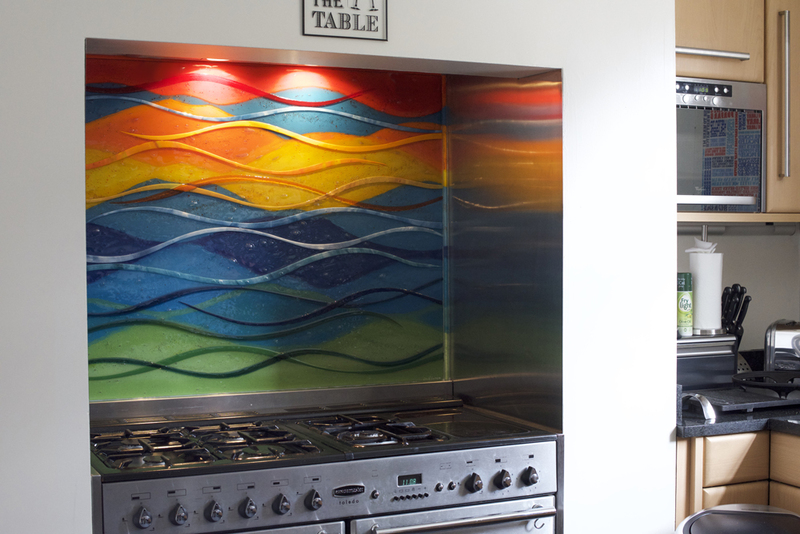 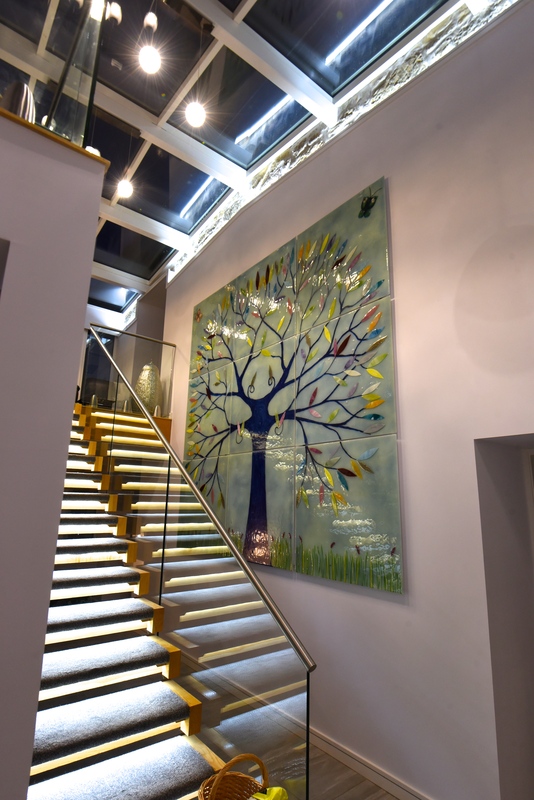 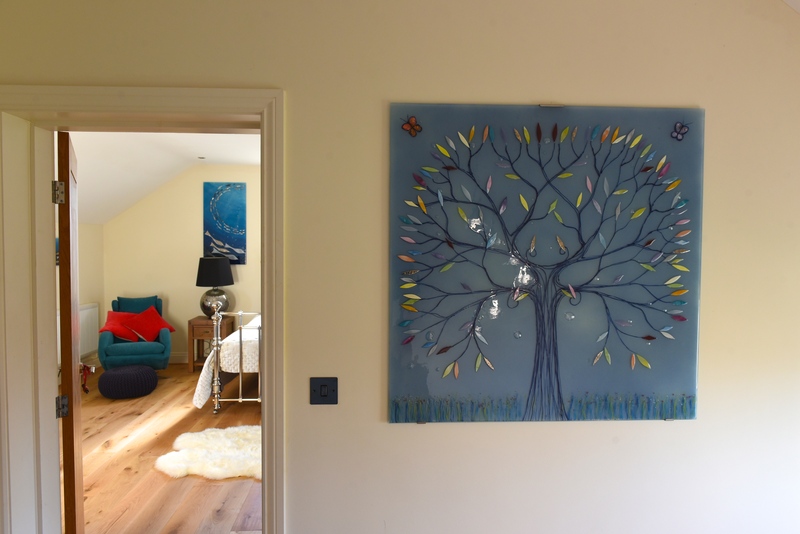 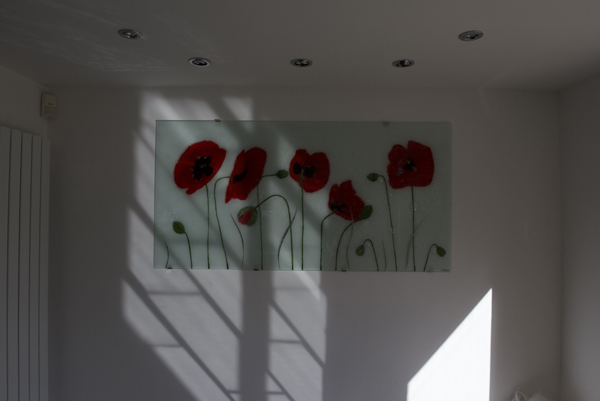 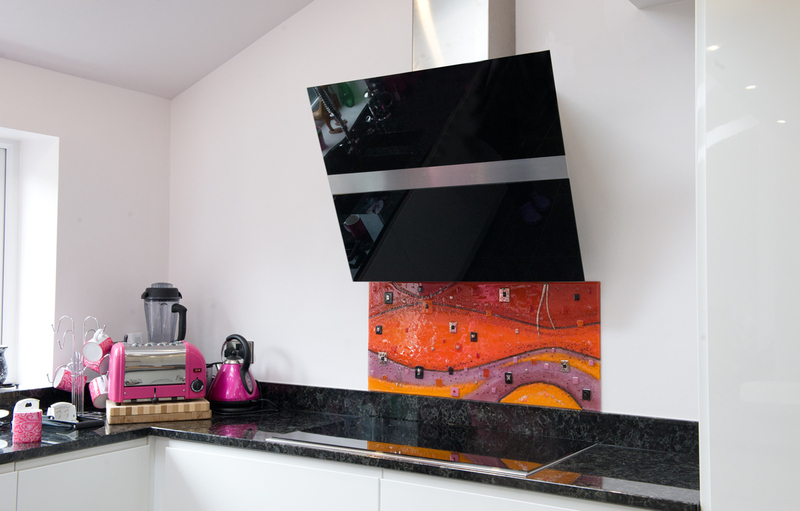 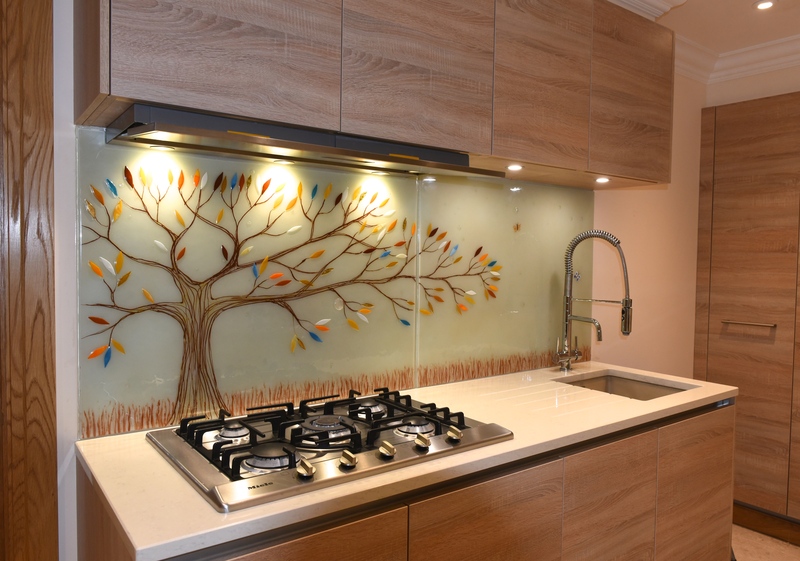 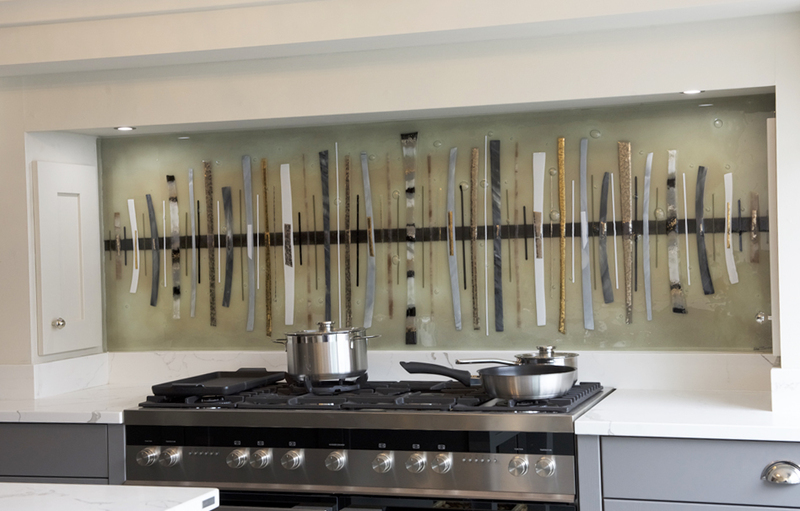 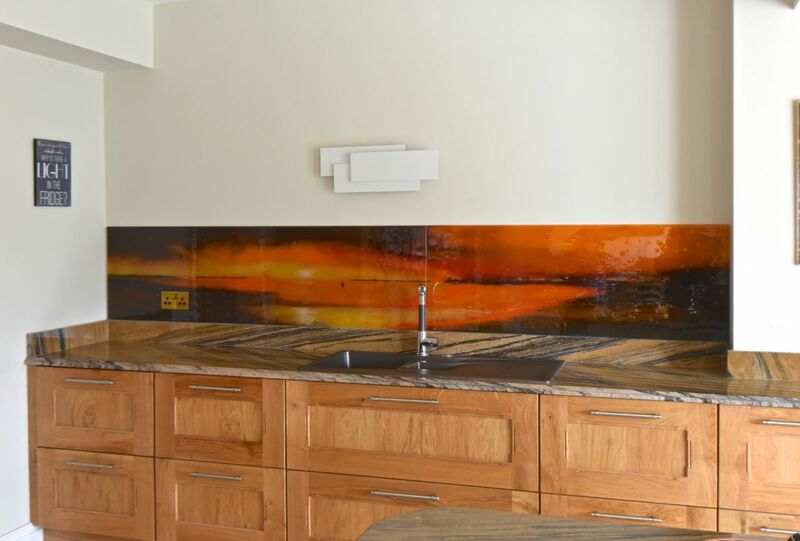 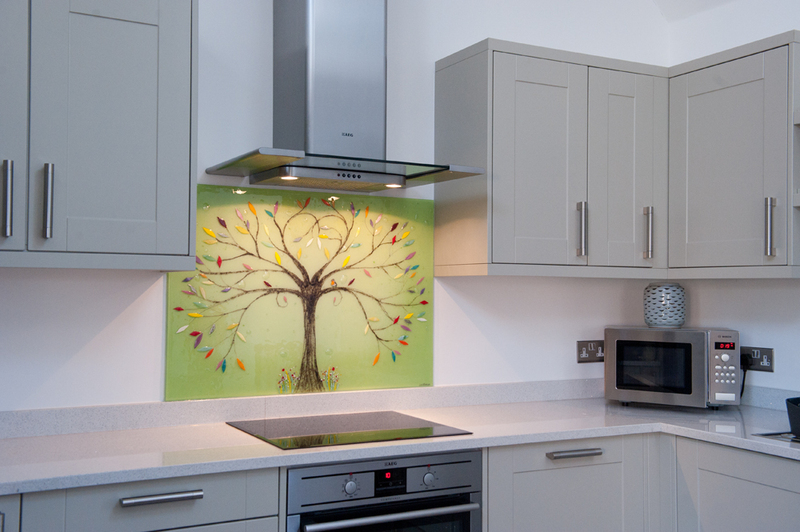 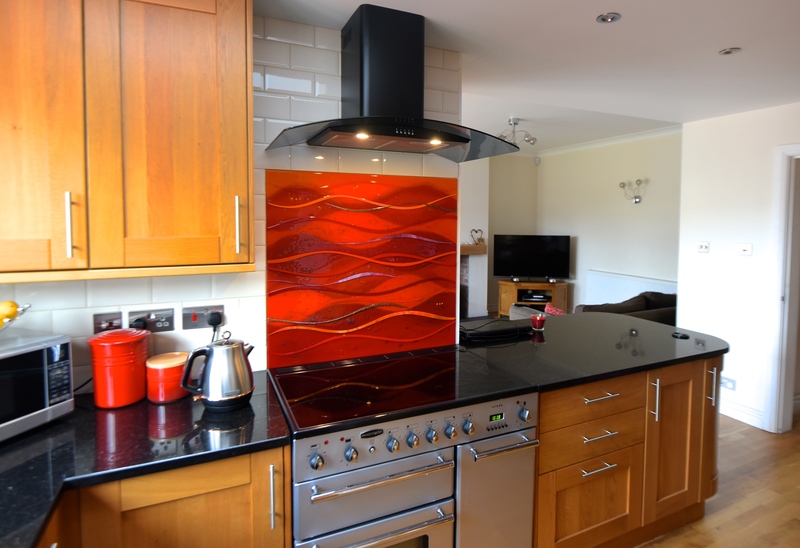 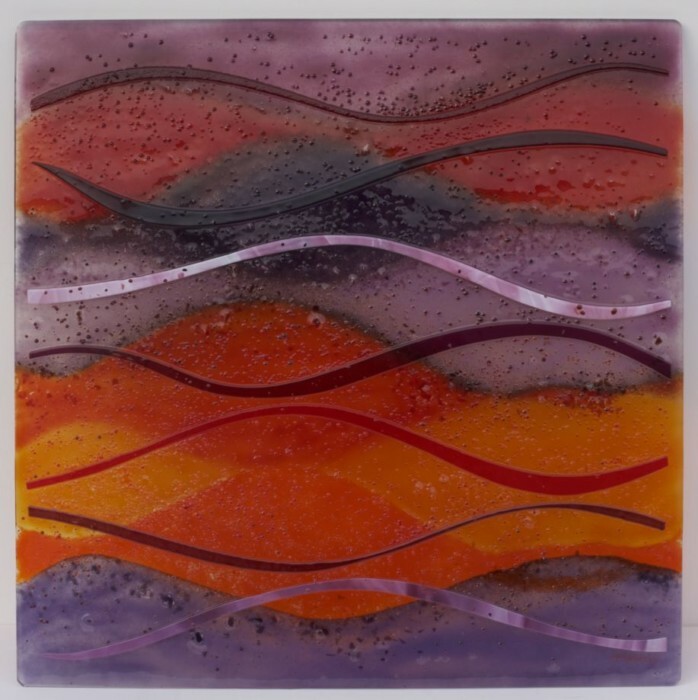 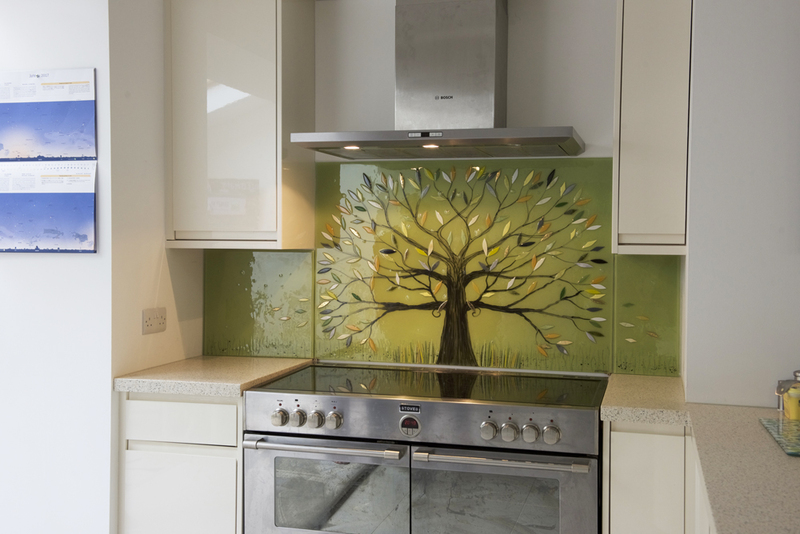 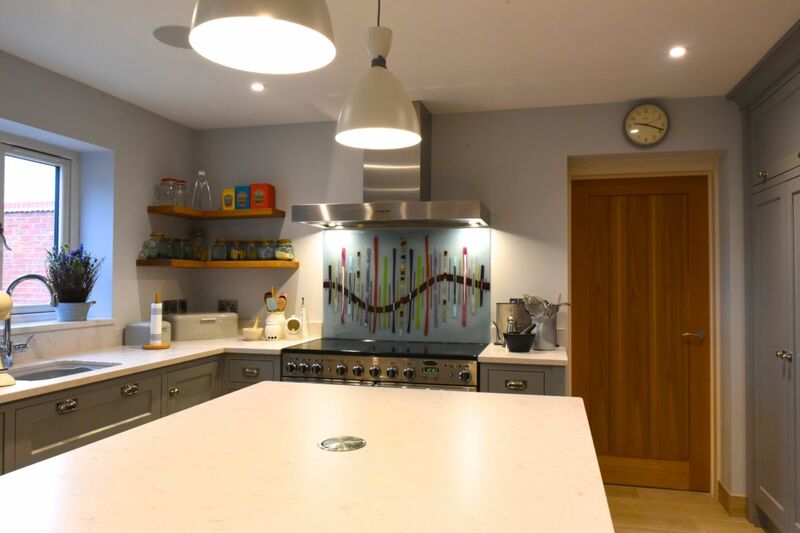 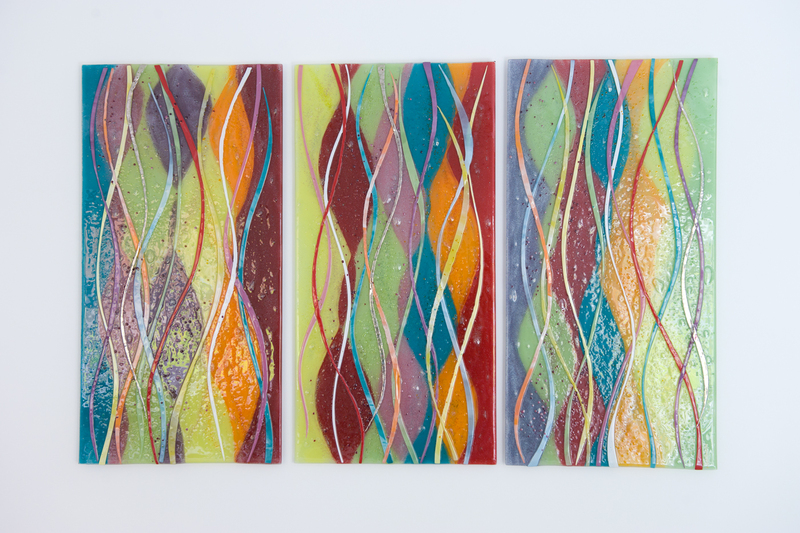 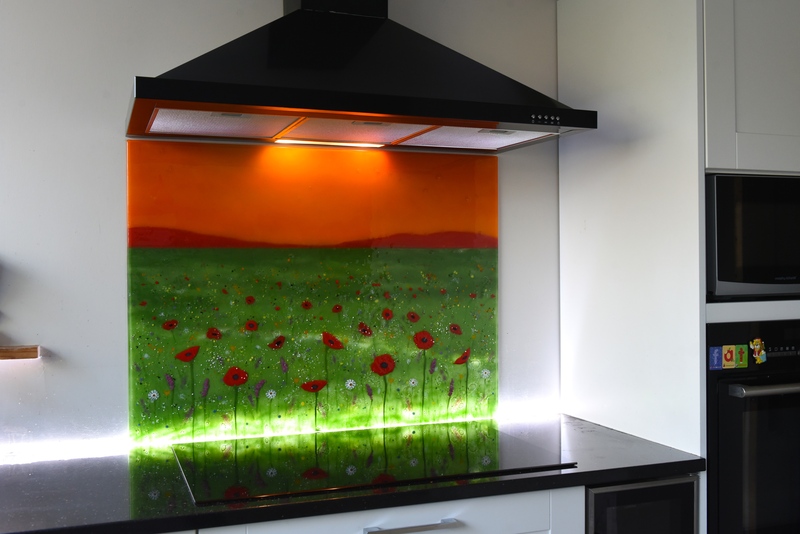 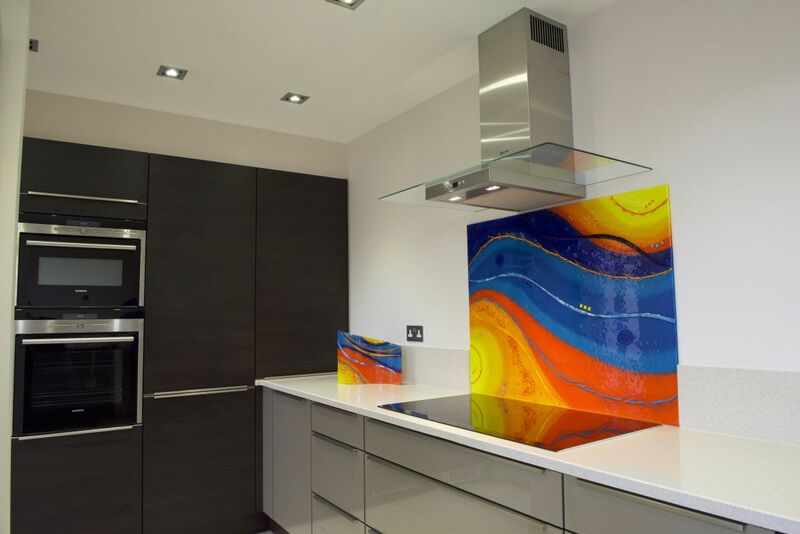 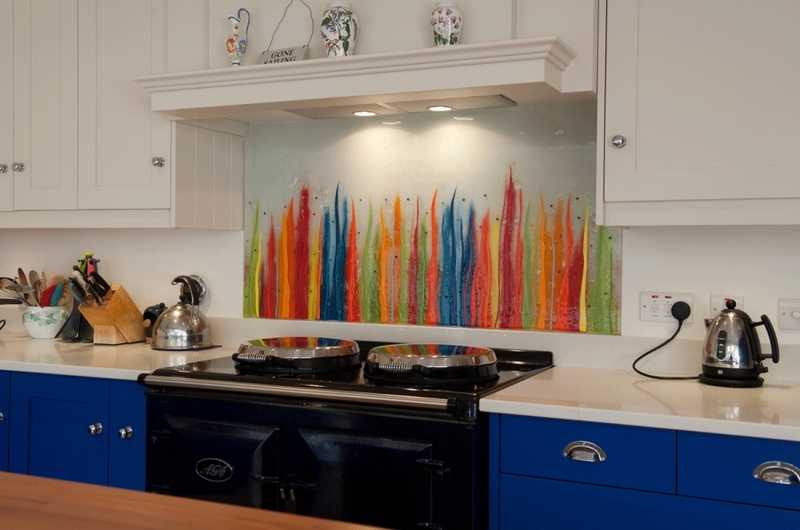 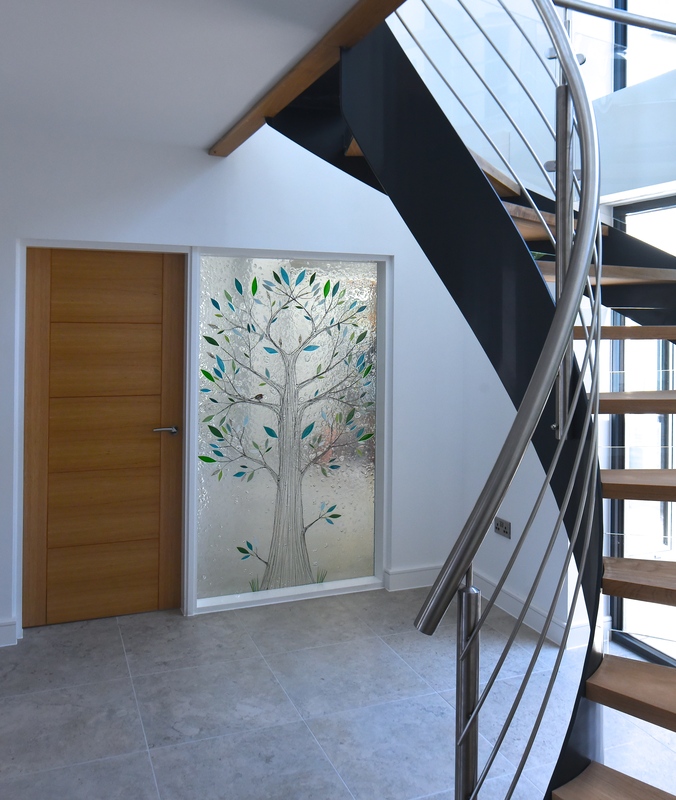 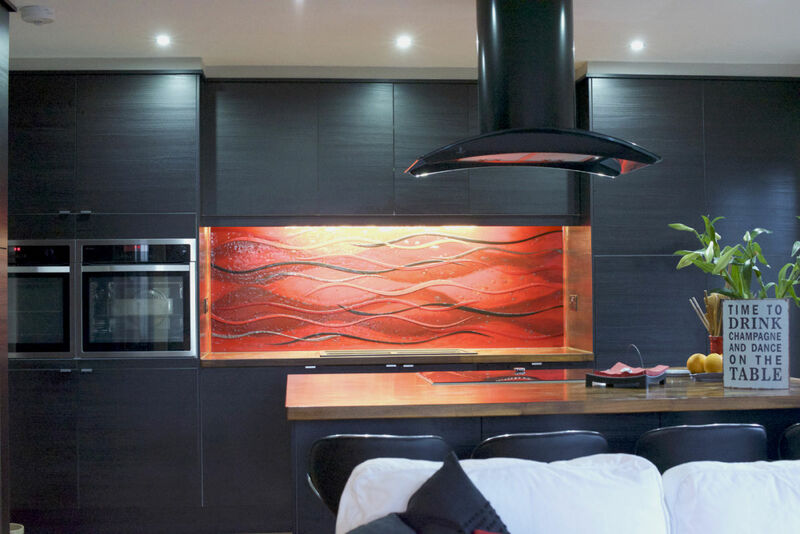 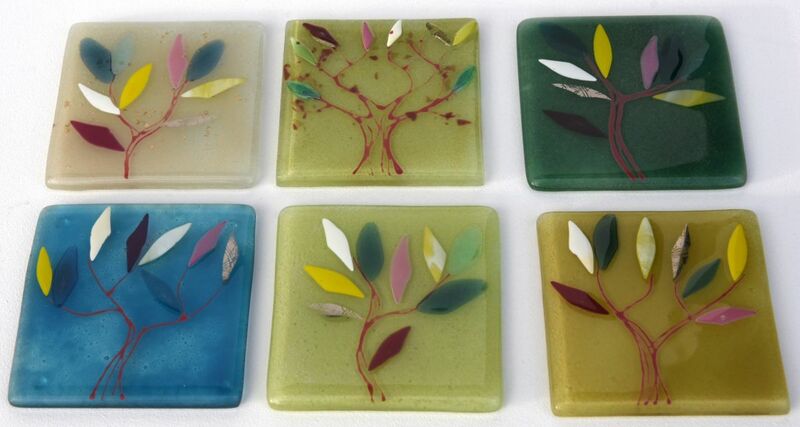 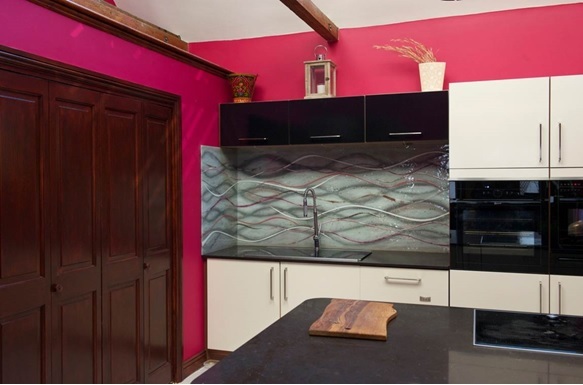 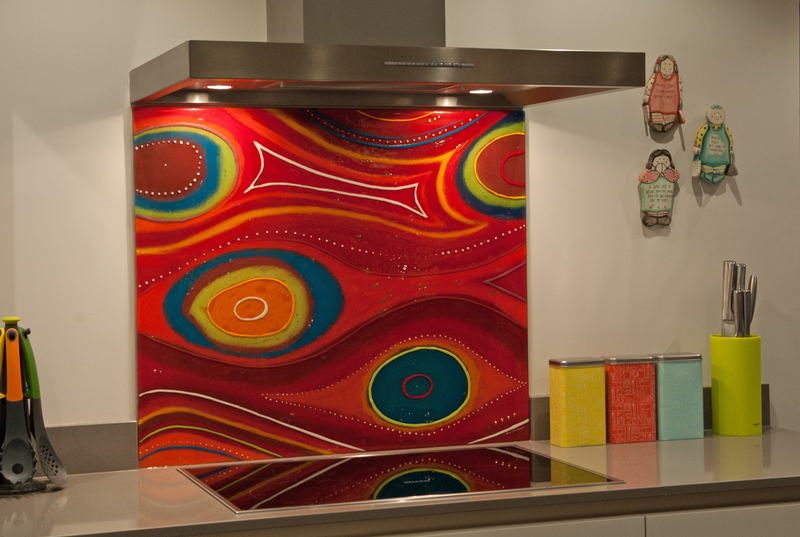 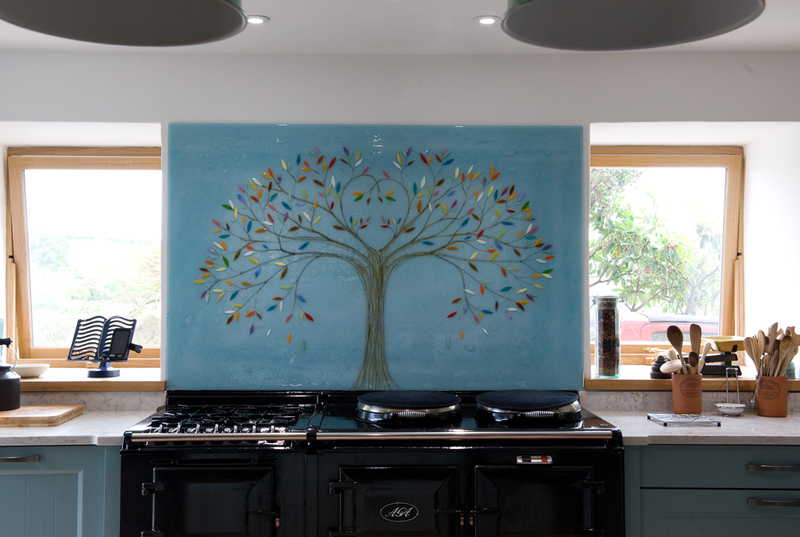 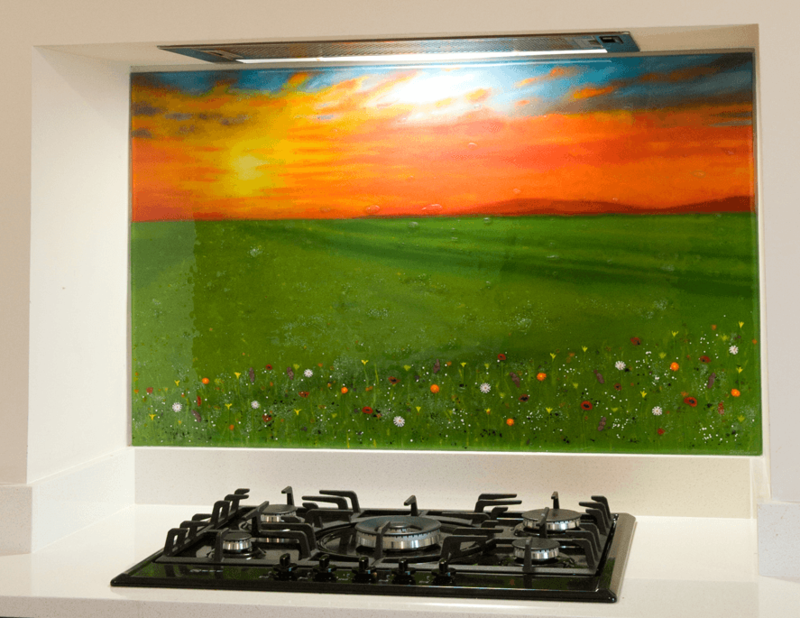 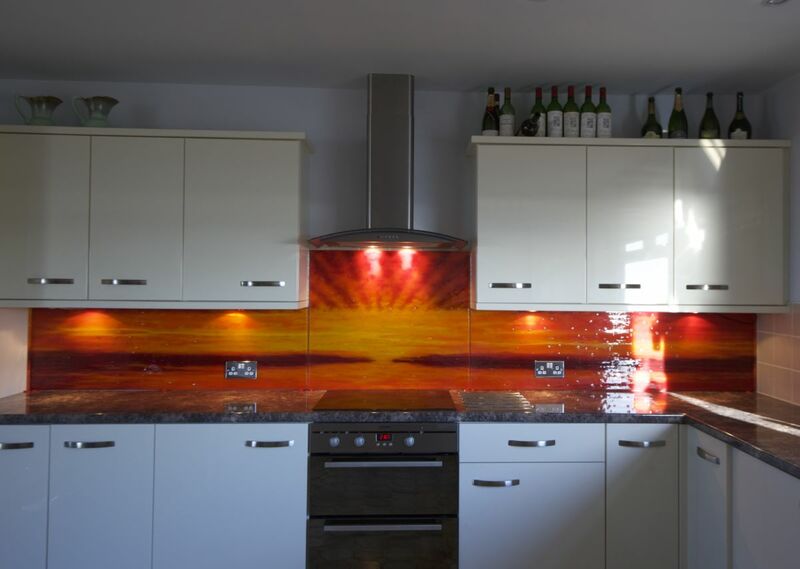 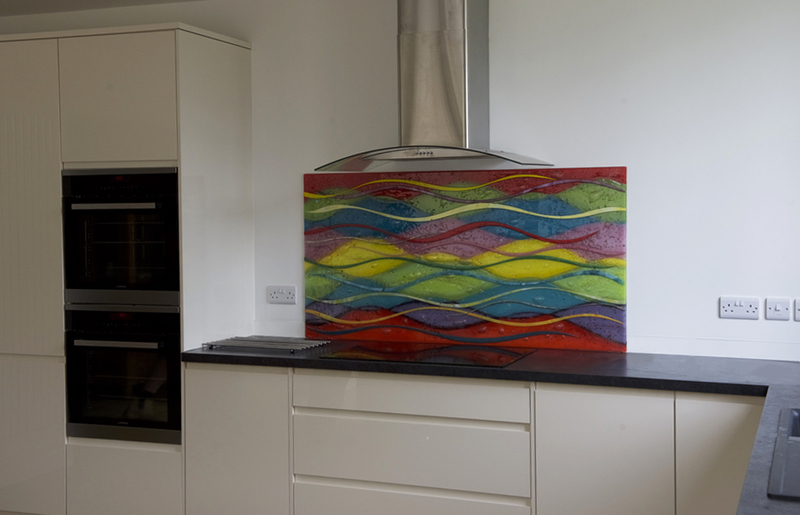 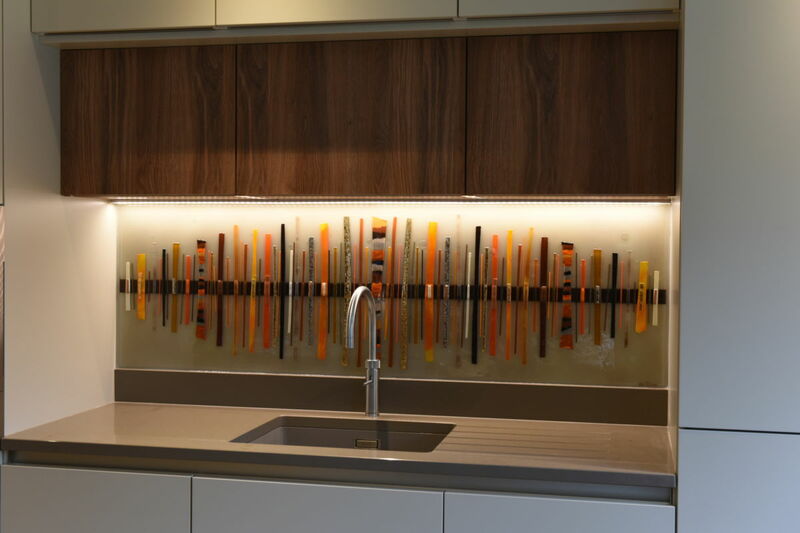 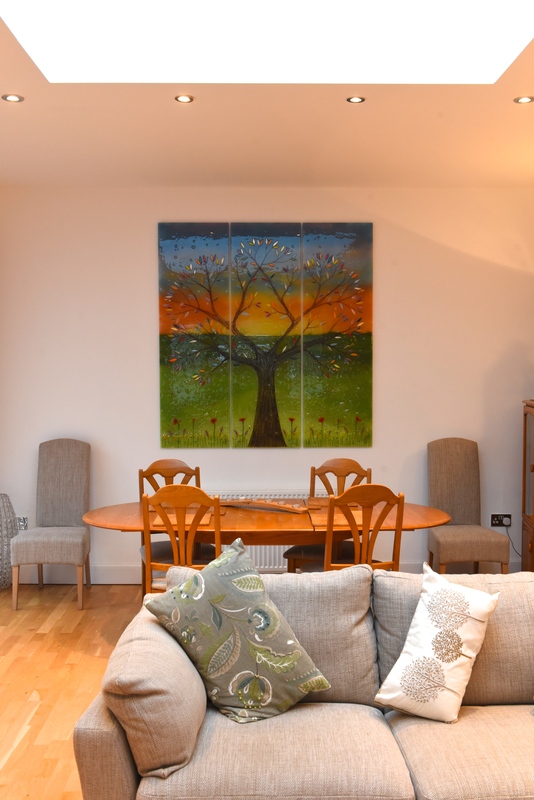 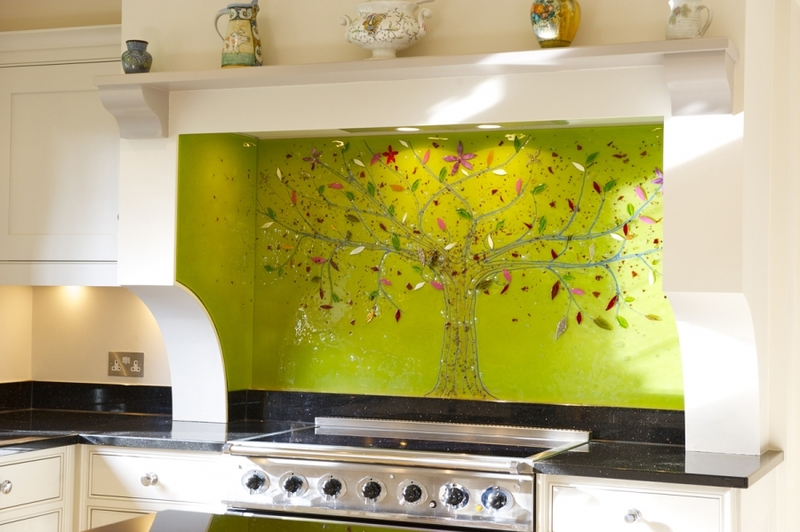 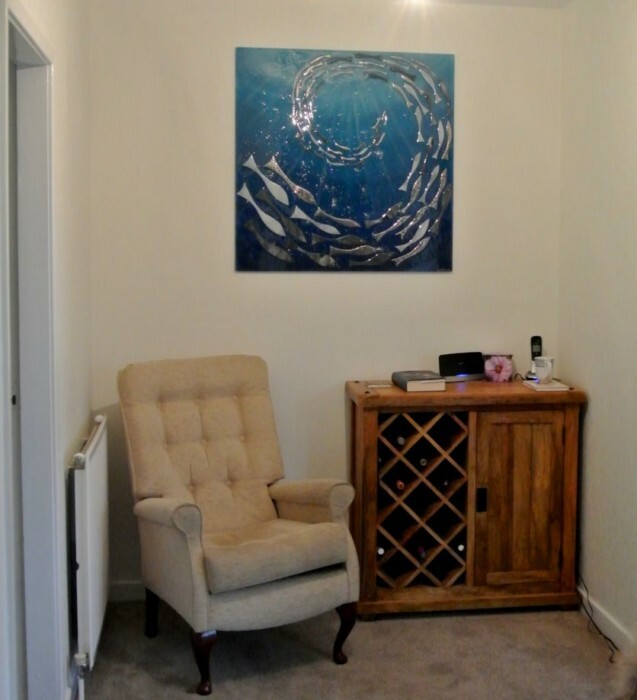 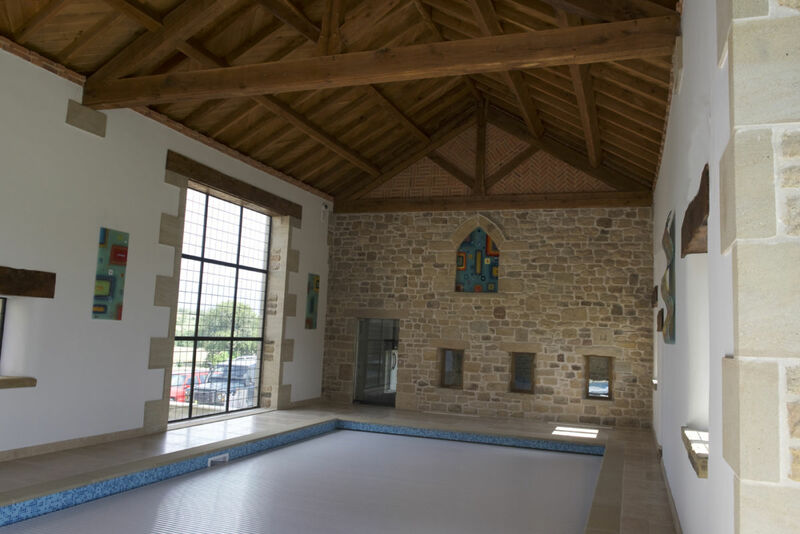 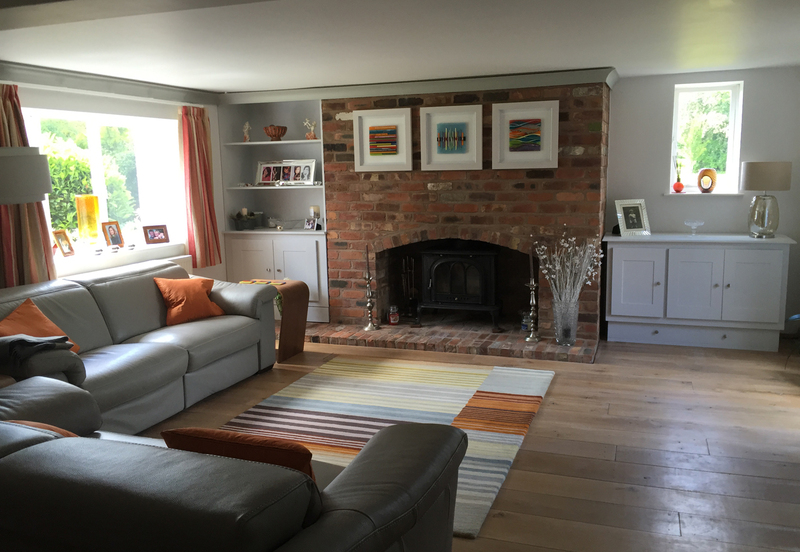 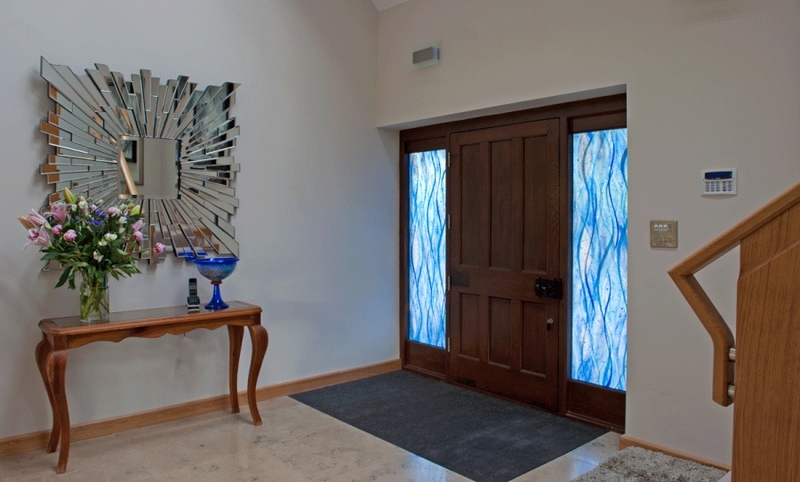 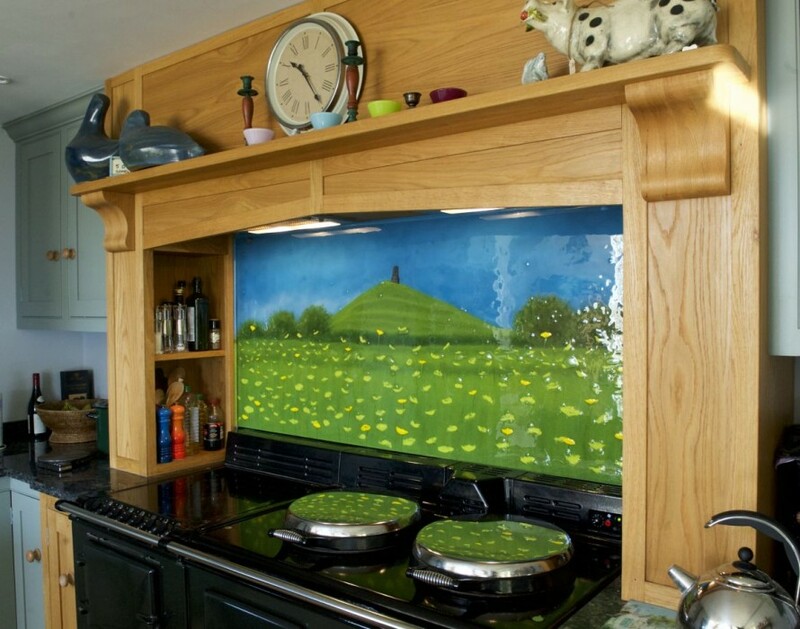 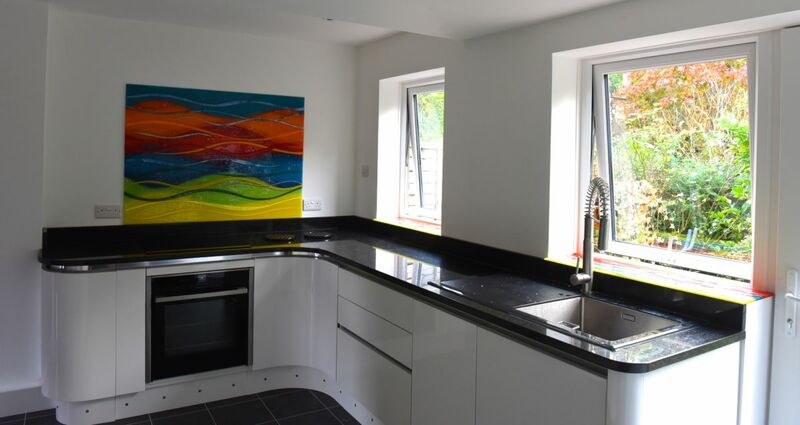 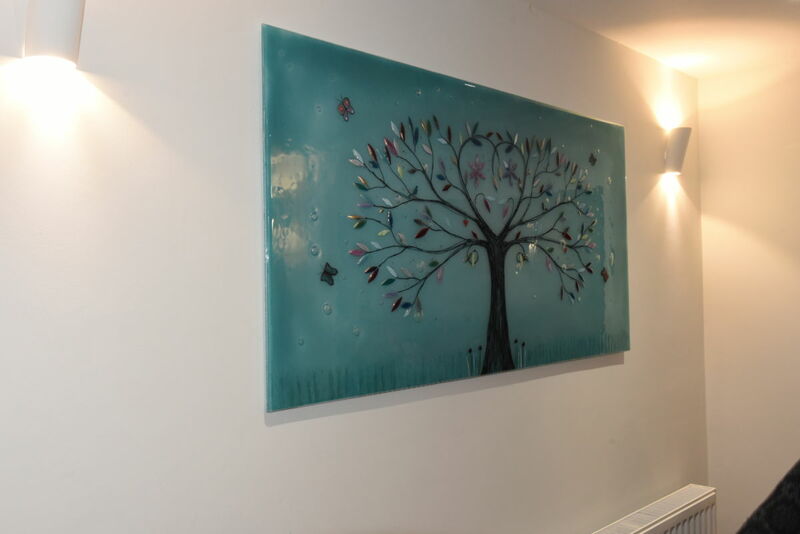 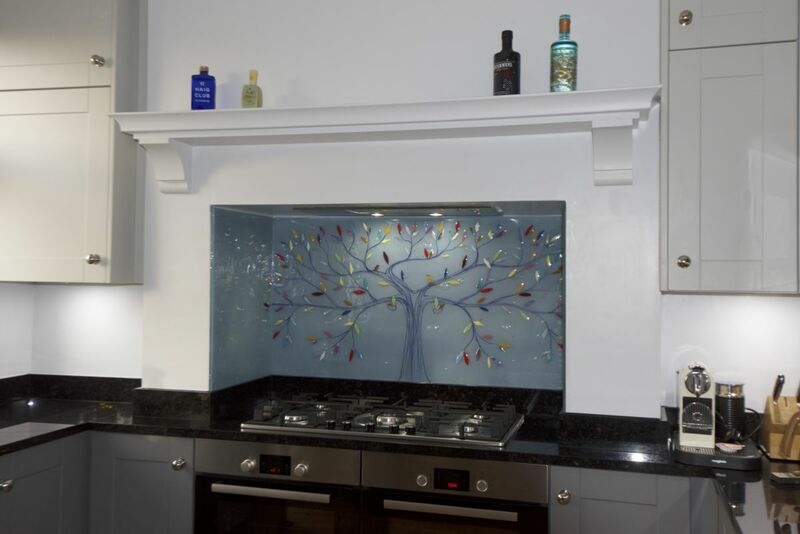 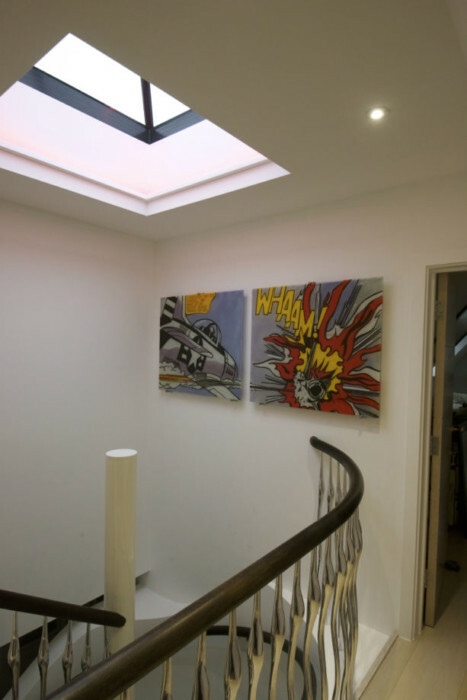 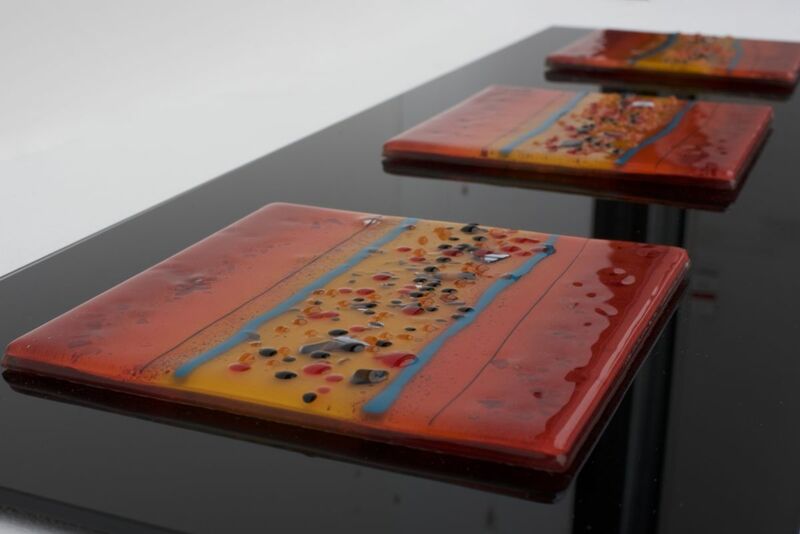 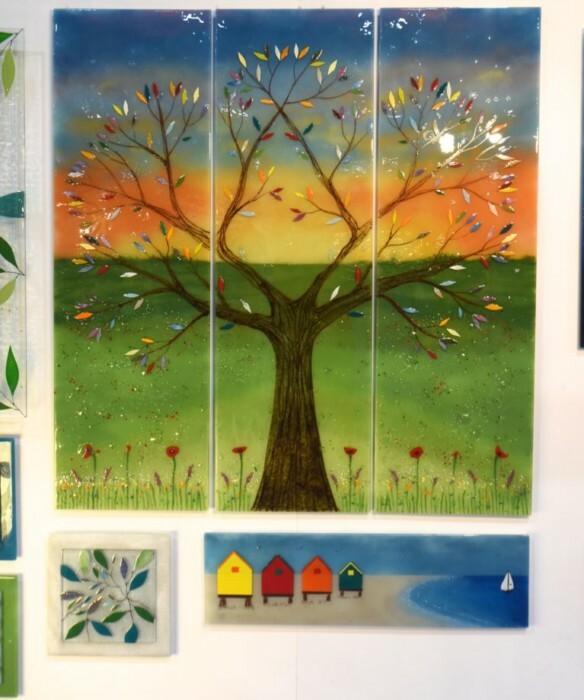 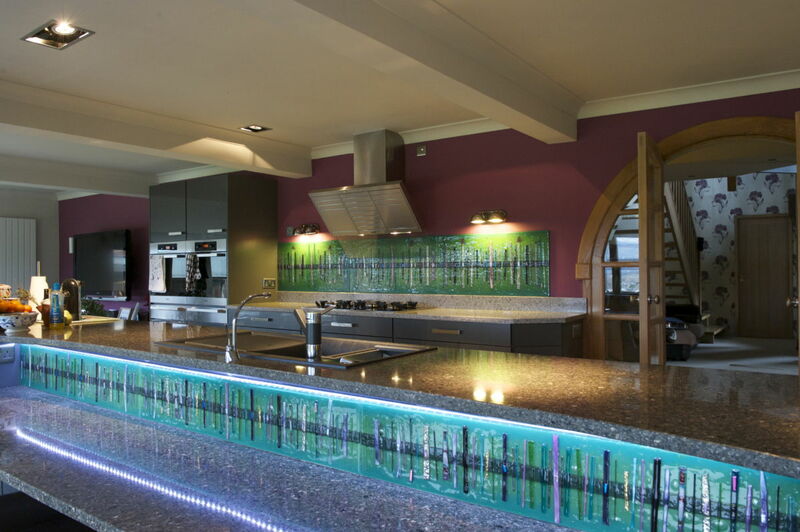 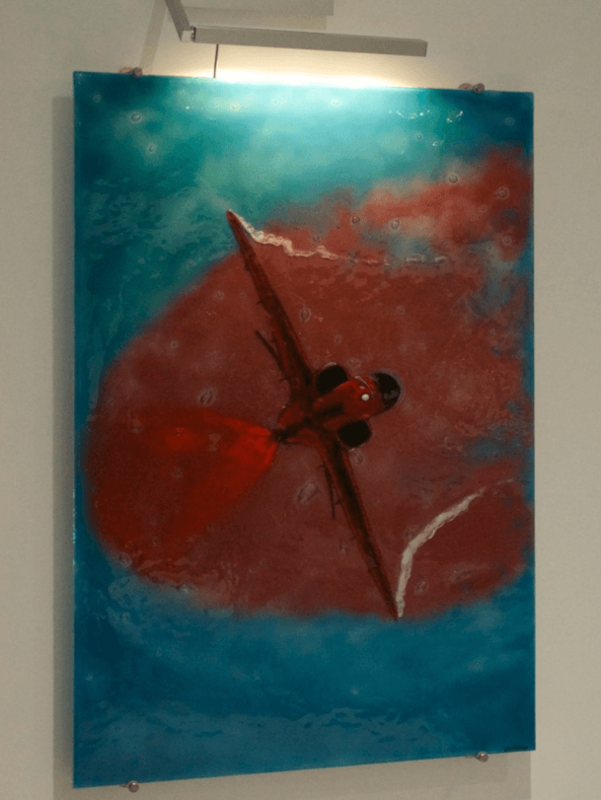 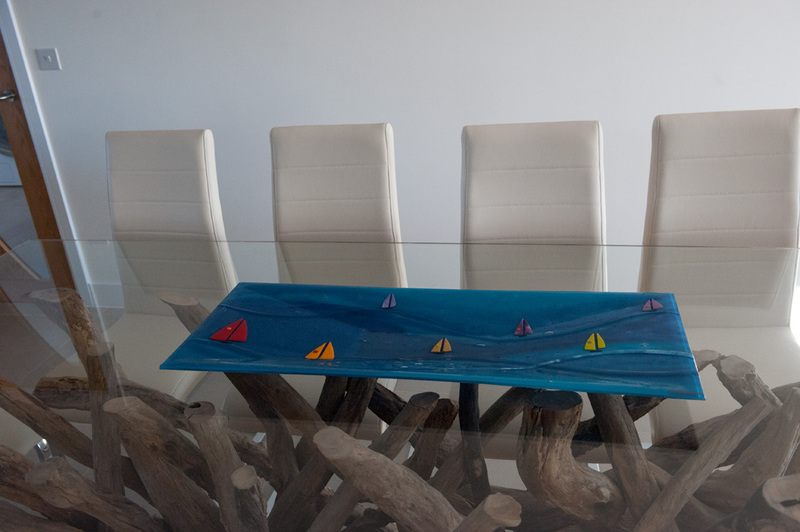 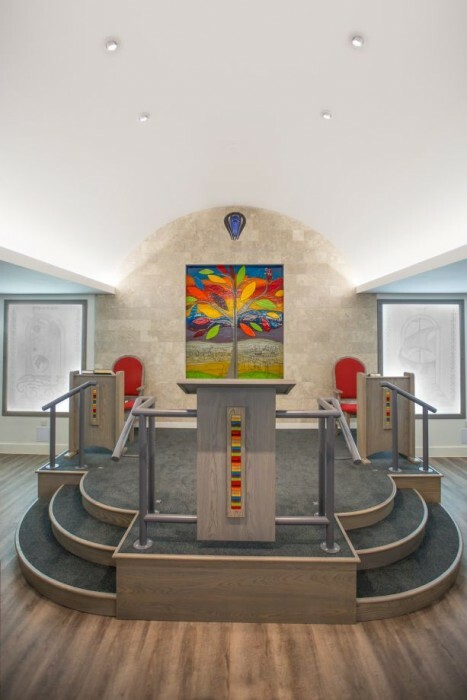 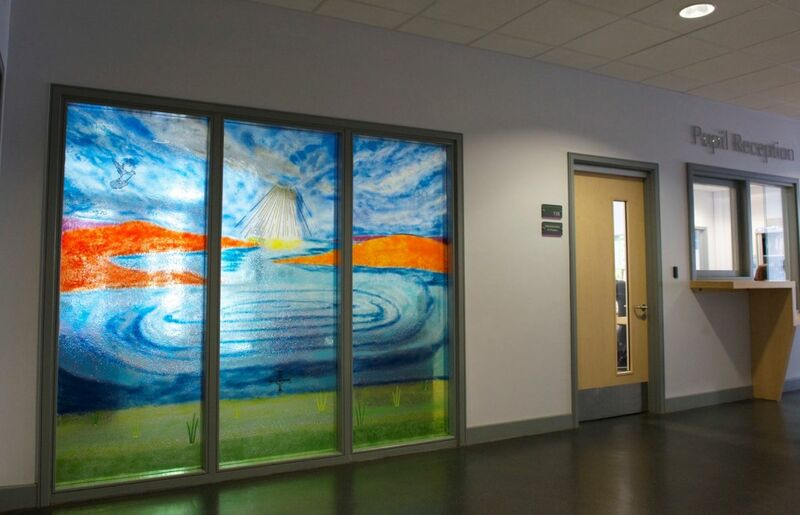 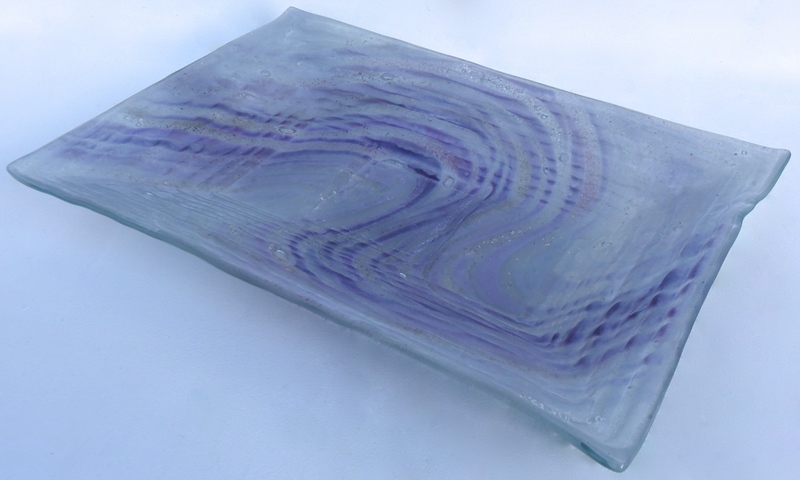 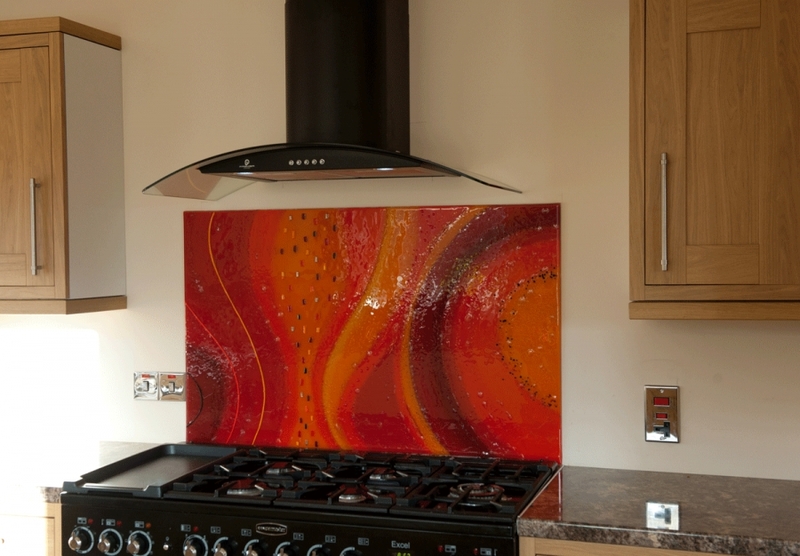 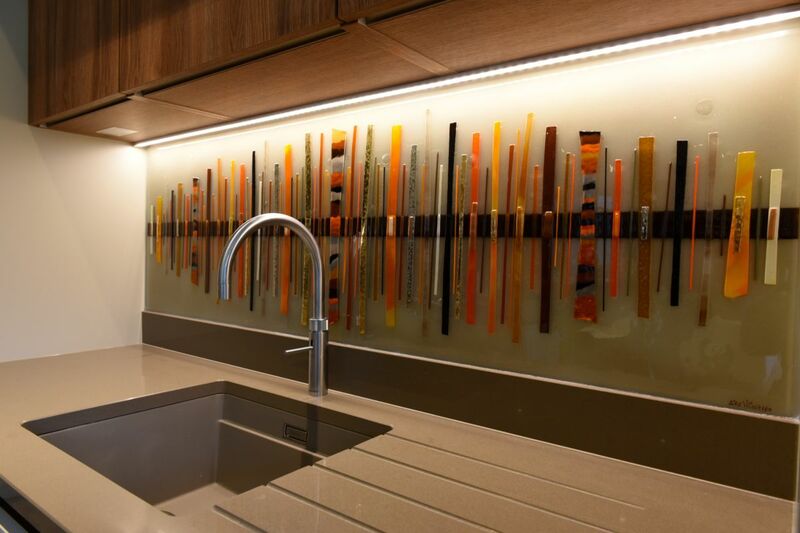 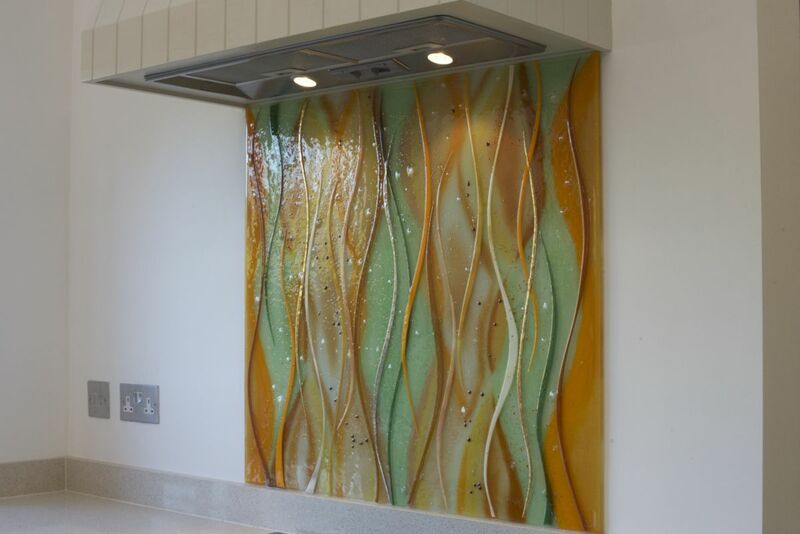 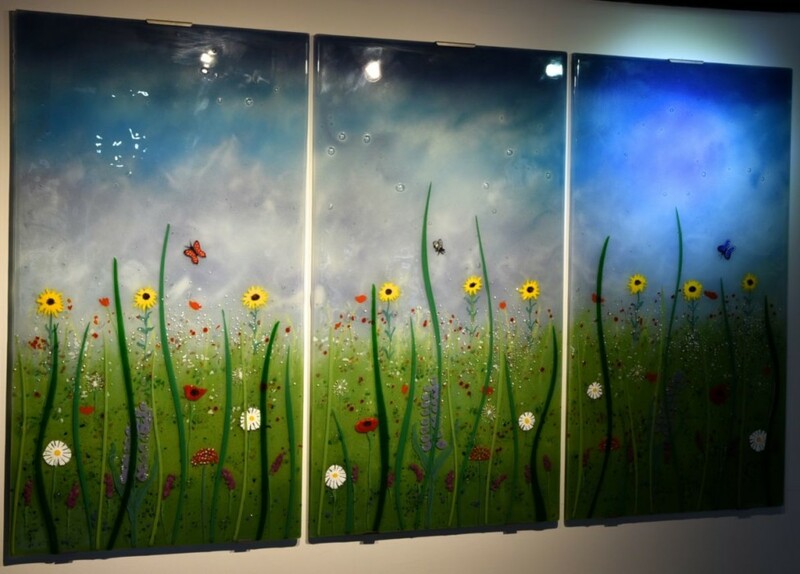 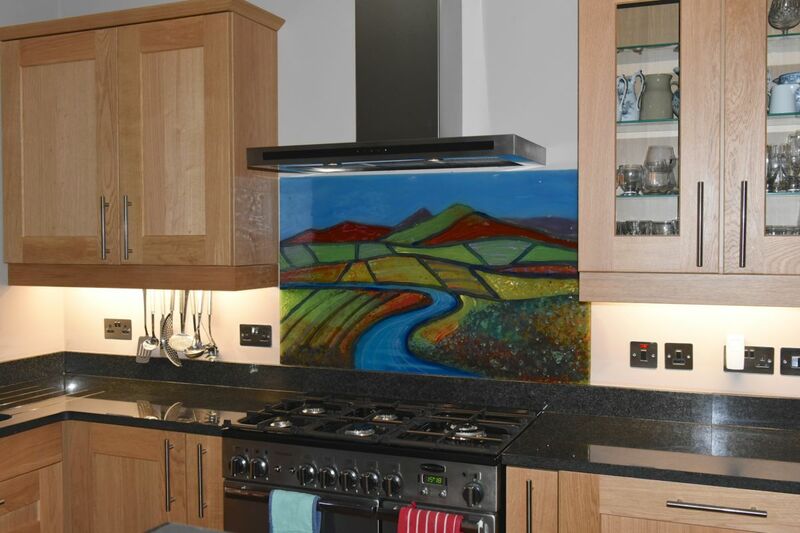 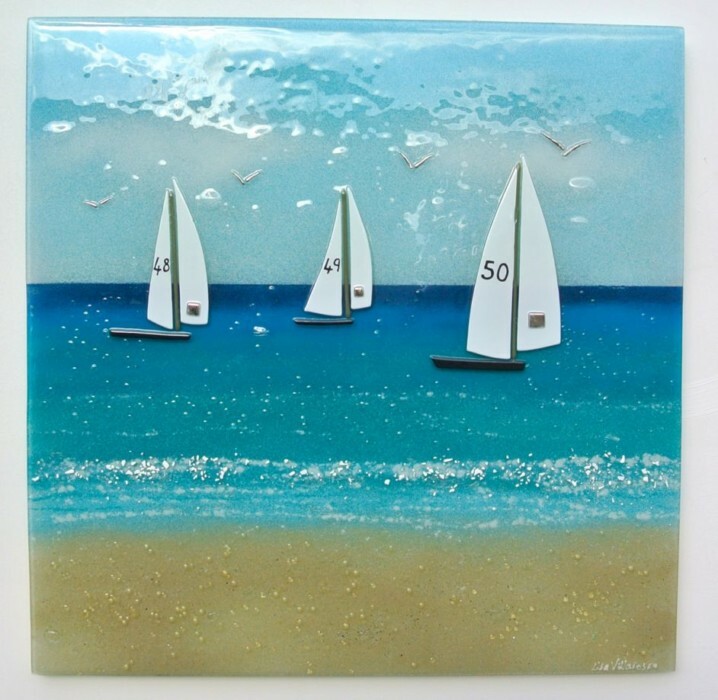 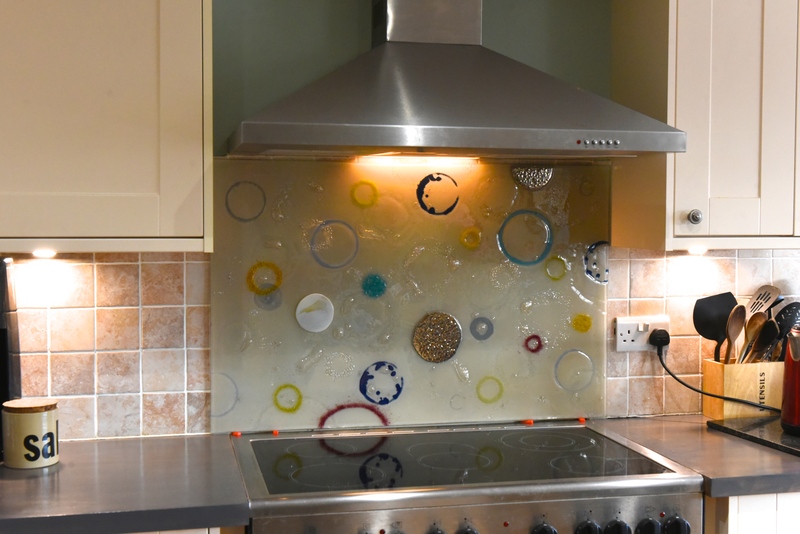 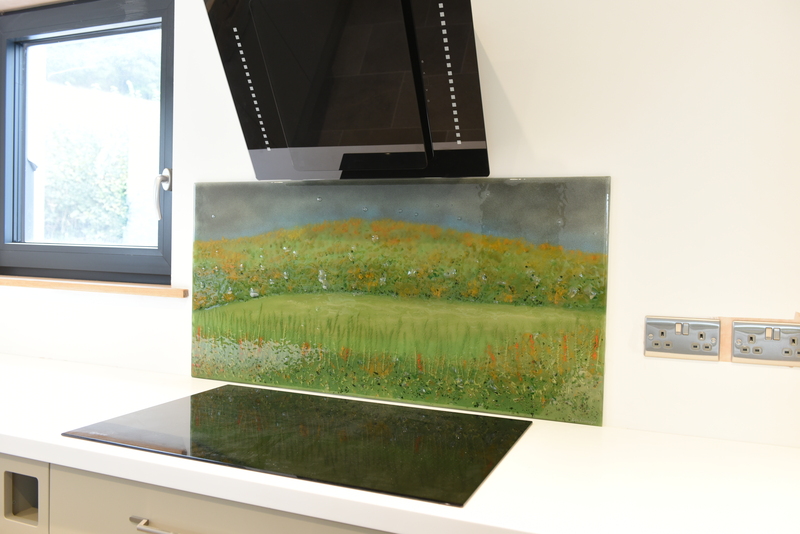 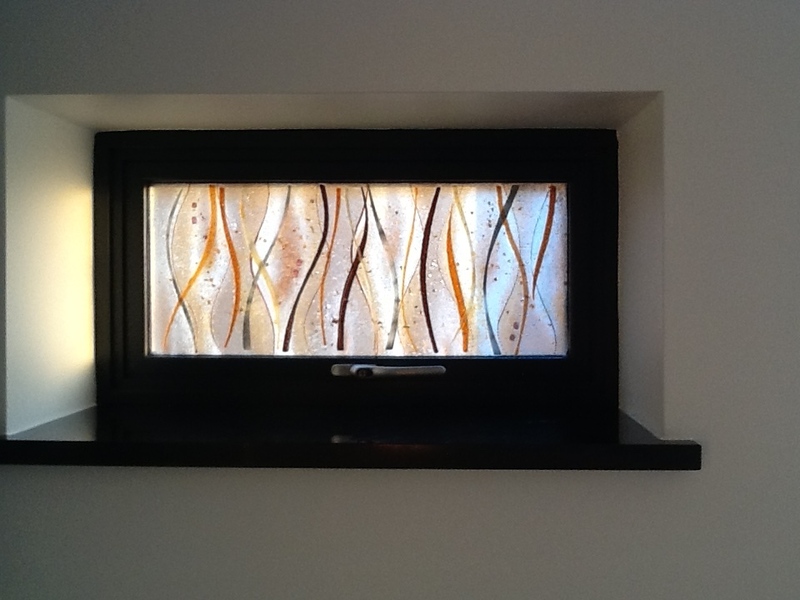 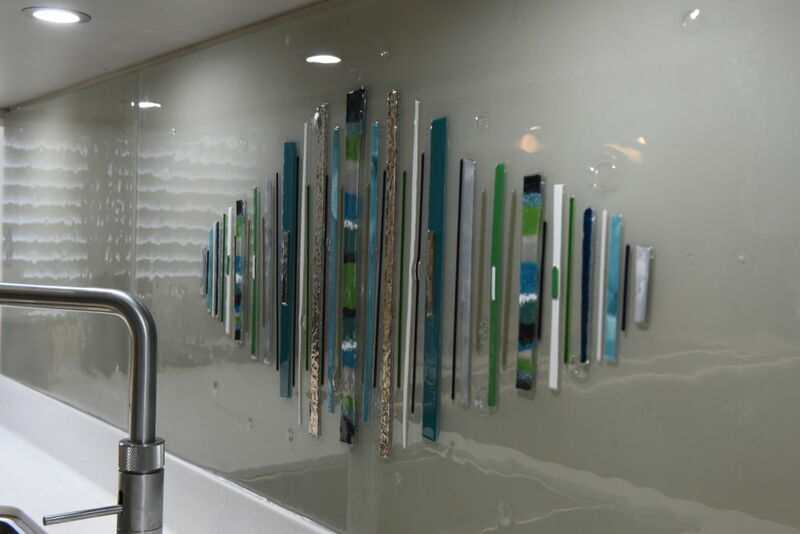 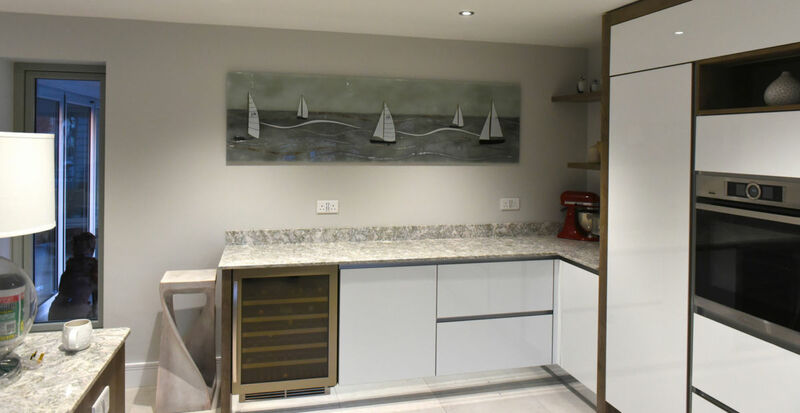 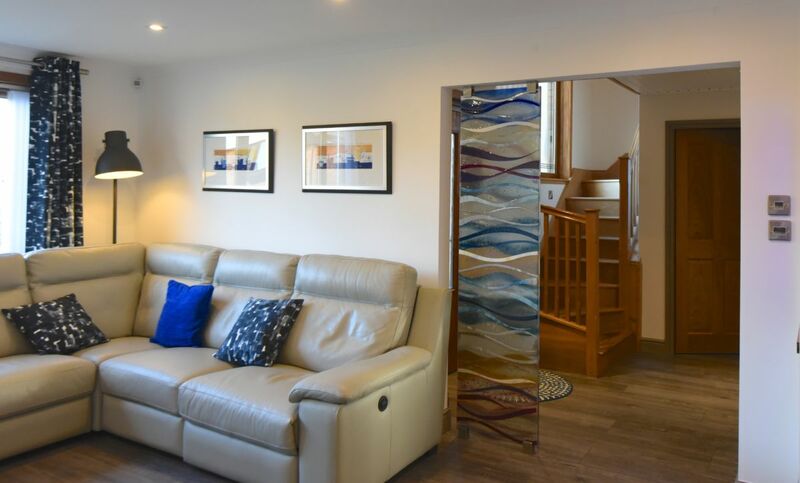 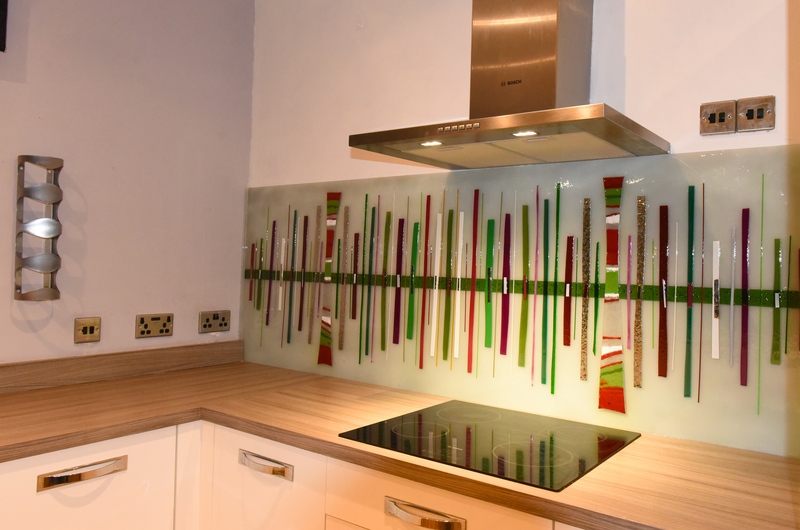 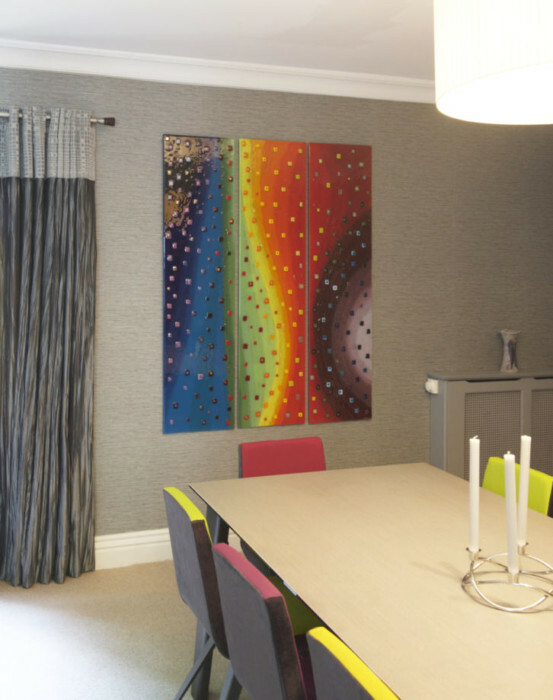 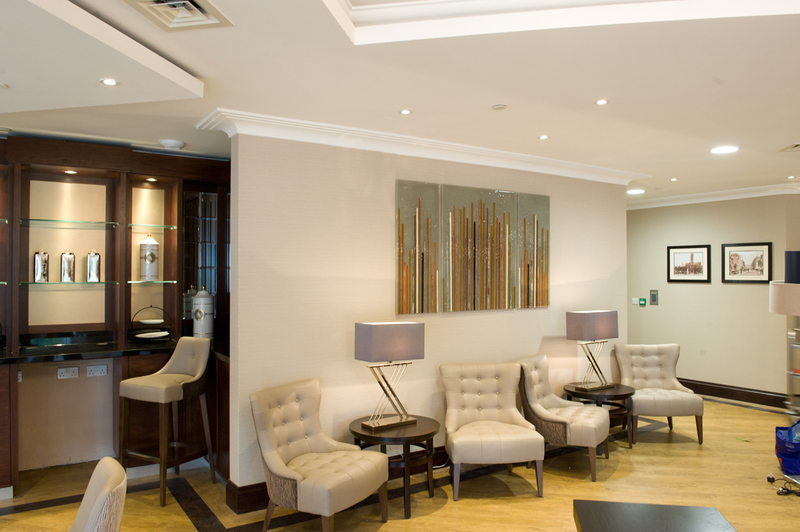 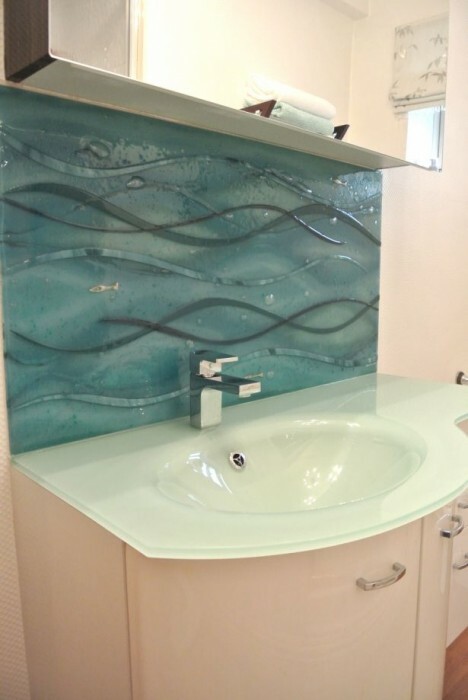 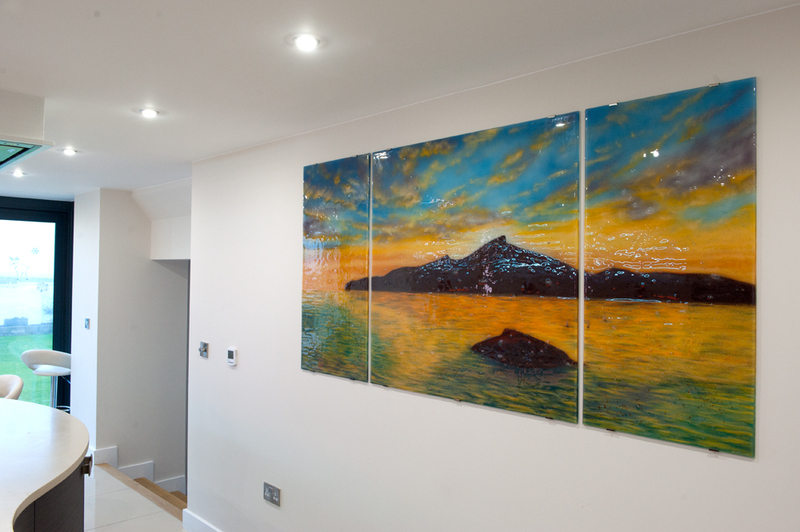 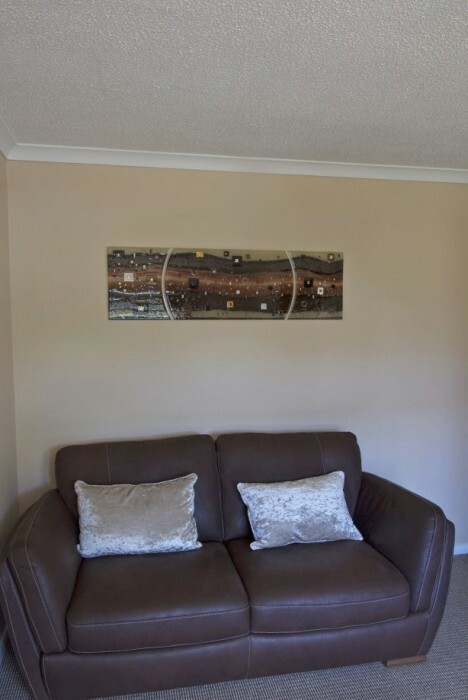 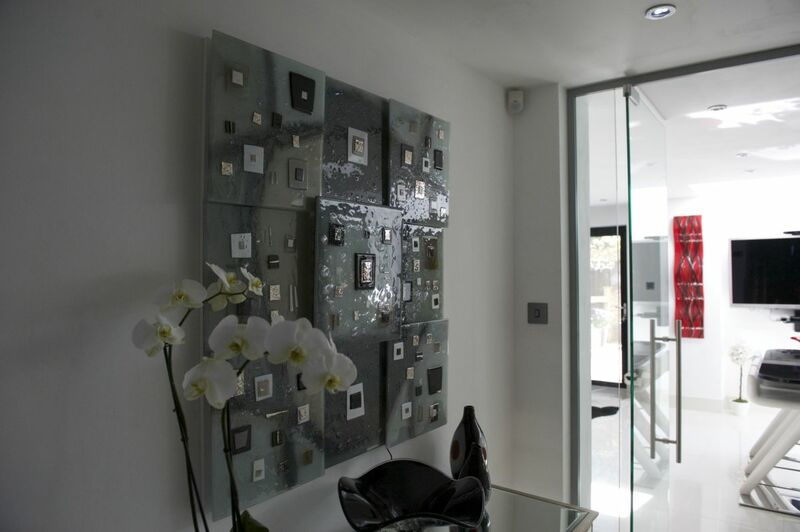 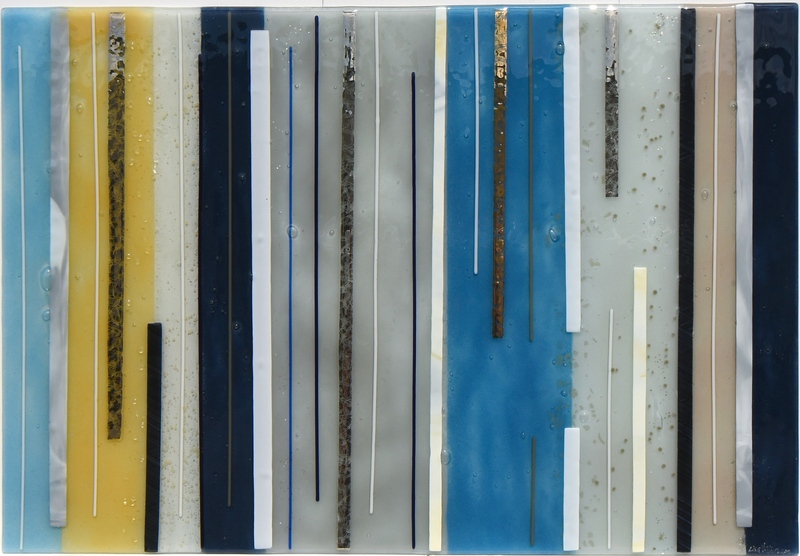 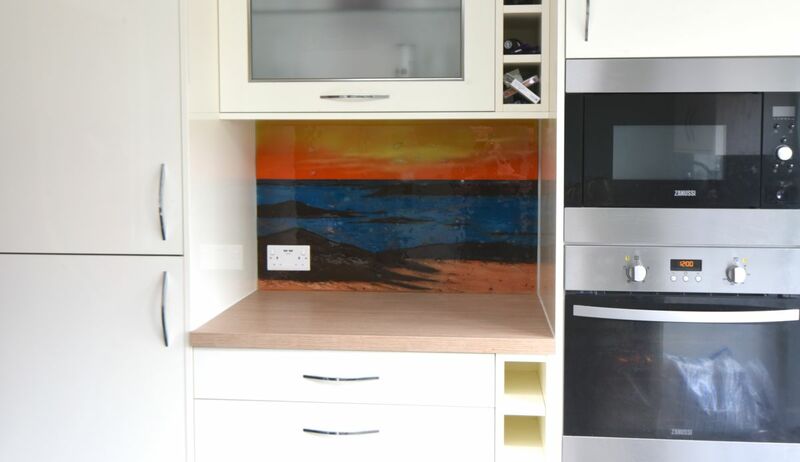 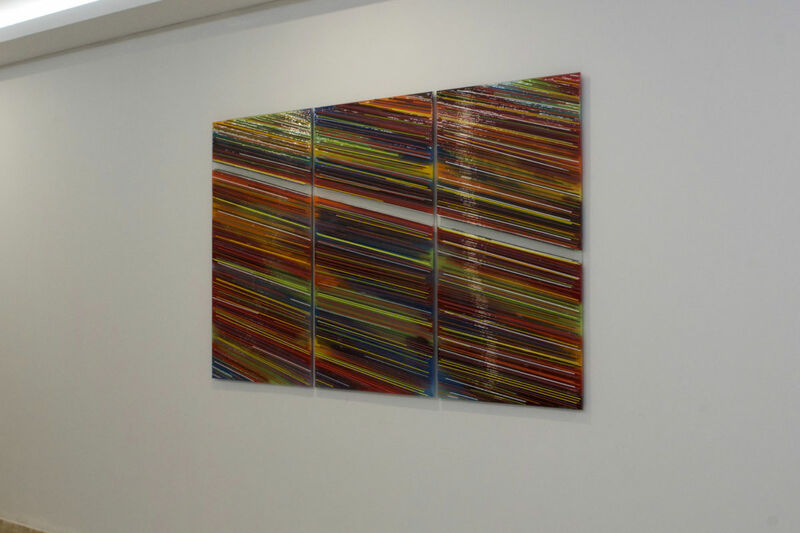 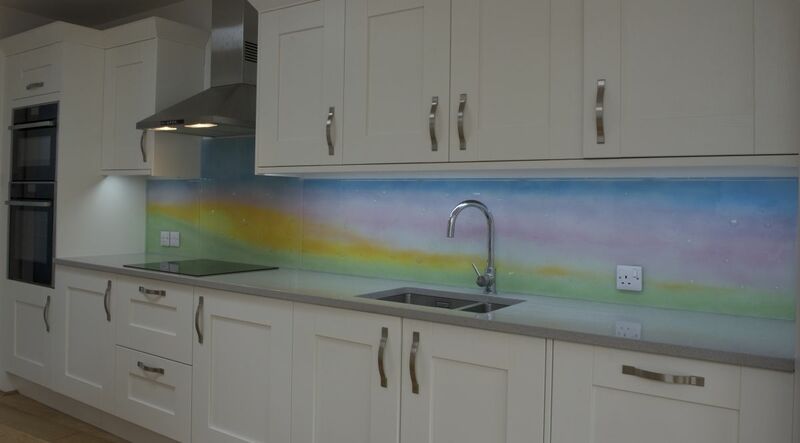 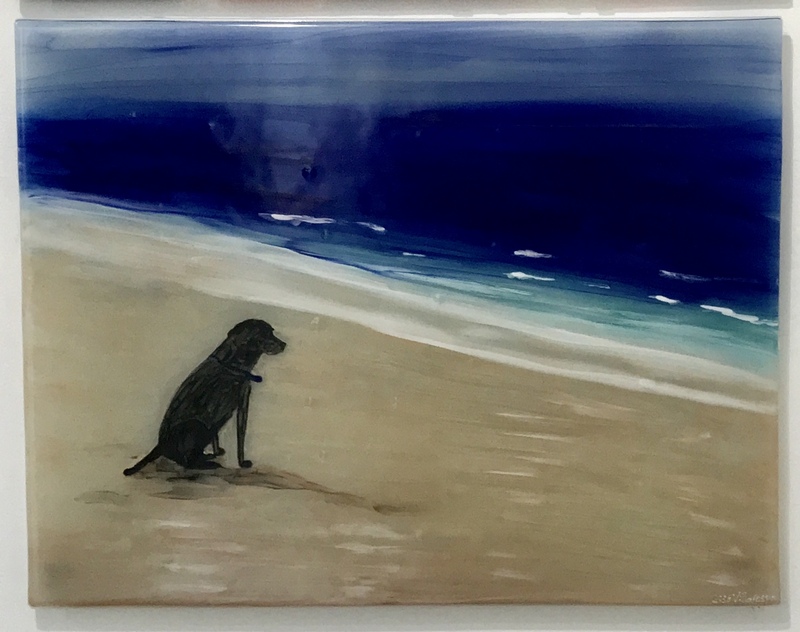 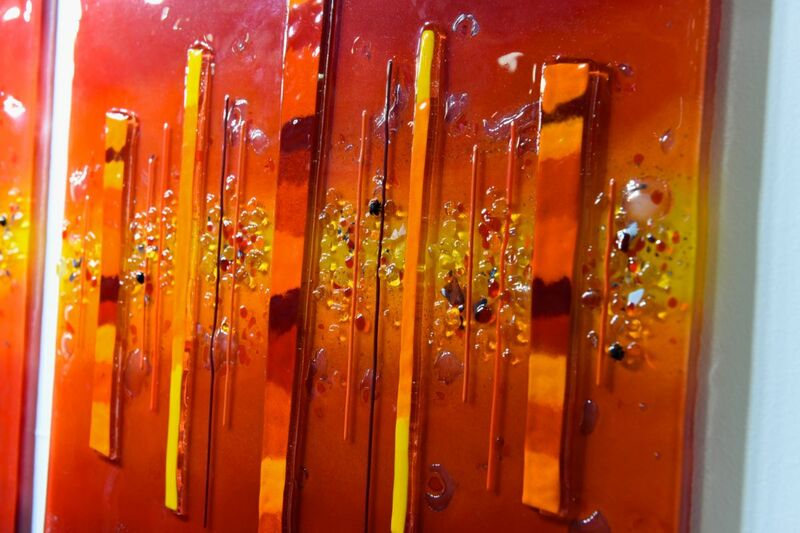 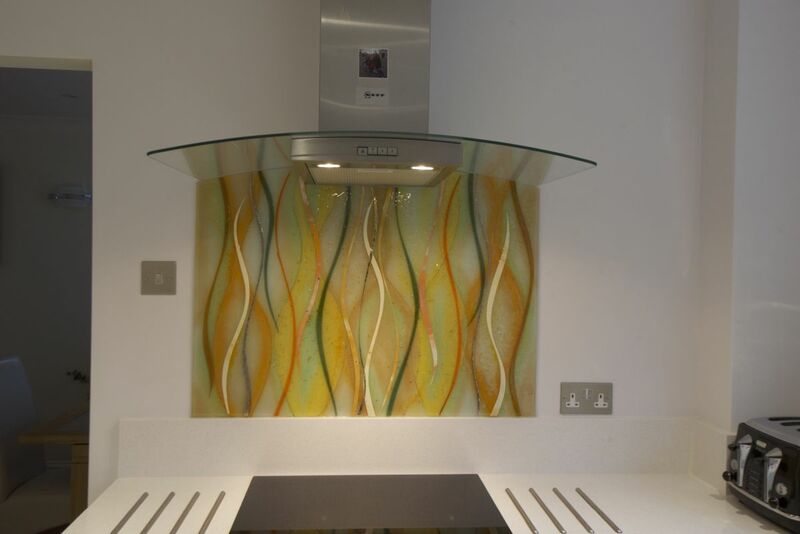 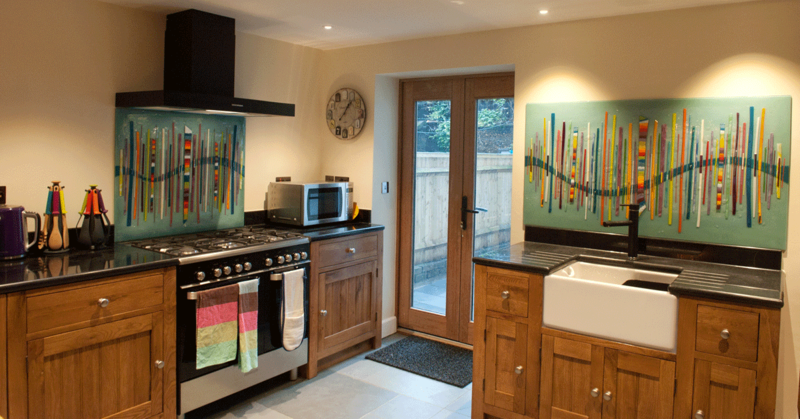 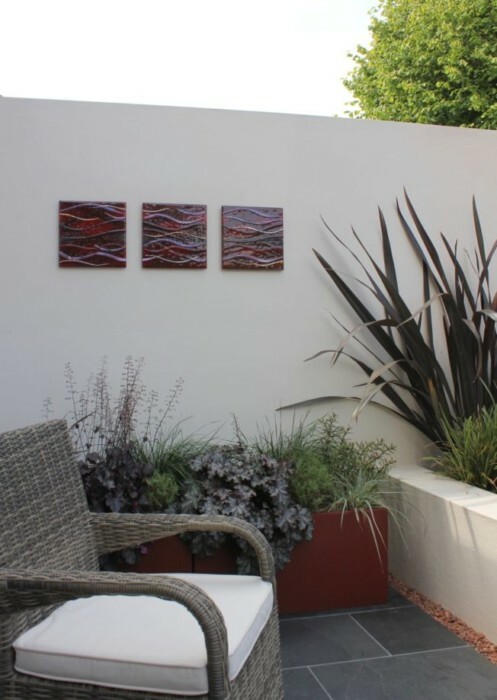 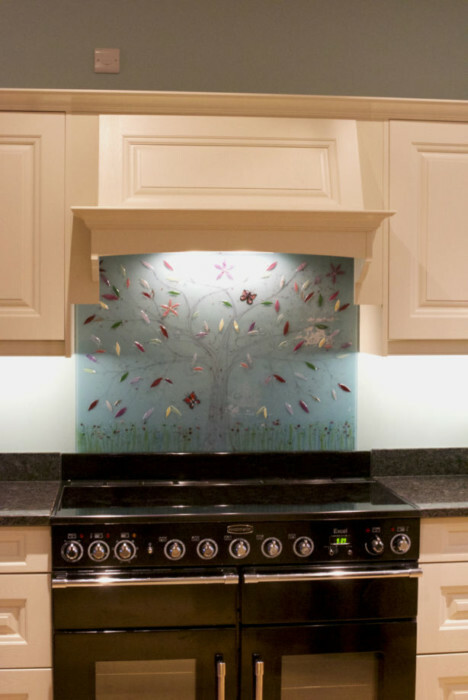 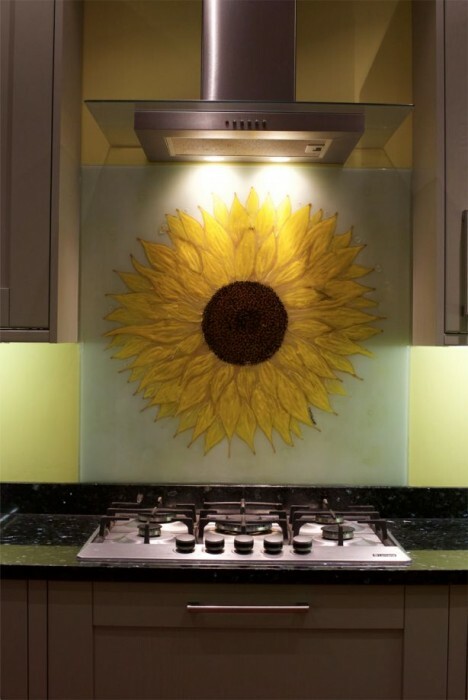 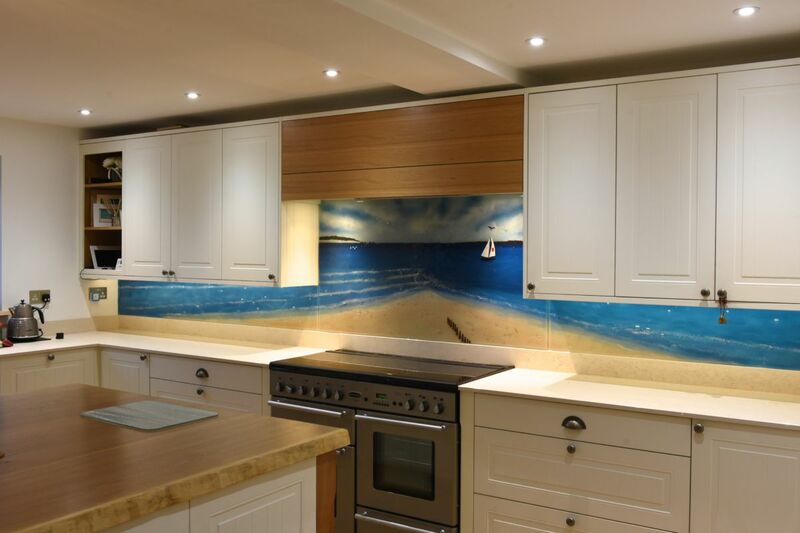 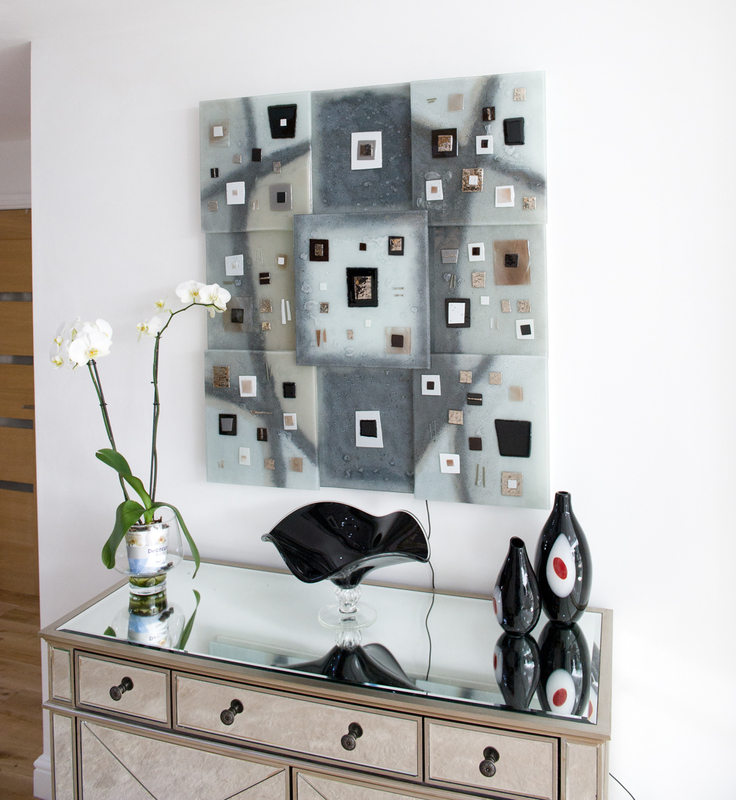 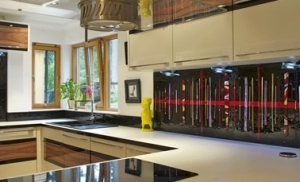 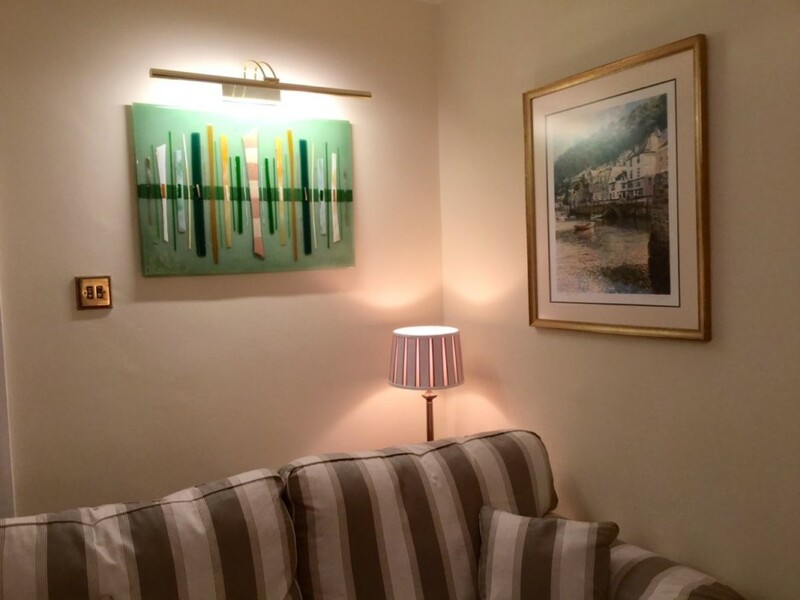 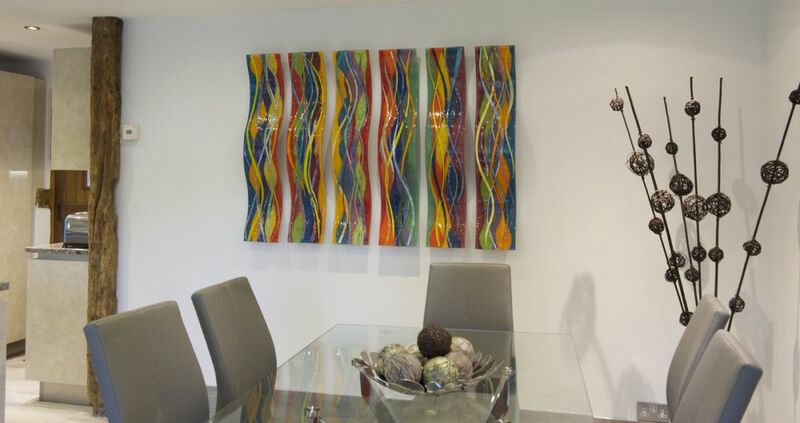 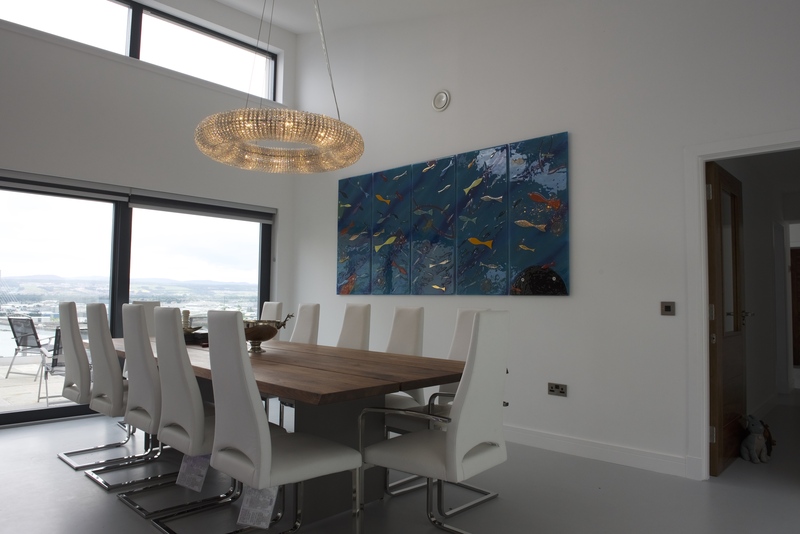 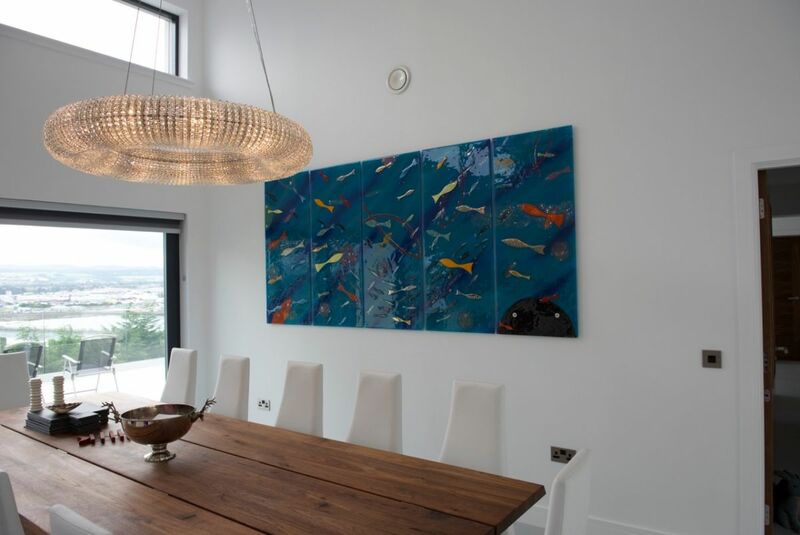 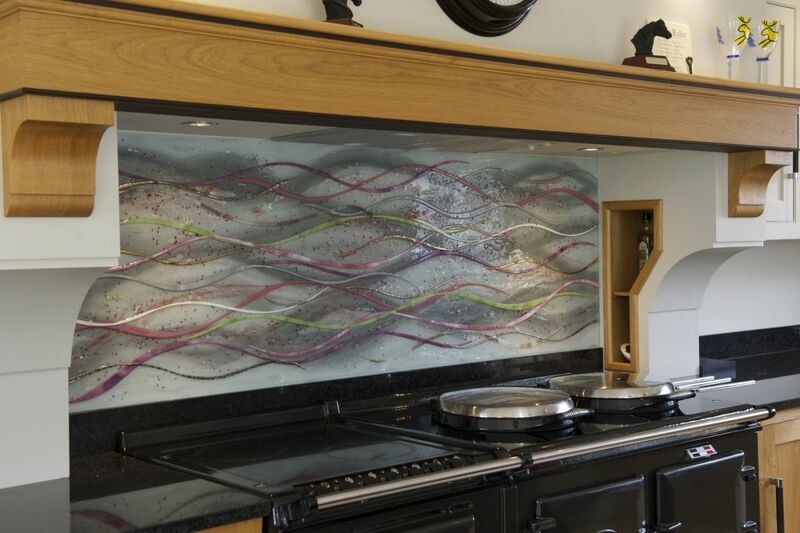 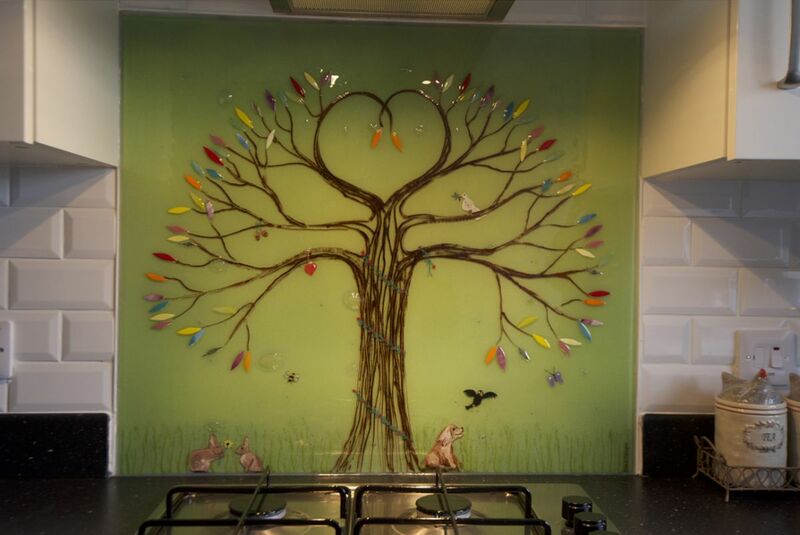 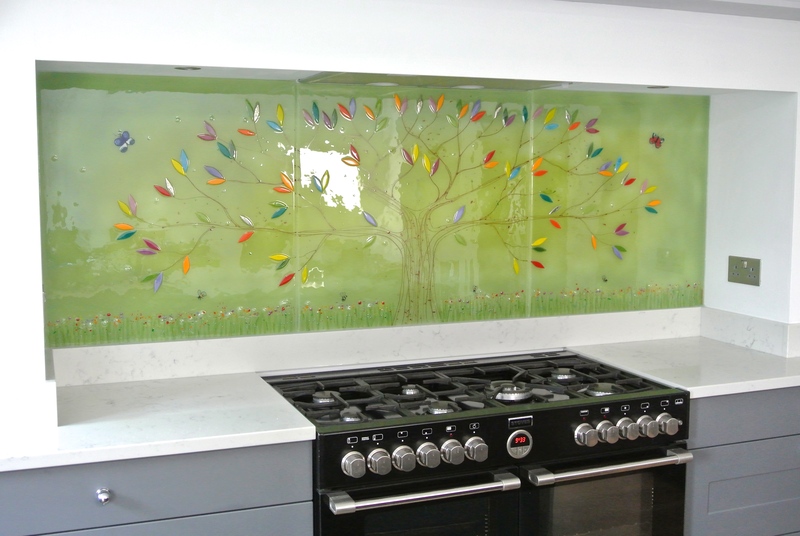 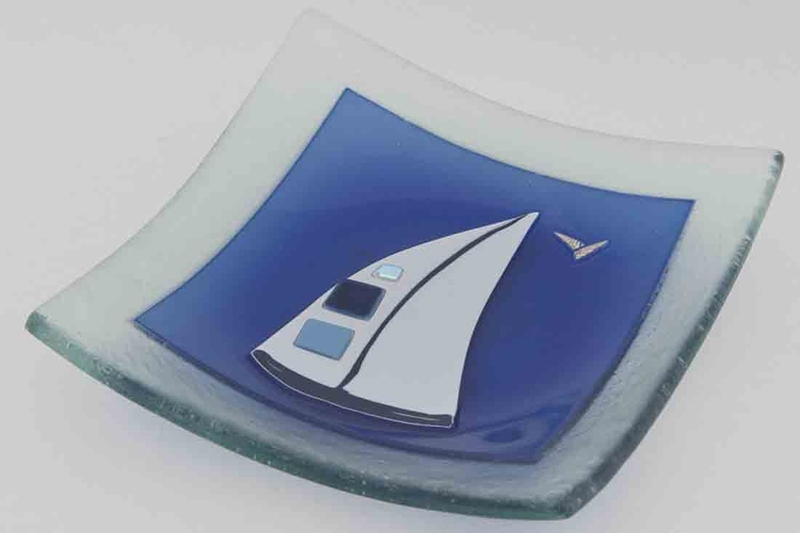 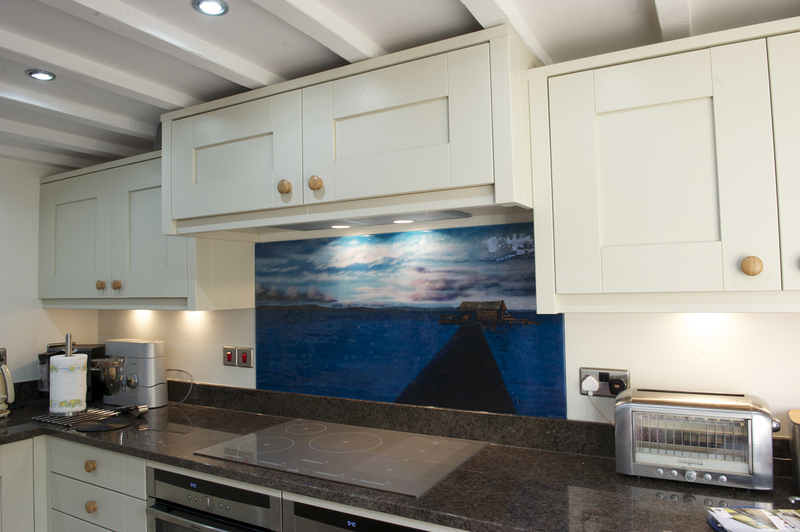 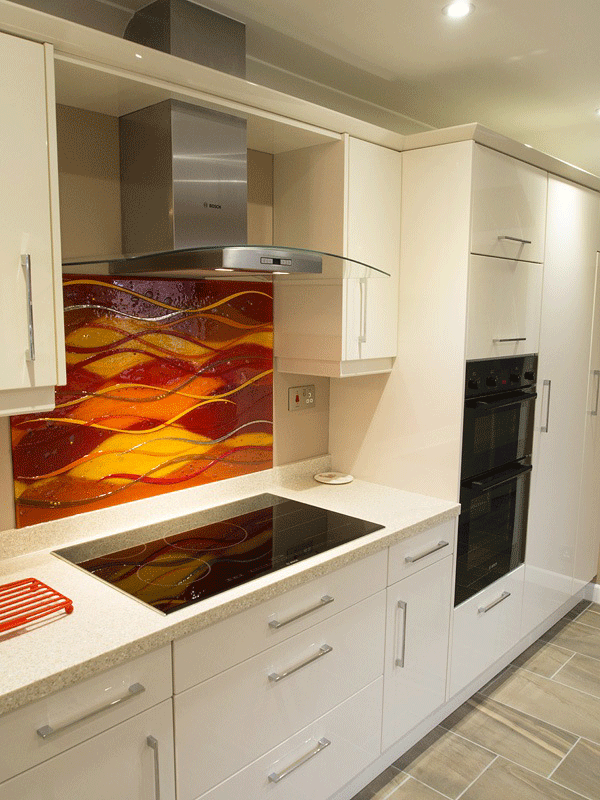 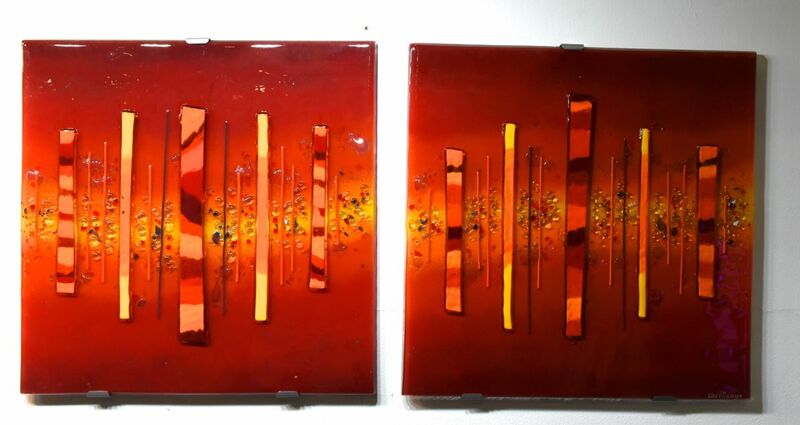 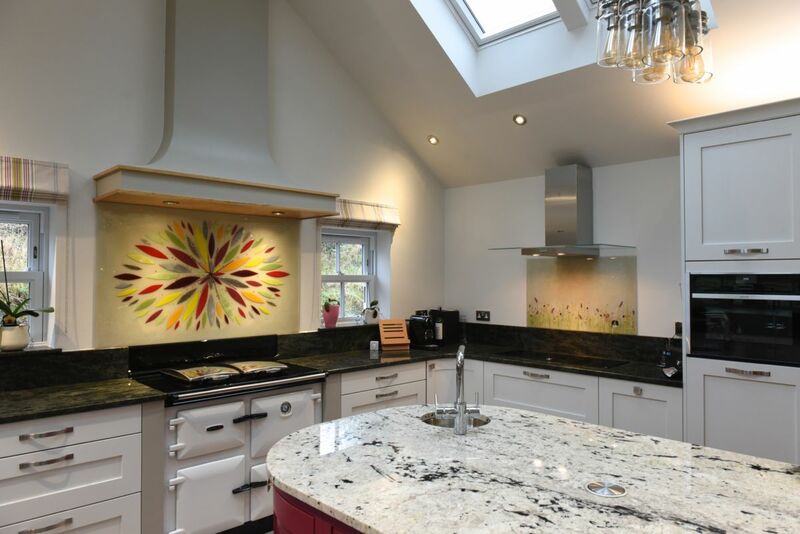 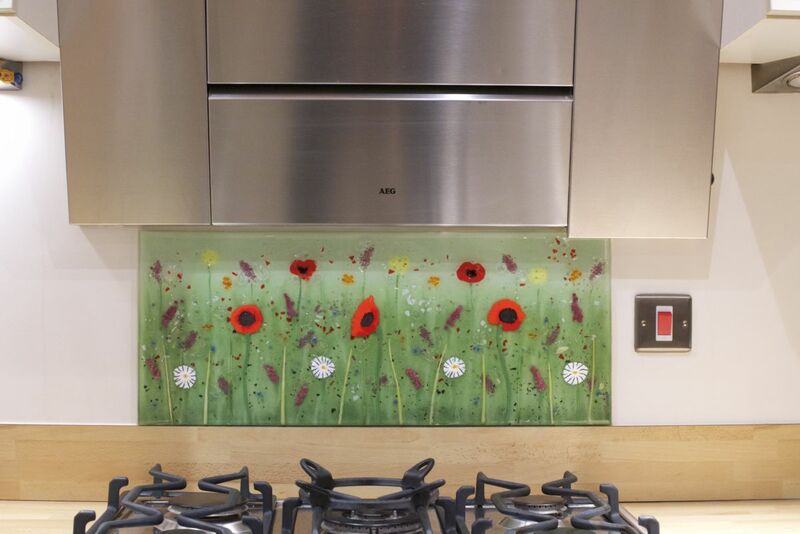 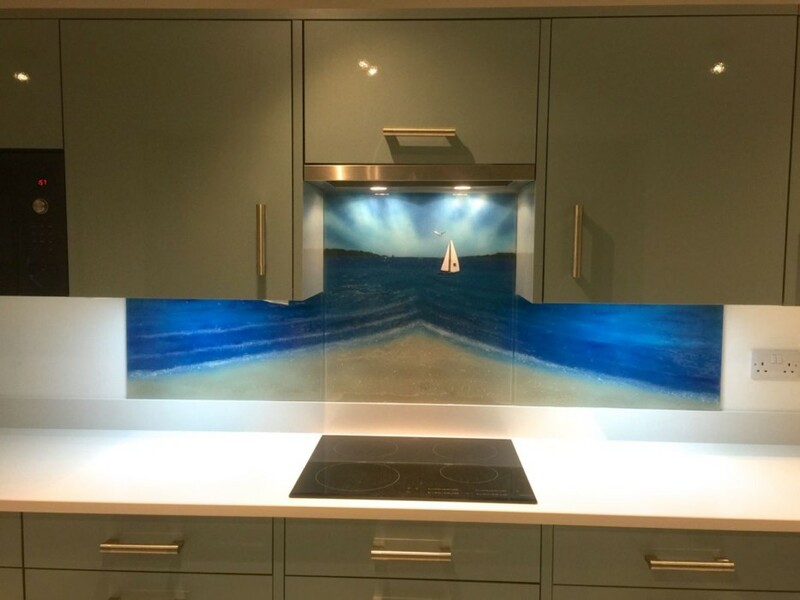 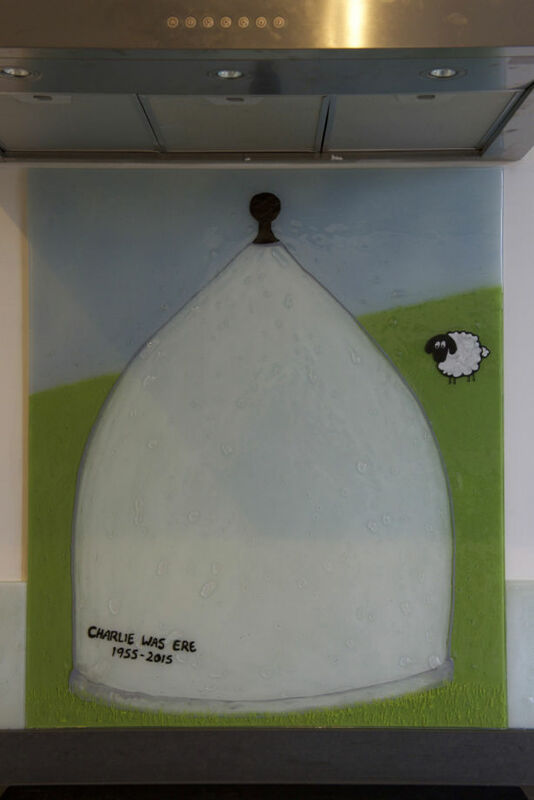 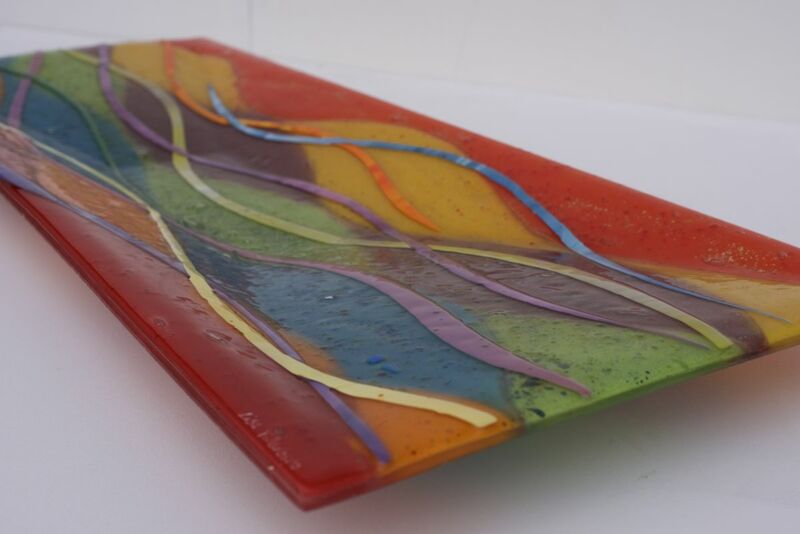 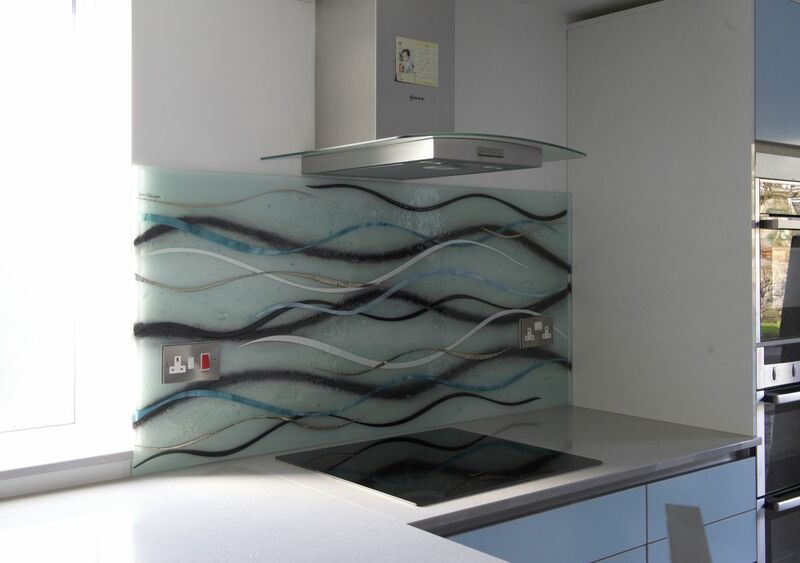 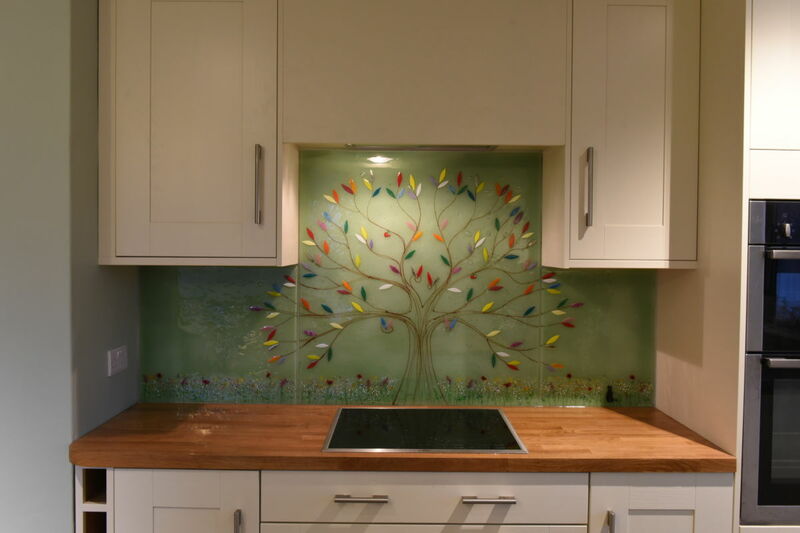 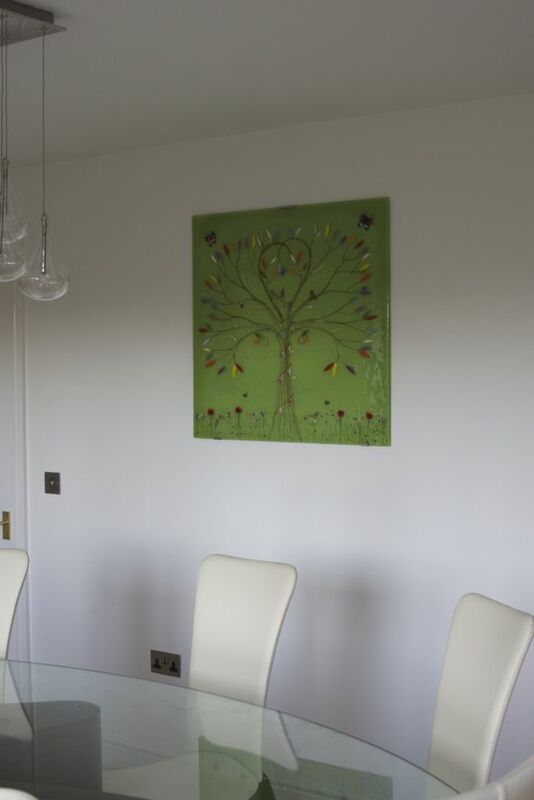 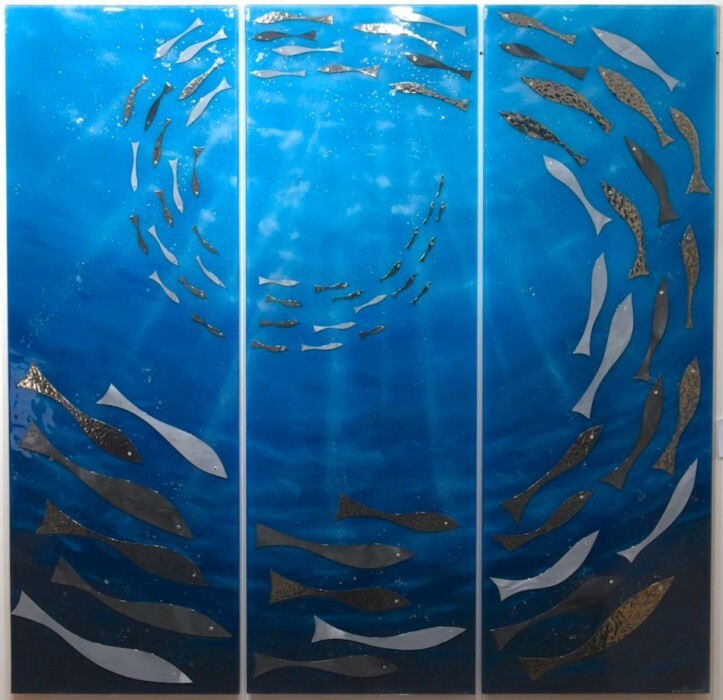 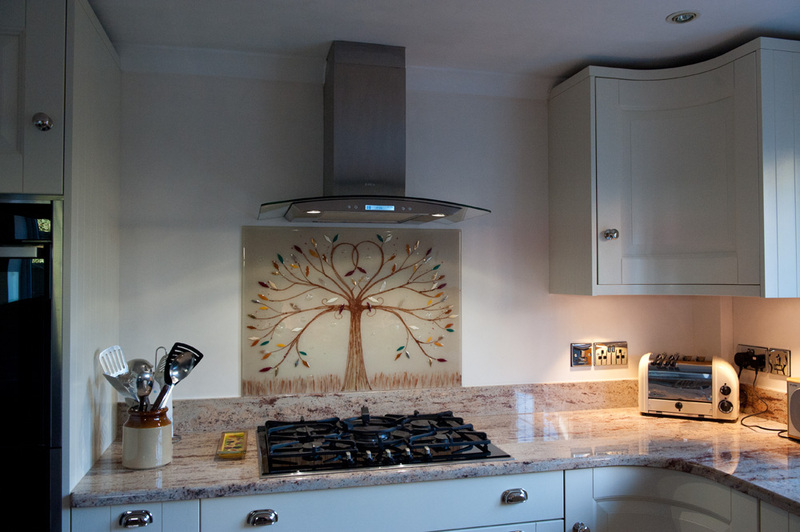 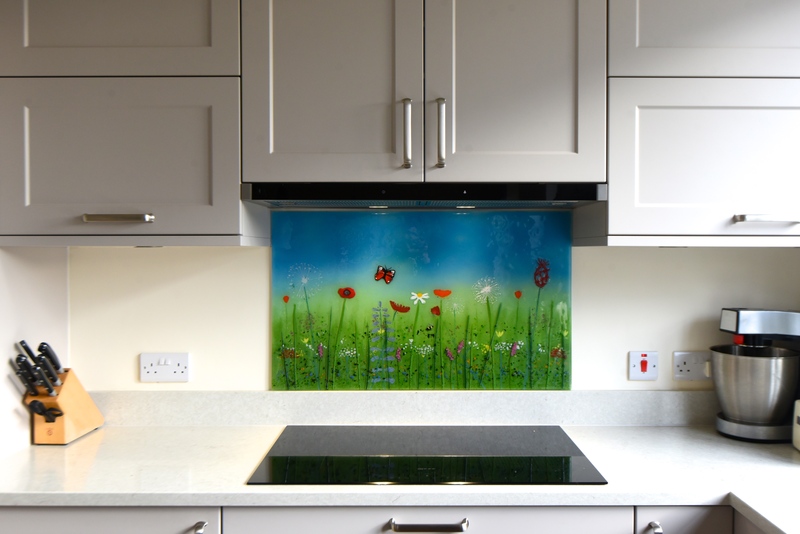 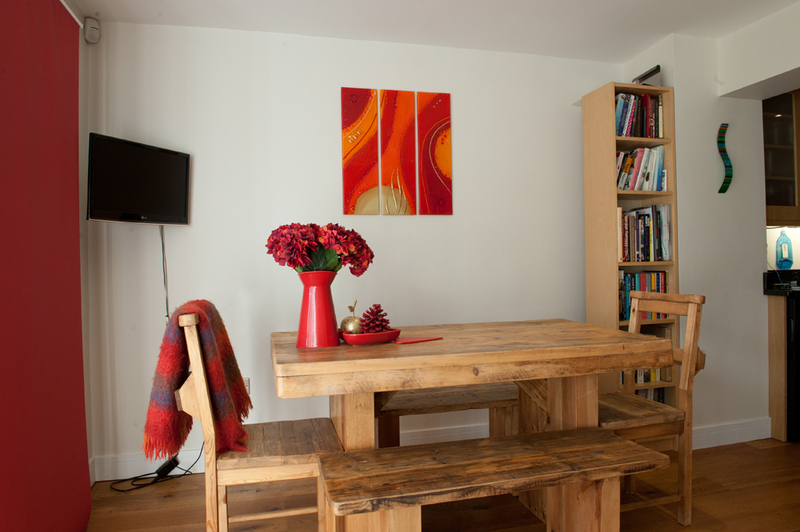 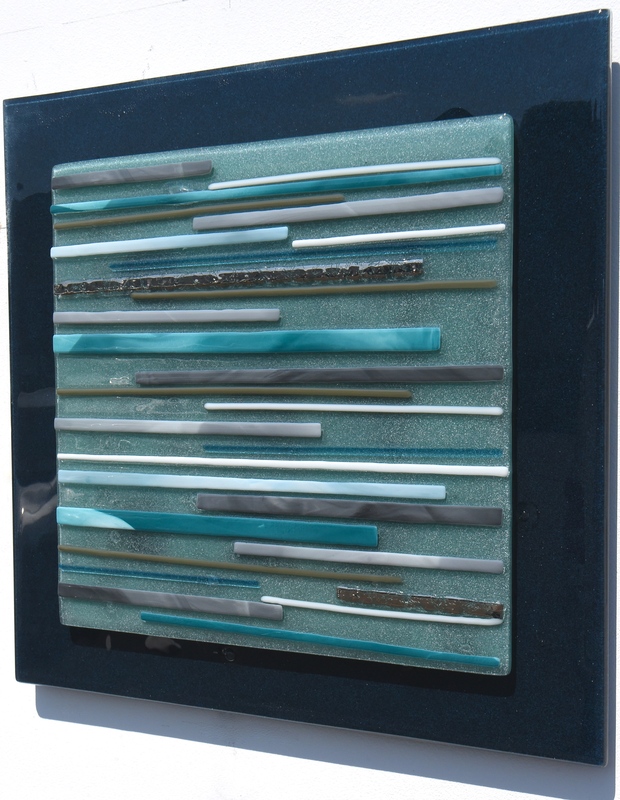 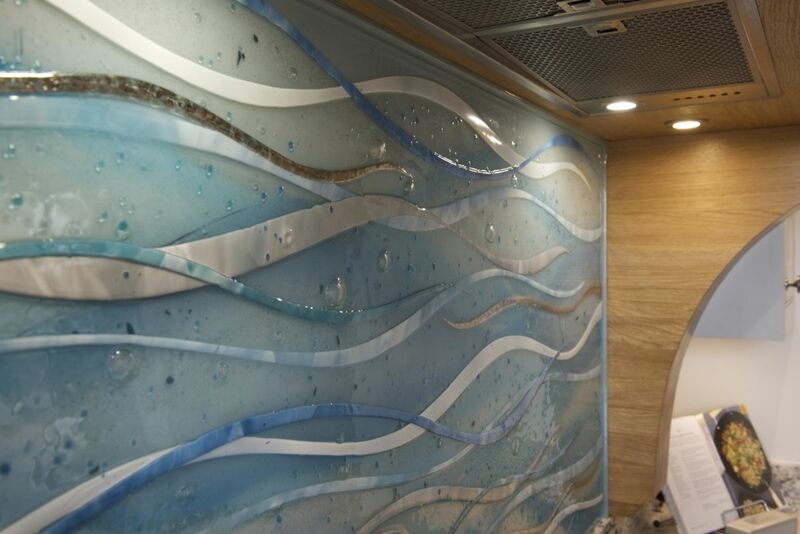 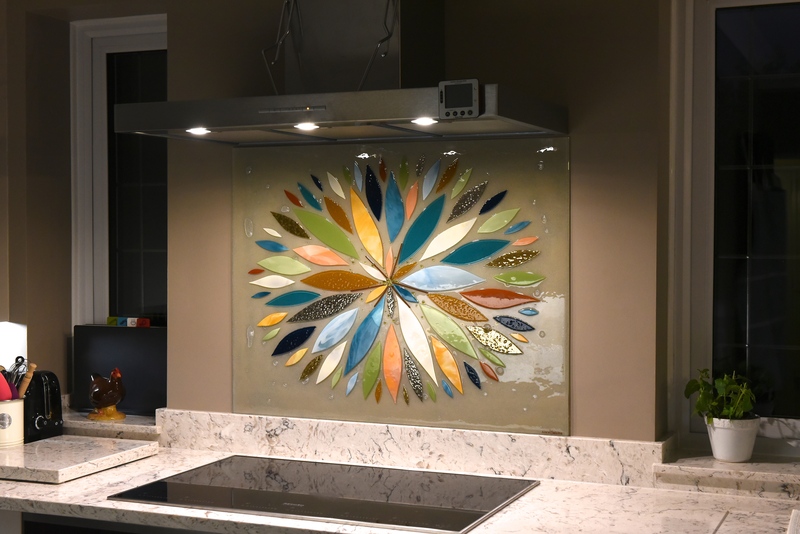 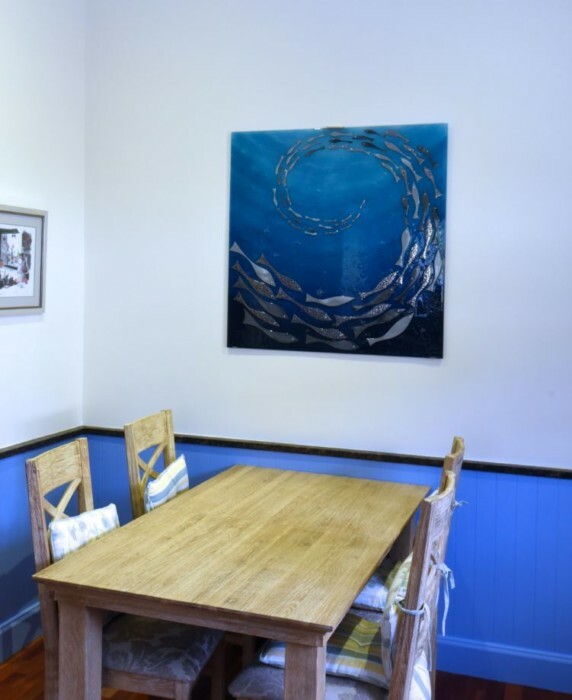 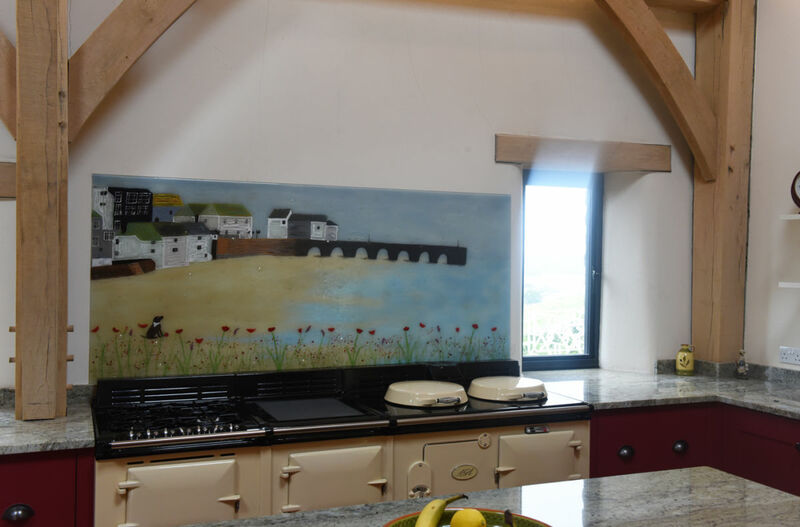 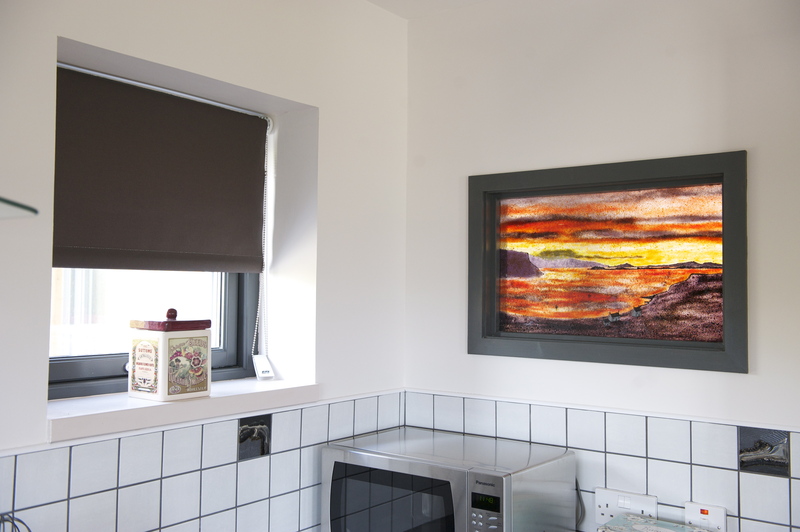 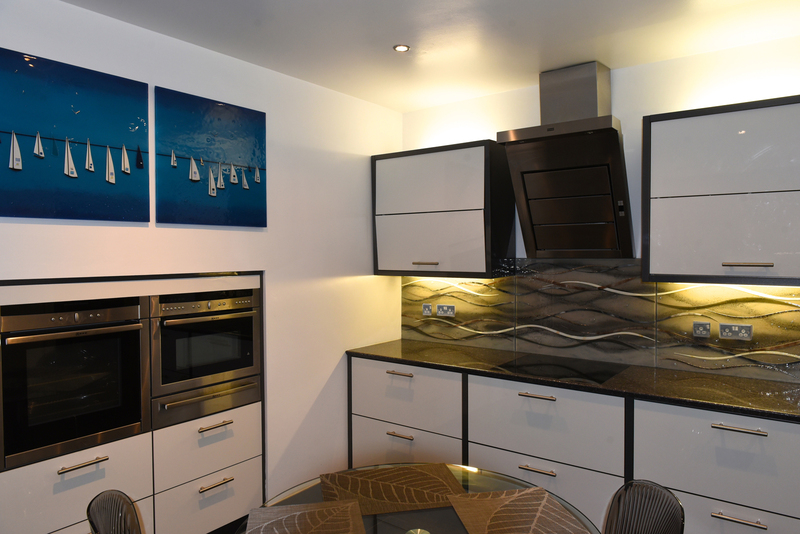 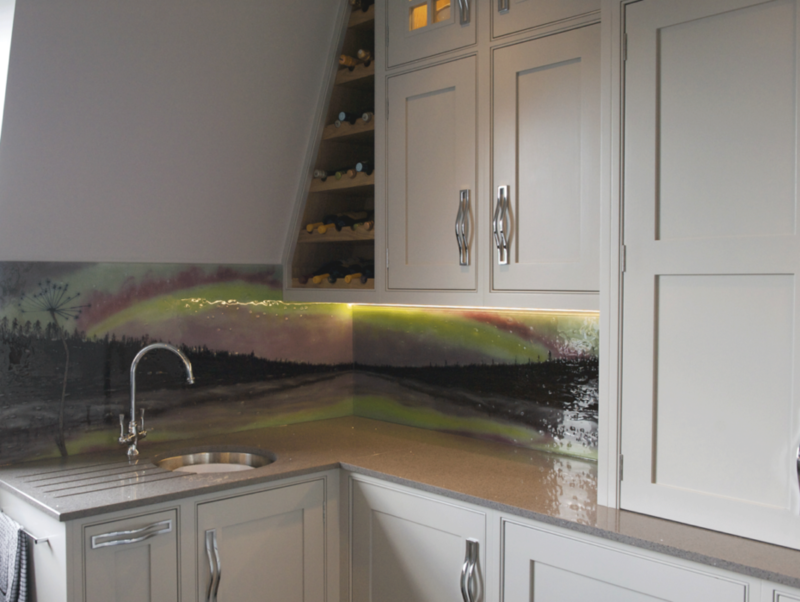 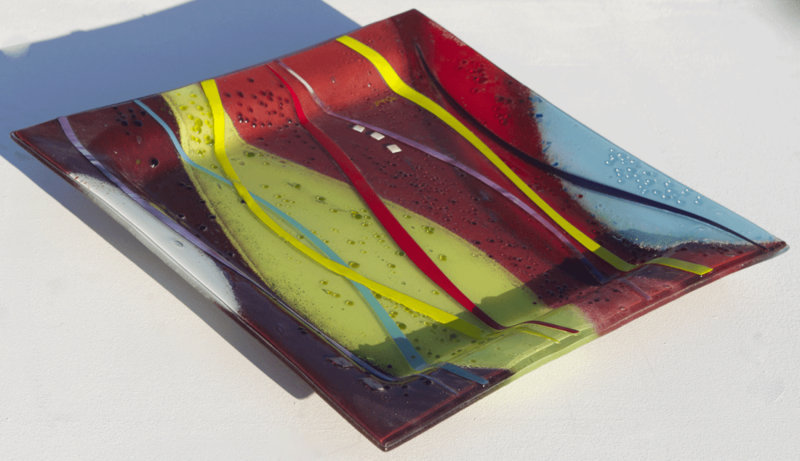 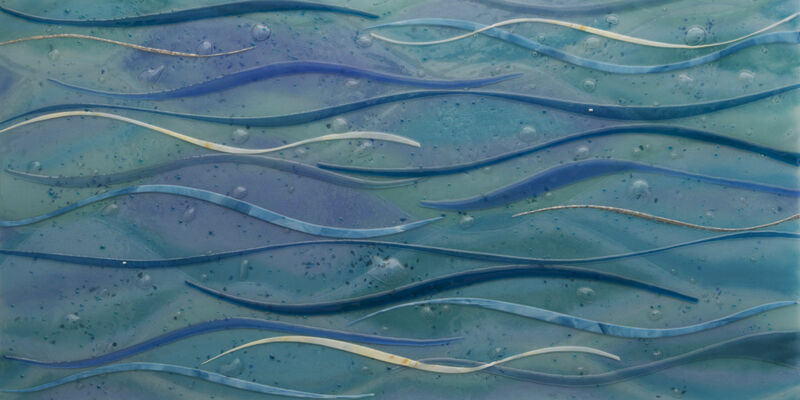 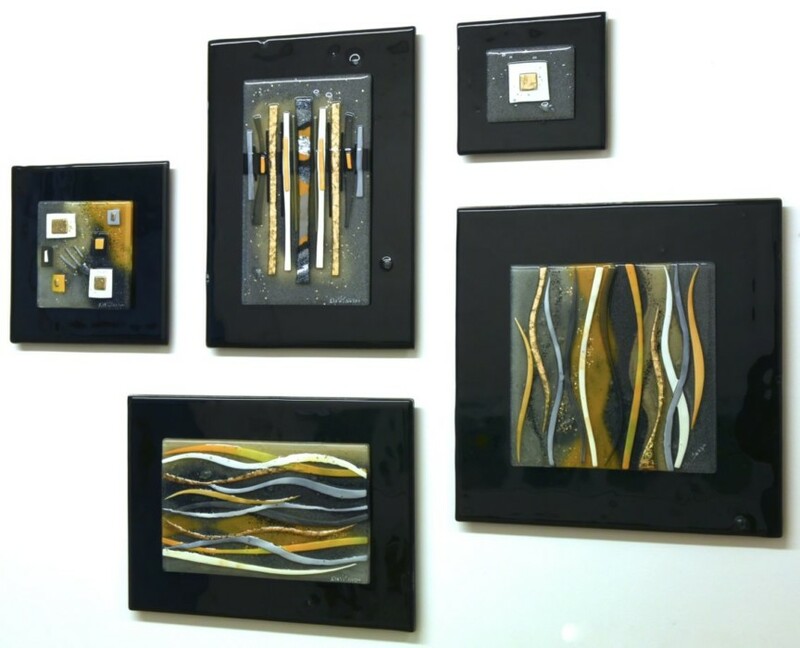 Fused glass art makes for a perfect fit, especially when used alongside tiles, and doubly so when you make full use of our bespoke, hand made service to get a piece that fits the décor of the room to a t.
So, what are you waiting for? 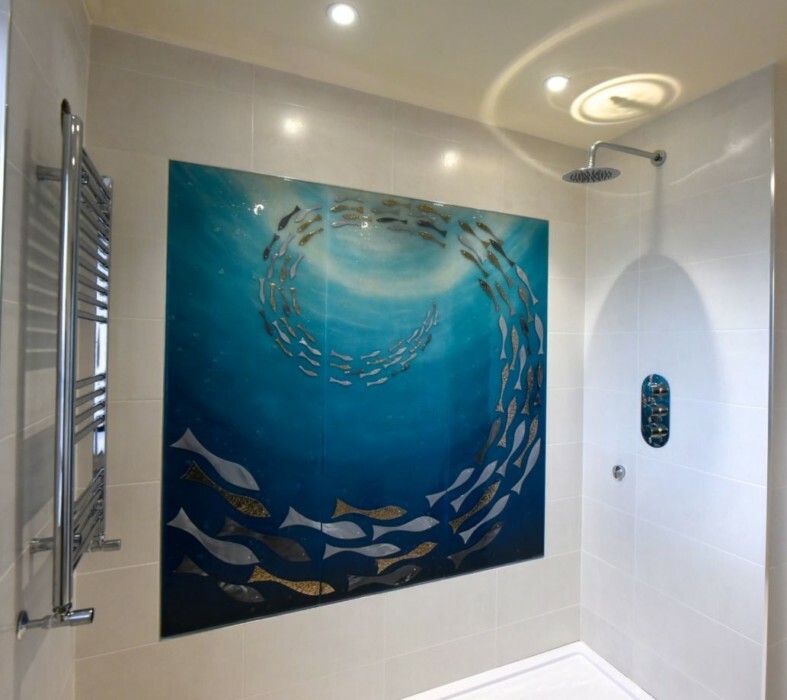 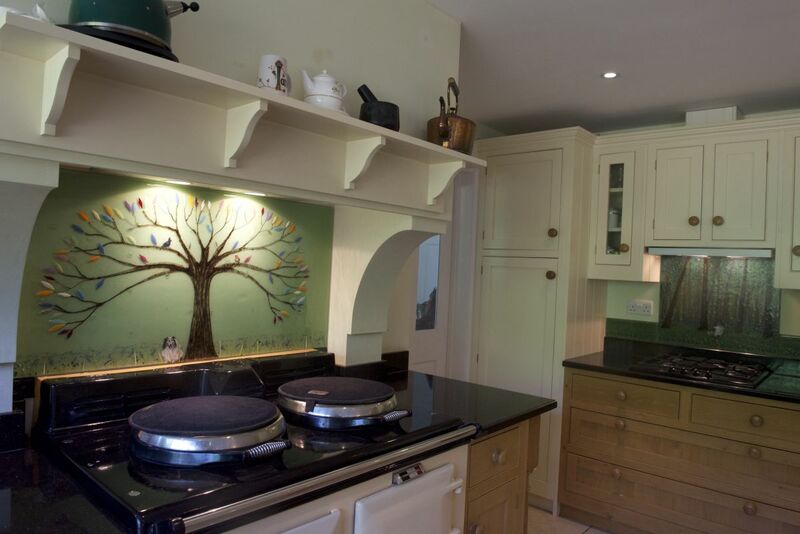 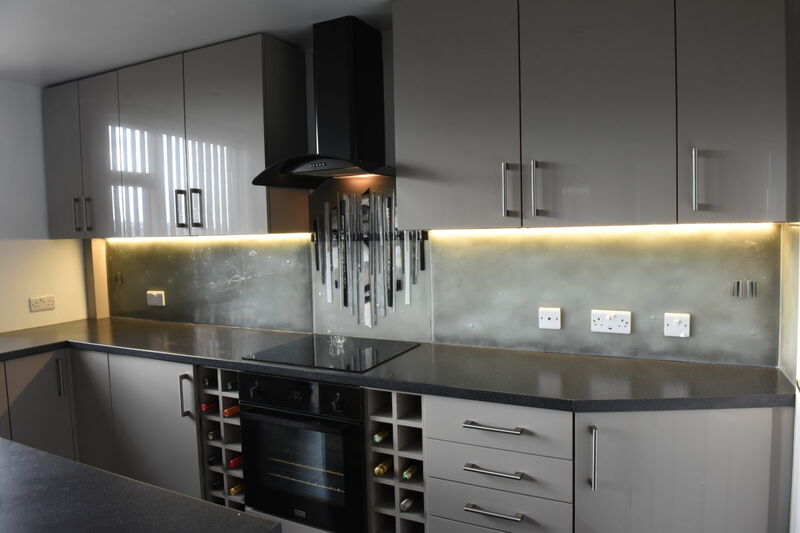 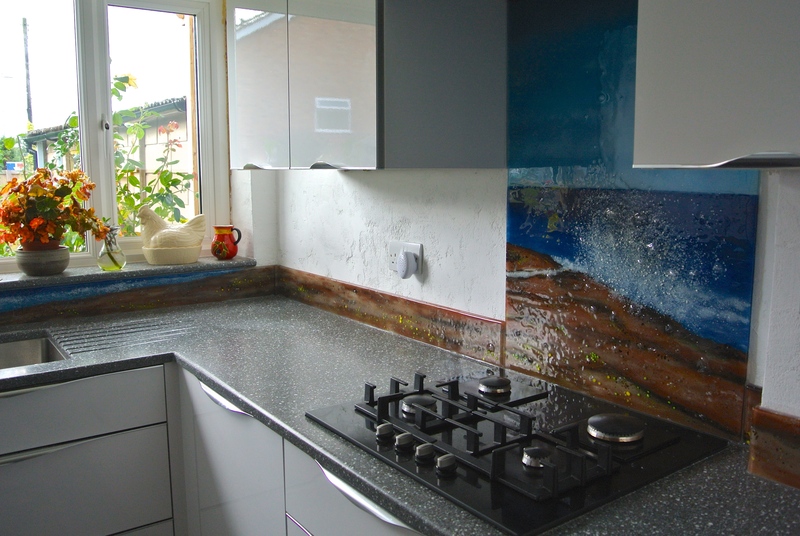 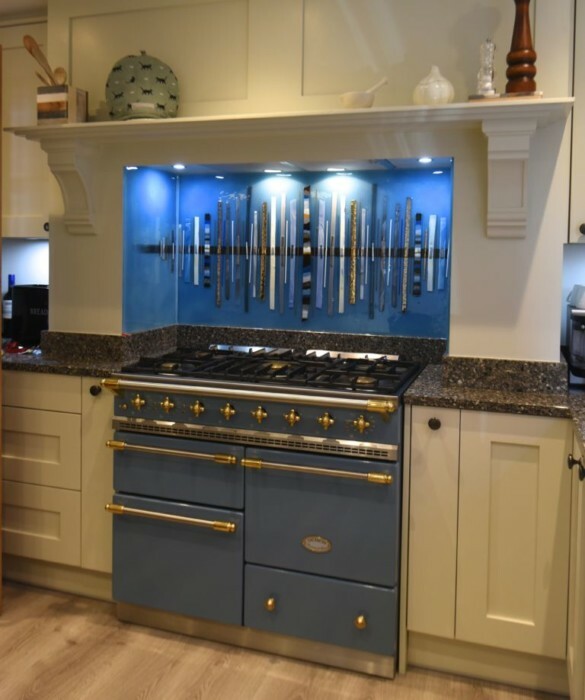 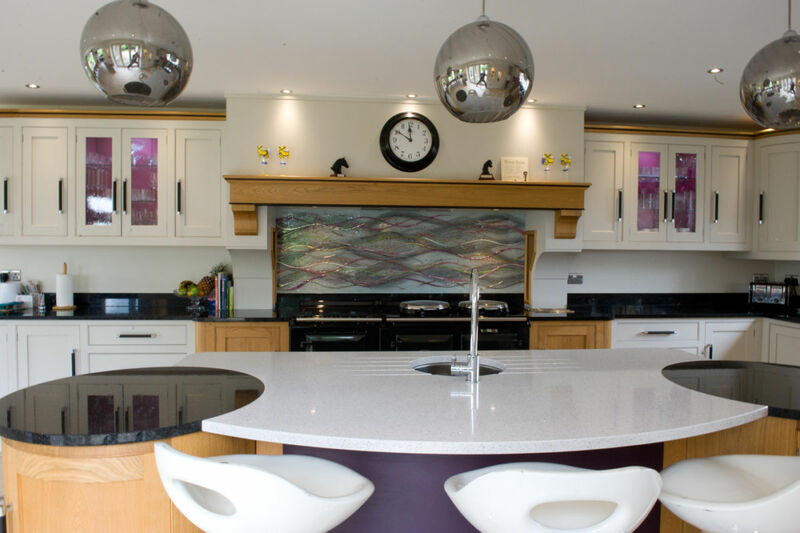 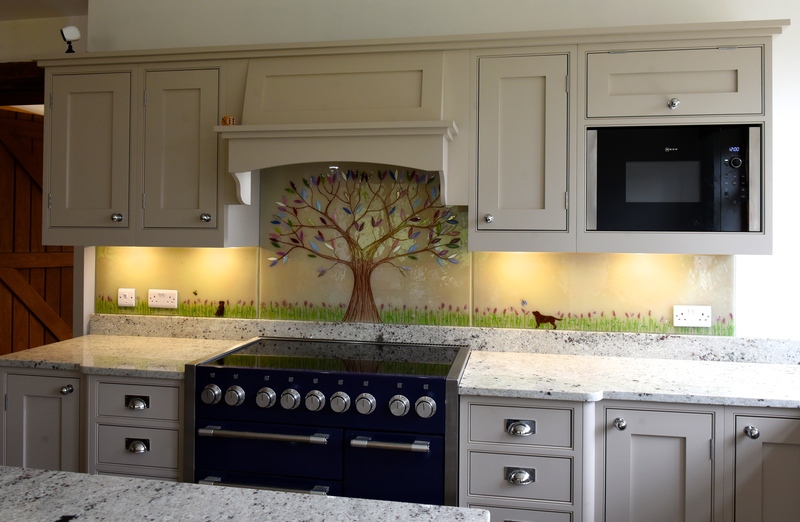 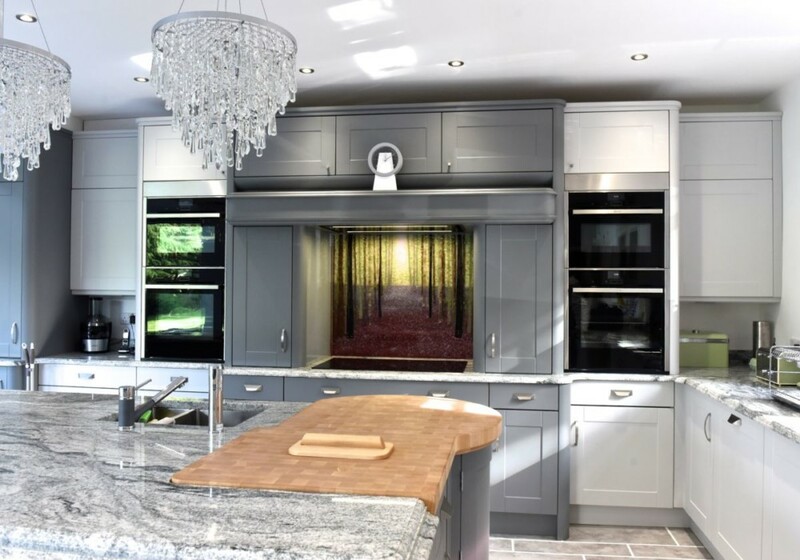 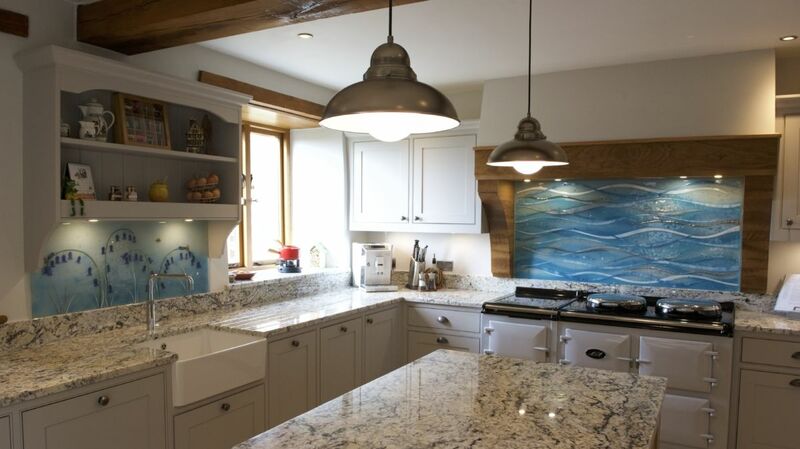 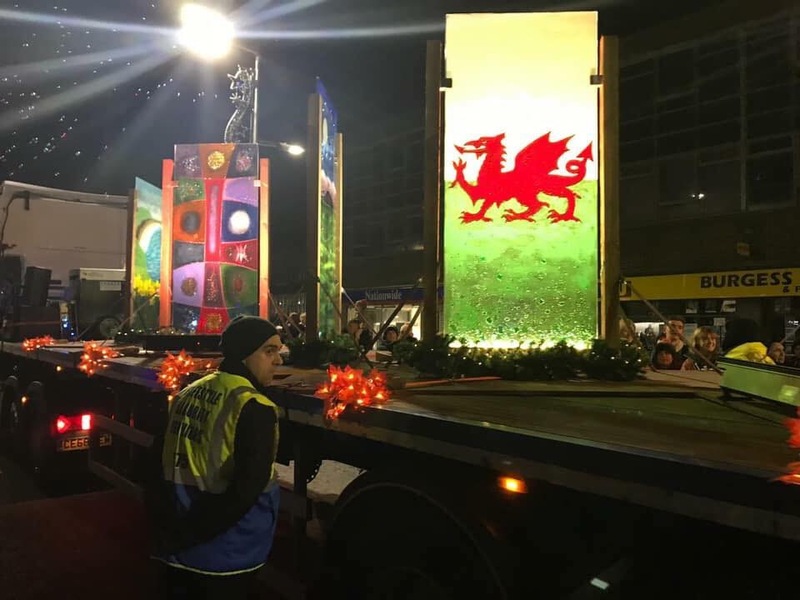 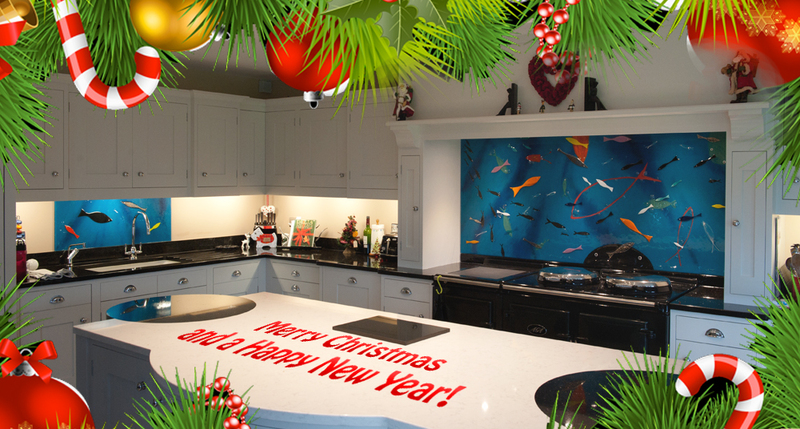 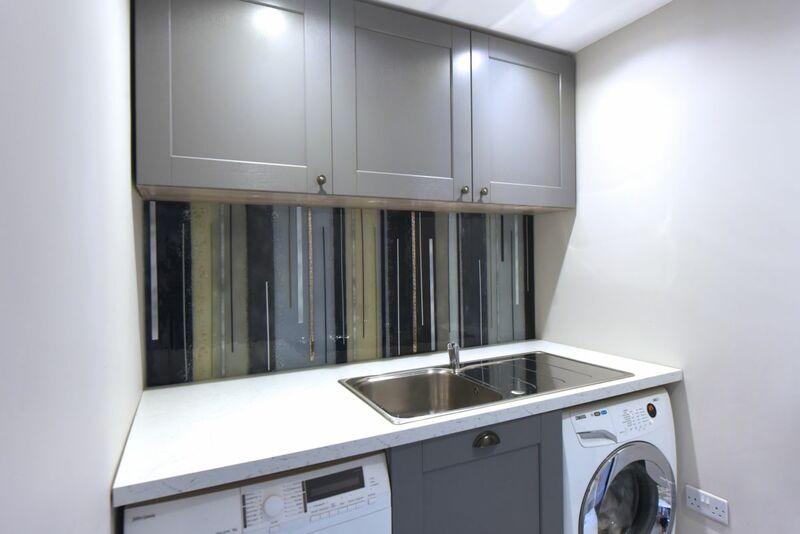 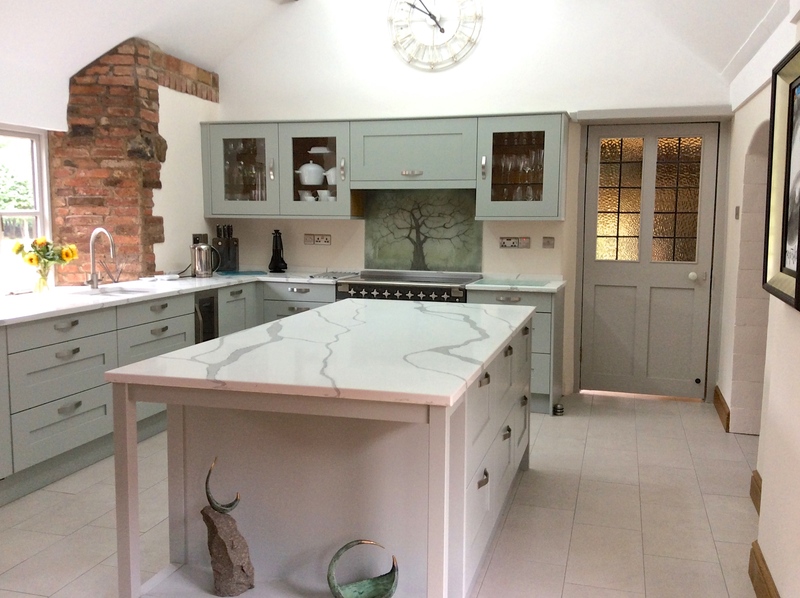 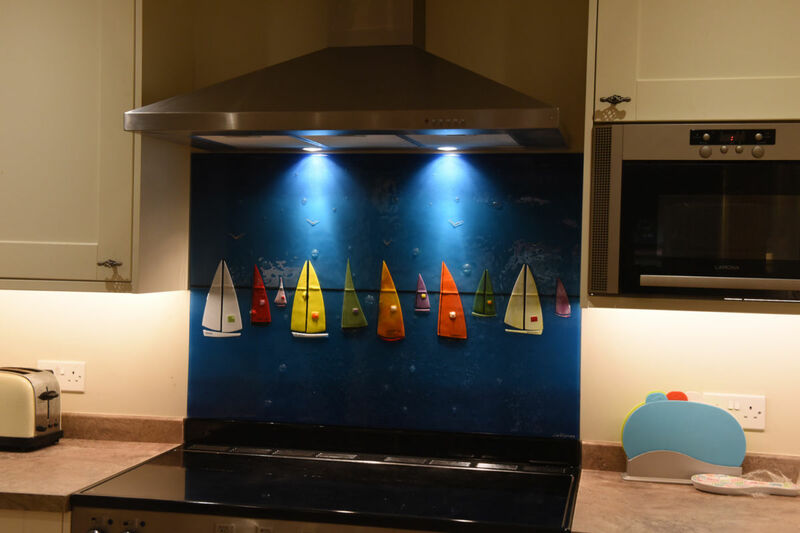 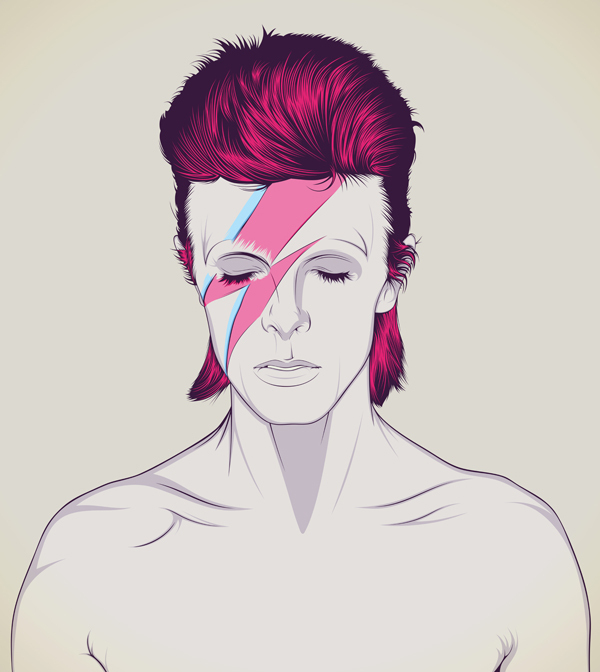 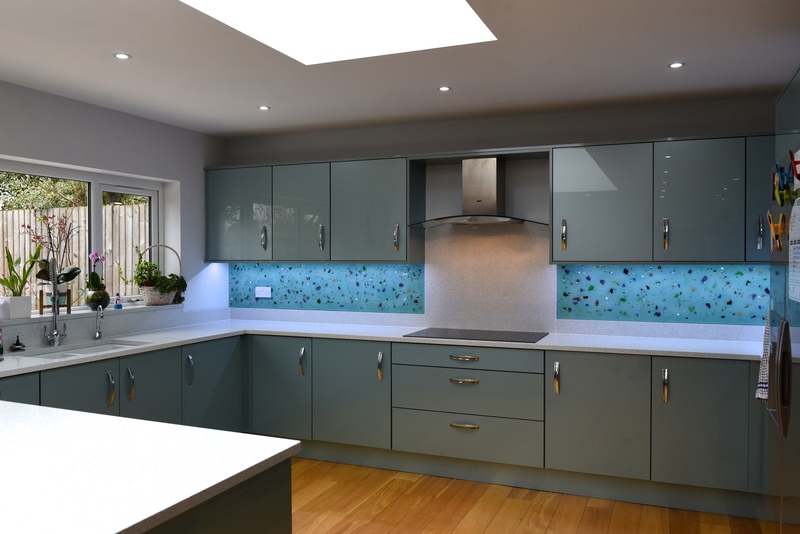 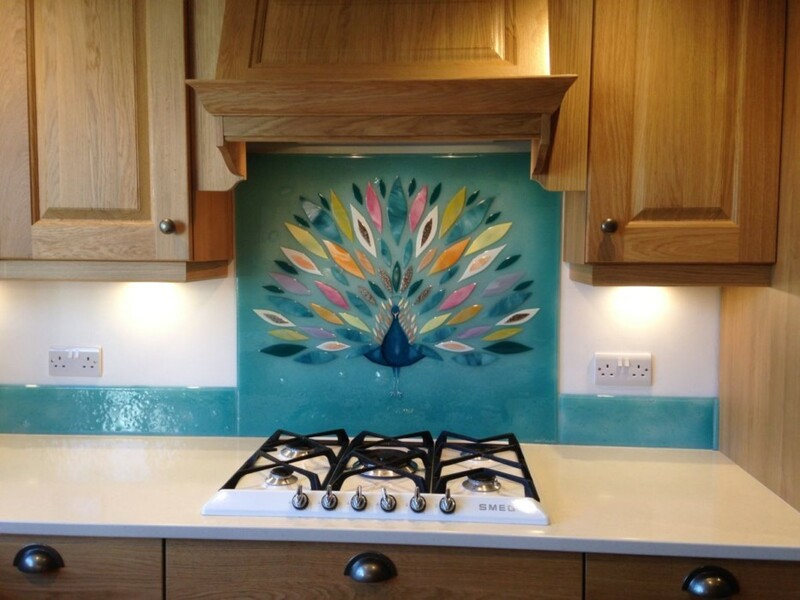 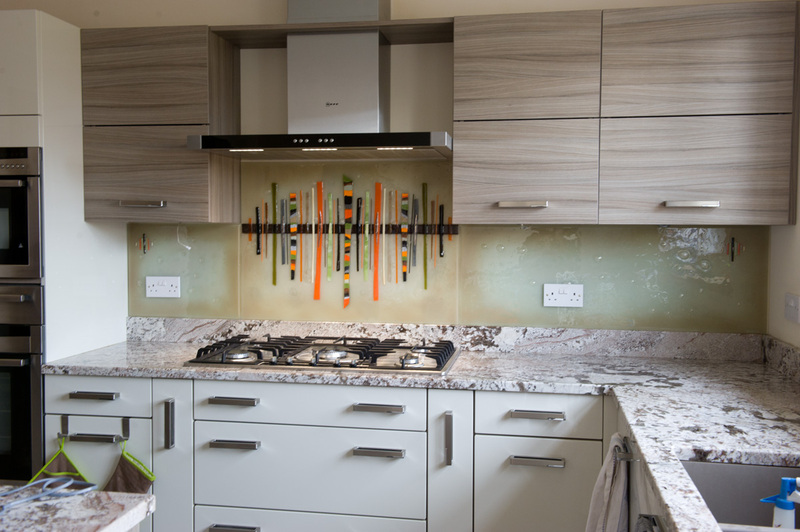 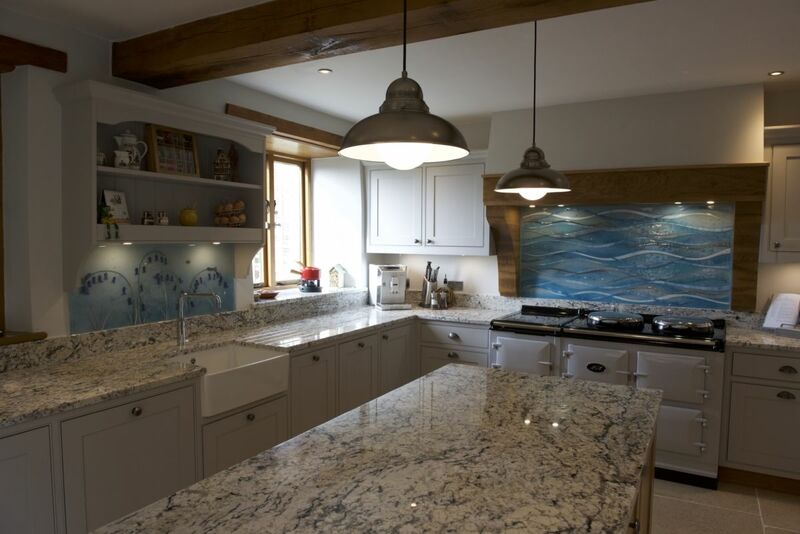 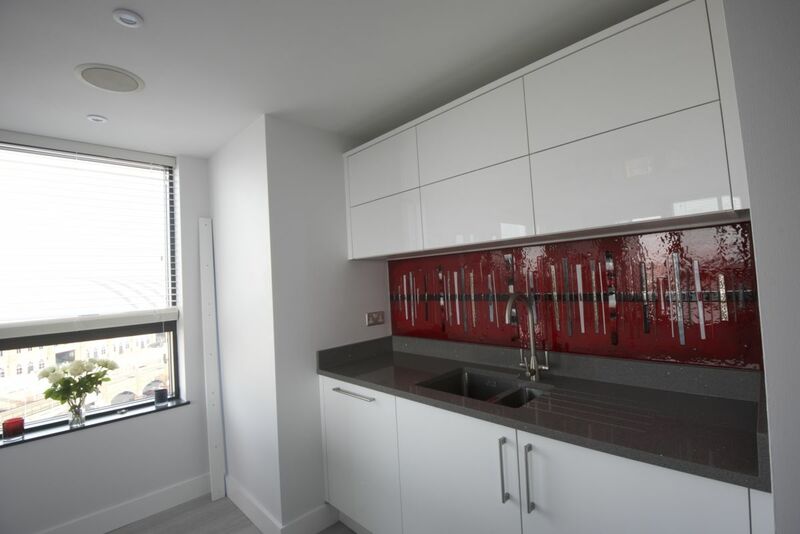 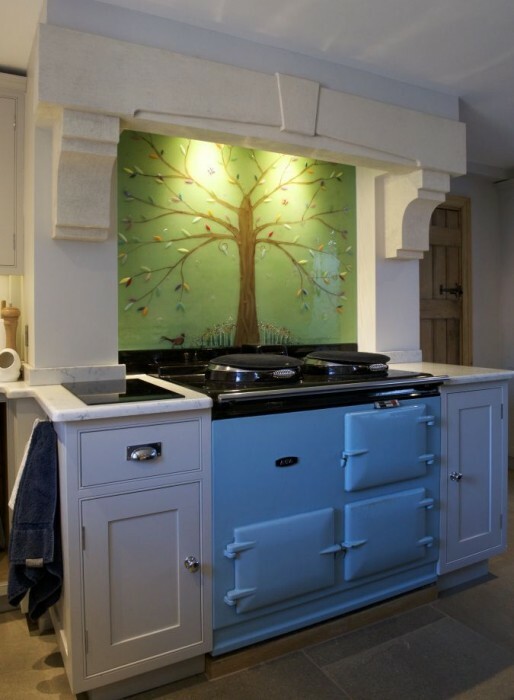 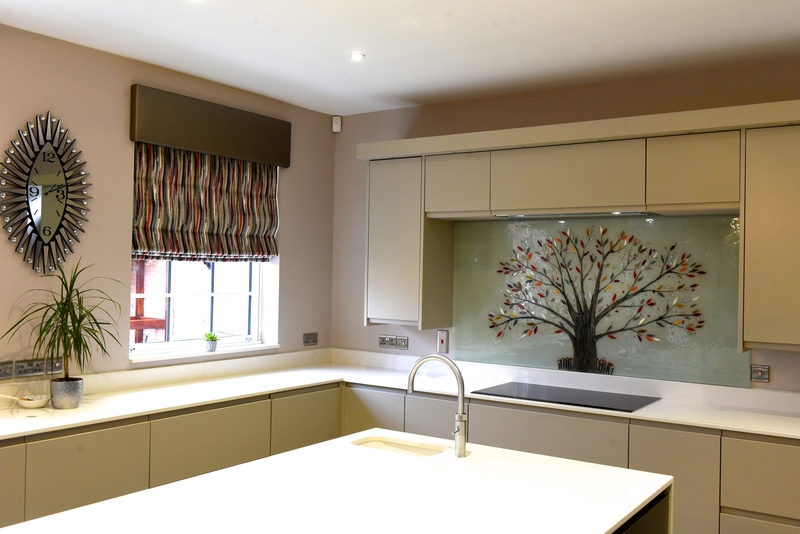 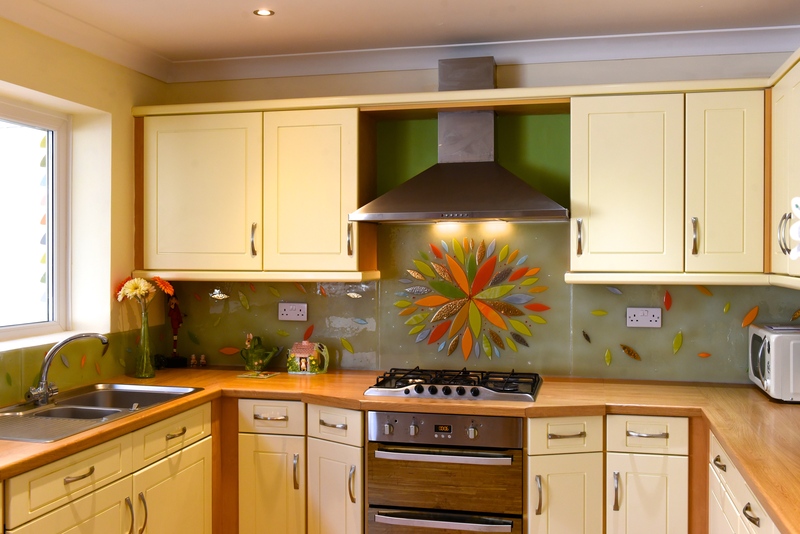 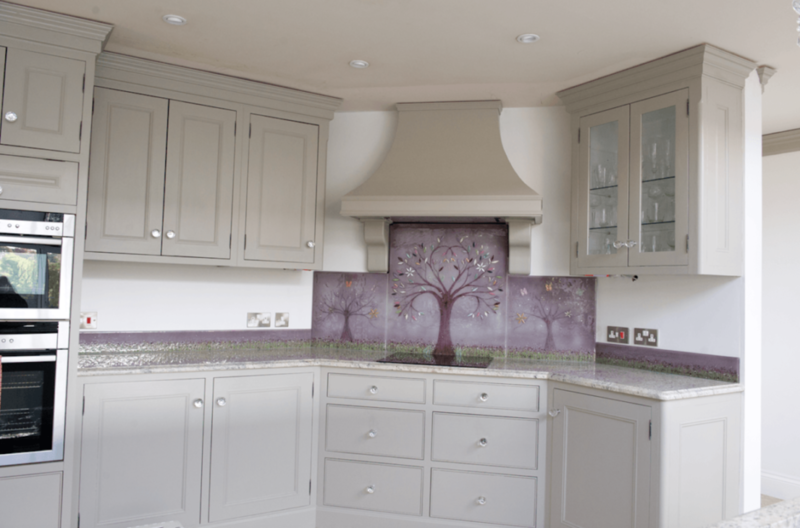 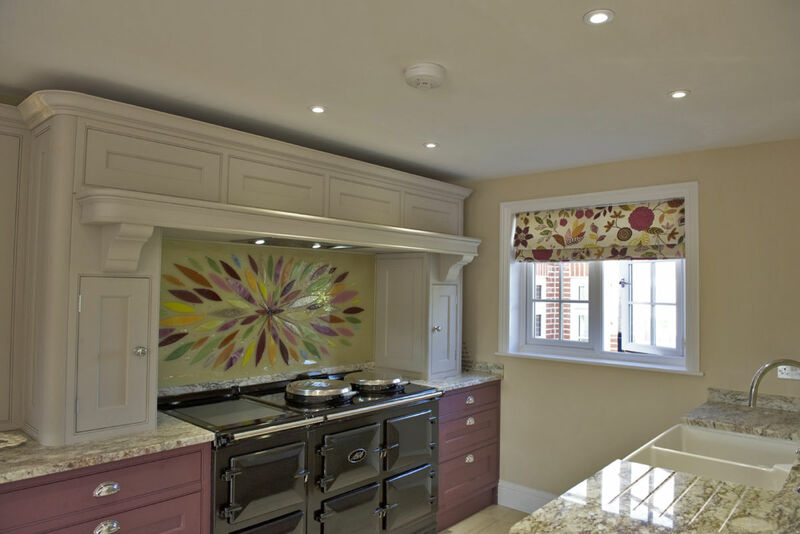 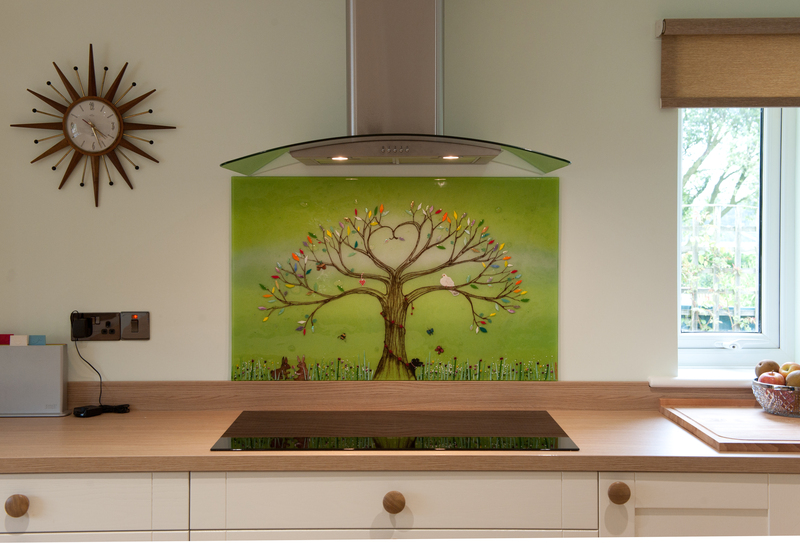 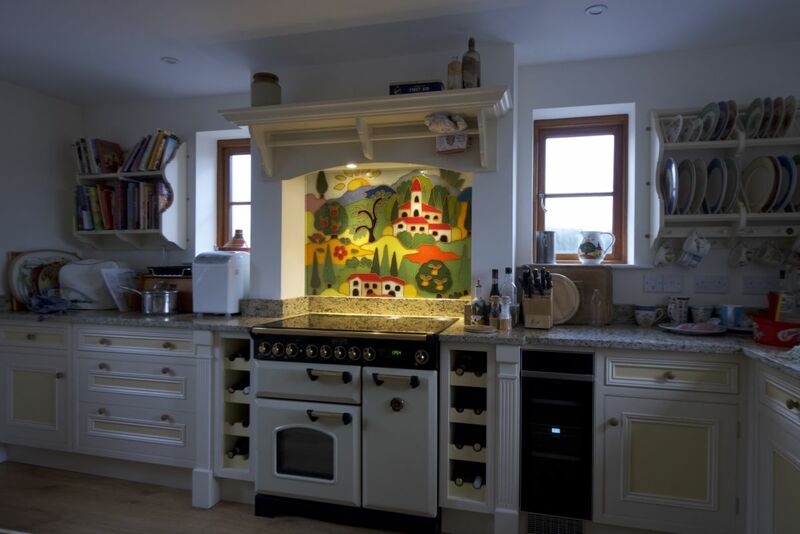 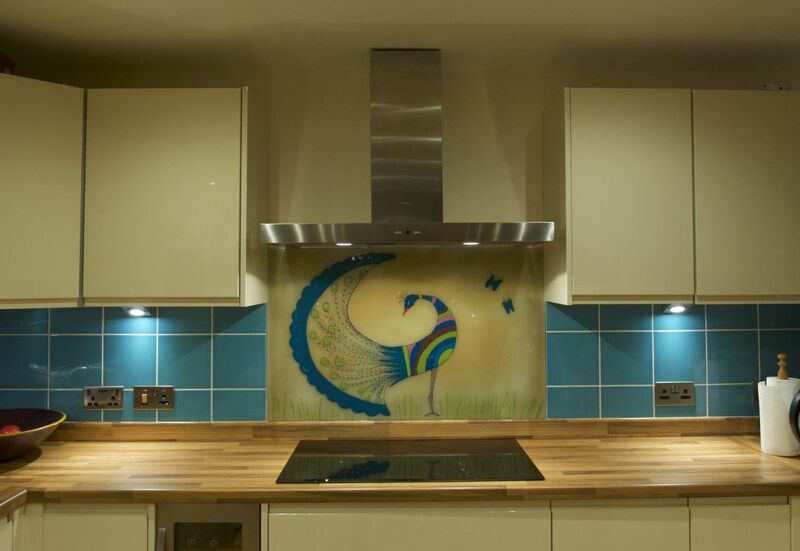 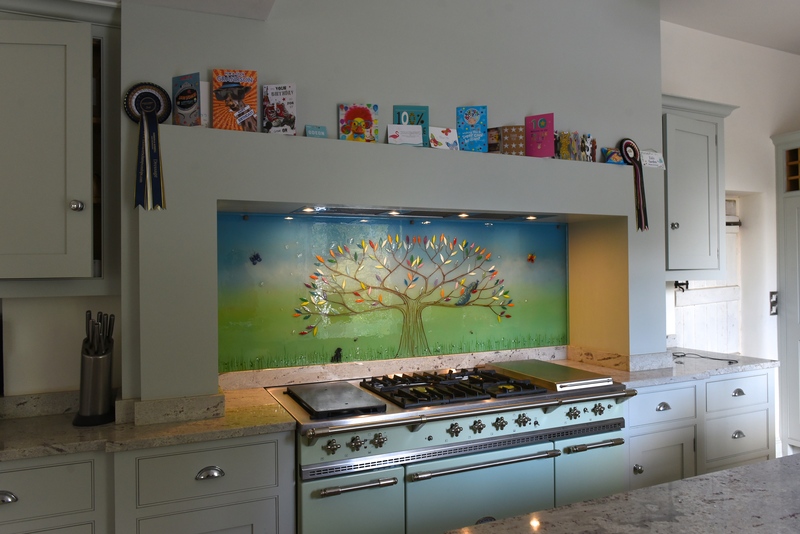 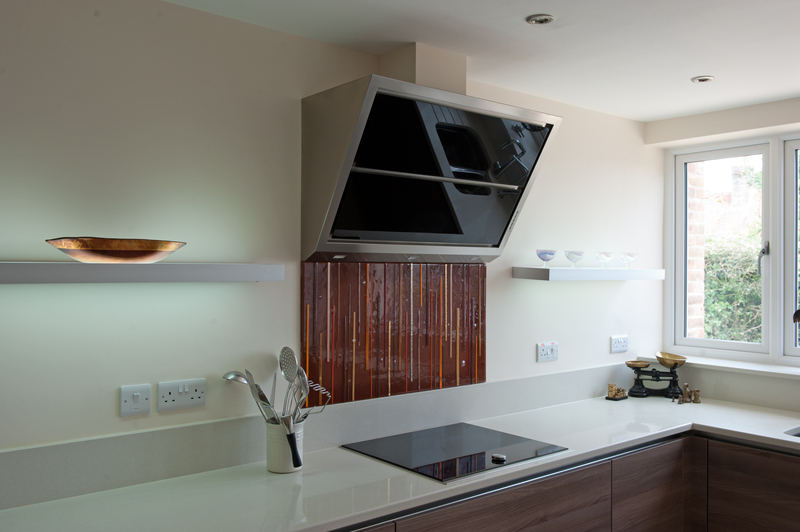 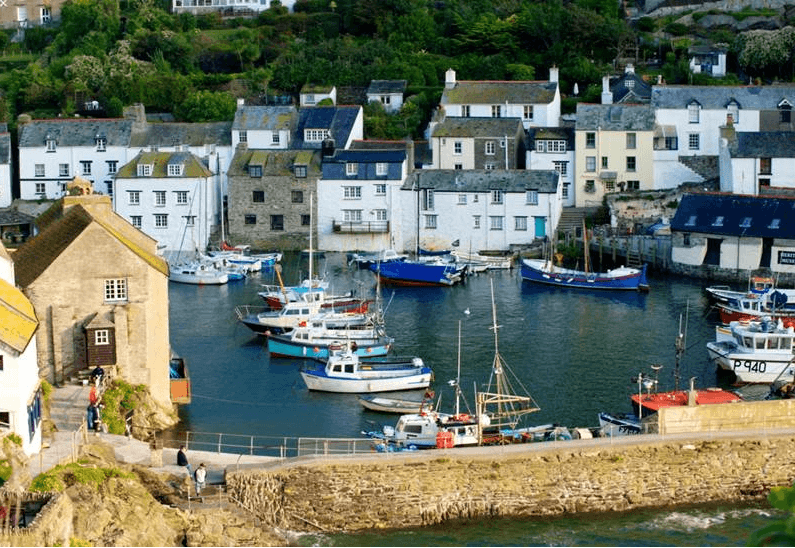 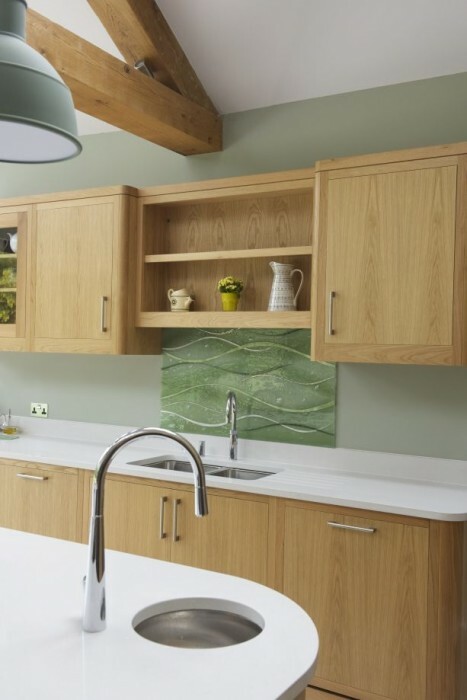 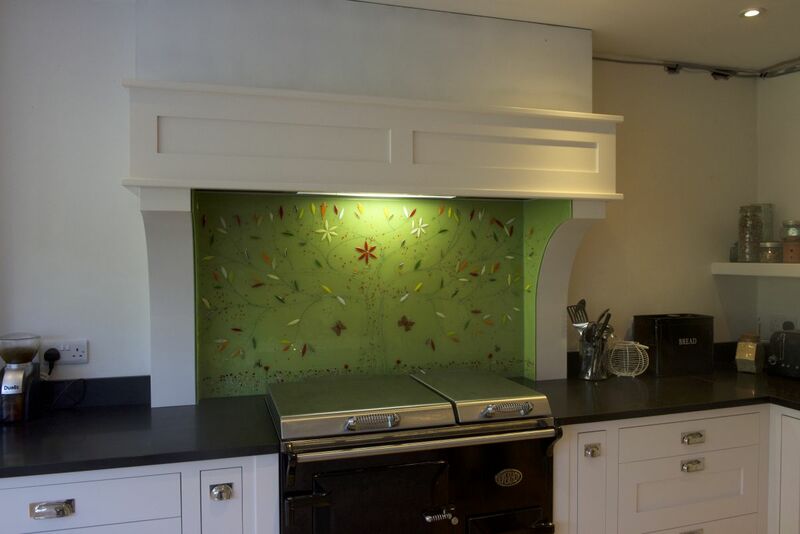 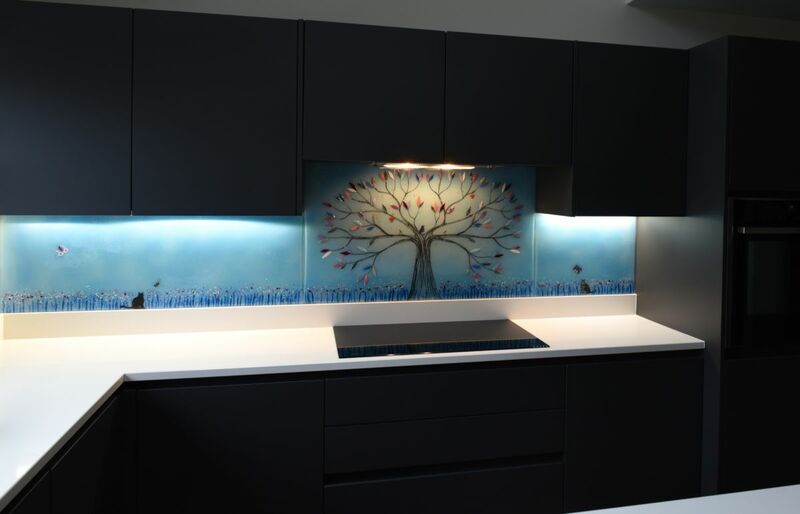 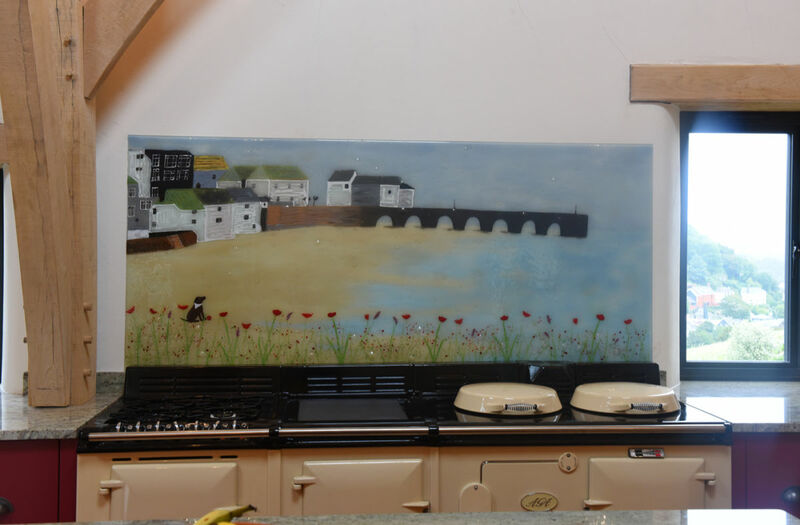 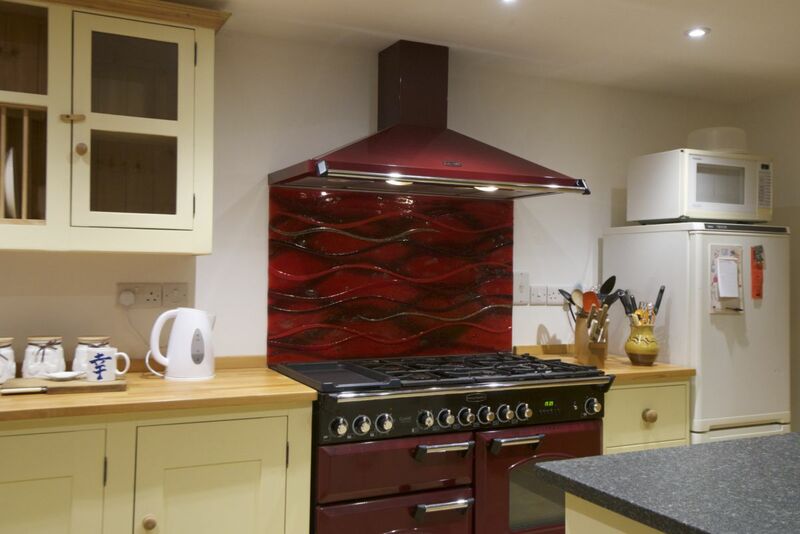 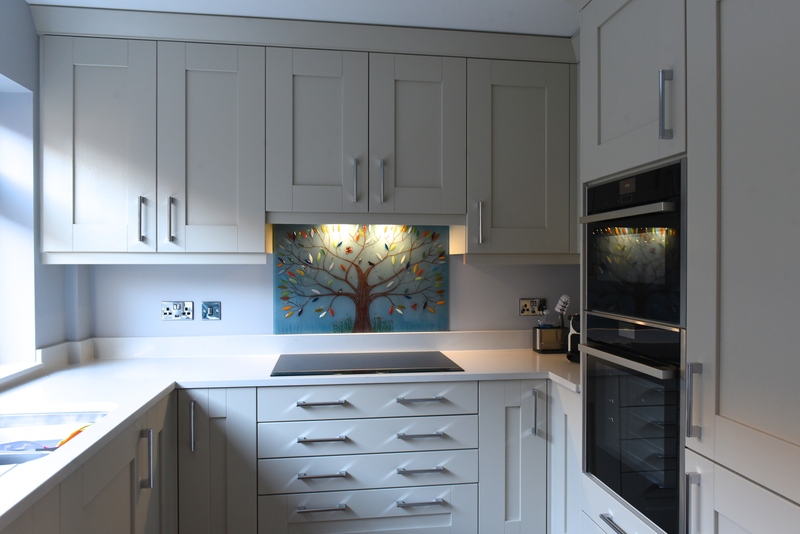 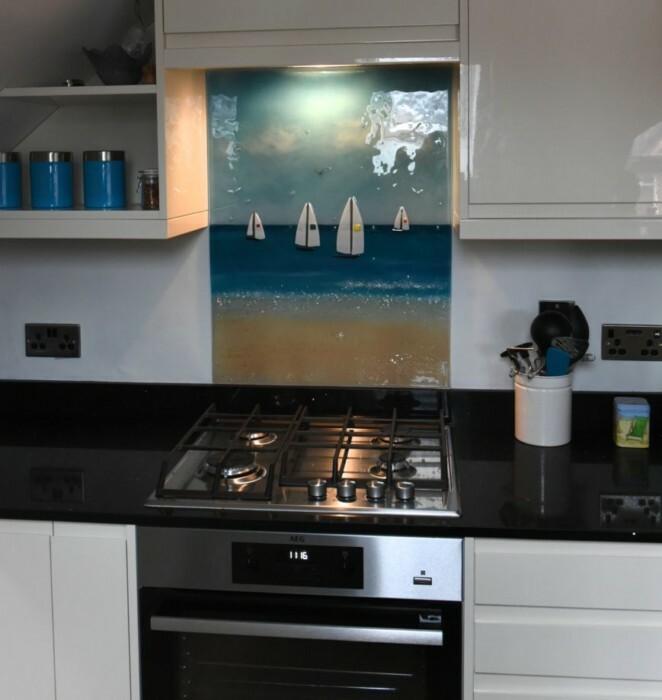 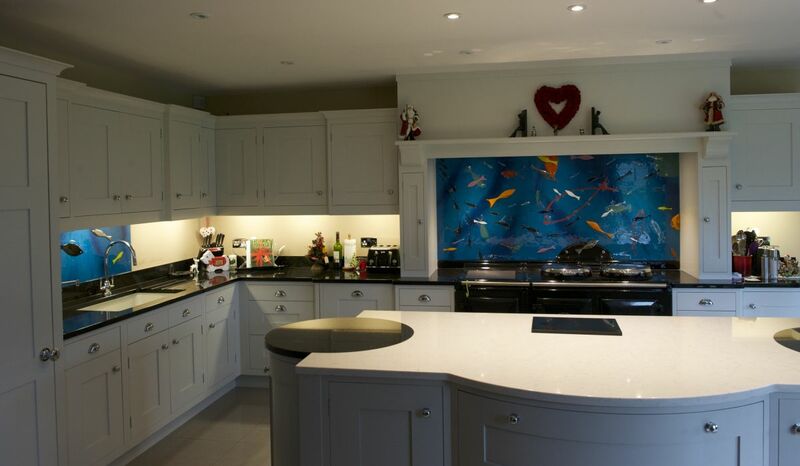 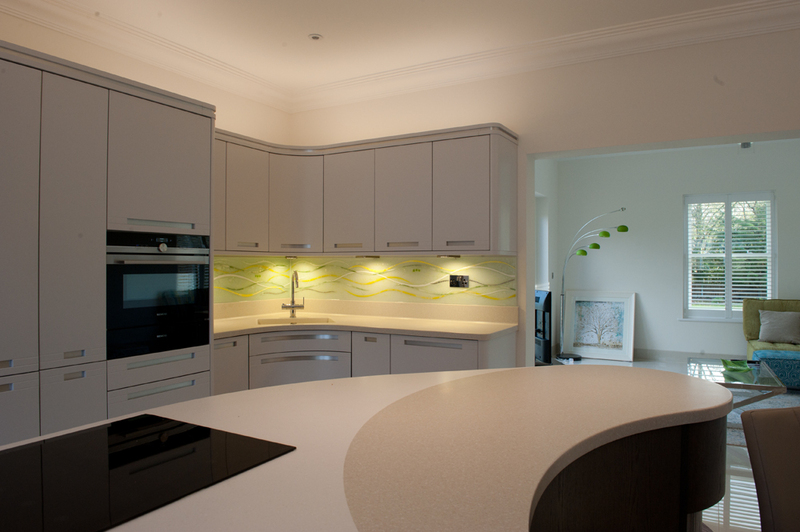 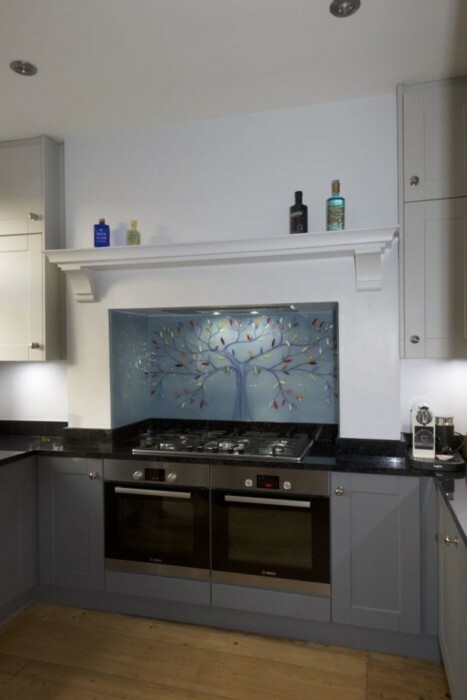 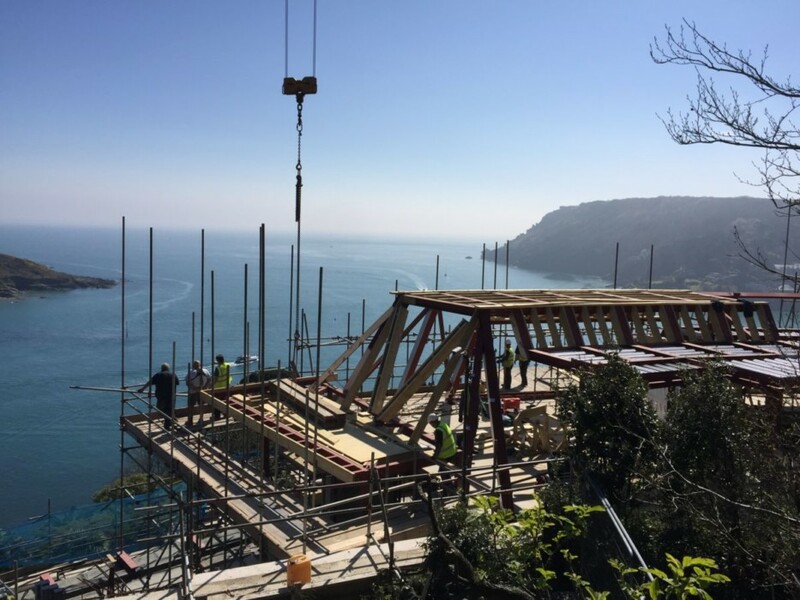 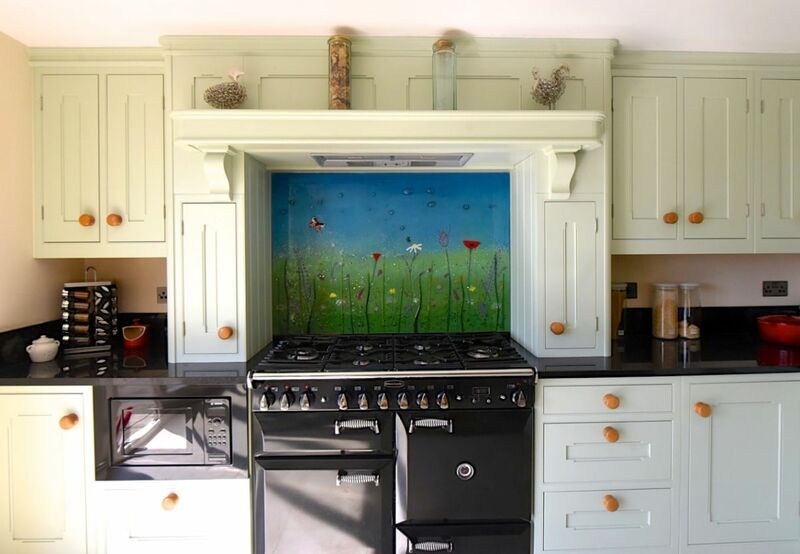 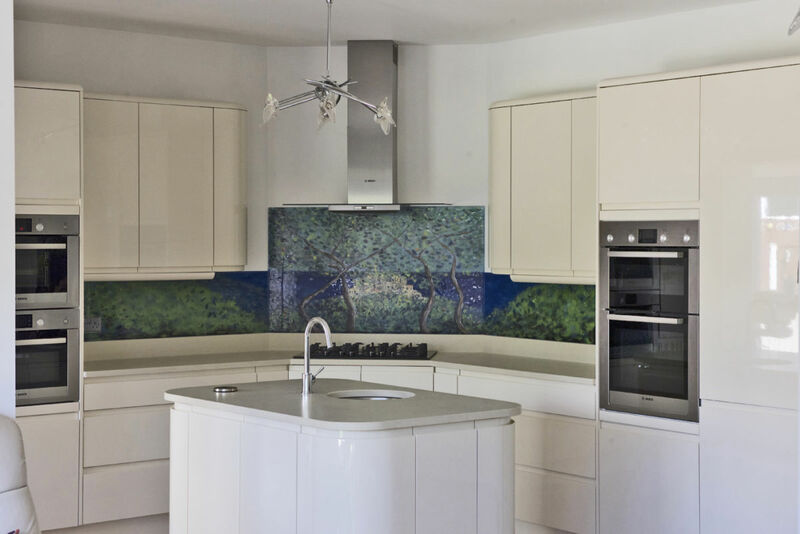 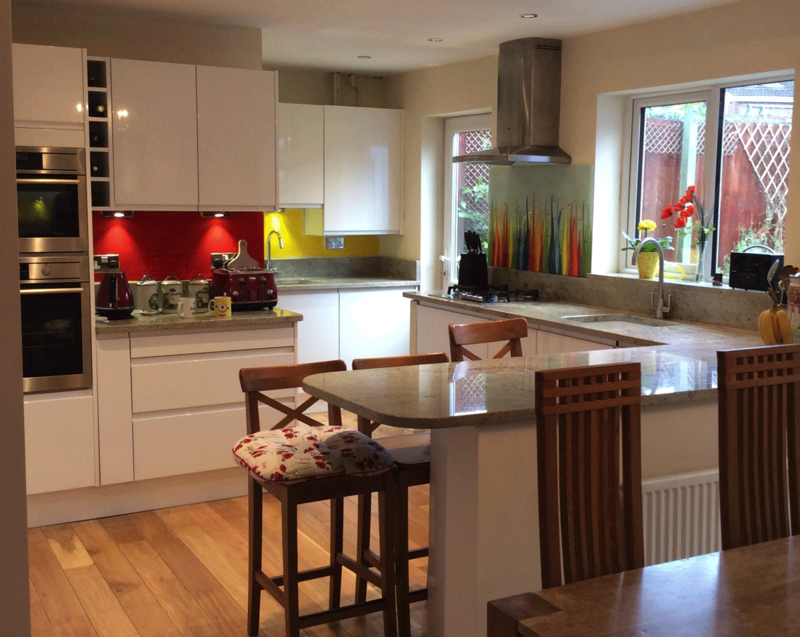 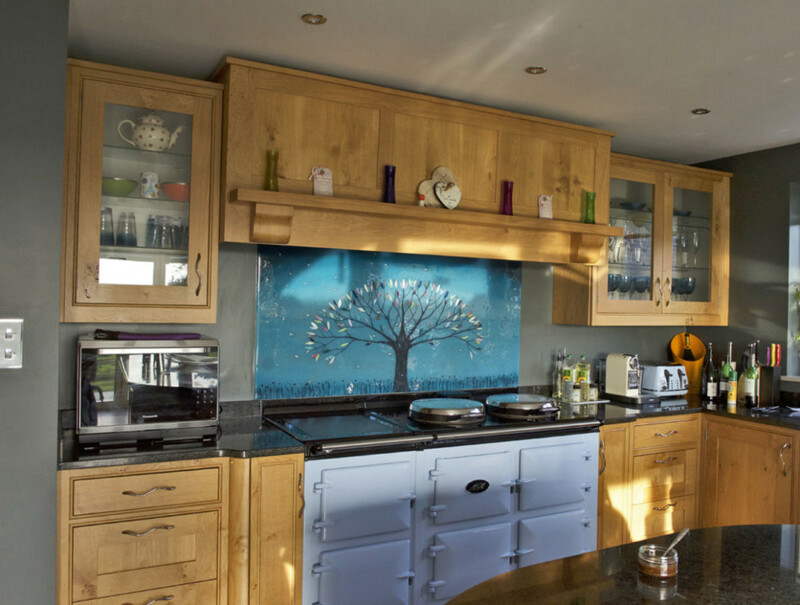 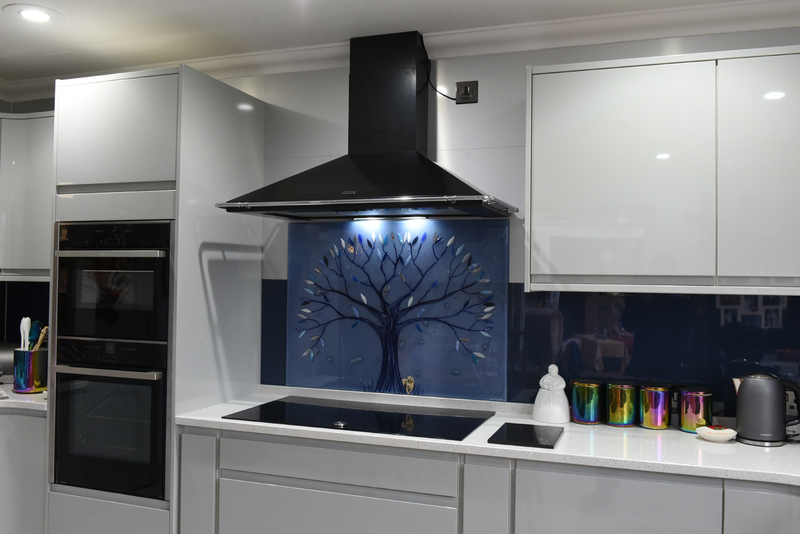 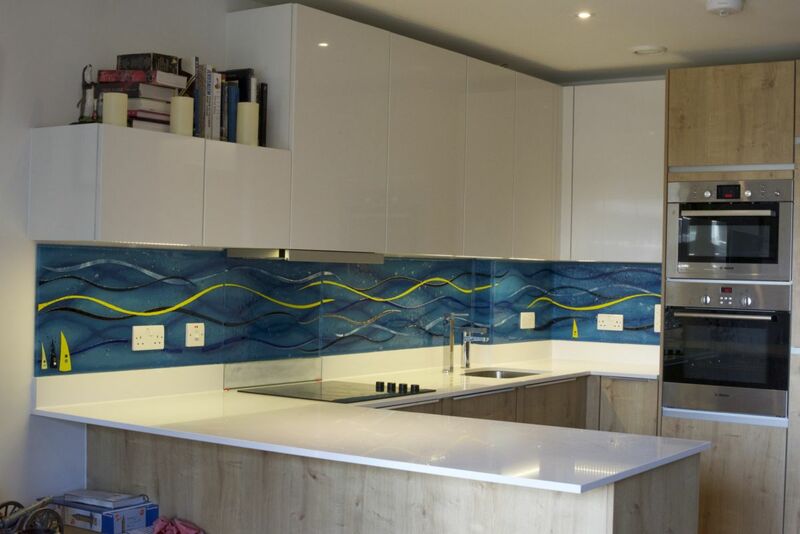 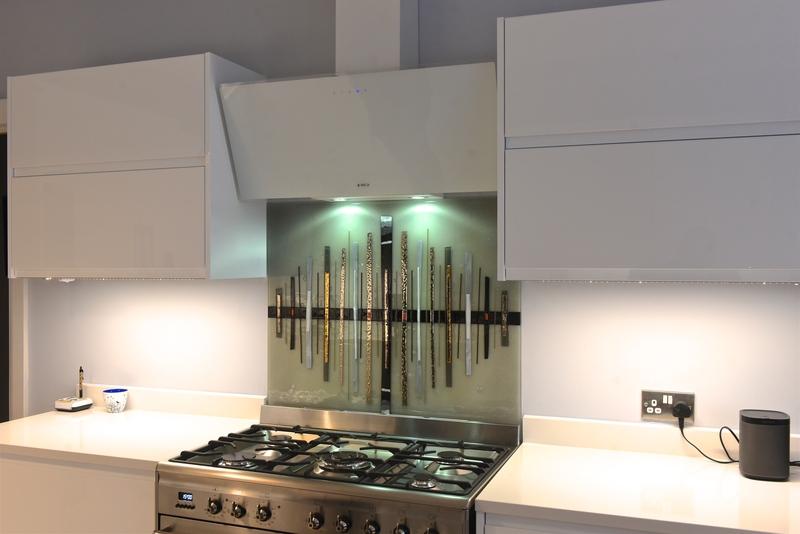 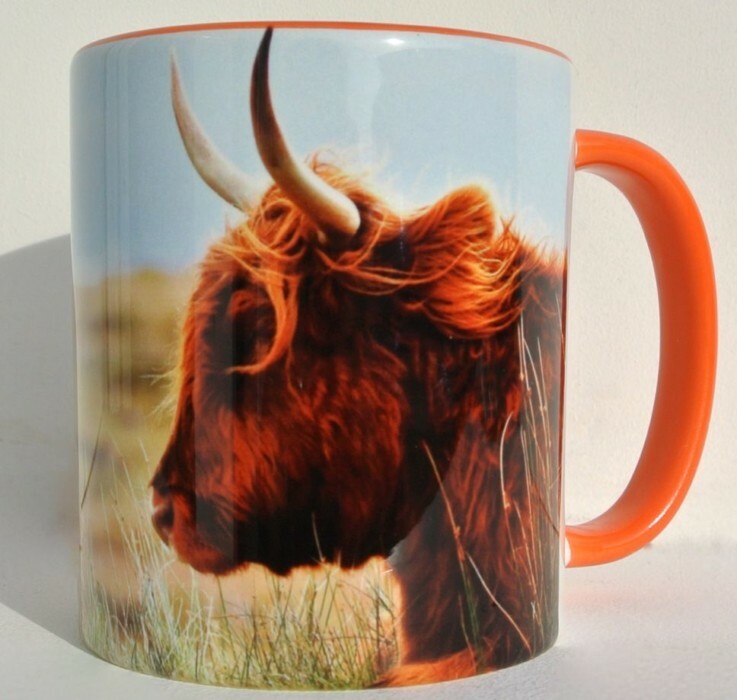 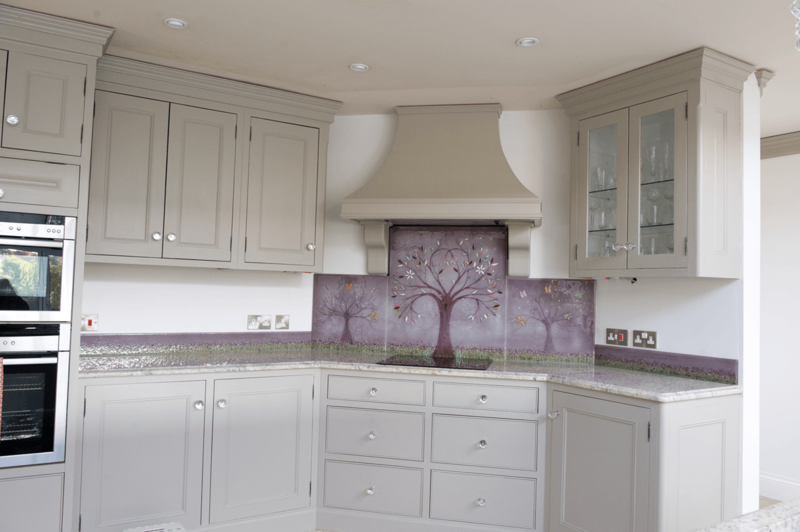 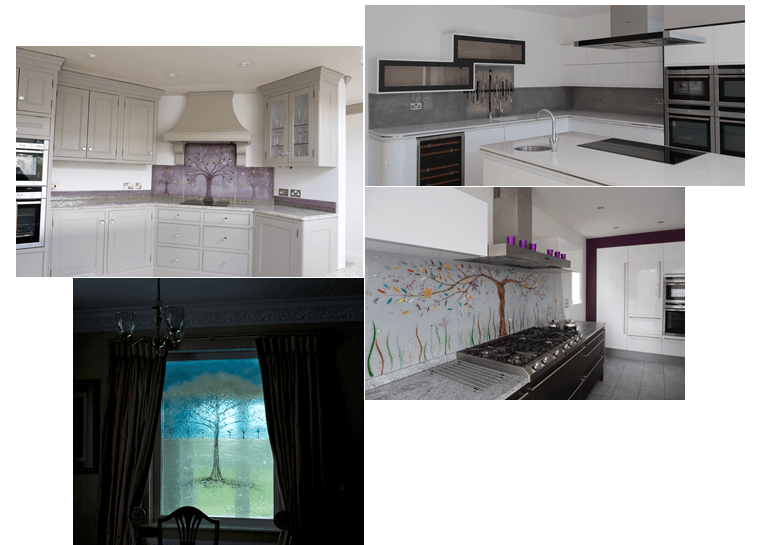 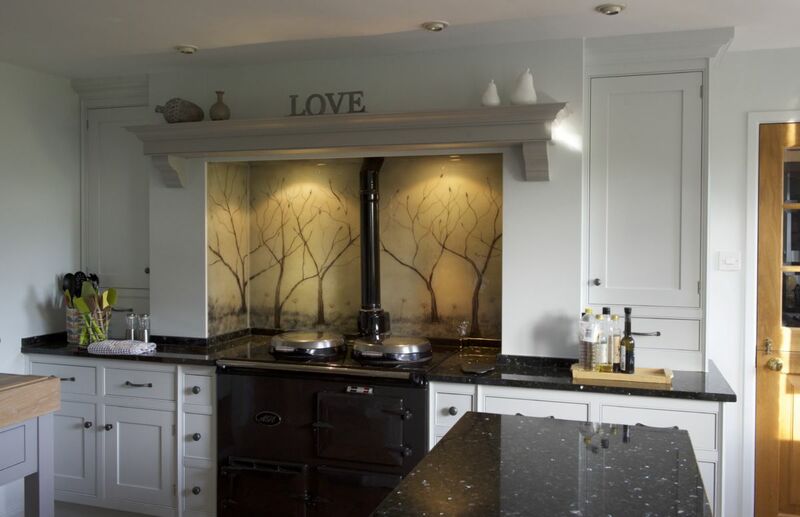 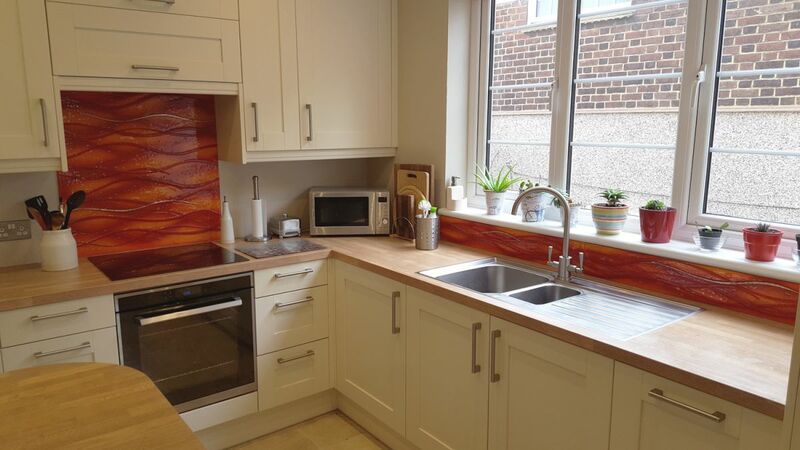 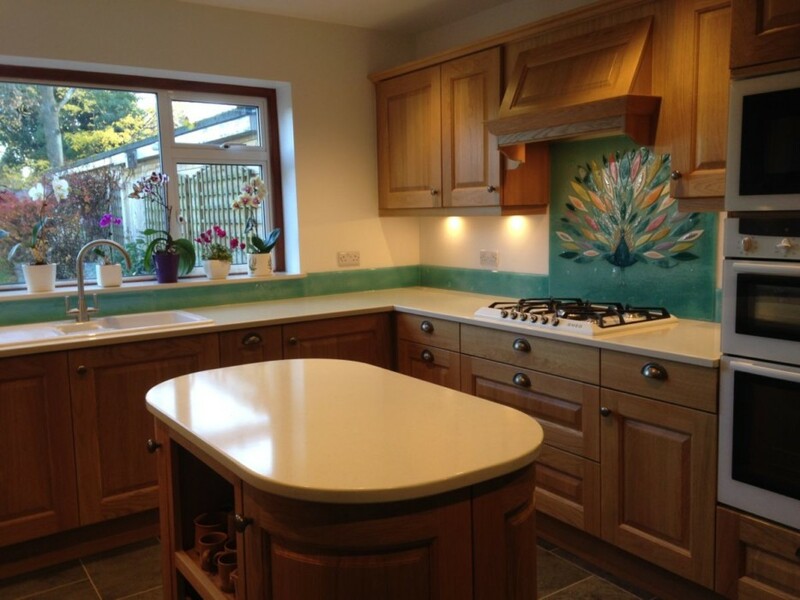 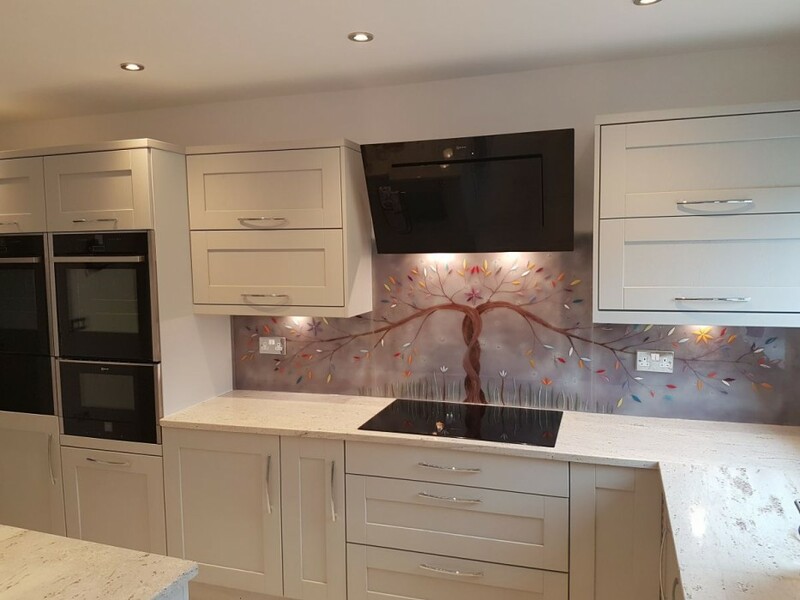 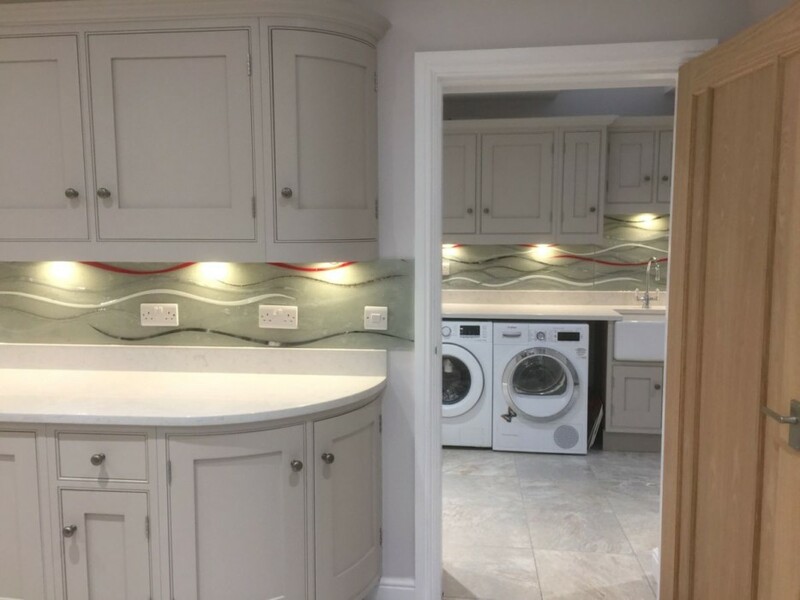 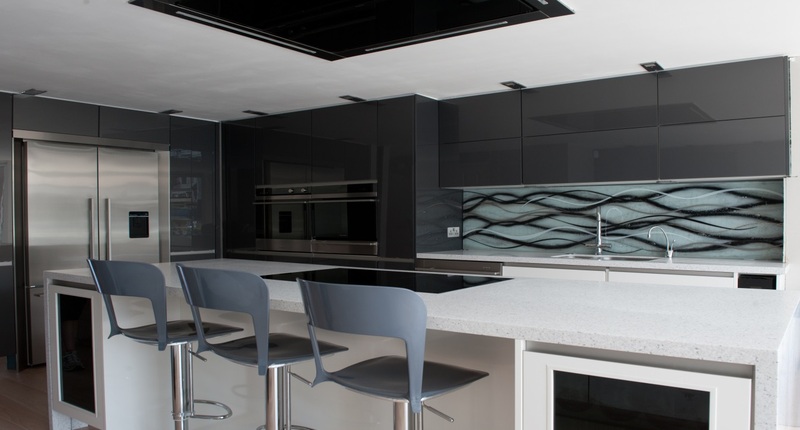 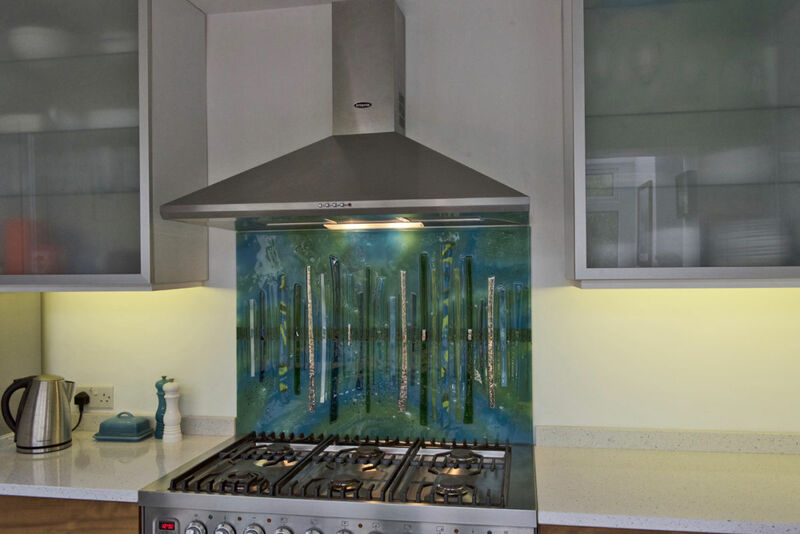 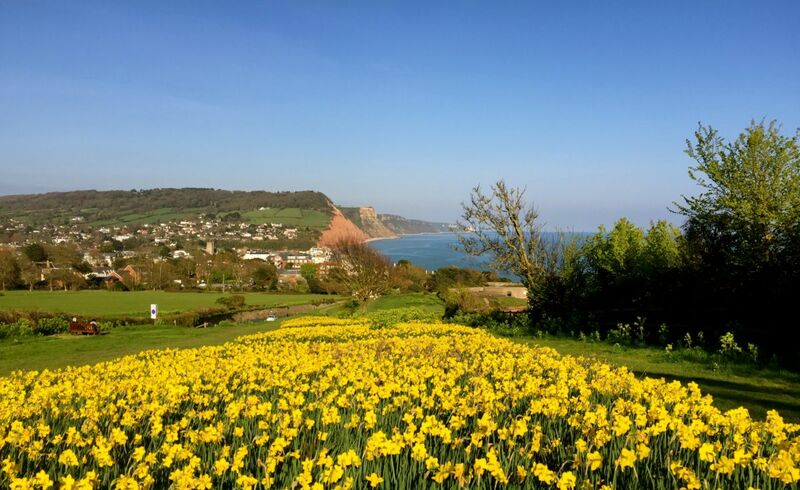 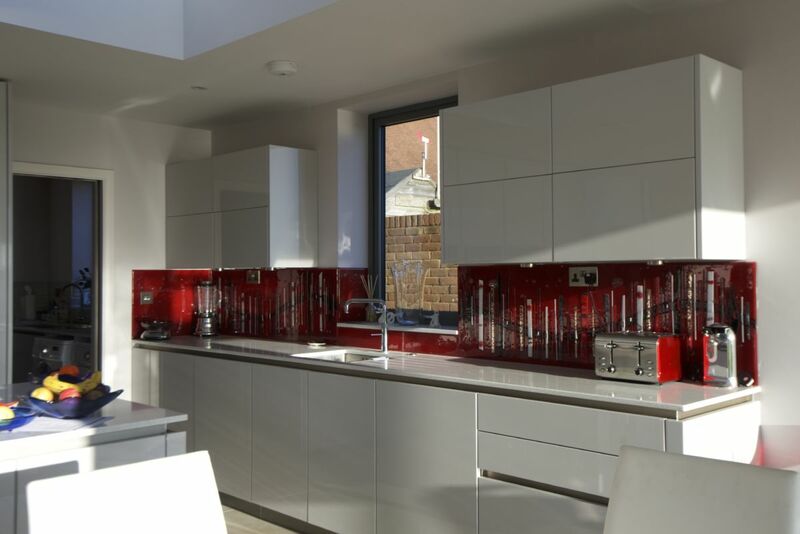 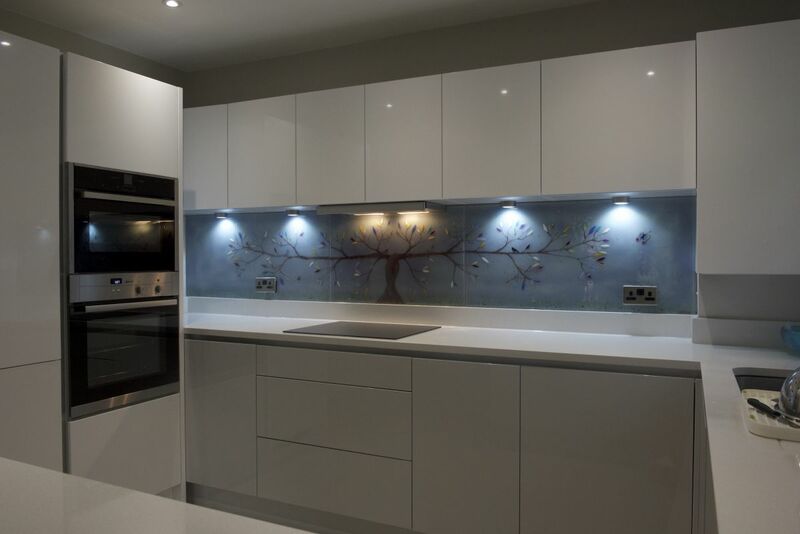 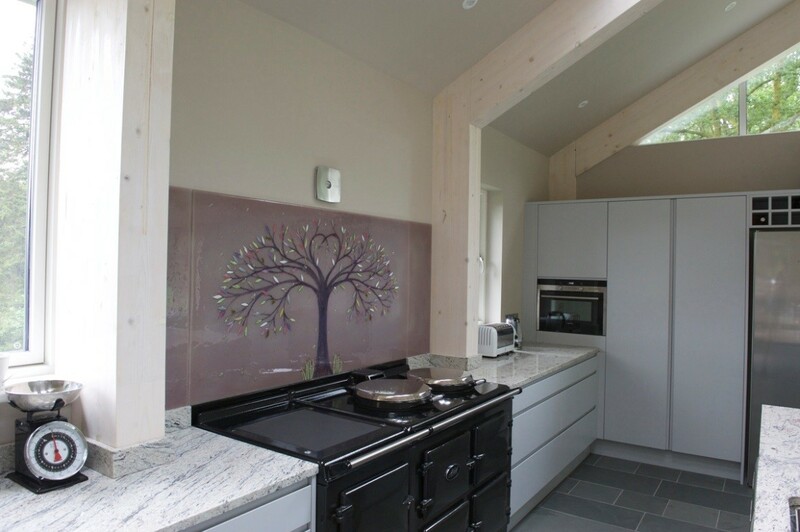 Whether you’re looking for bespoke bathroom and kitchen splashbacks personalised just for you, or perhaps even something to dress up a blank looking wall, we here at The House of Ugly Fish would be more than happy to hear from you. 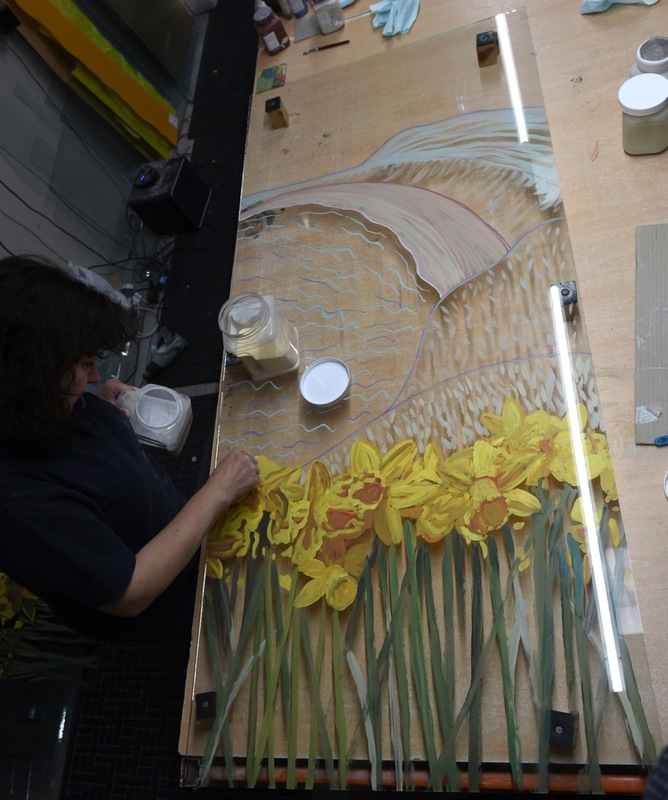 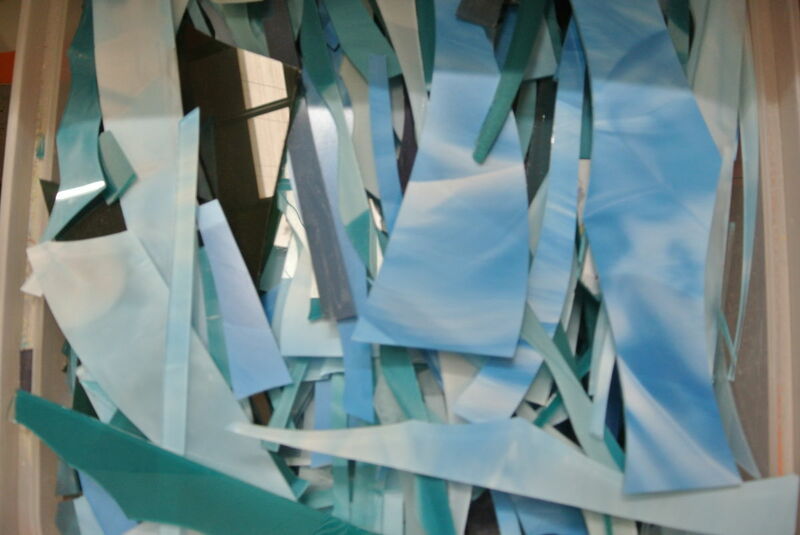 All of the pieces we make are created by hand just for you, unless you’d like to dip into our available stock, so we mean it when we say that your imagination is the only real limit. 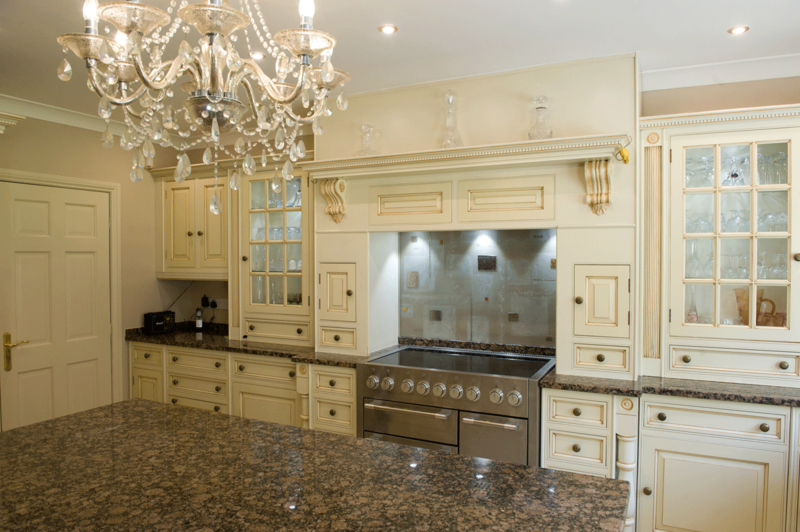 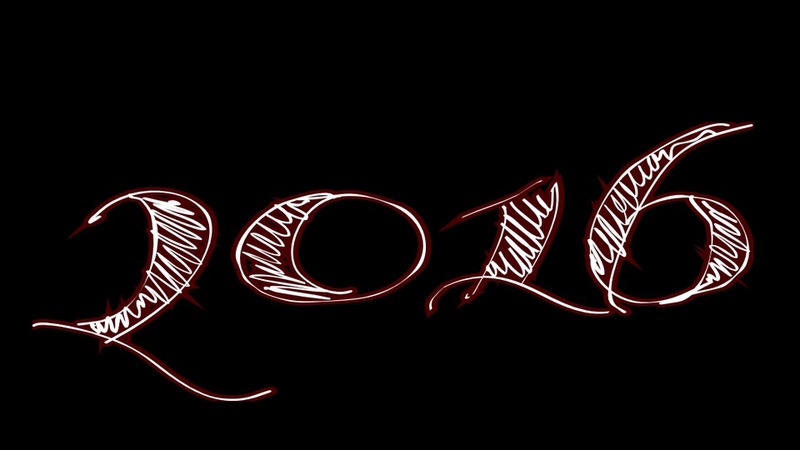 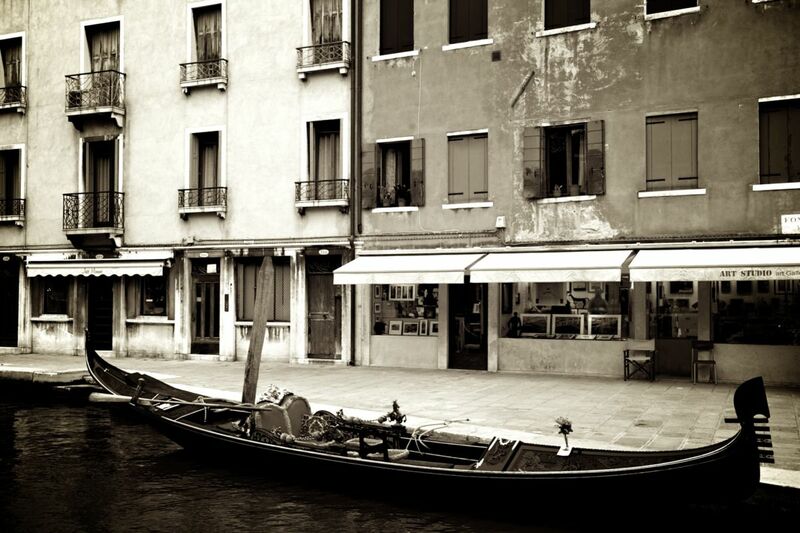 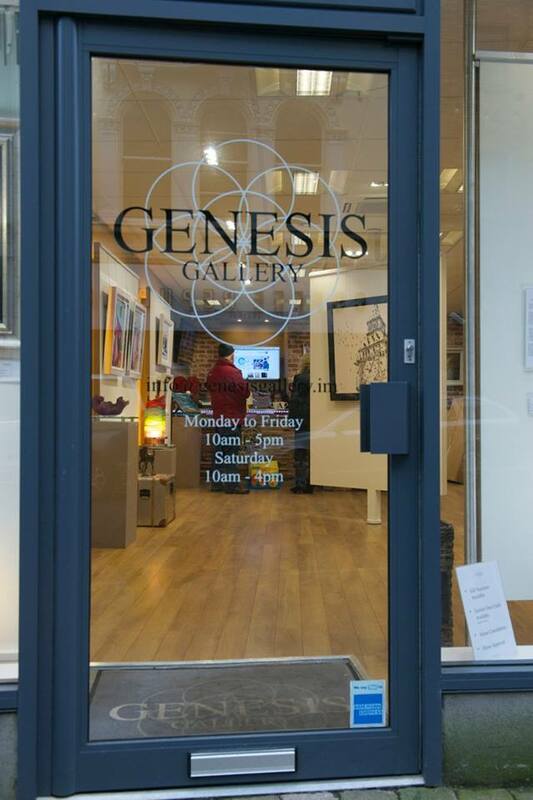 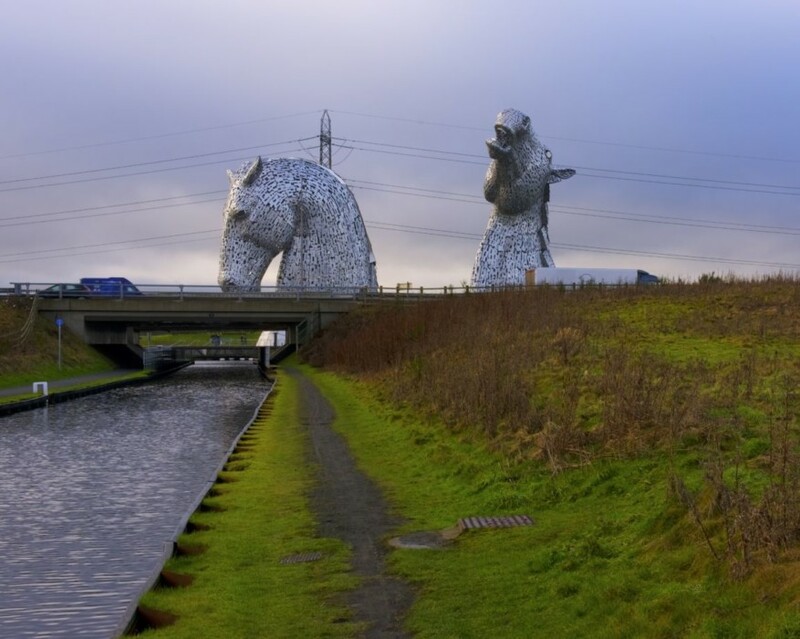 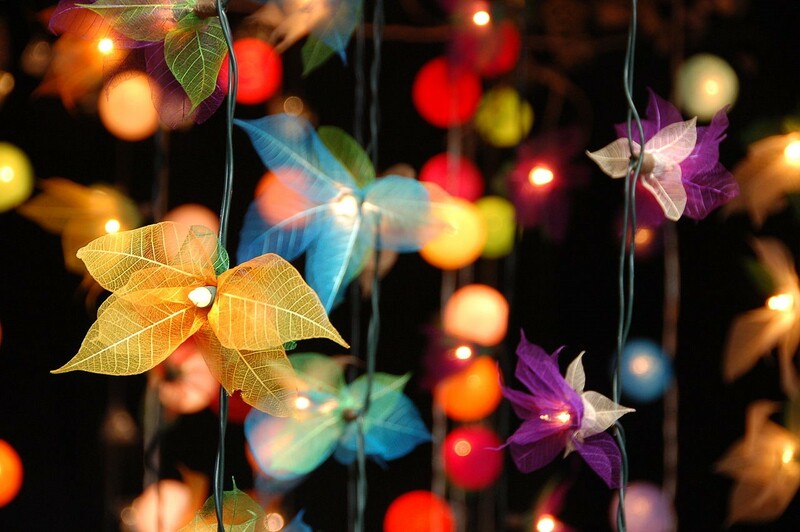 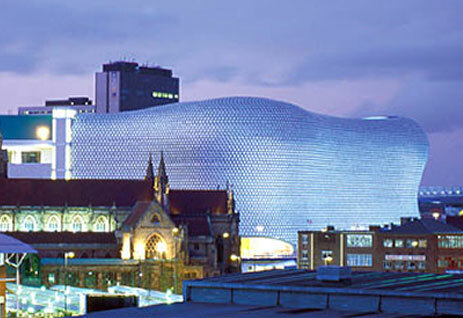 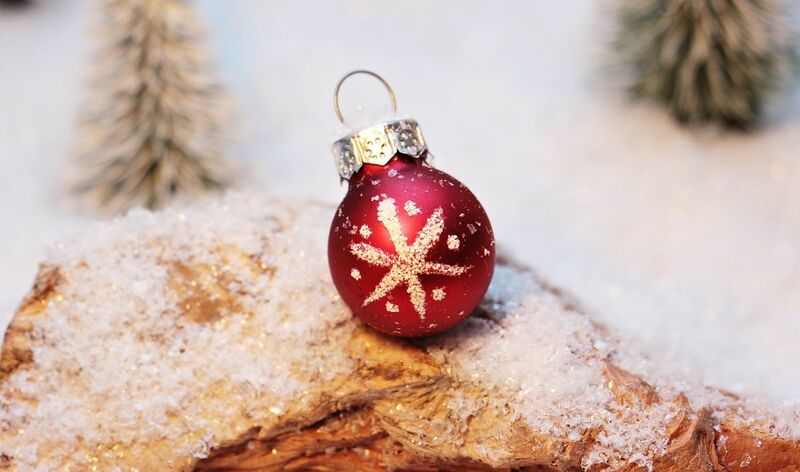 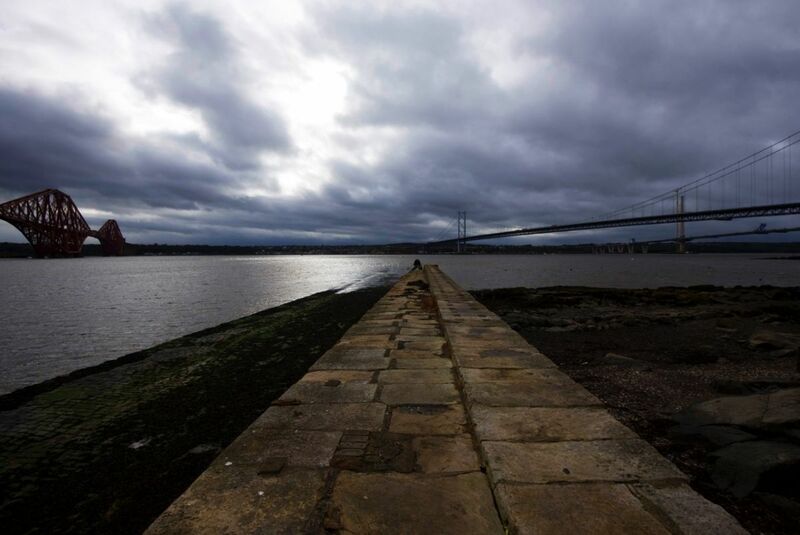 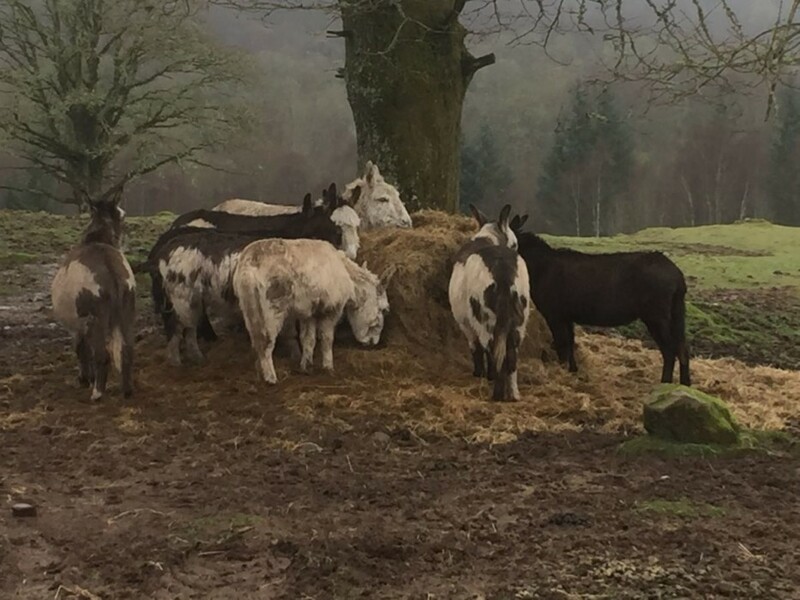 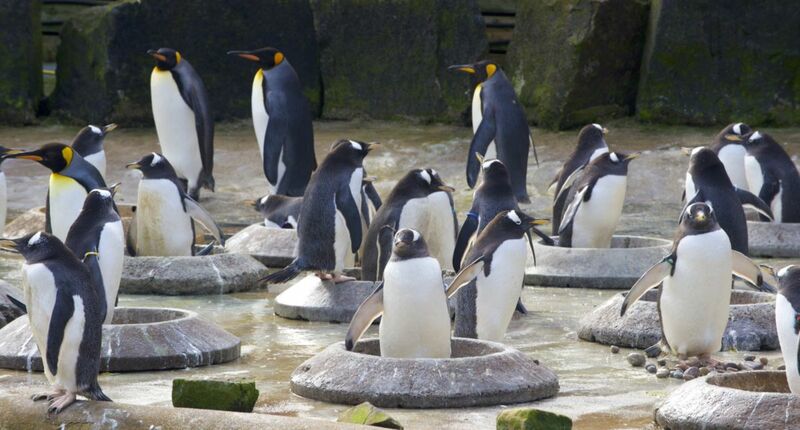 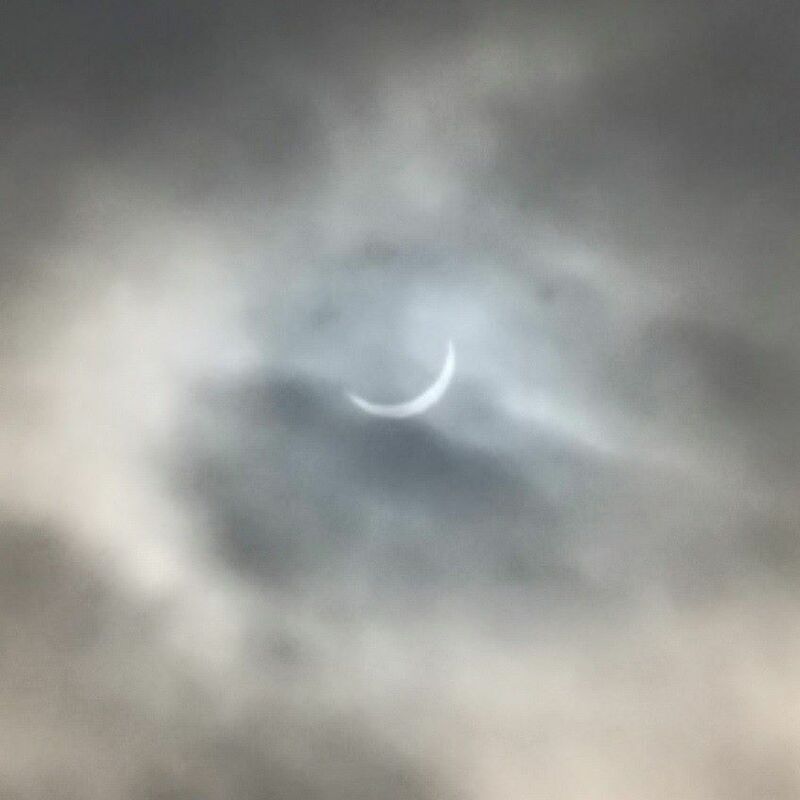 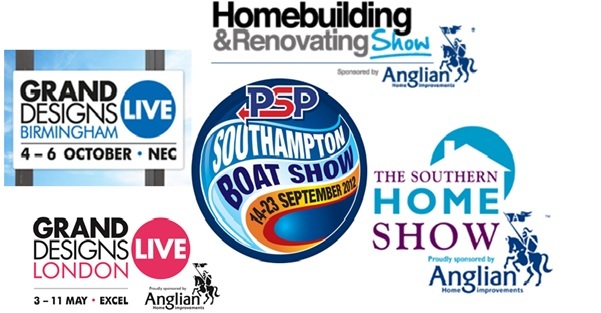 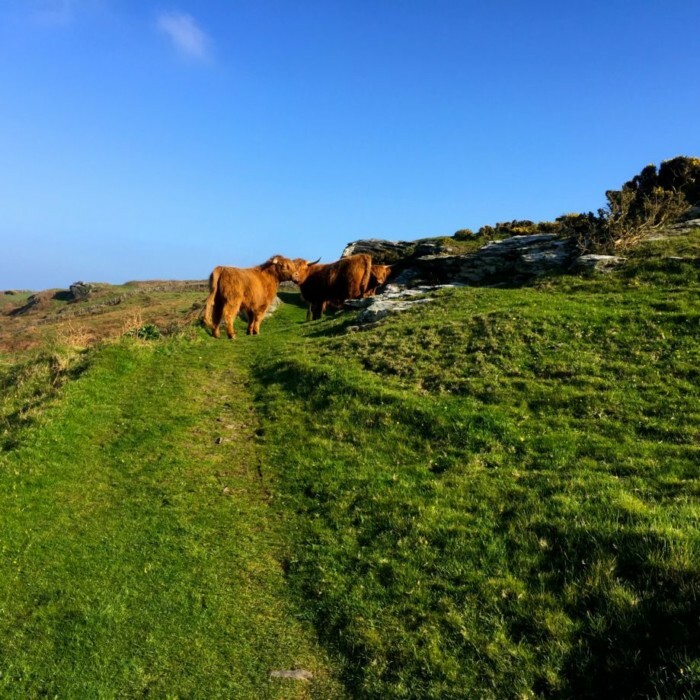 Get in touch via phone or email as soon as you can!